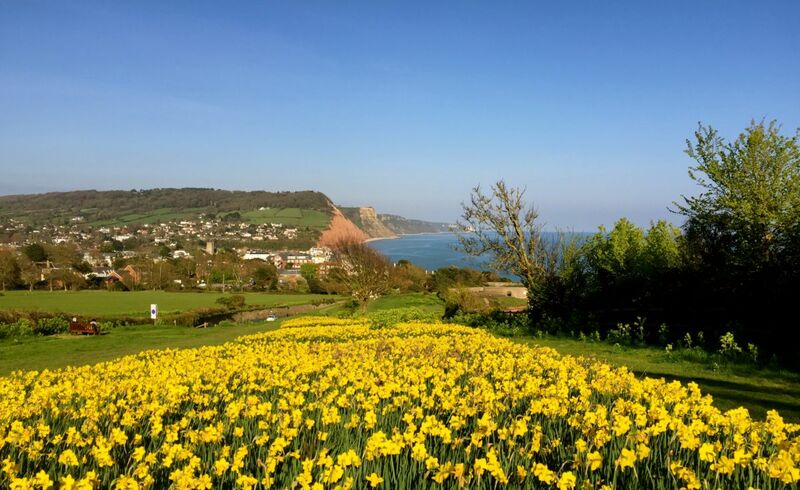 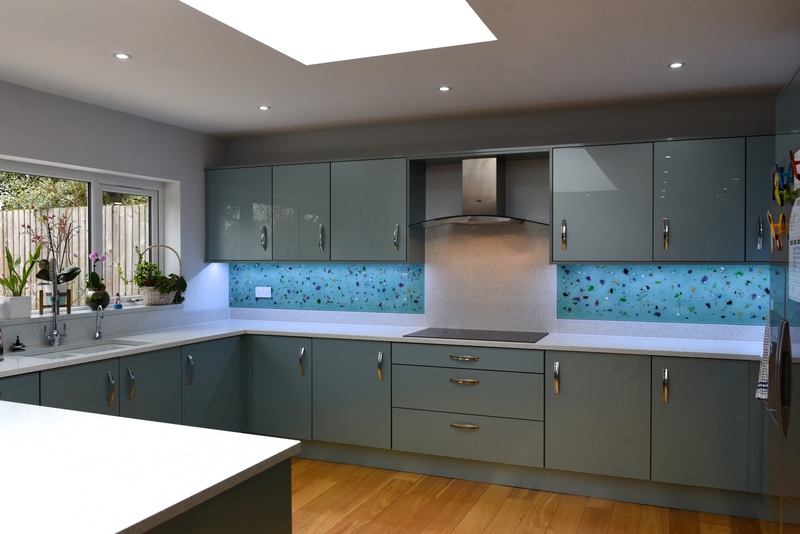 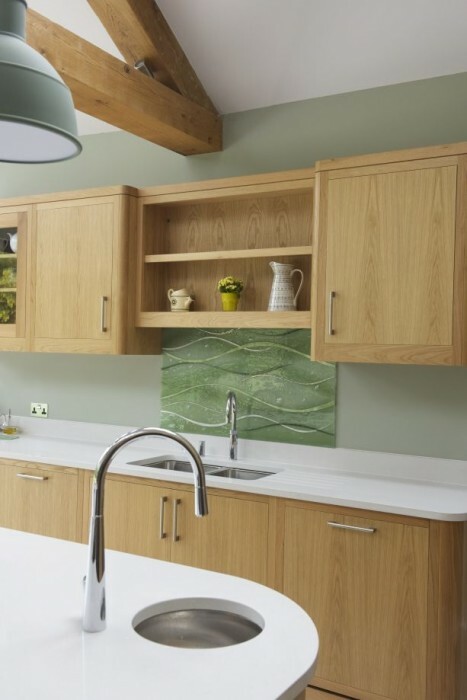 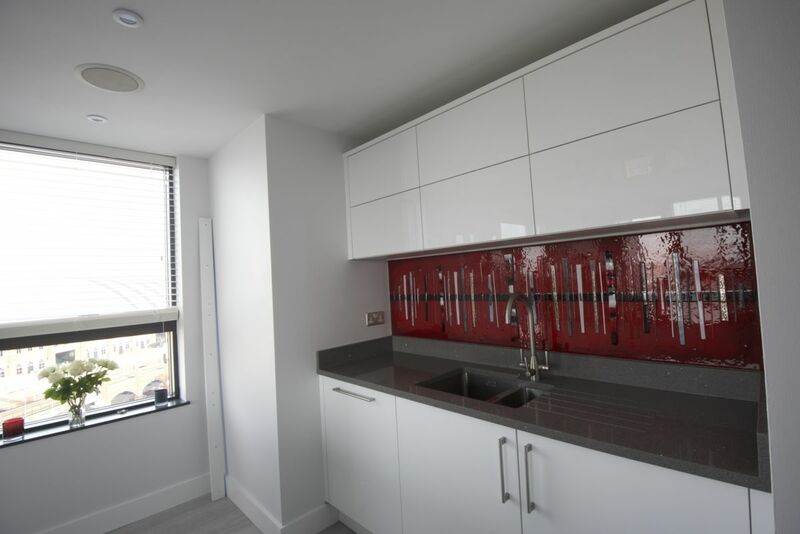 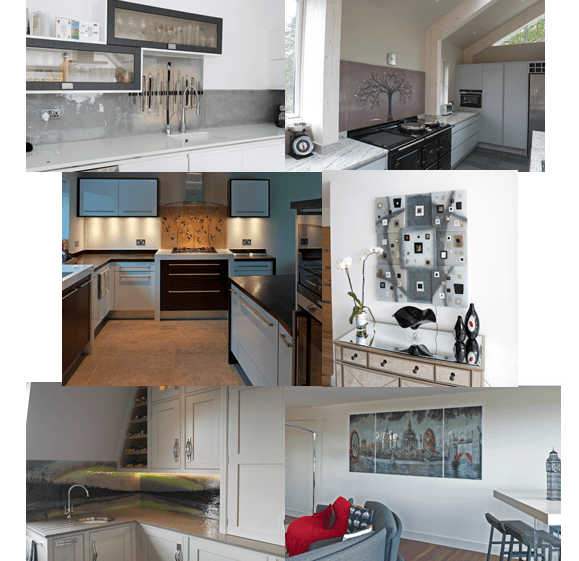 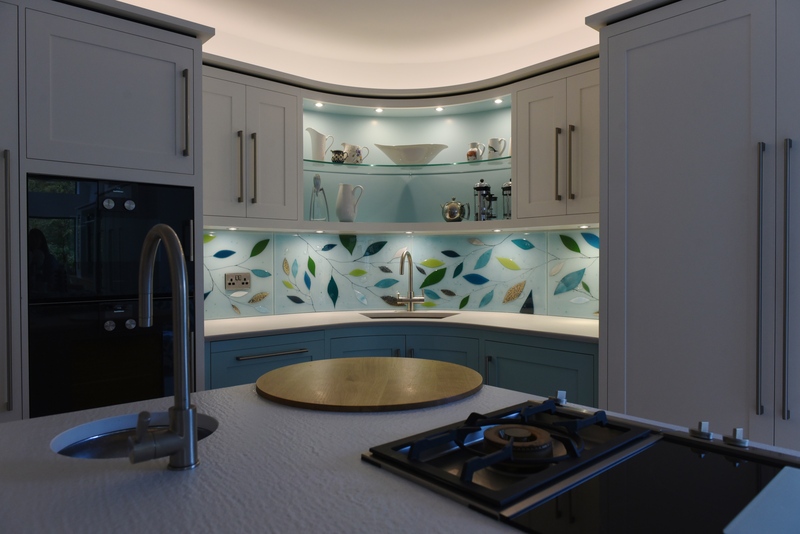 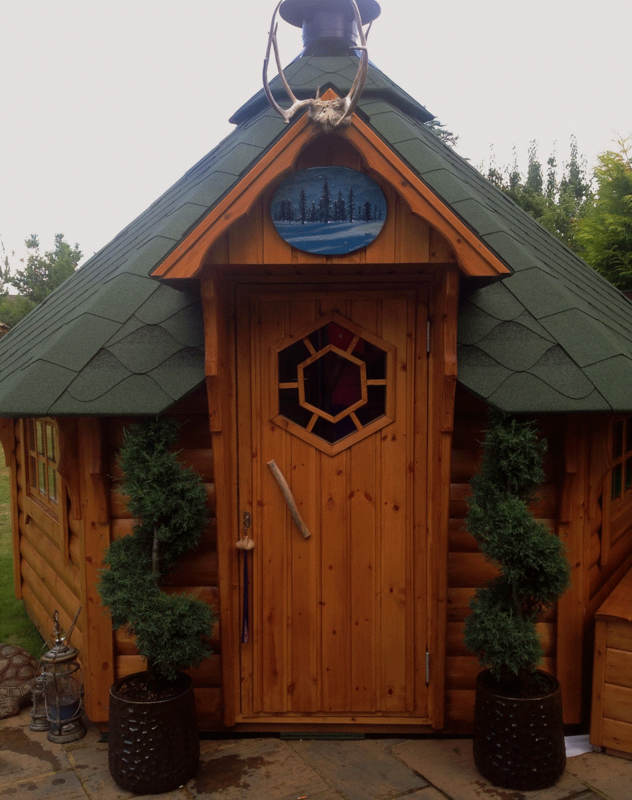 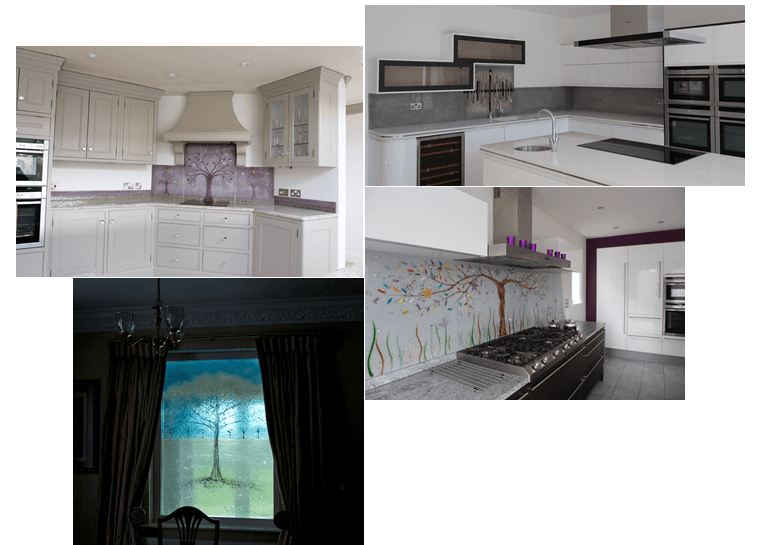 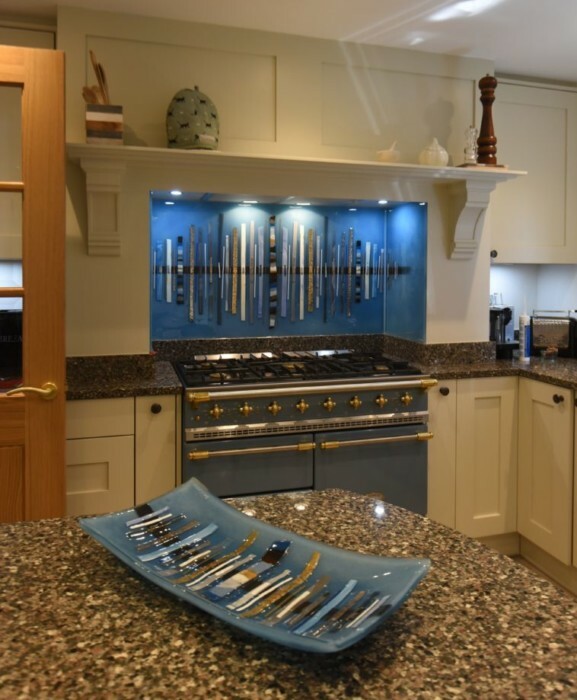 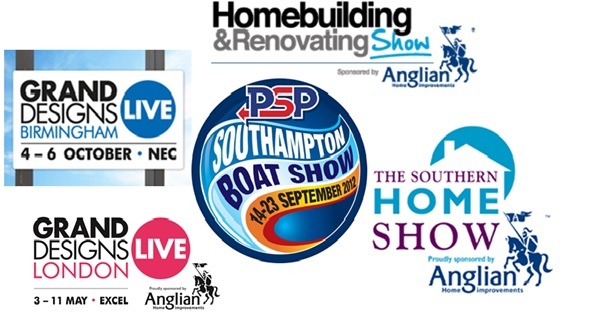 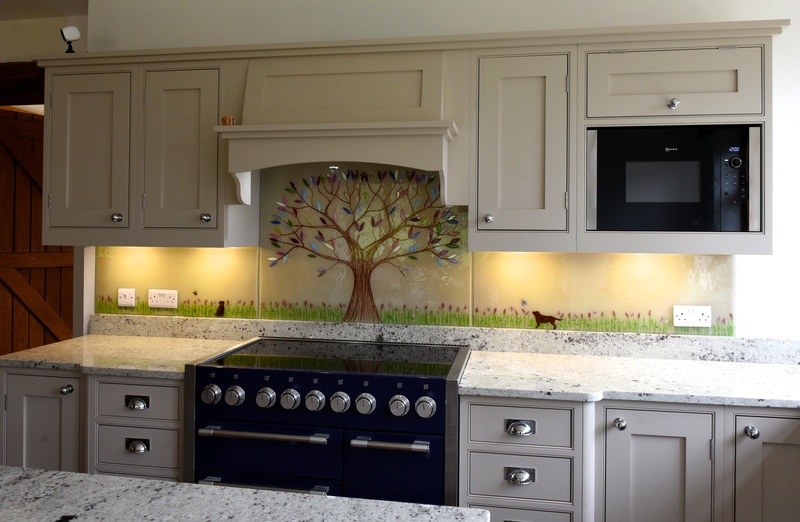 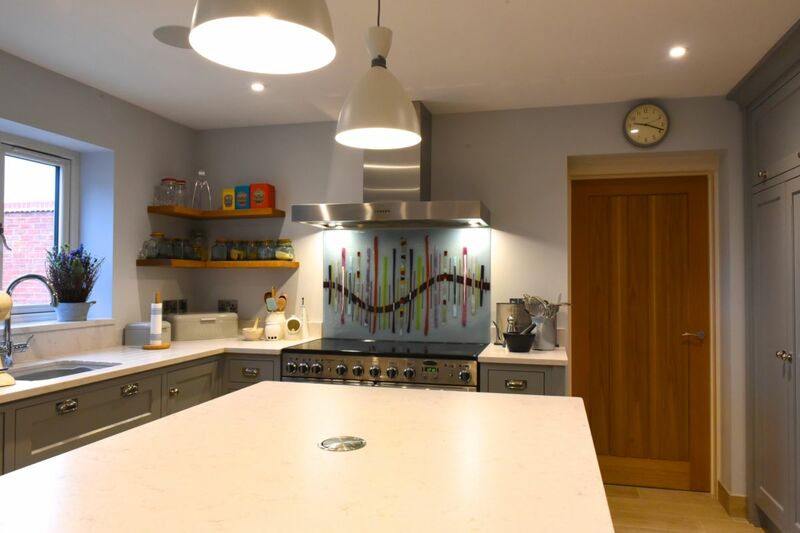 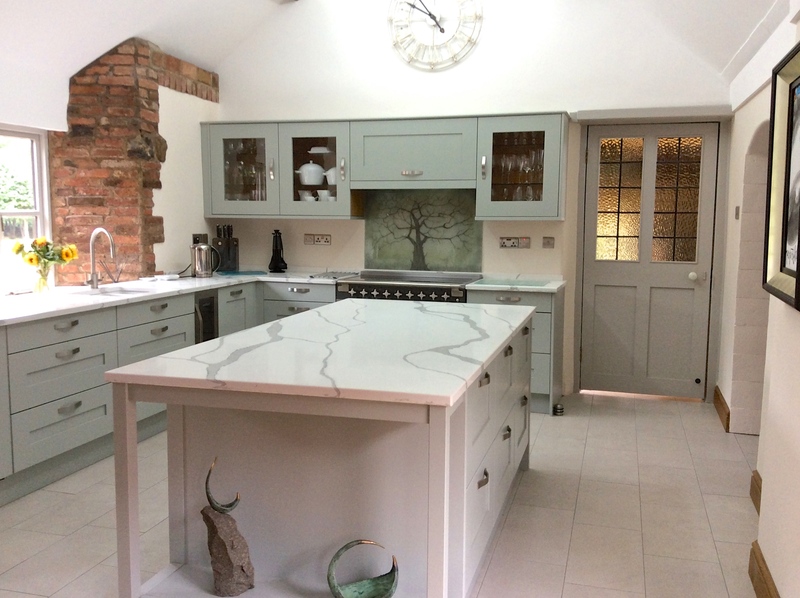 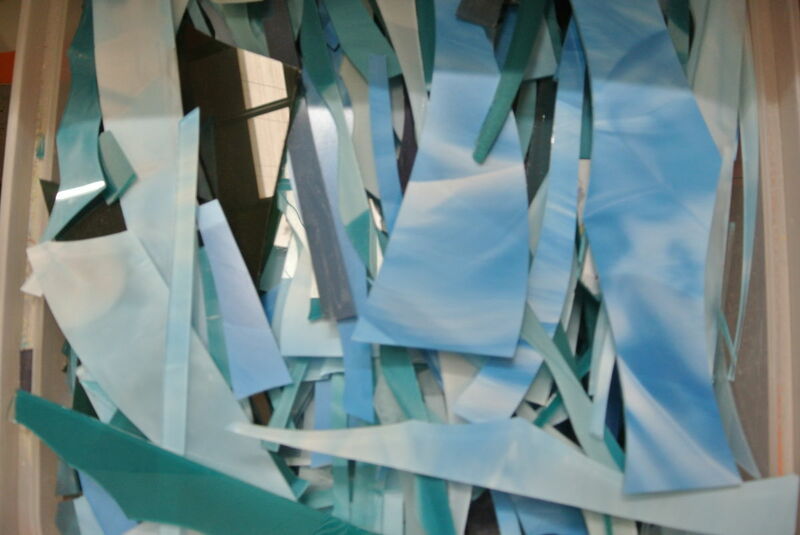 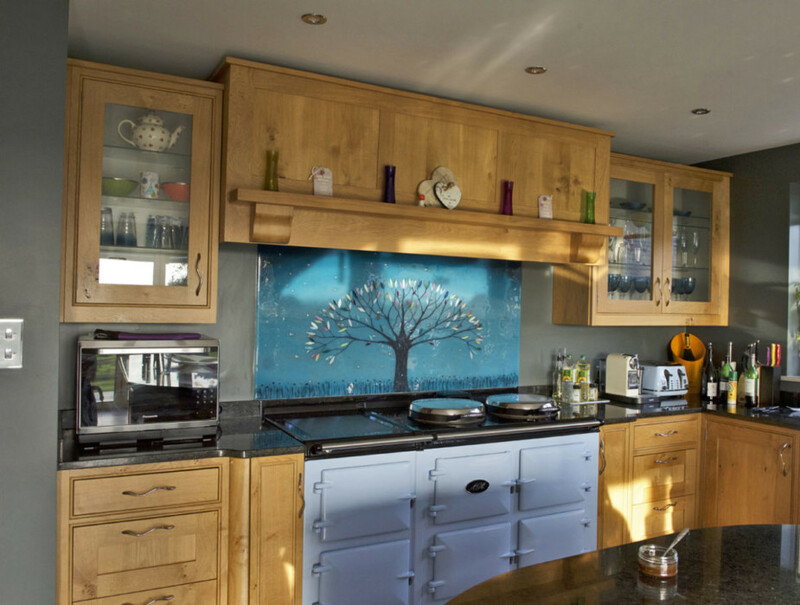 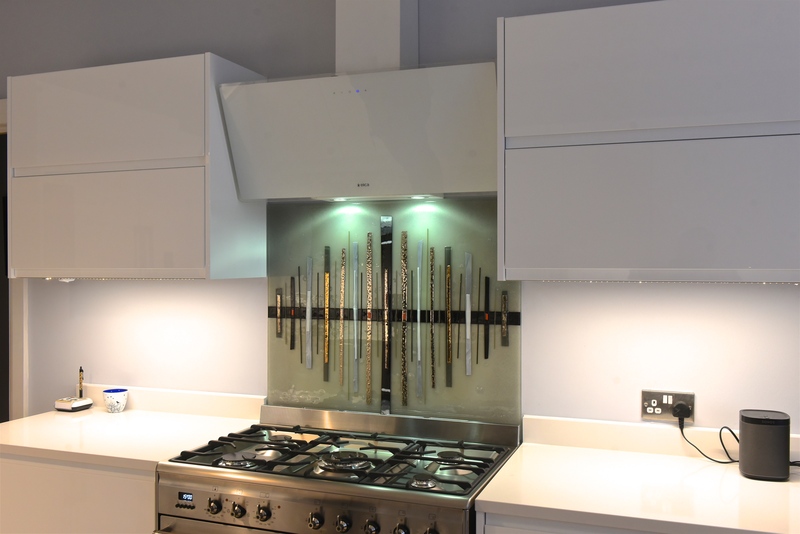 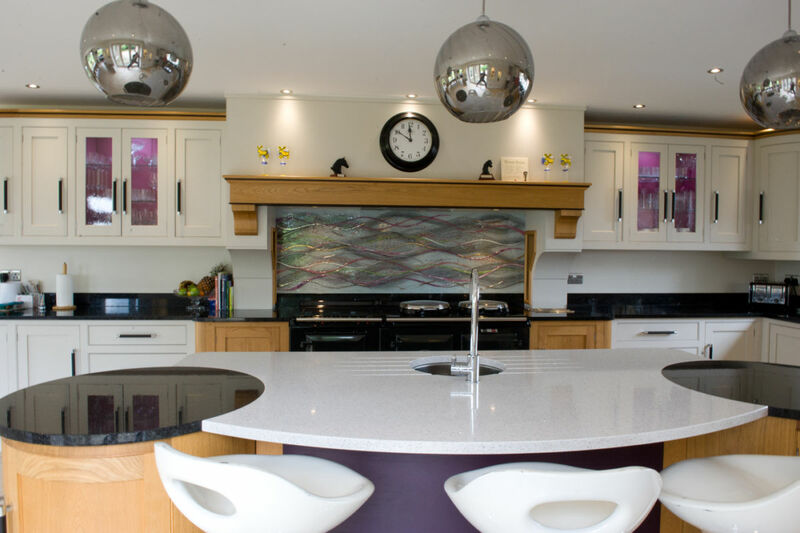 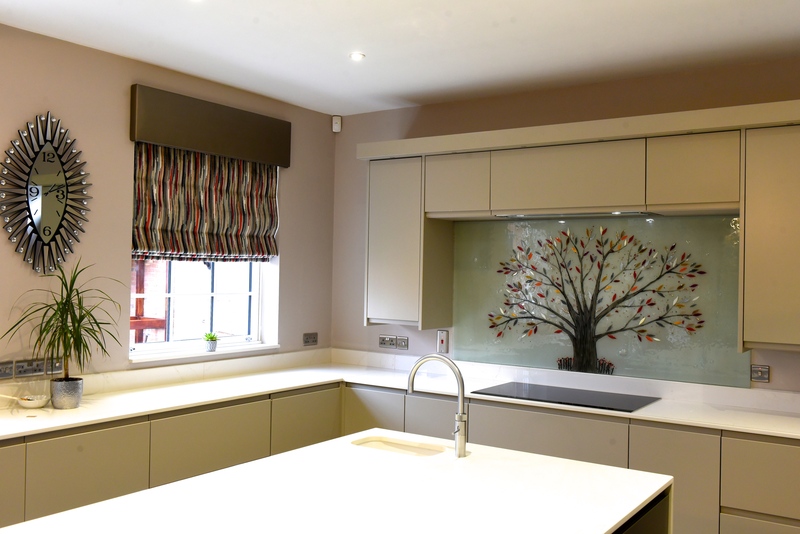 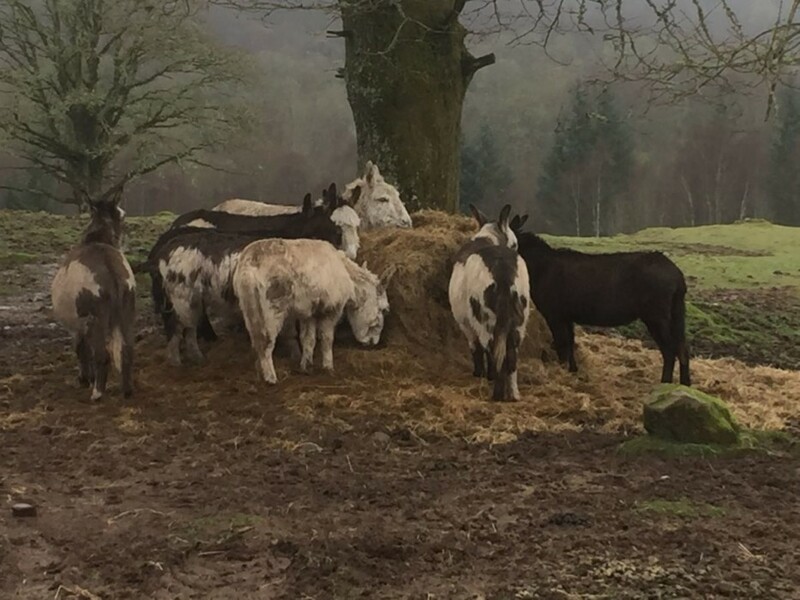 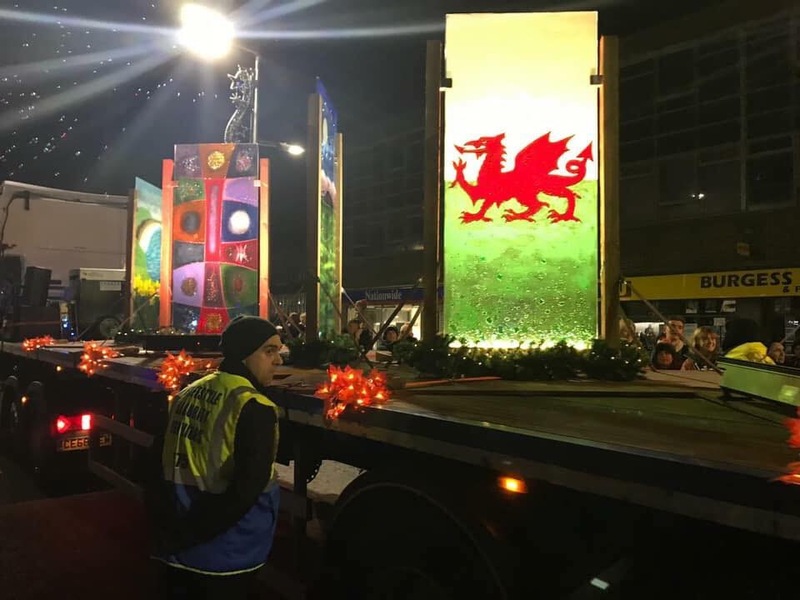 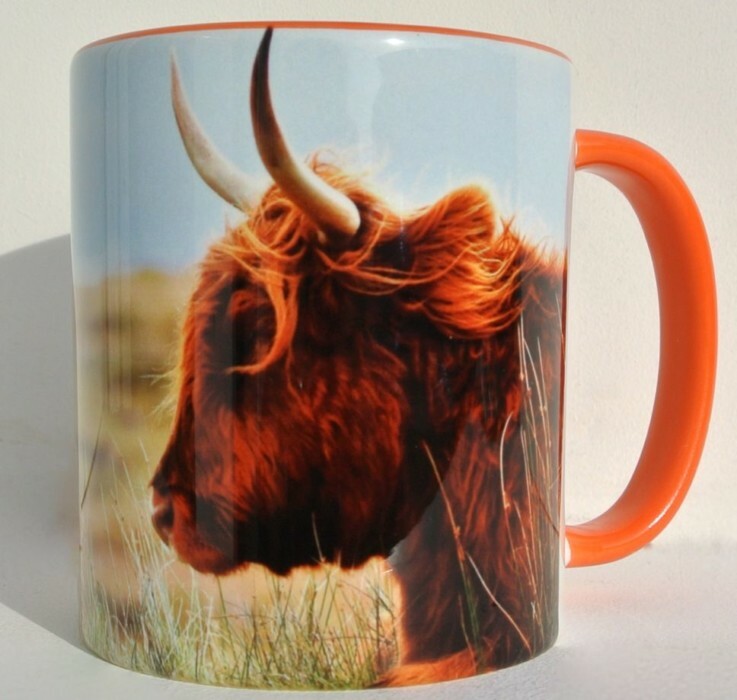 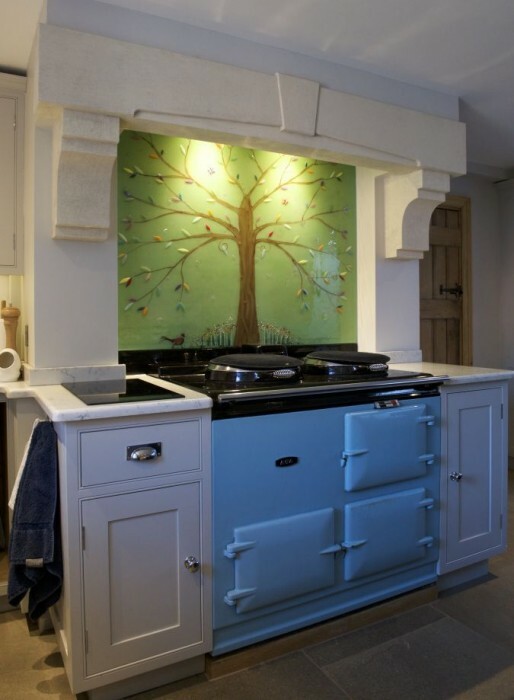 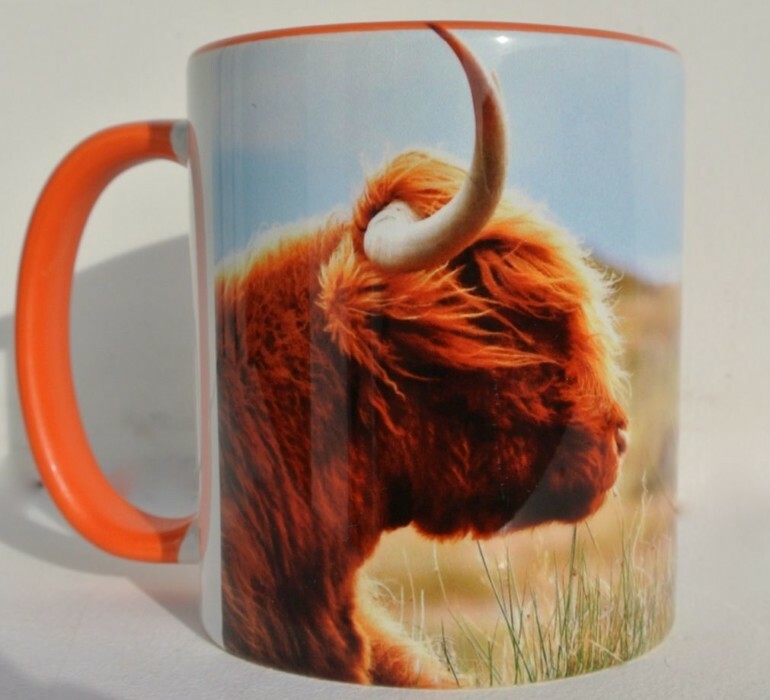 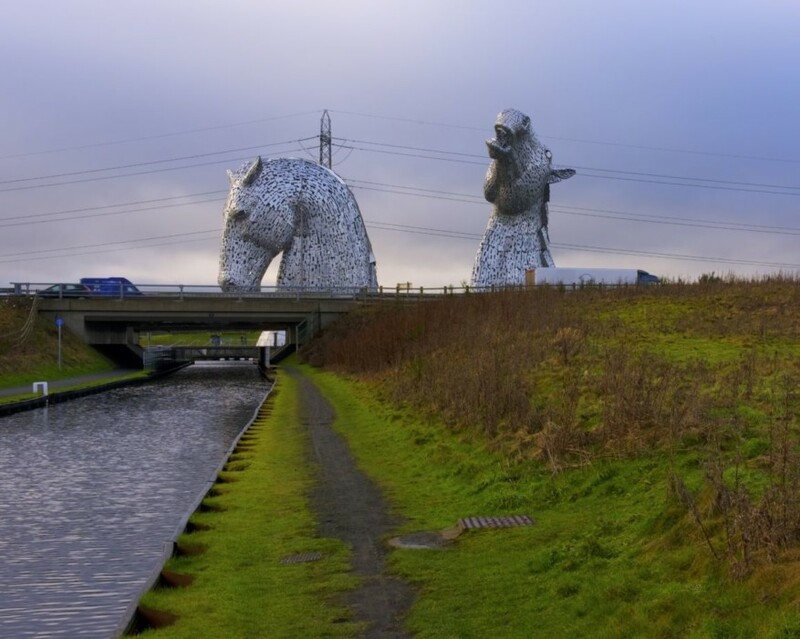 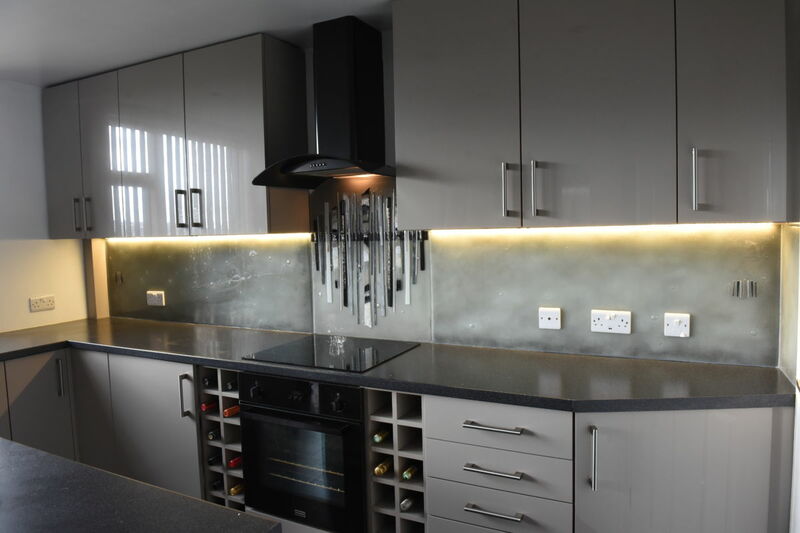 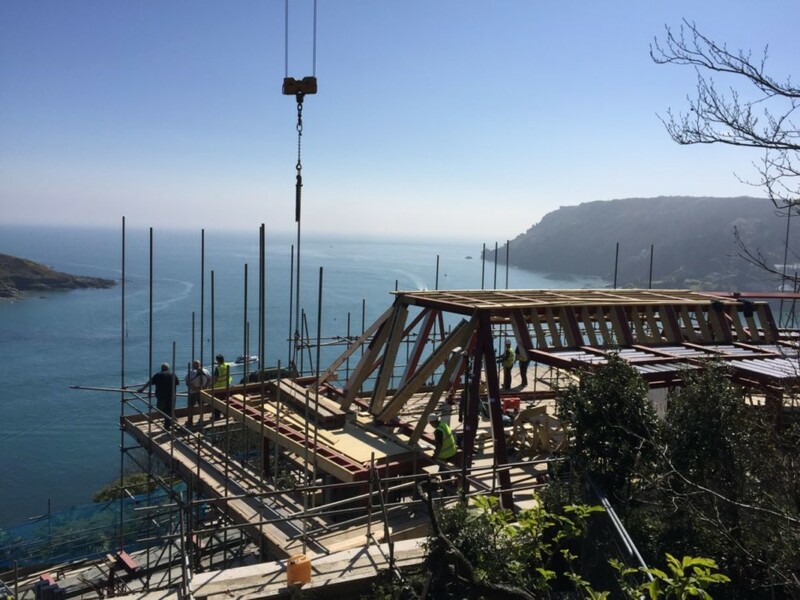 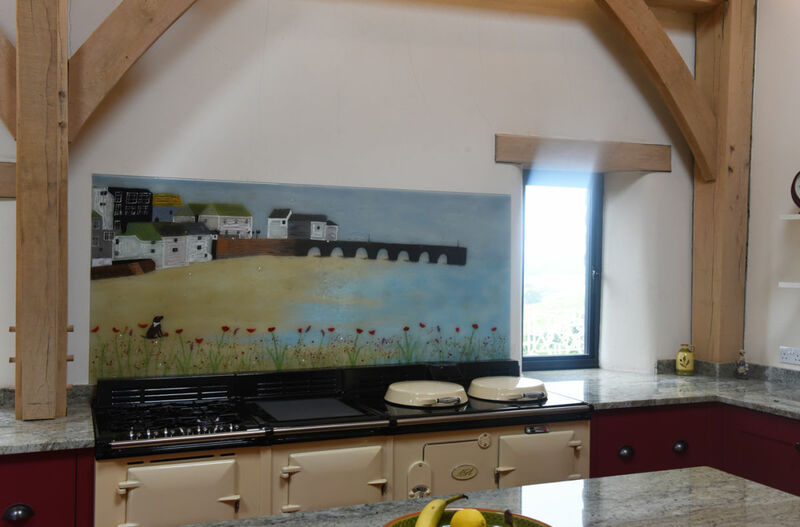 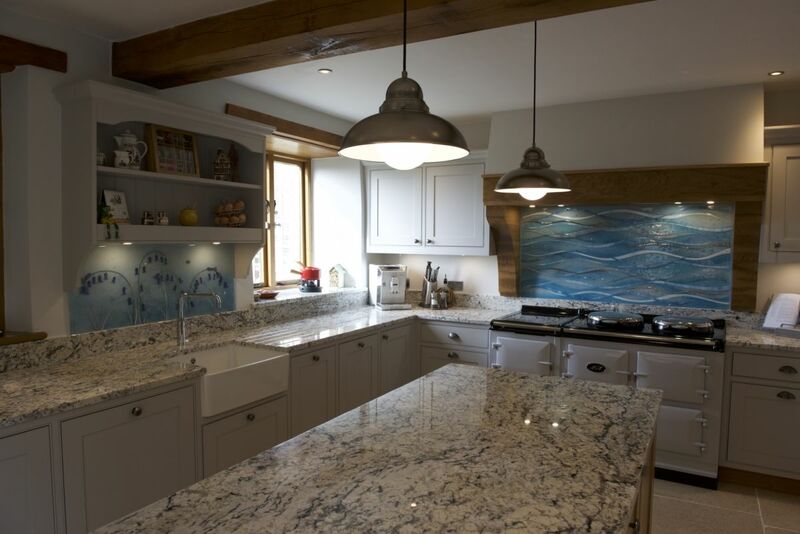 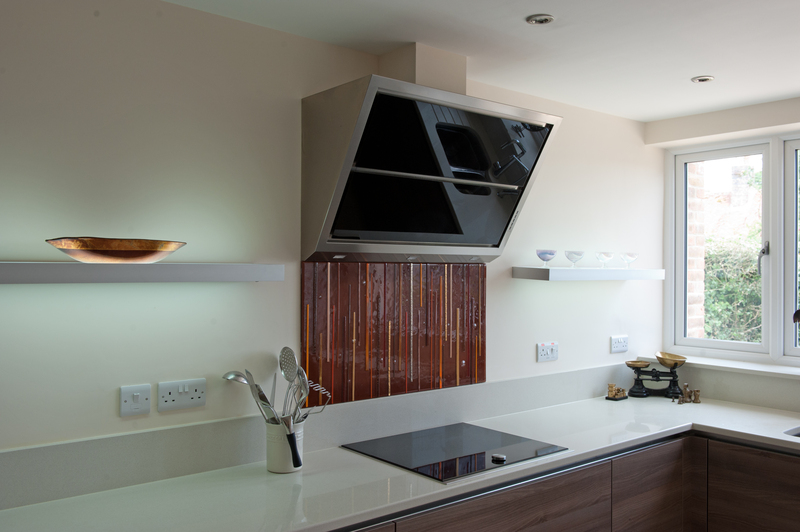 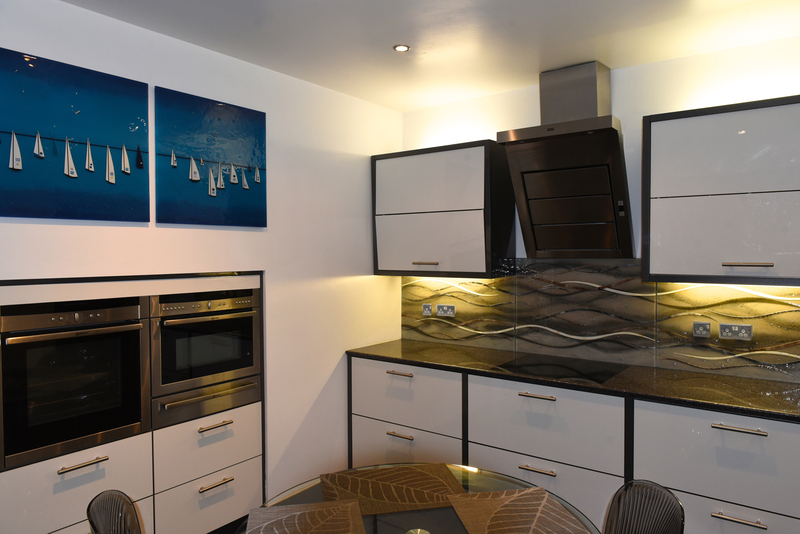 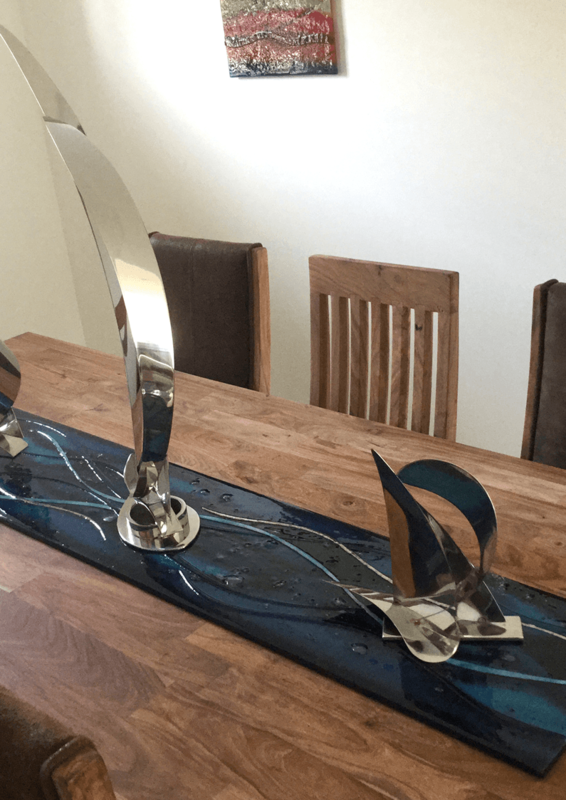 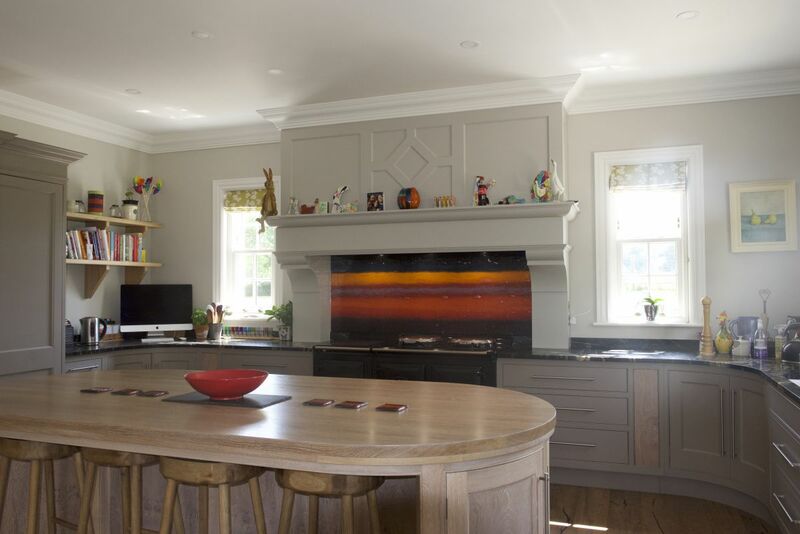 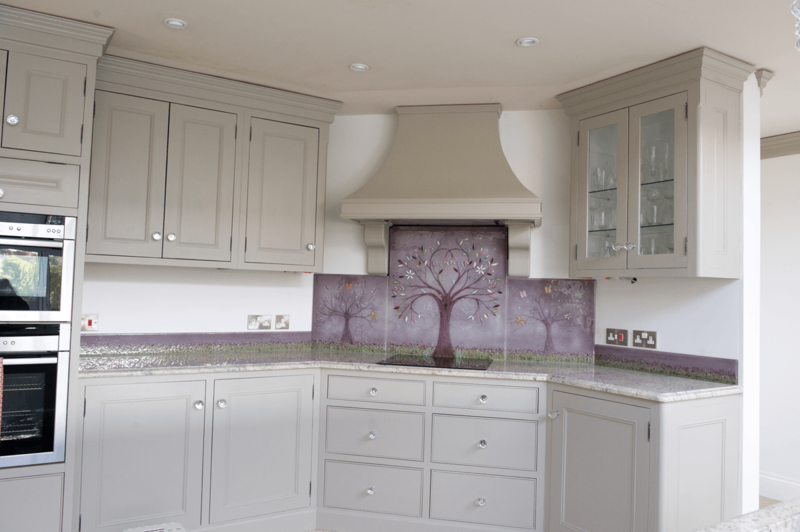 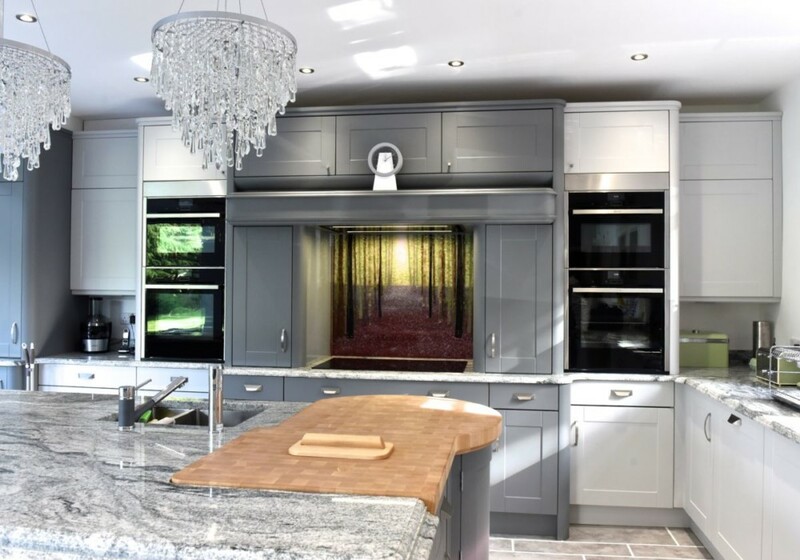 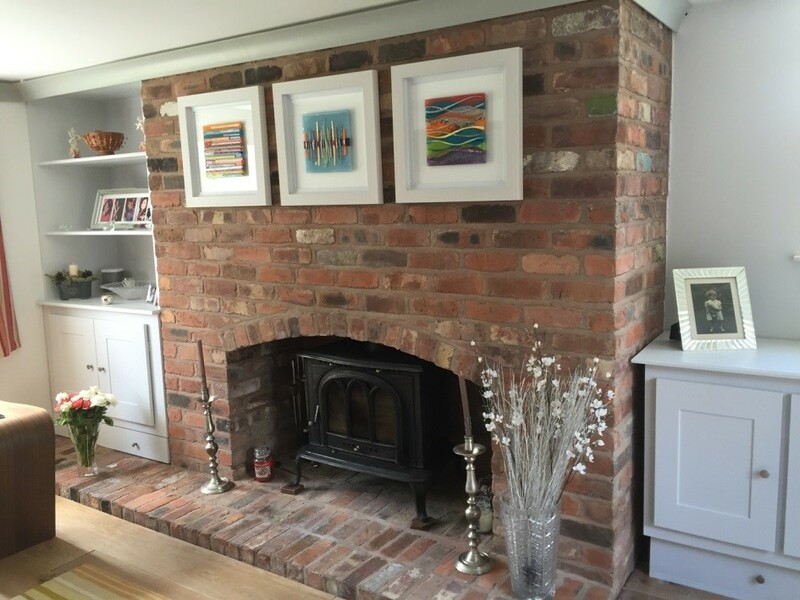 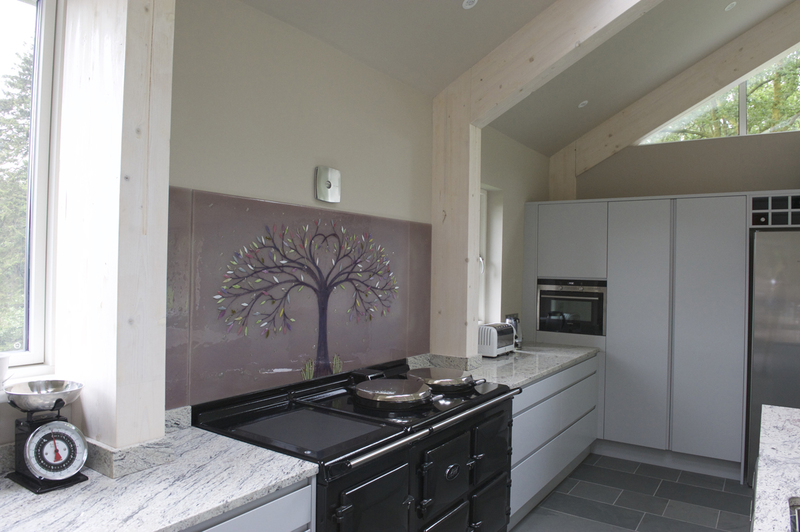 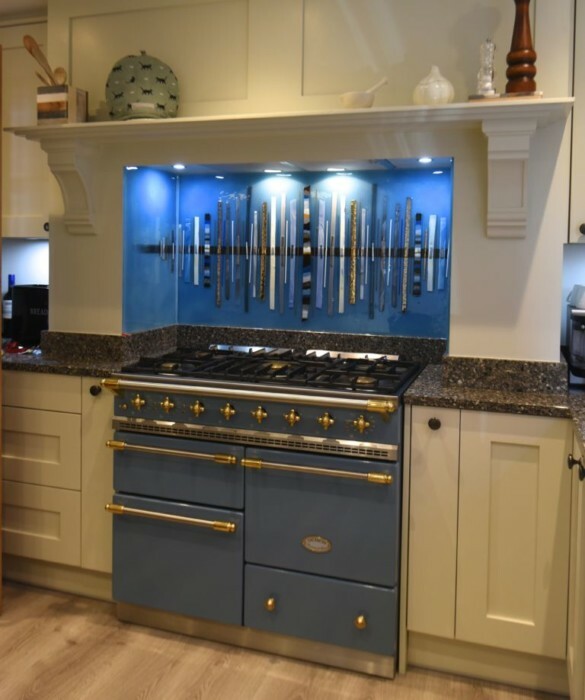 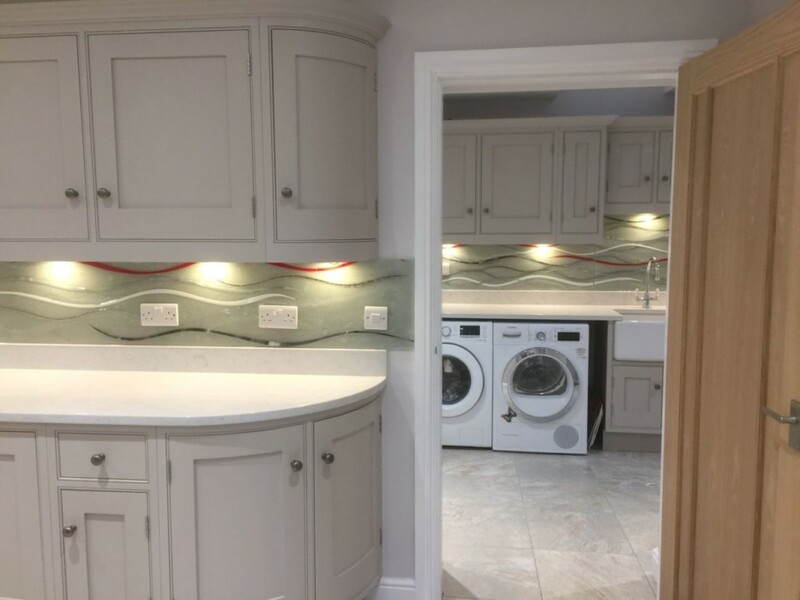 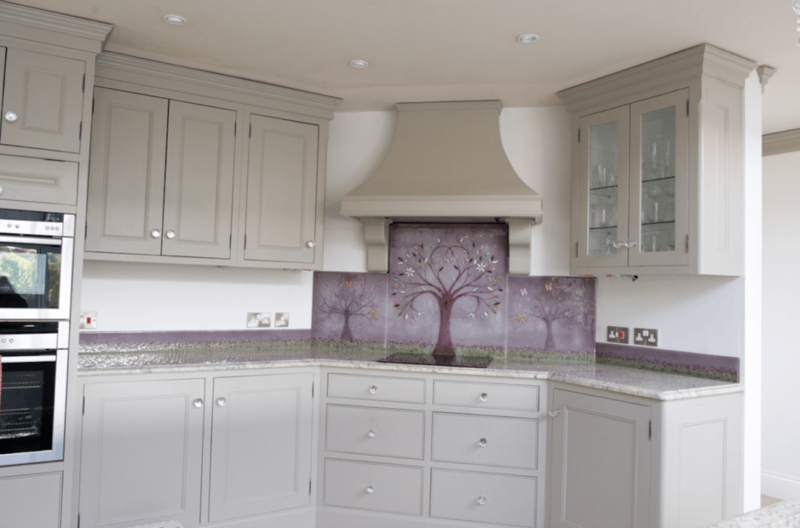 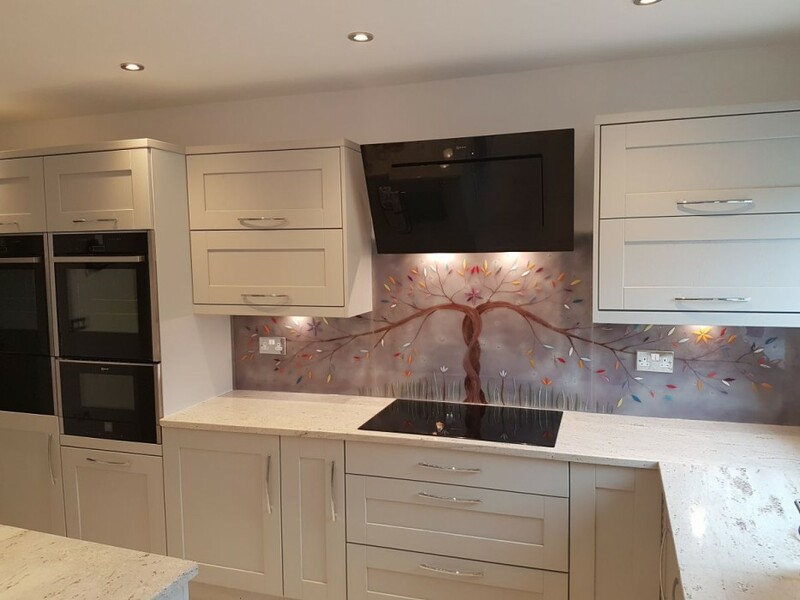 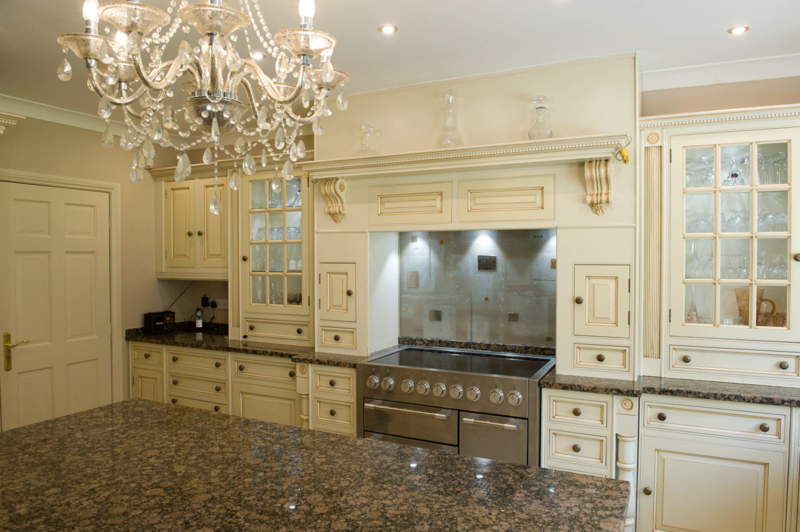 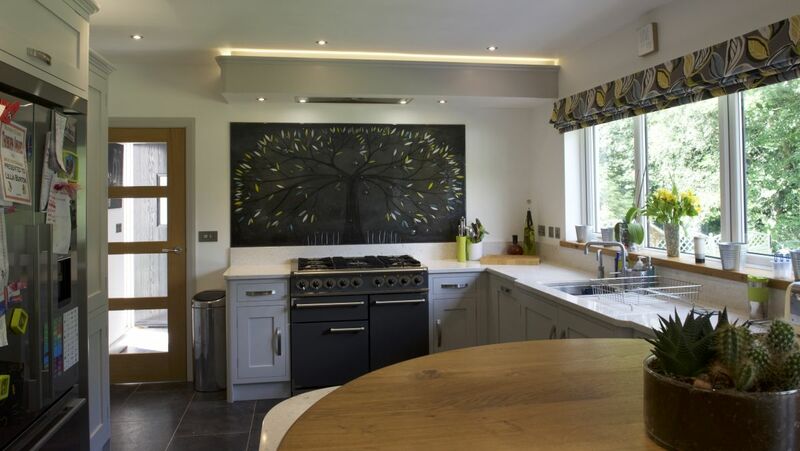 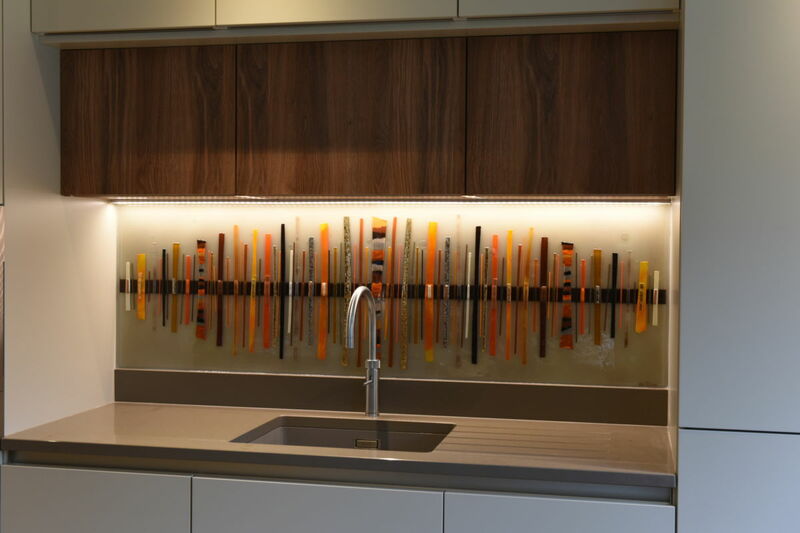 If you’re familiar with our work, then you’ll probably know that most of the pieces that we create on a daily basis are bespoke pieces of all shapes and sizes commissioned by customers all across the country. 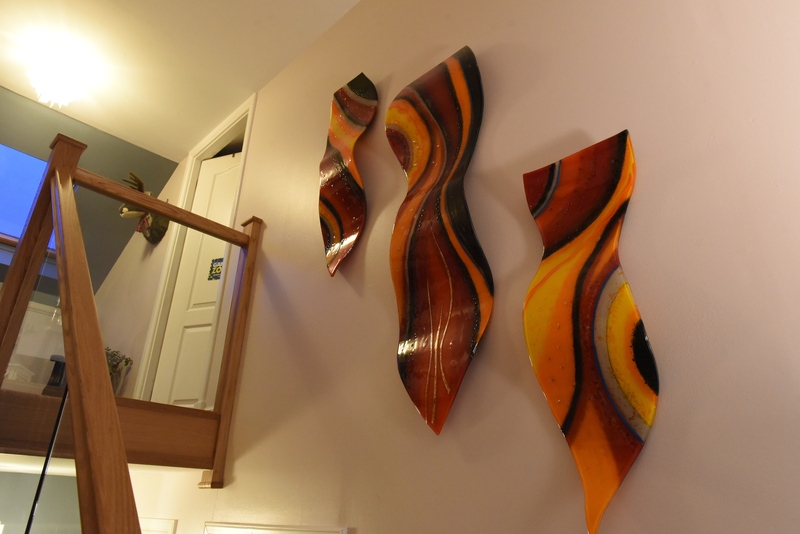 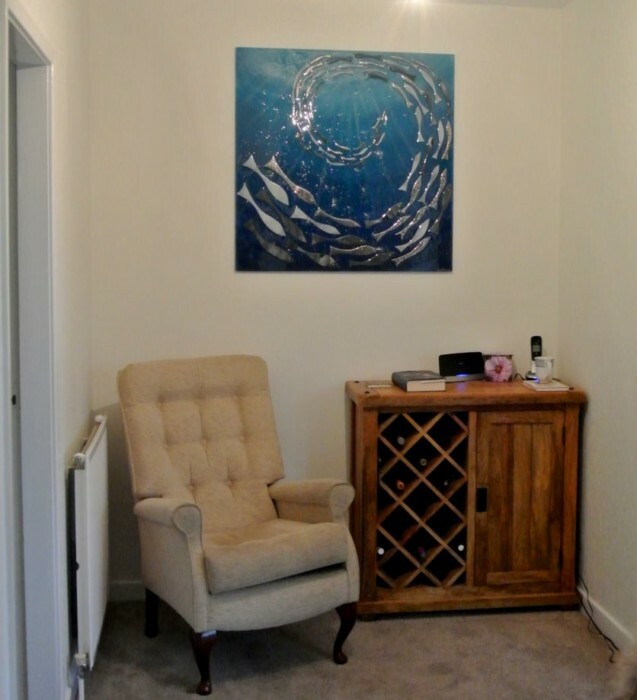 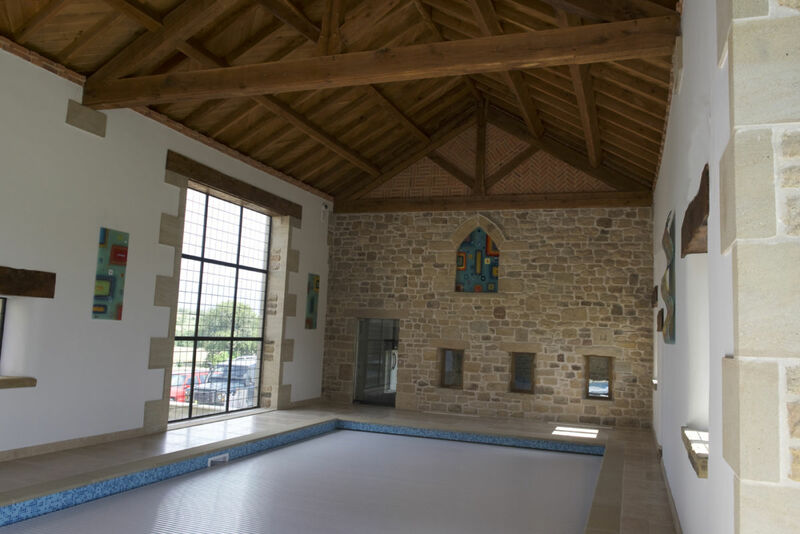 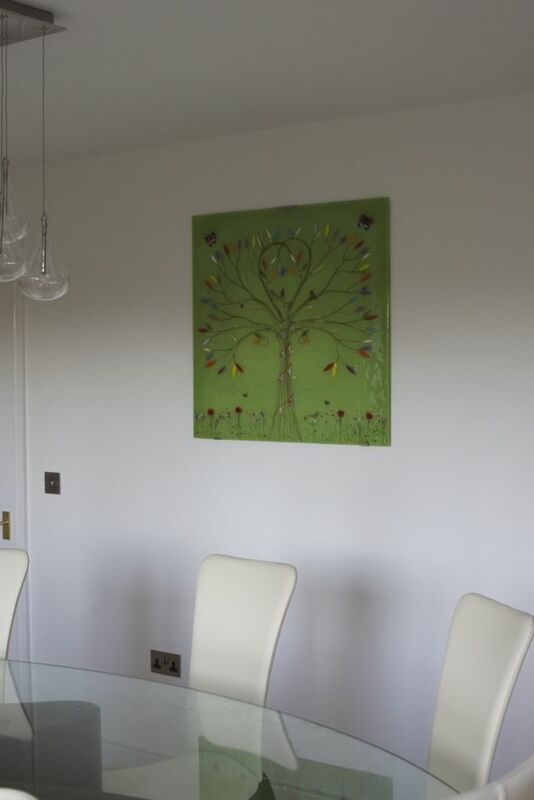 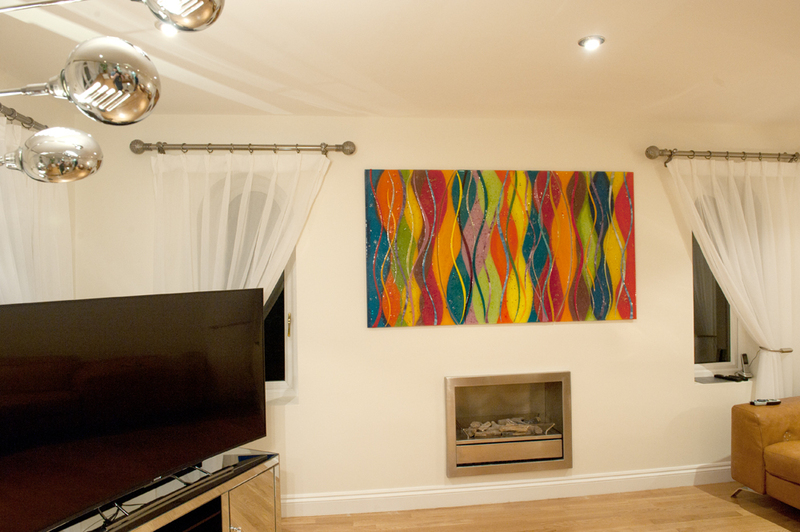 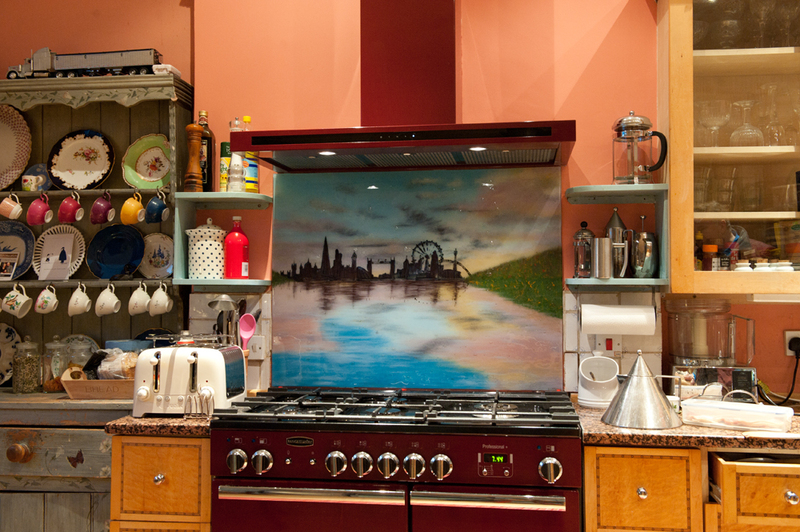 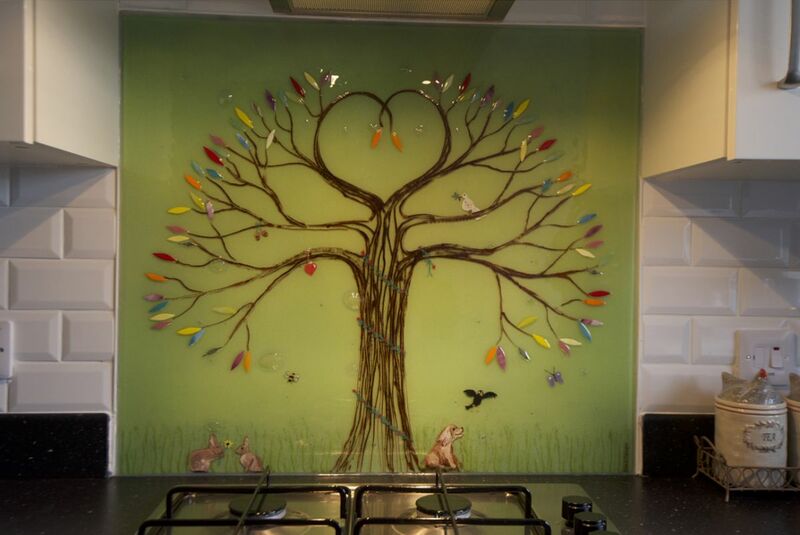 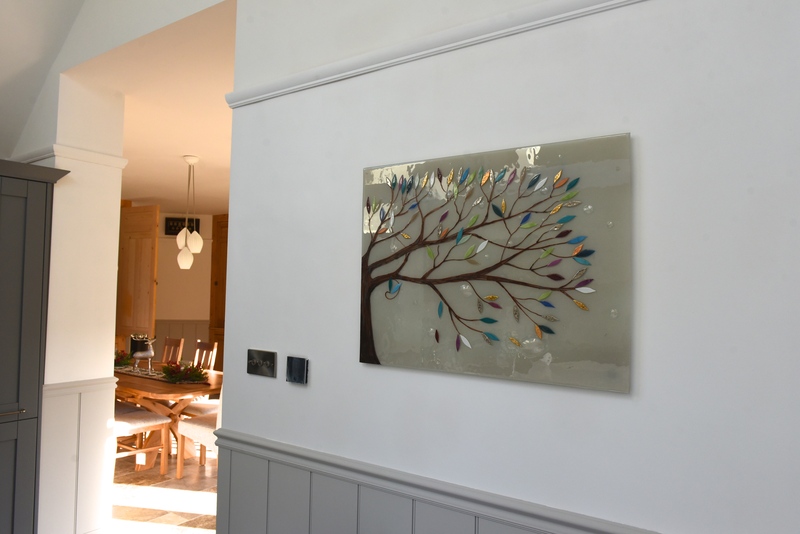 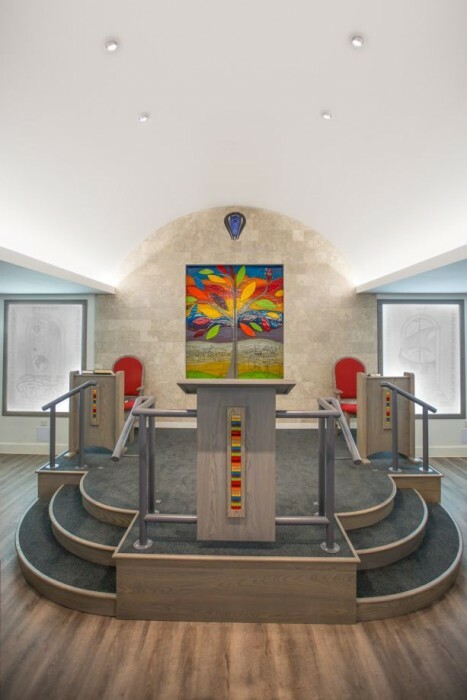 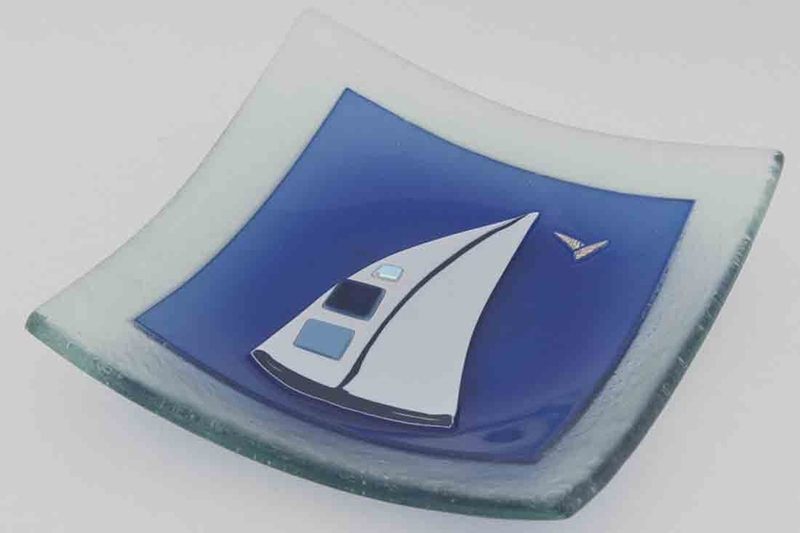 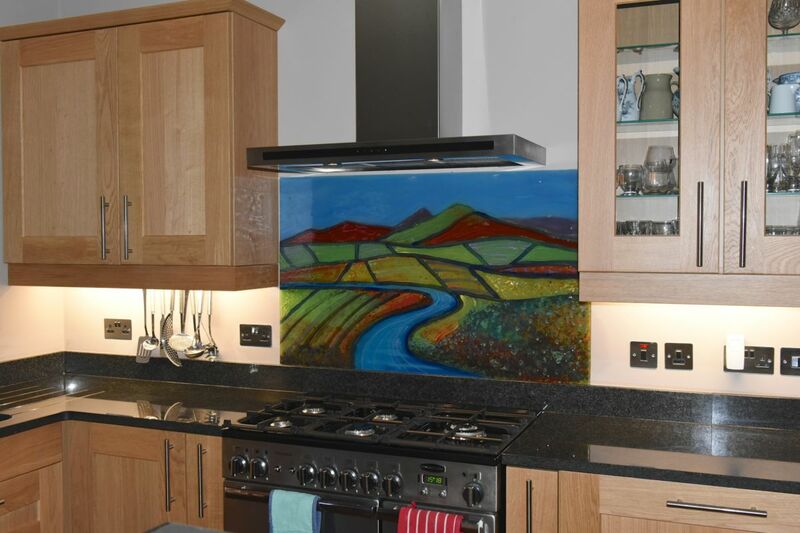 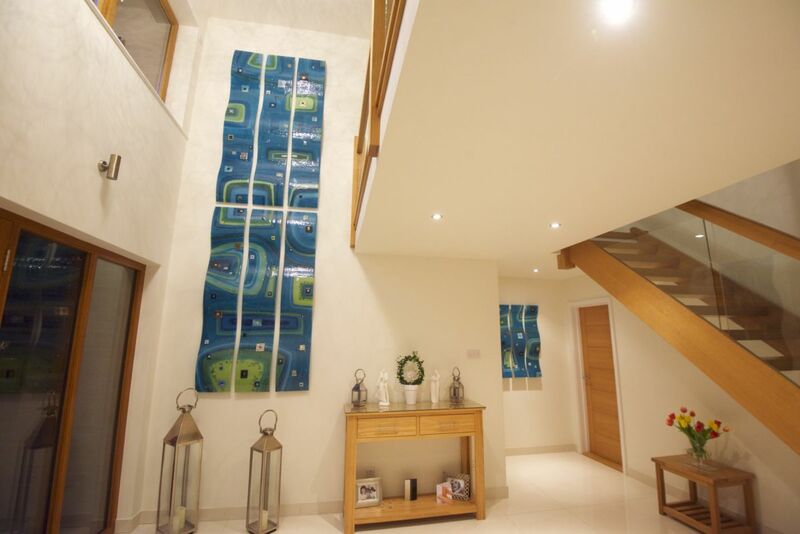 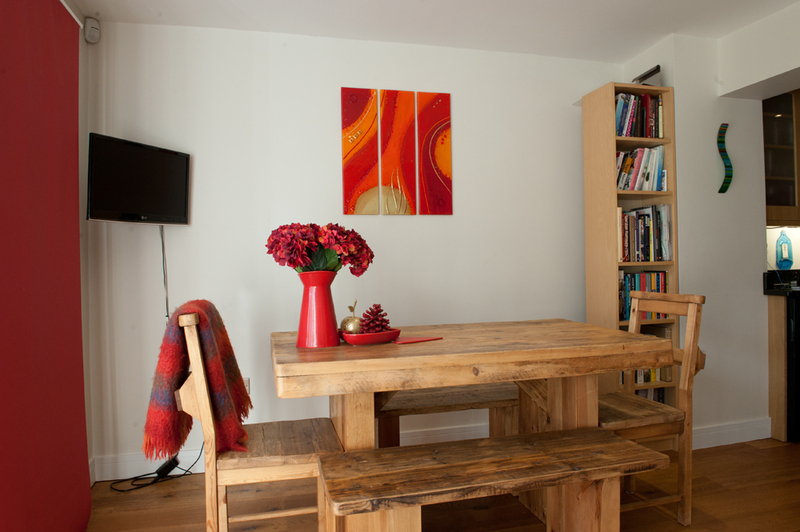 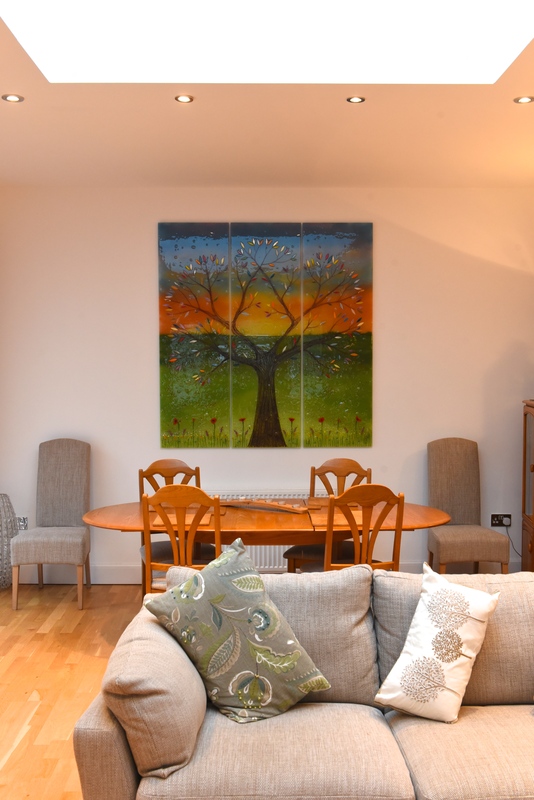 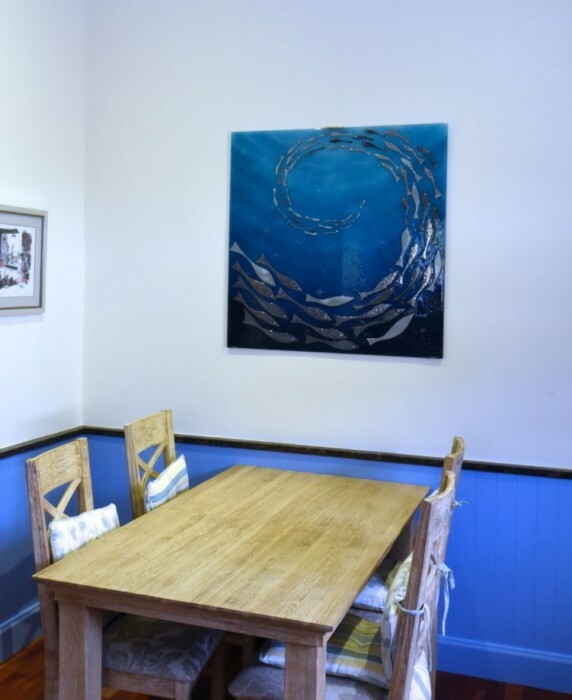 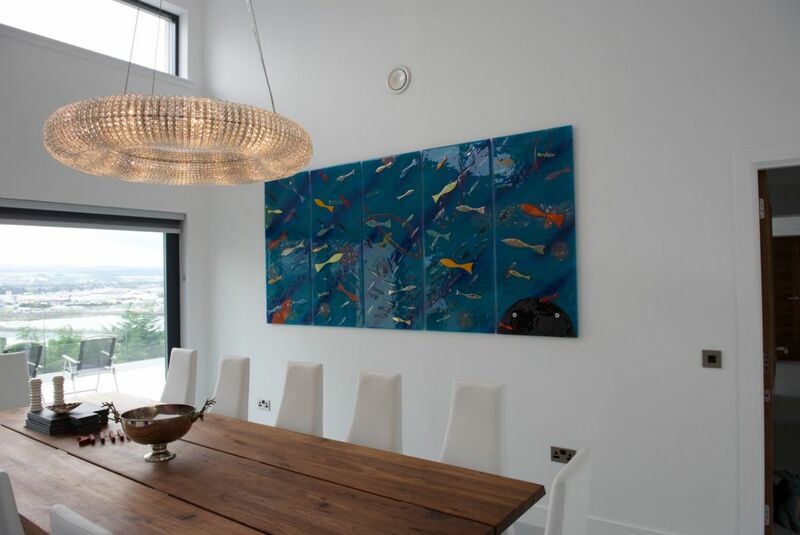 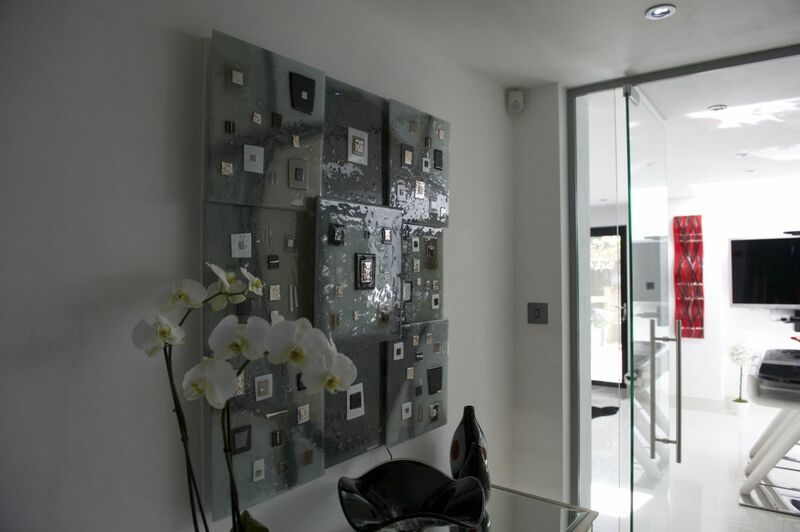 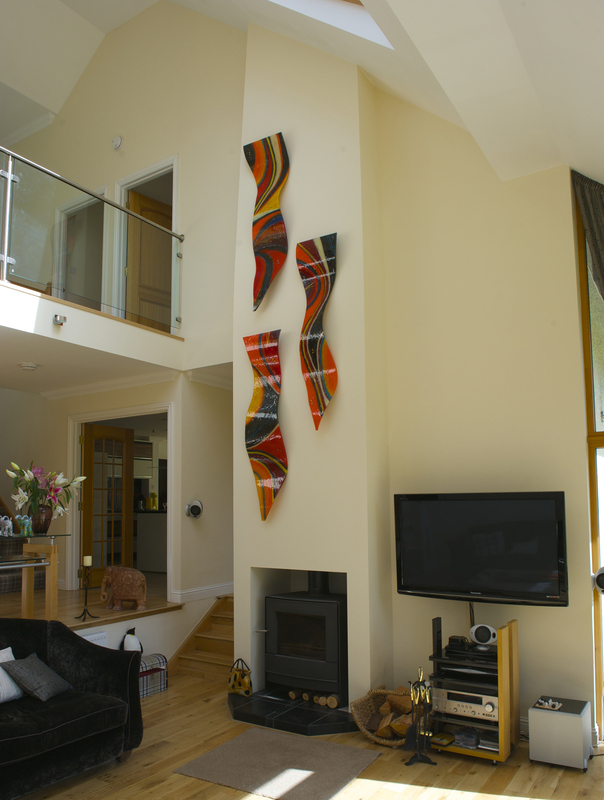 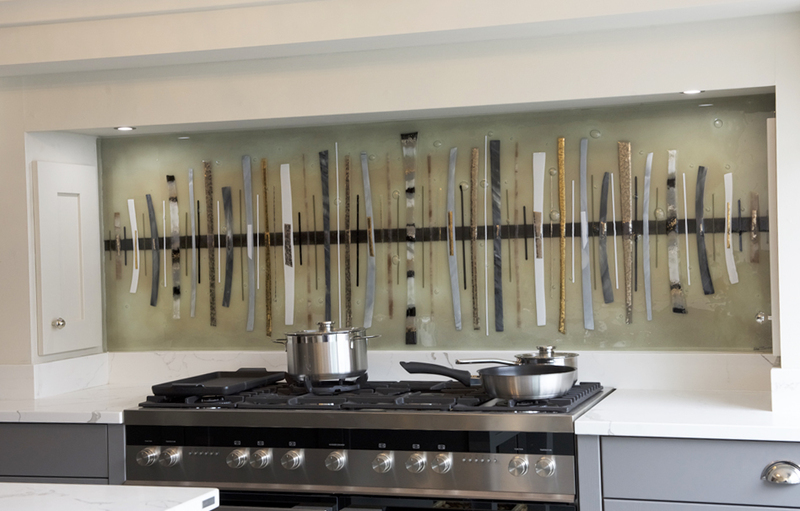 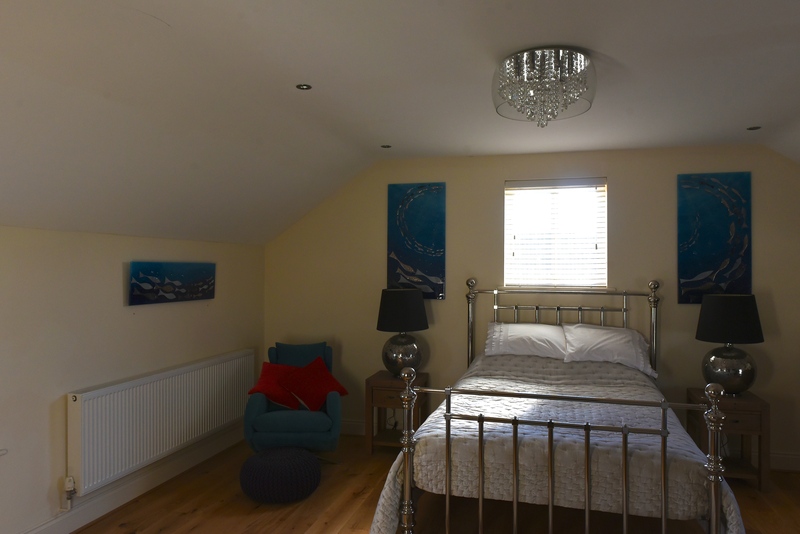 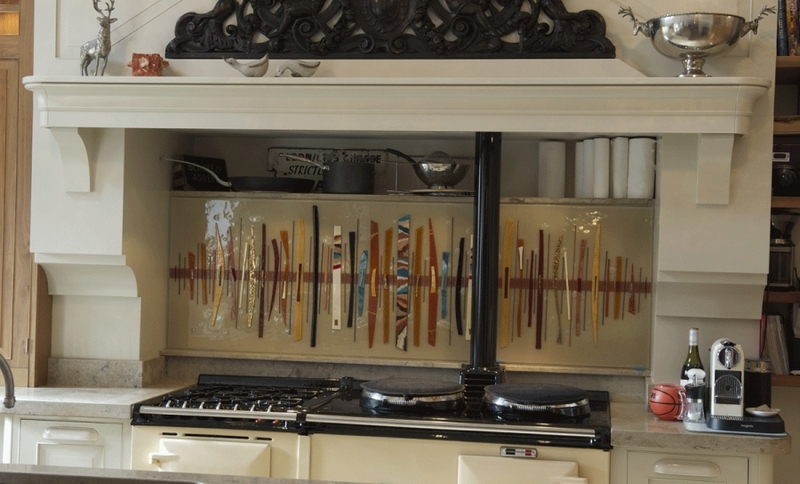 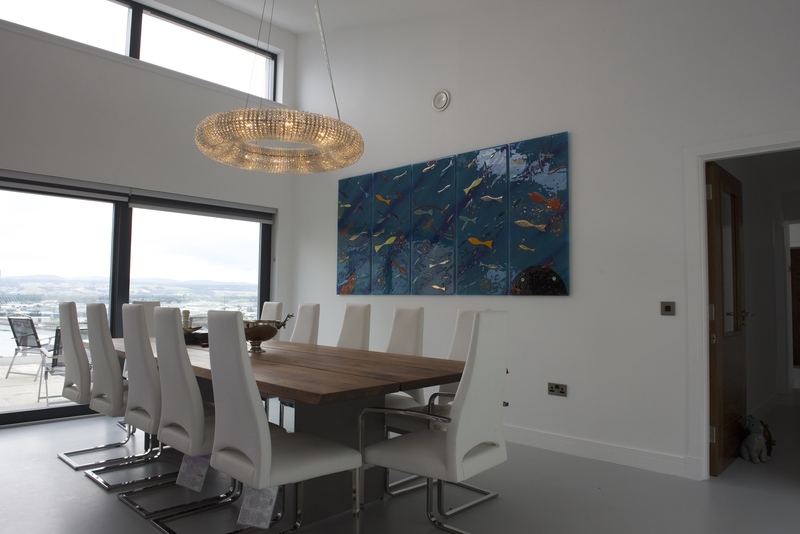 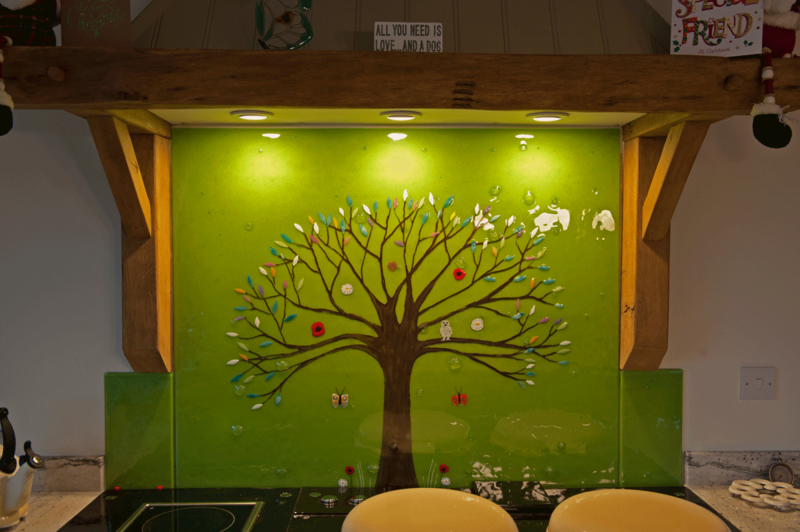 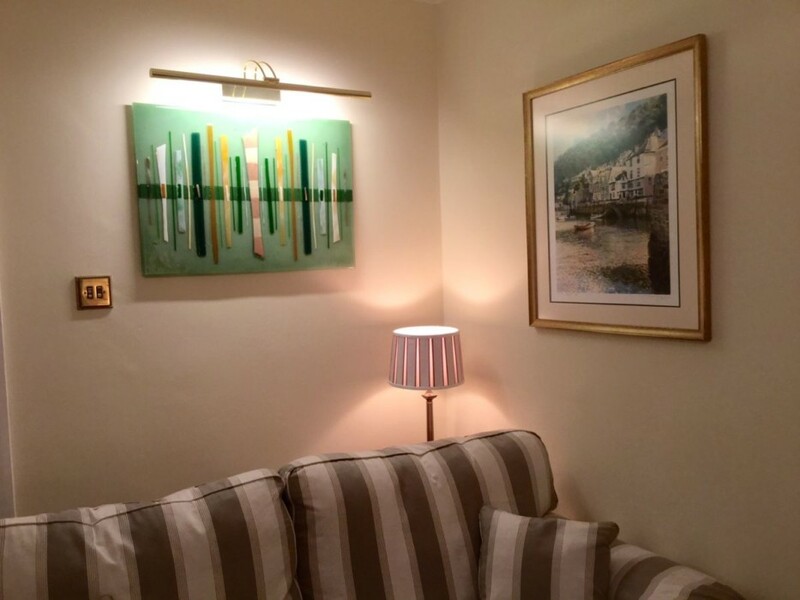 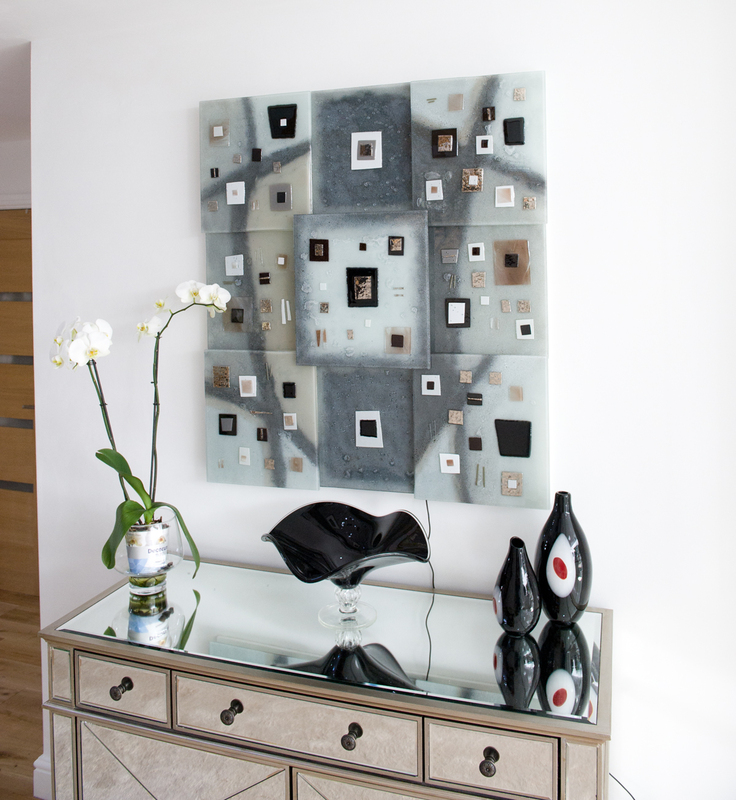 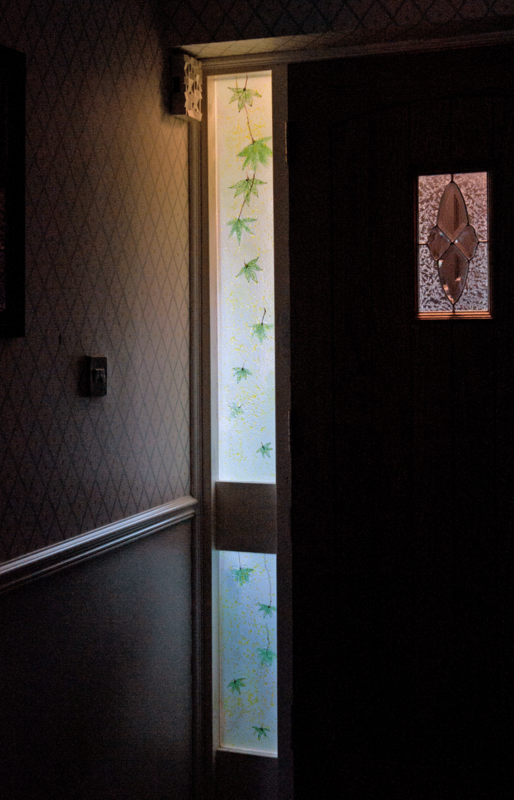 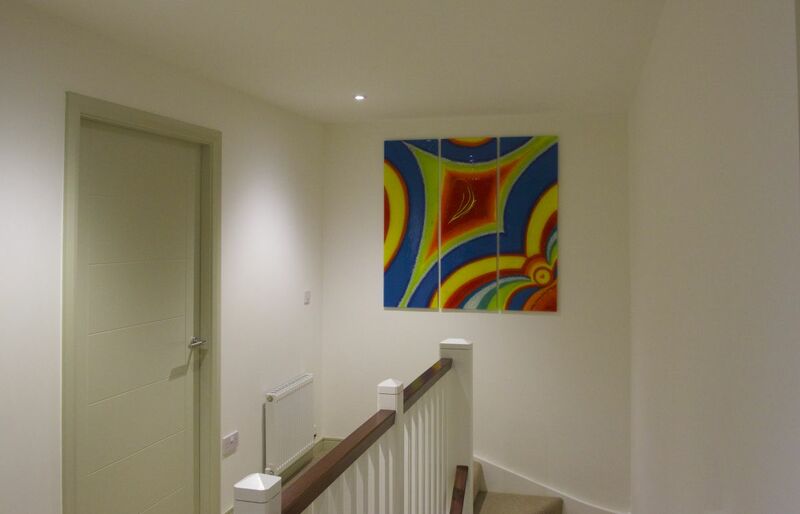 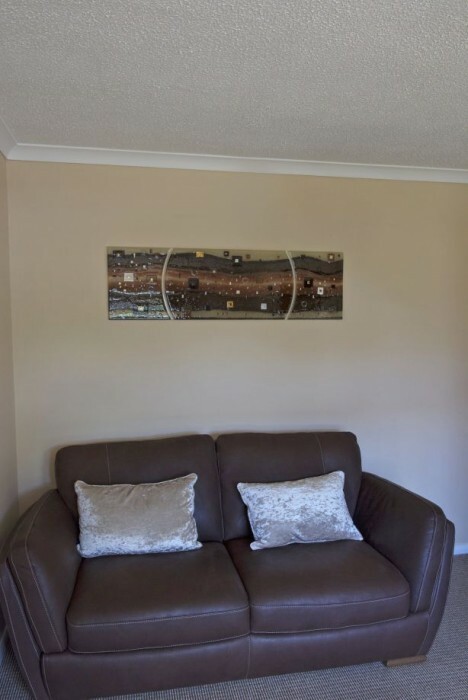 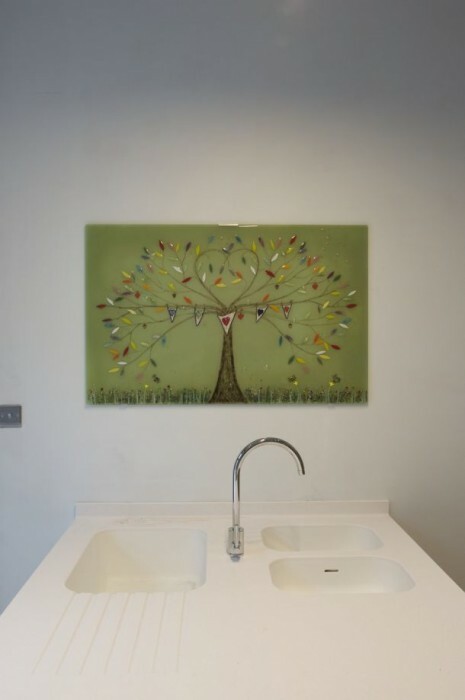 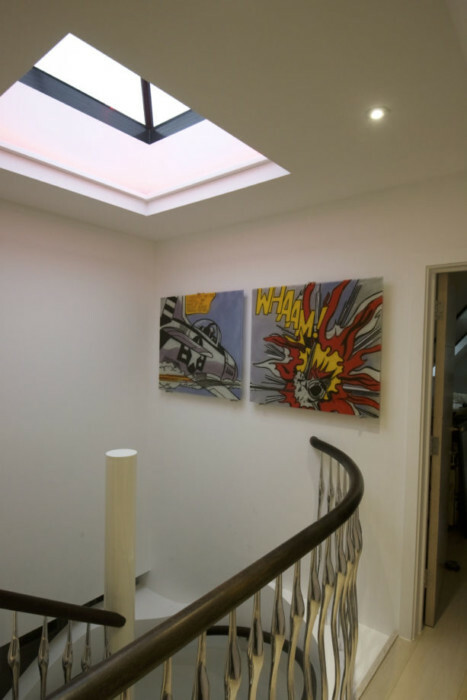 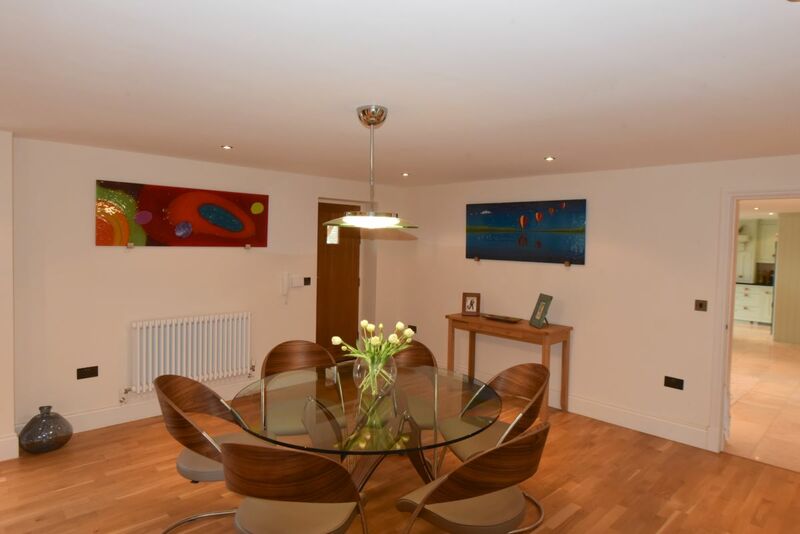 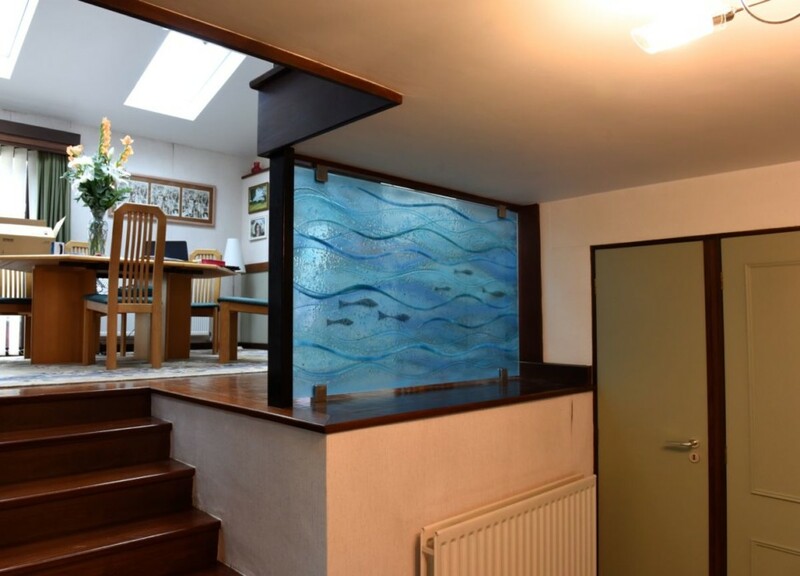 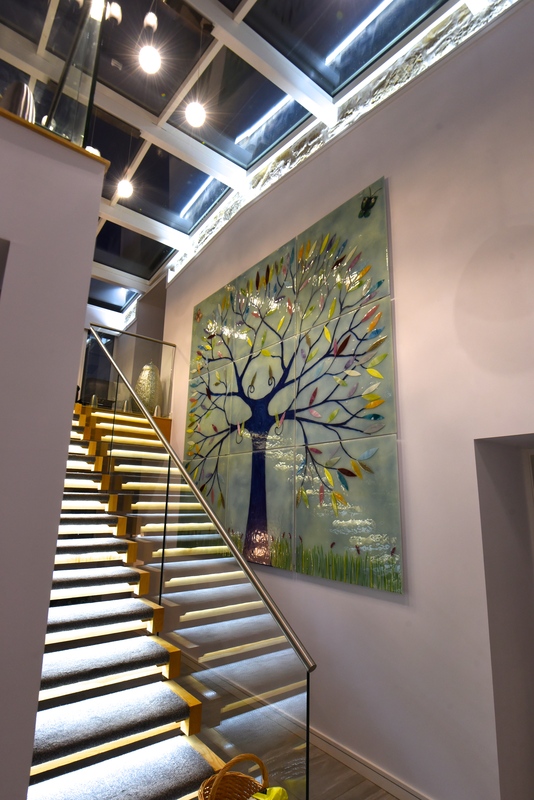 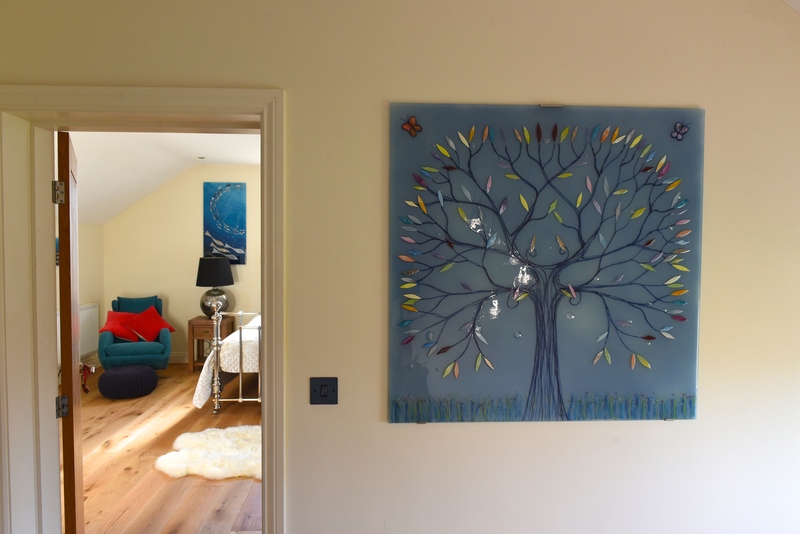 So, what house did the piece of bespoke glass art pictured above end up in? 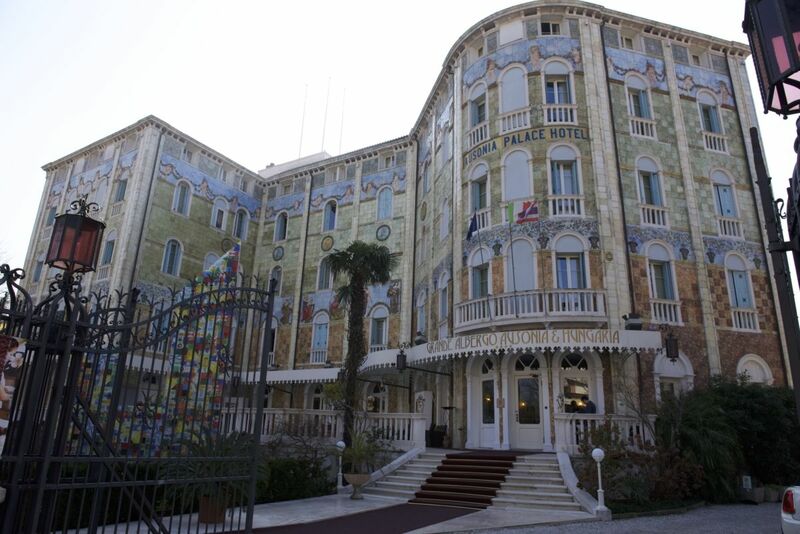 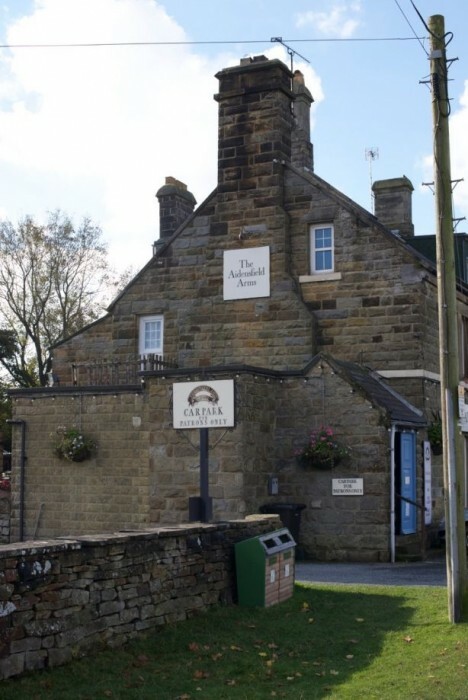 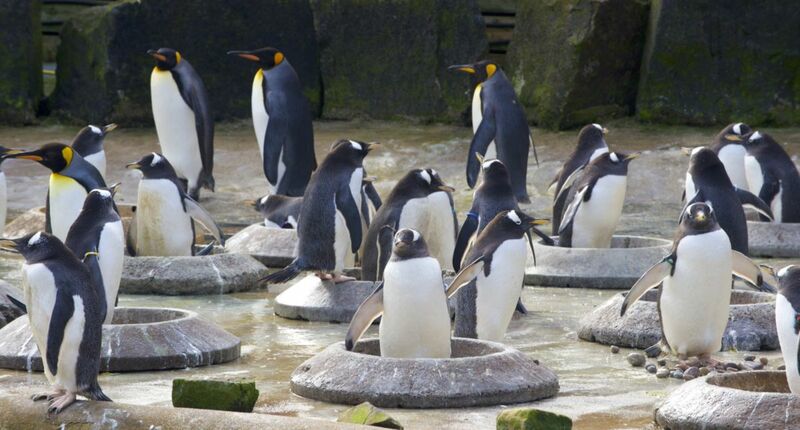 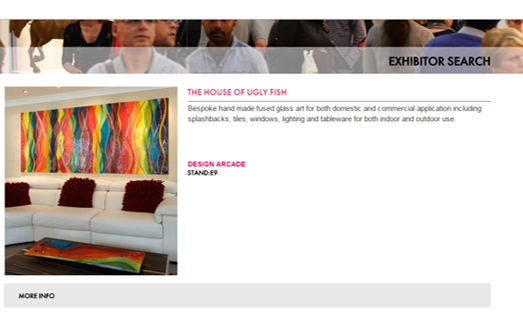 None other than our very own House of Ugly Fish! 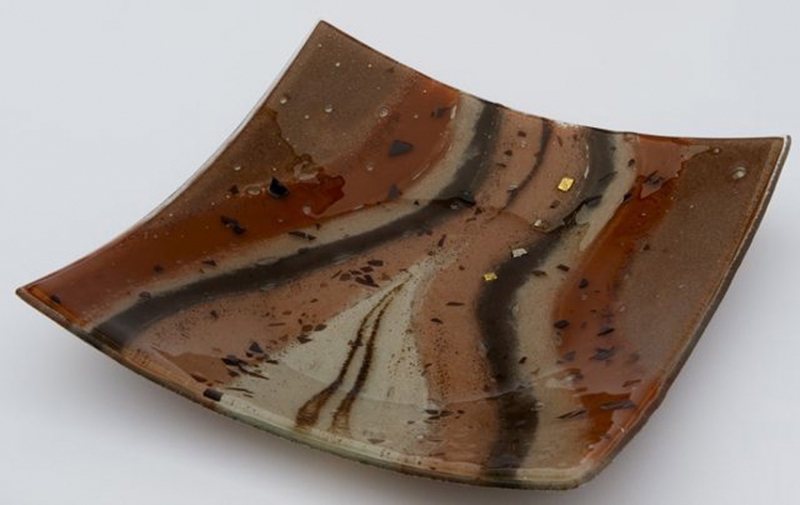 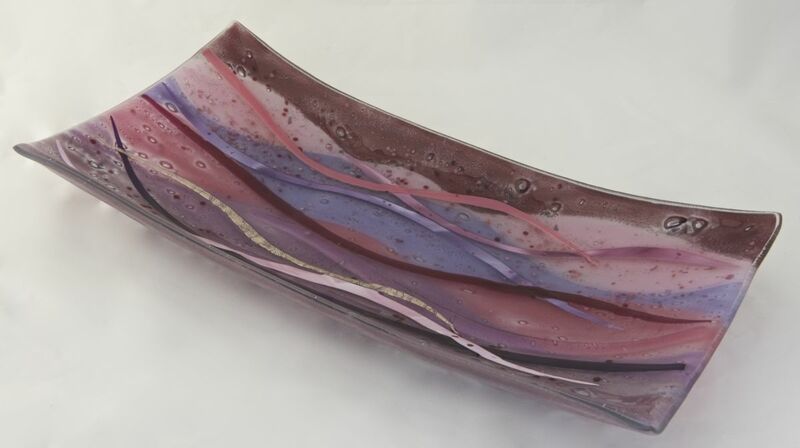 This piece is the first to be created in what we’re calling the Artist’s Choice collection, which is a series of pieces created purely for the love of making glass art. 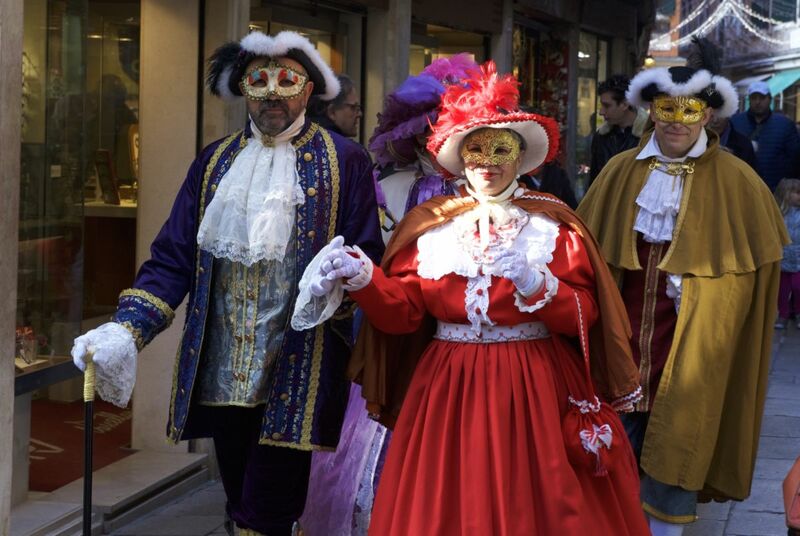 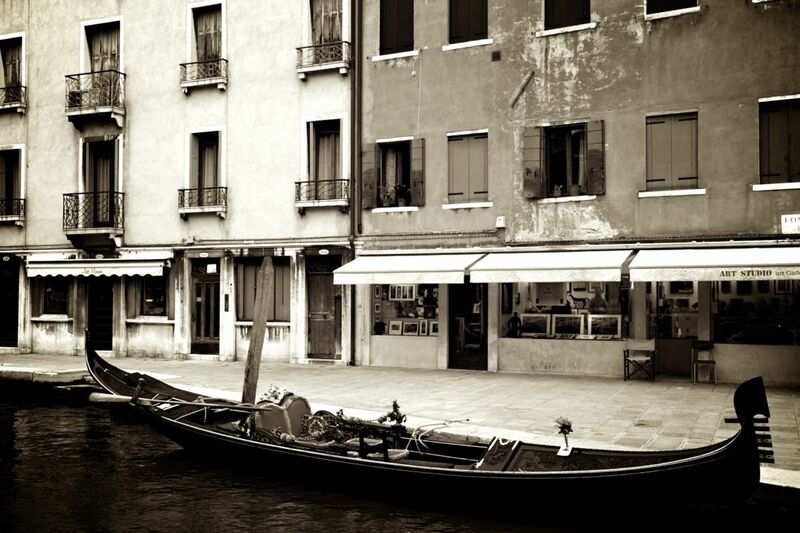 We’re thinking of calling this particular one, “Looking to St. Mark’s”! 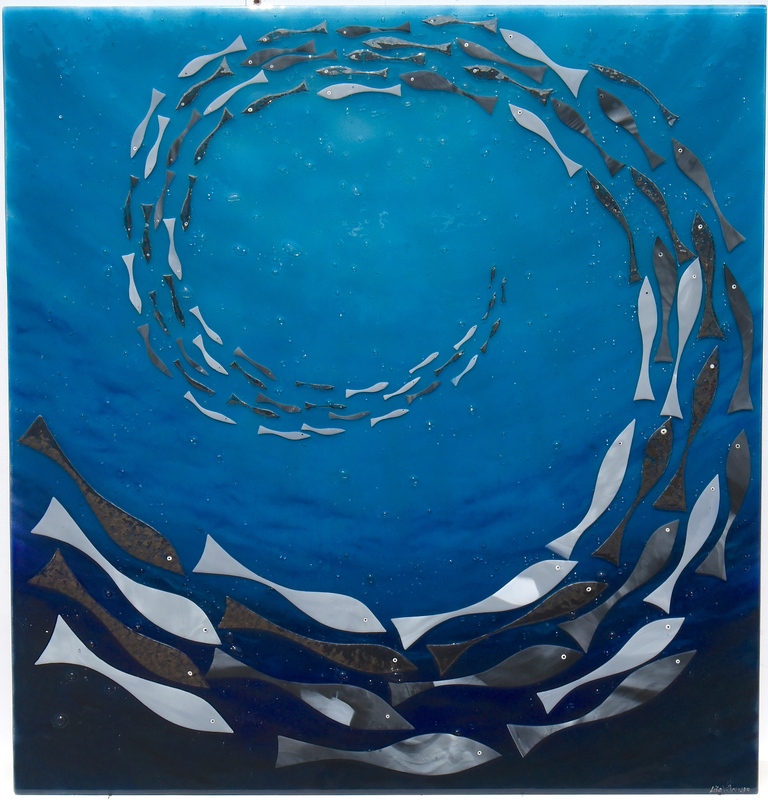 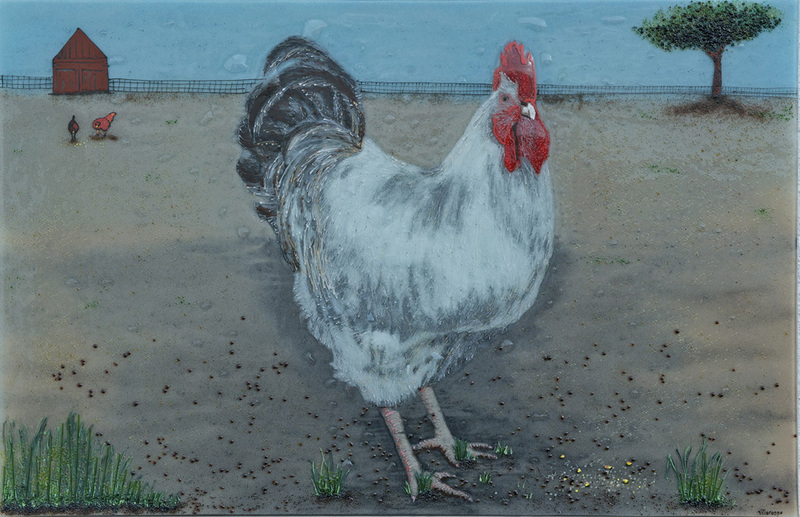 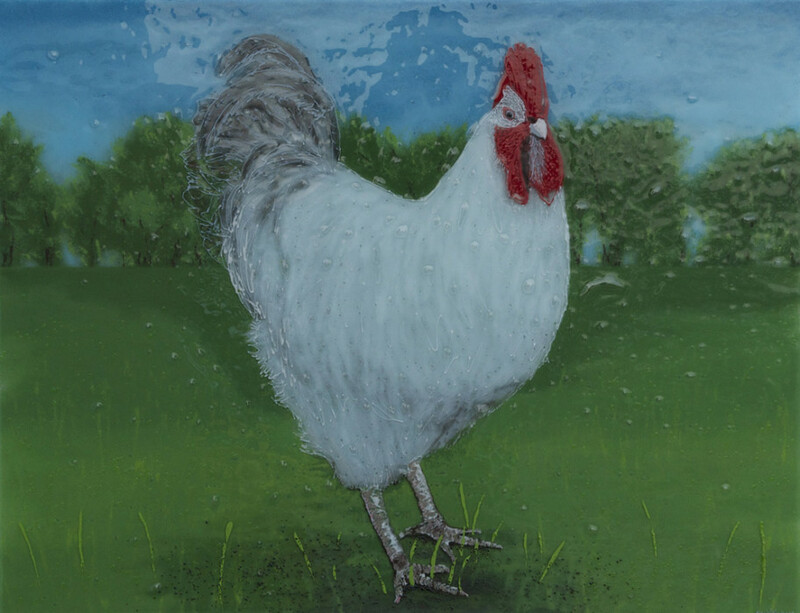 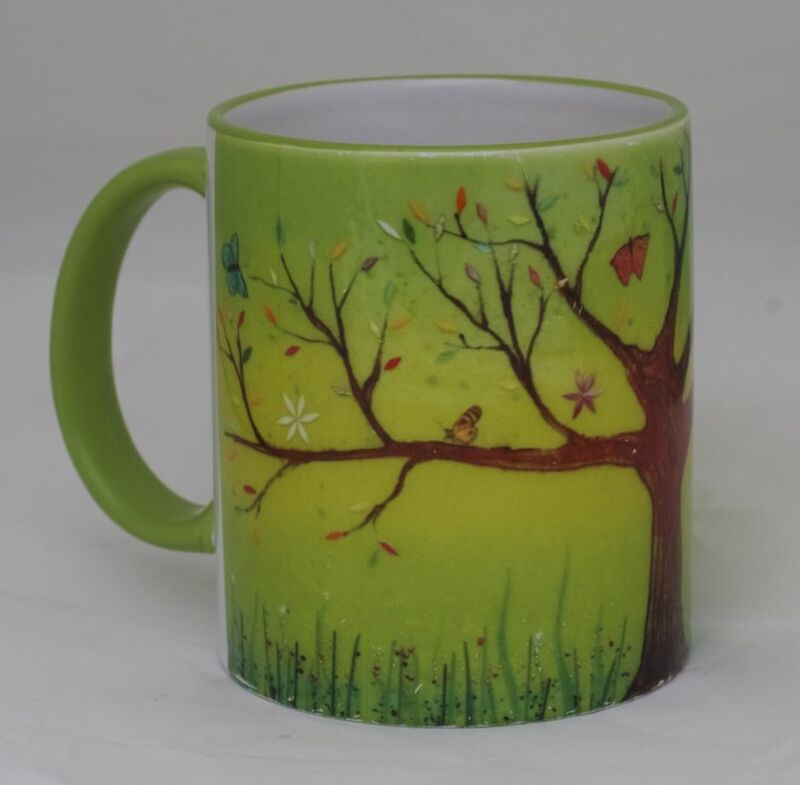 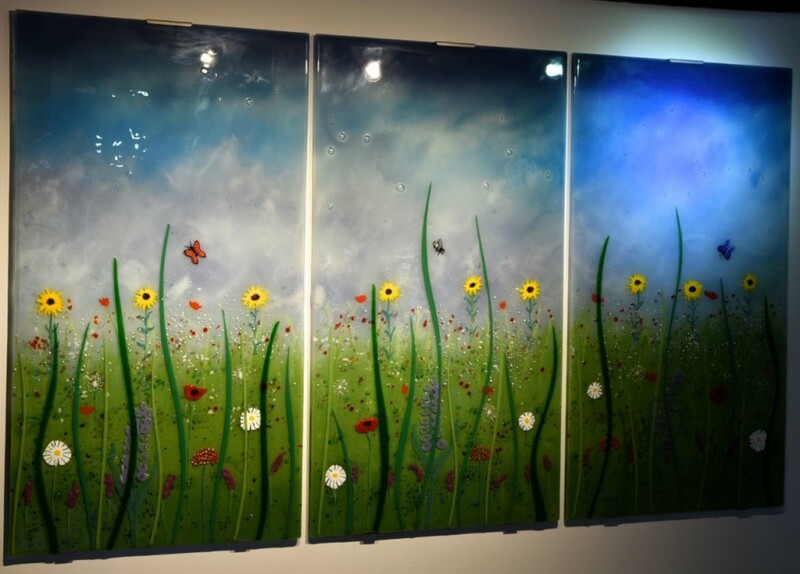 Much like a traditional artist will paint out their own imaginative works on canvas, letting the images in their mind flow freely, this piece is straight from the mind of our in-house glass artist Lisa Villarospo. 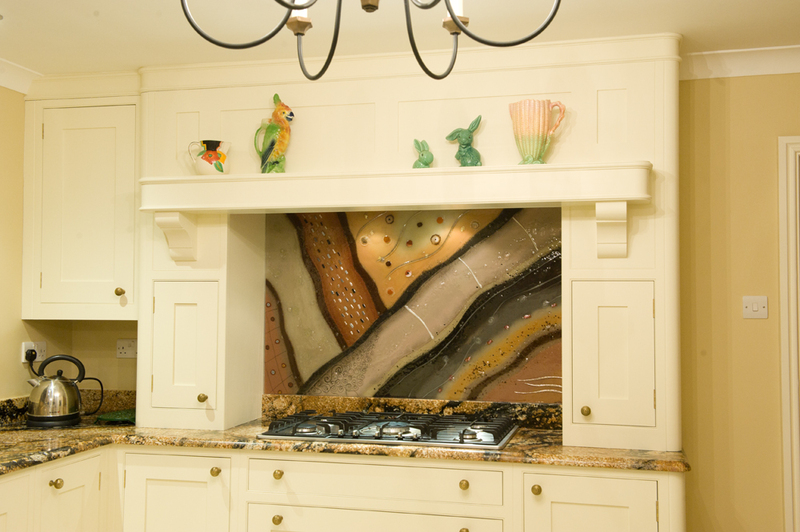 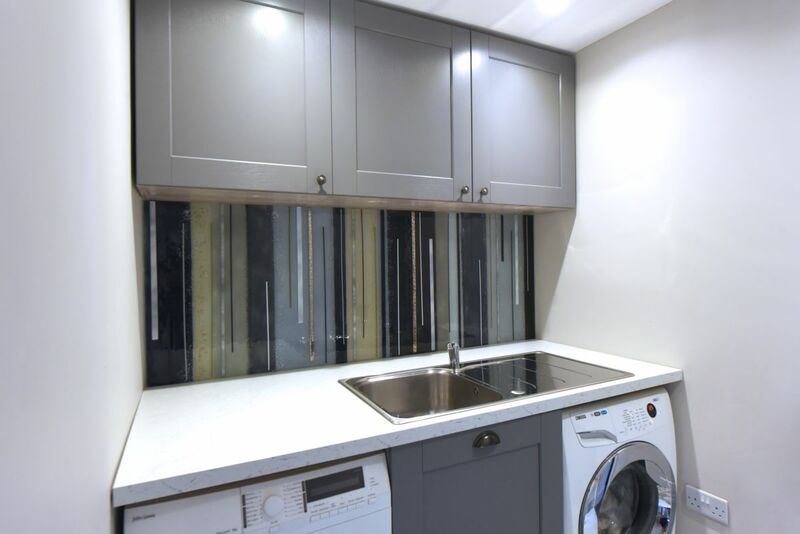 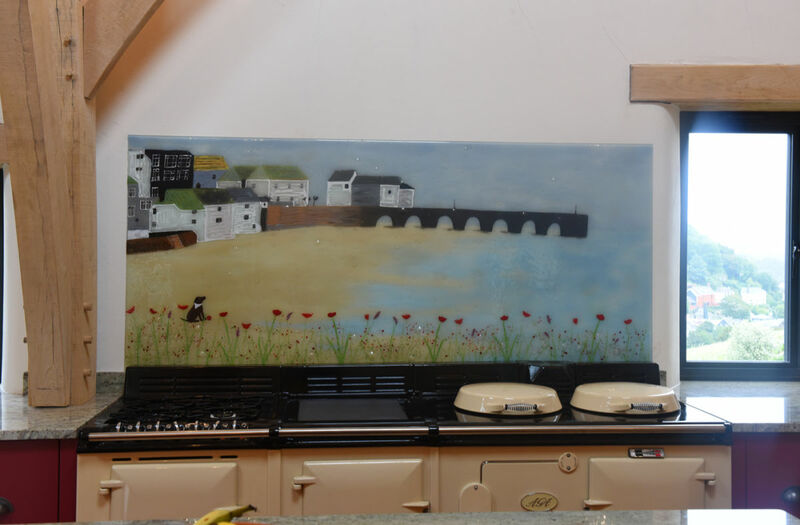 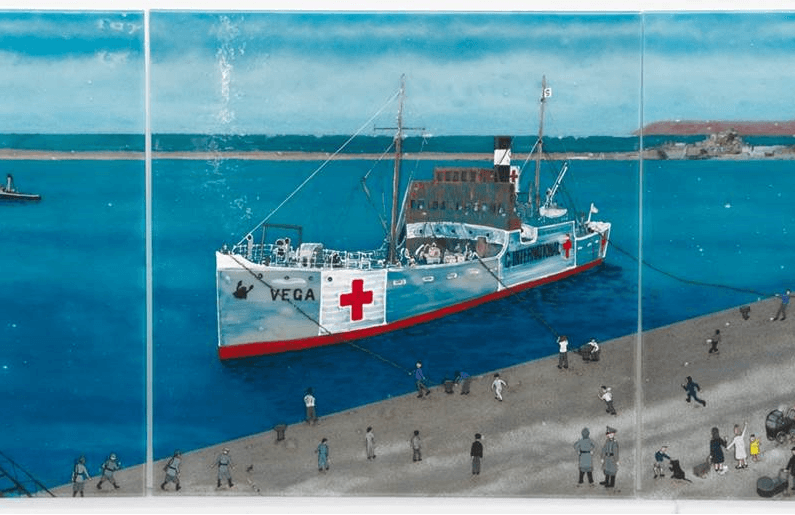 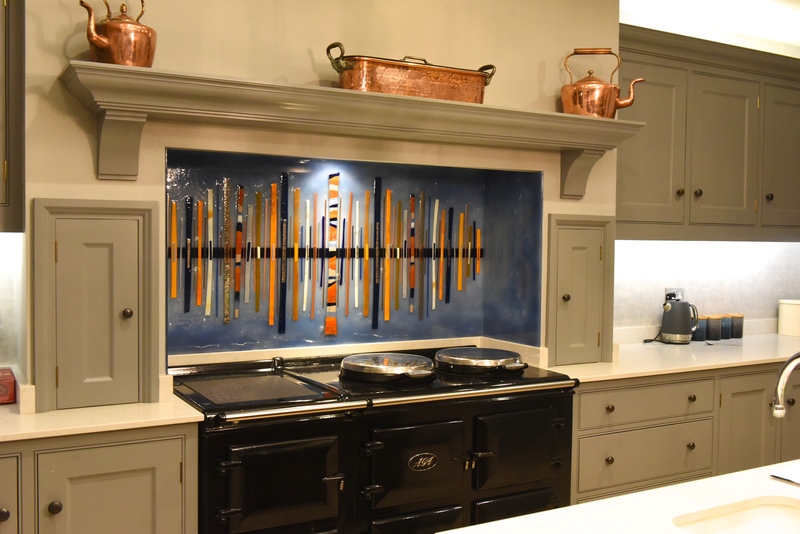 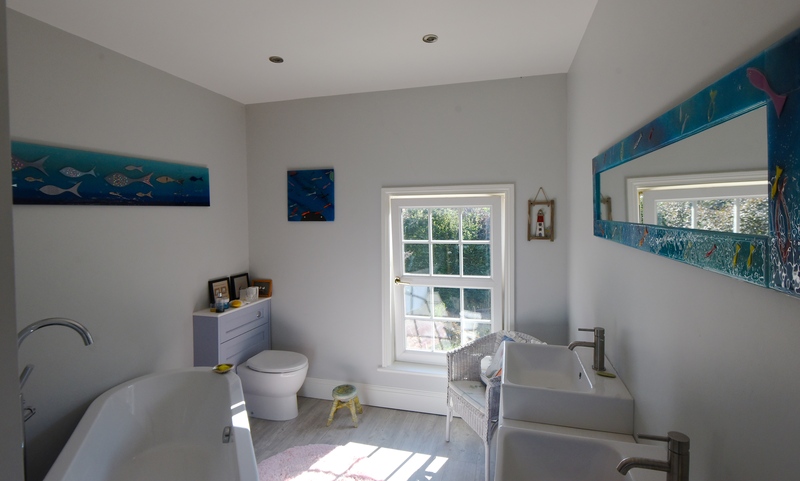 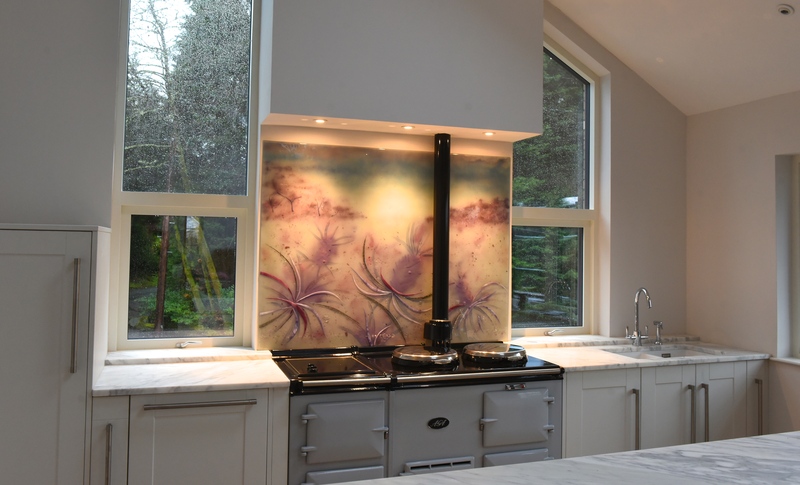 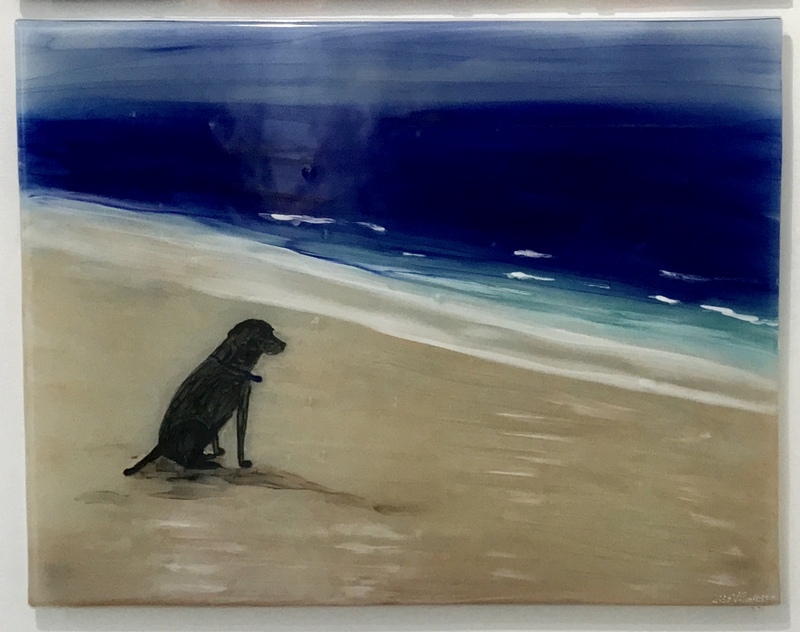 Of course, the blank canvas has been swapped out for a panel of glass, and the usual paint and brush combination has been traded in for enamel powders, metallic pieces and more, but make no mistake – this is an original piece of art in every sense of the word! 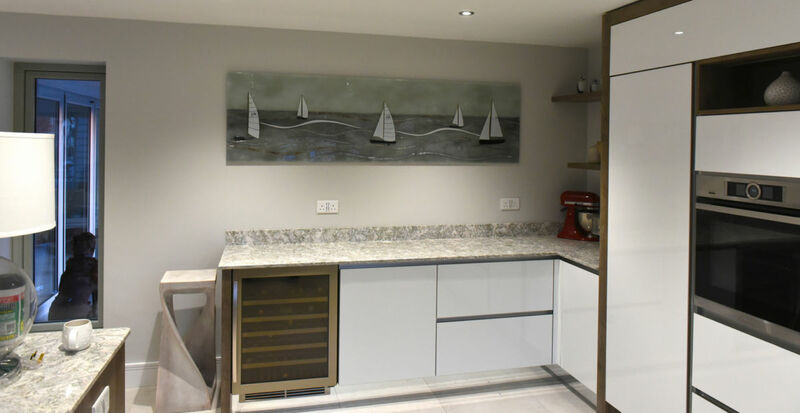 The design pays homage to Lisa’s Venetian roots, painting a beautiful image of the waterways and buildings that can be found in one of Italy’s most stunning cities. 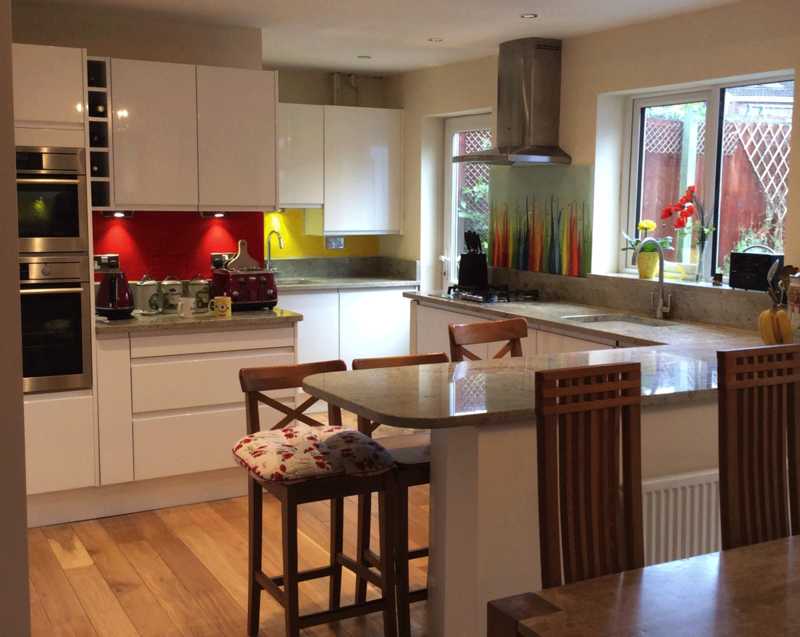 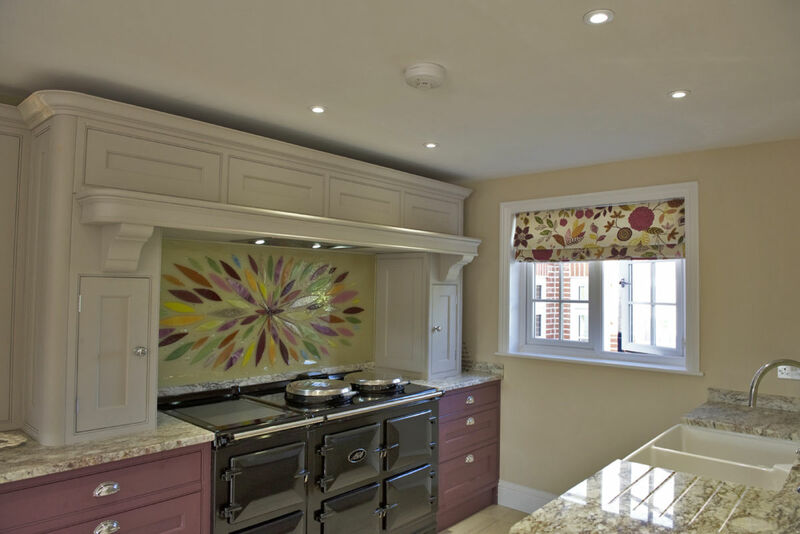 Bold lines mix with pastel colours to replicate even the finest details in a gorgeous, creative style. 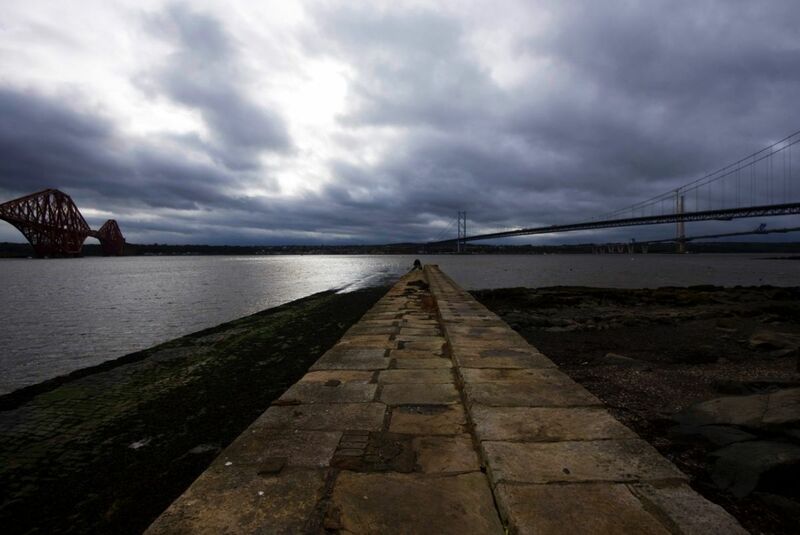 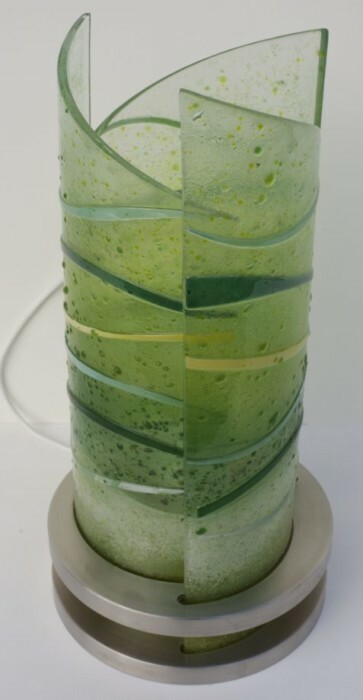 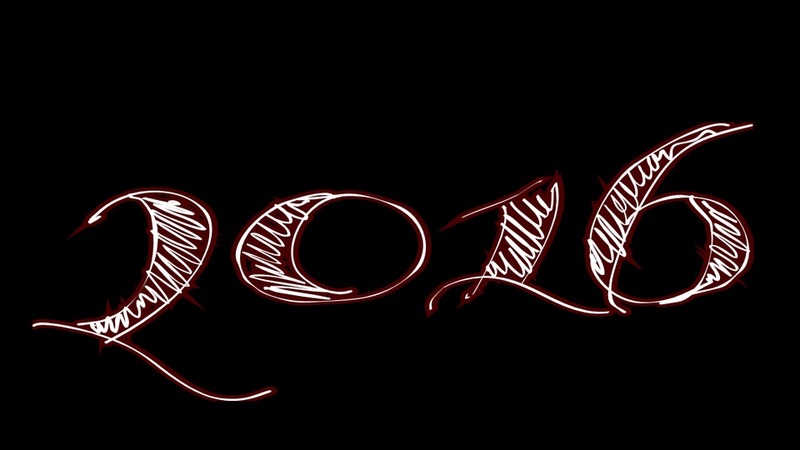 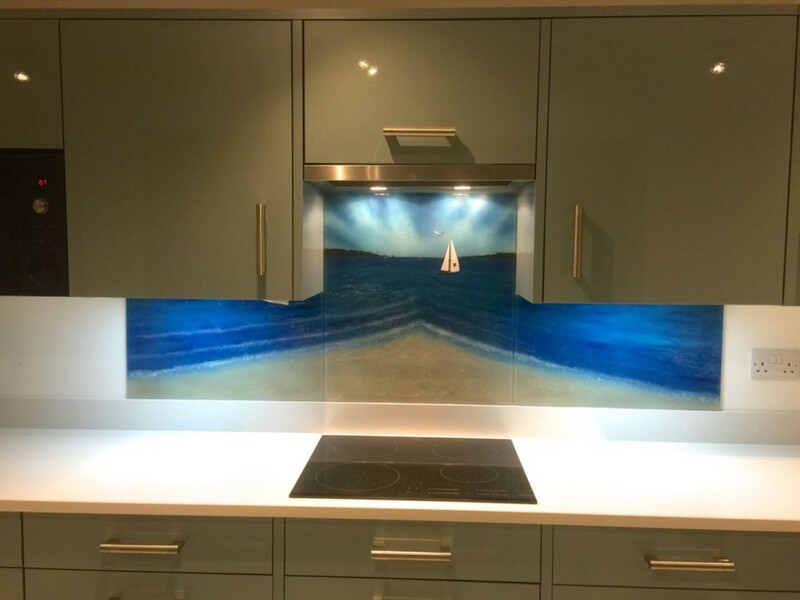 If you look close, you should even be able to see the marks left by water and the passage of time! 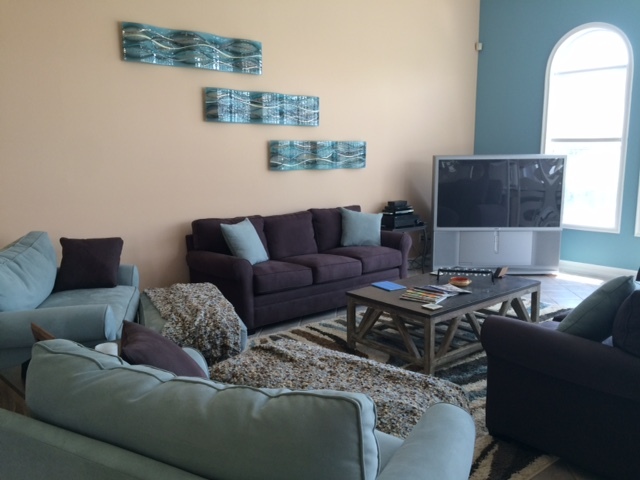 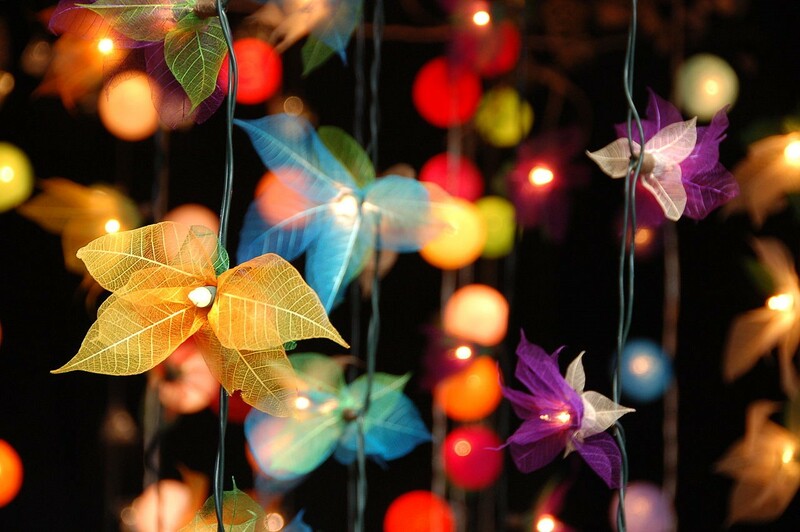 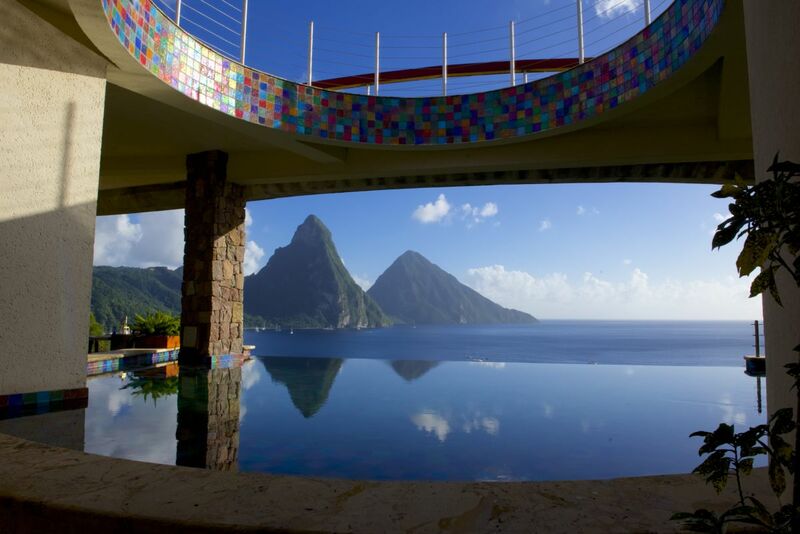 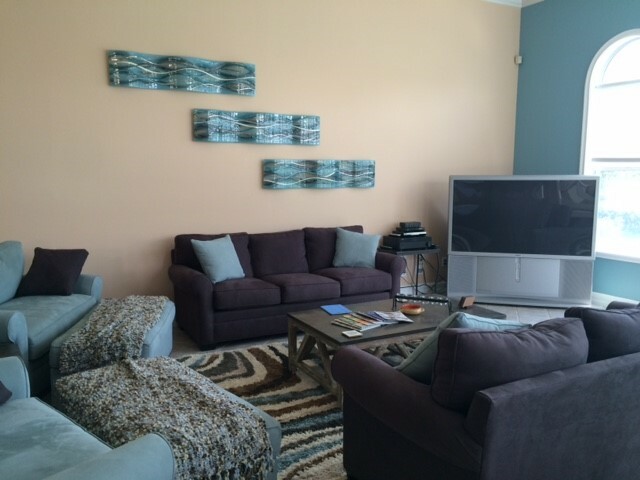 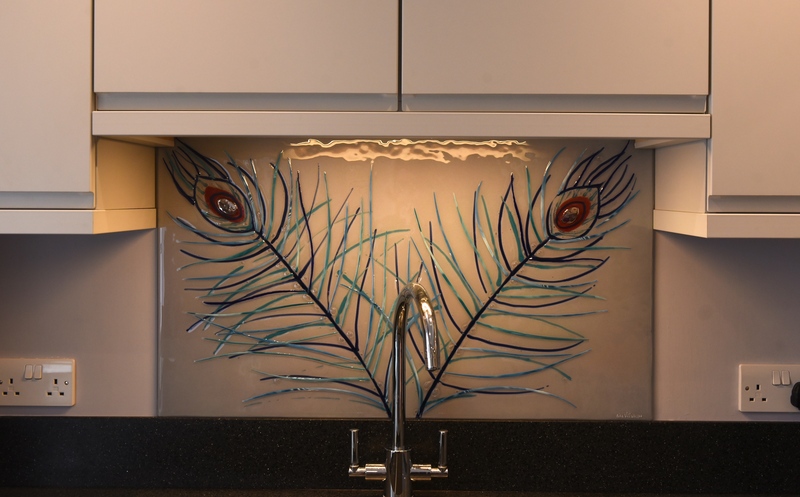 Needless to say, we’re still very much in the business of creating gorgeous glass for you, too! 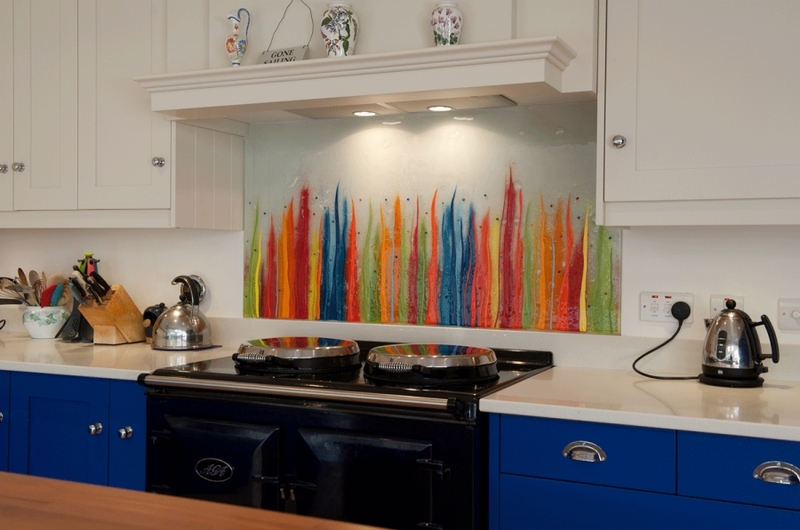 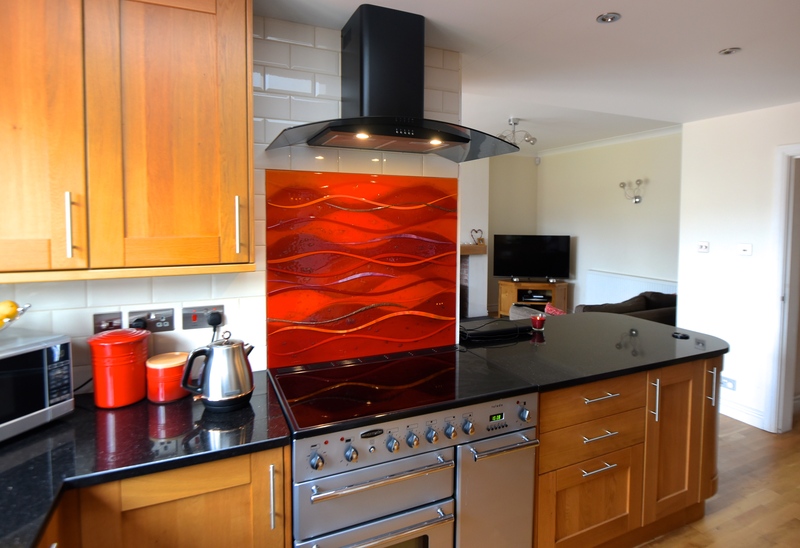 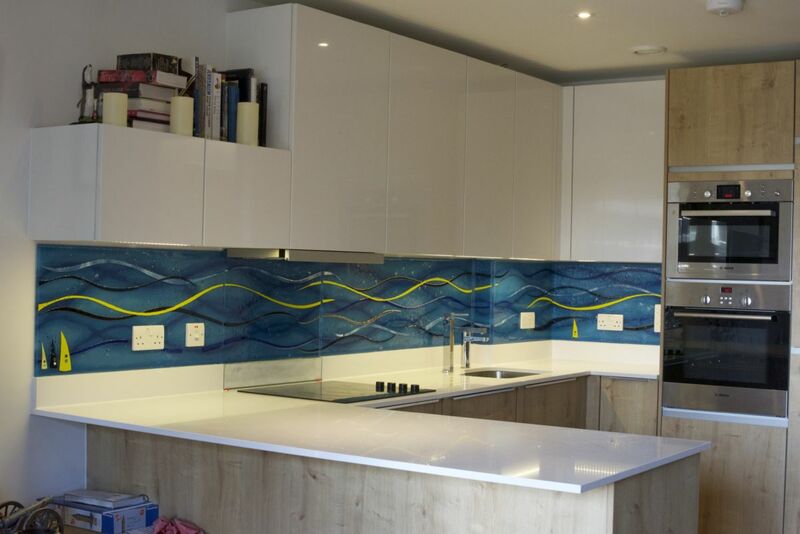 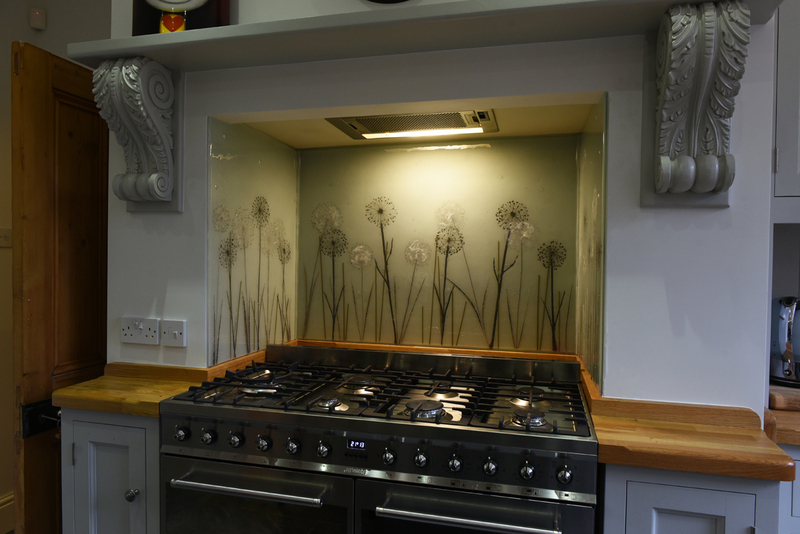 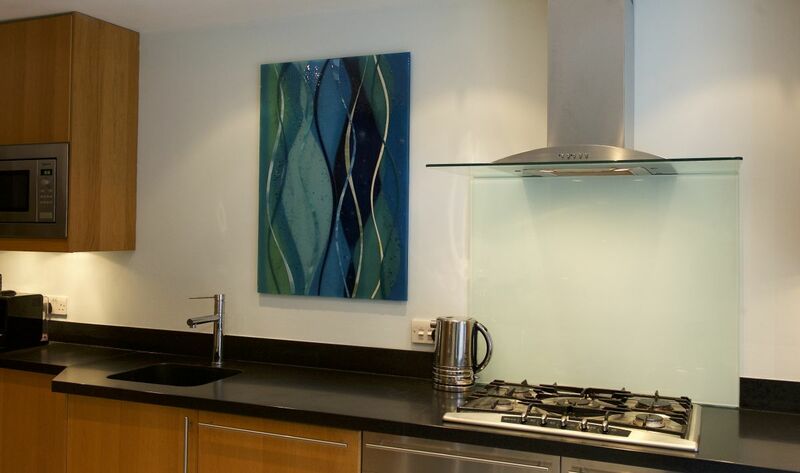 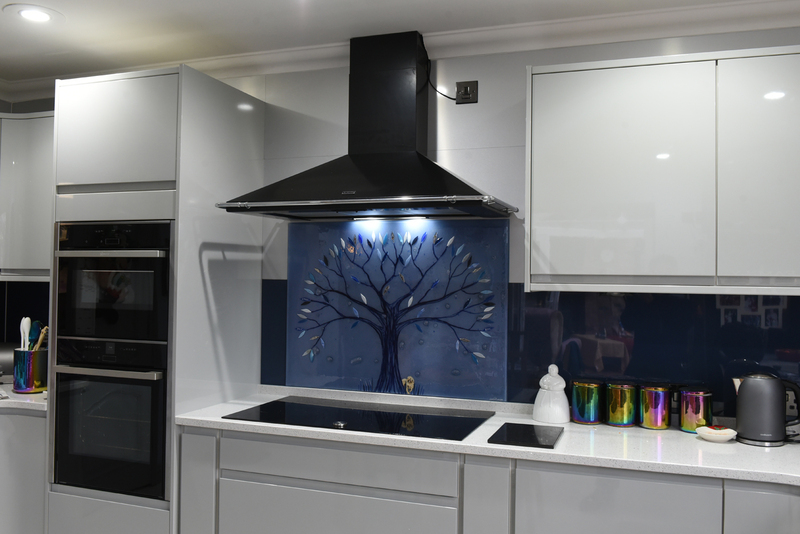 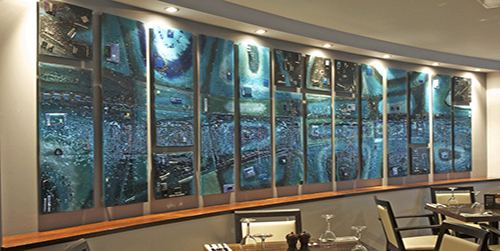 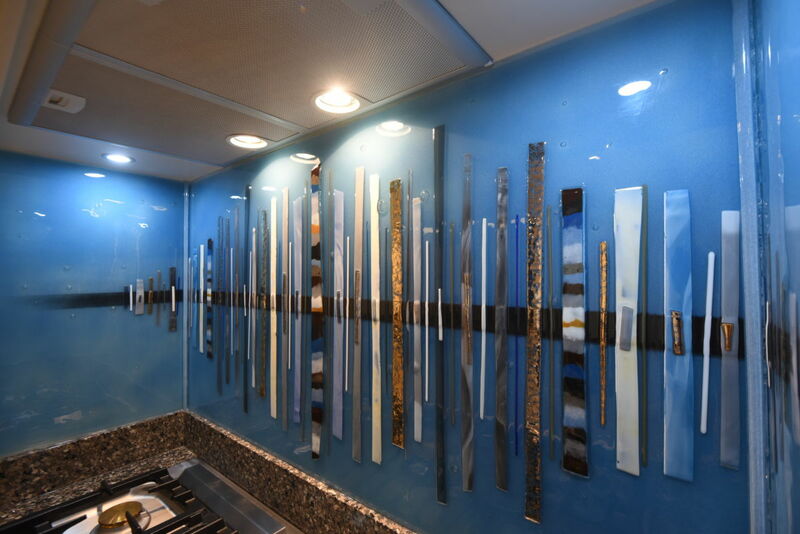 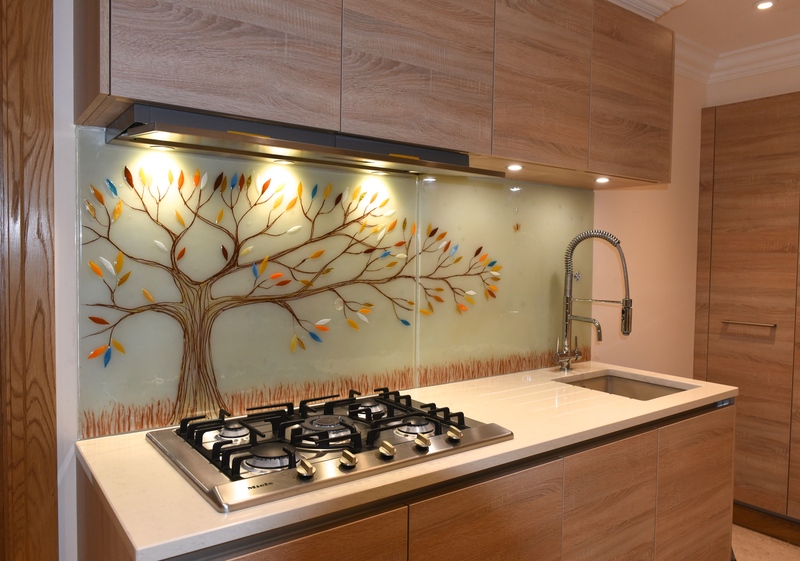 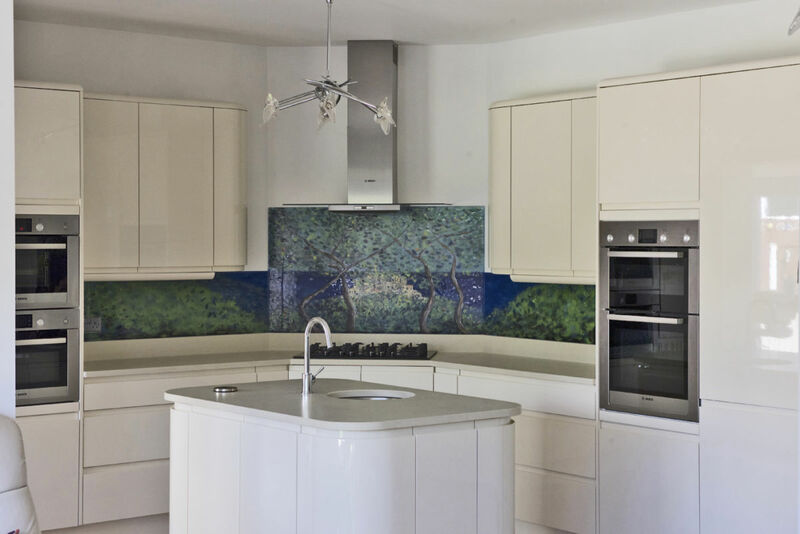 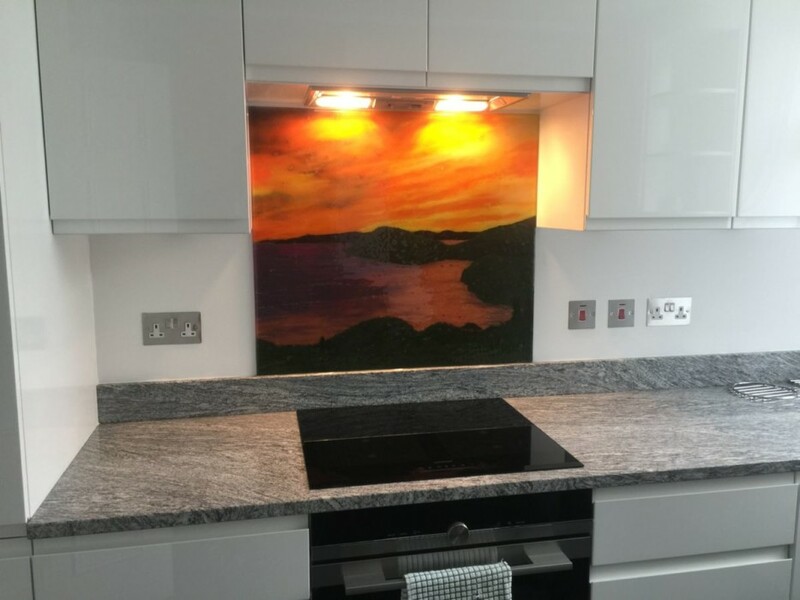 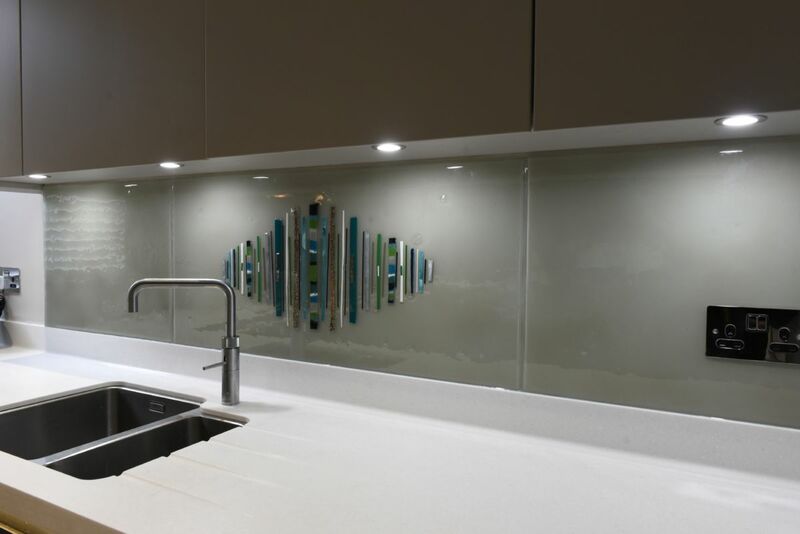 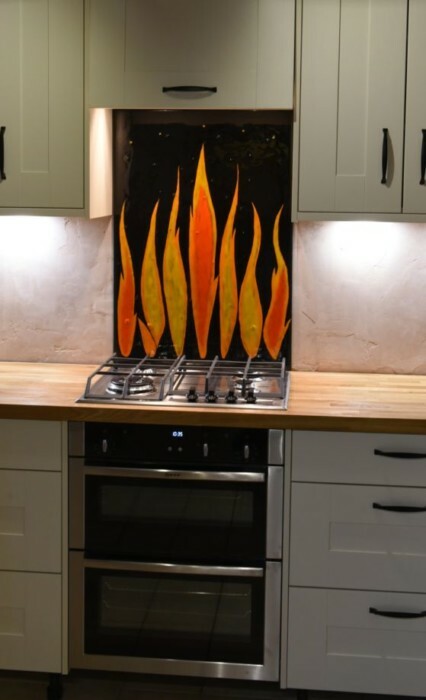 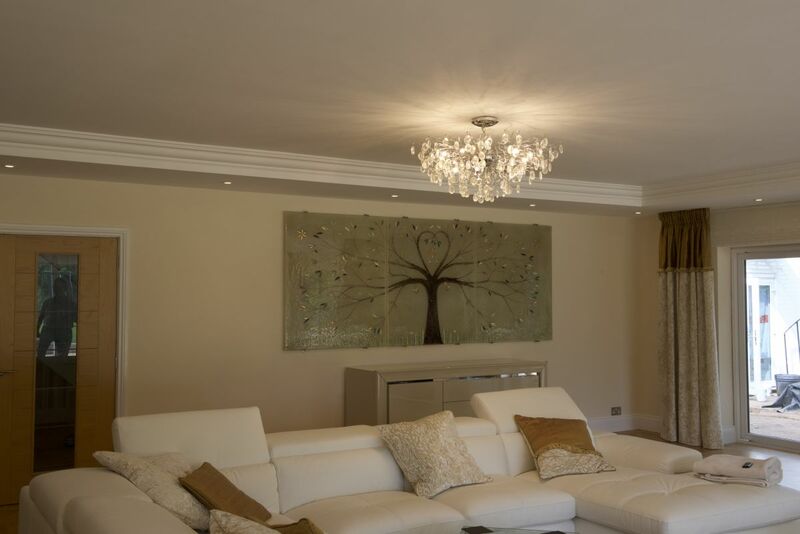 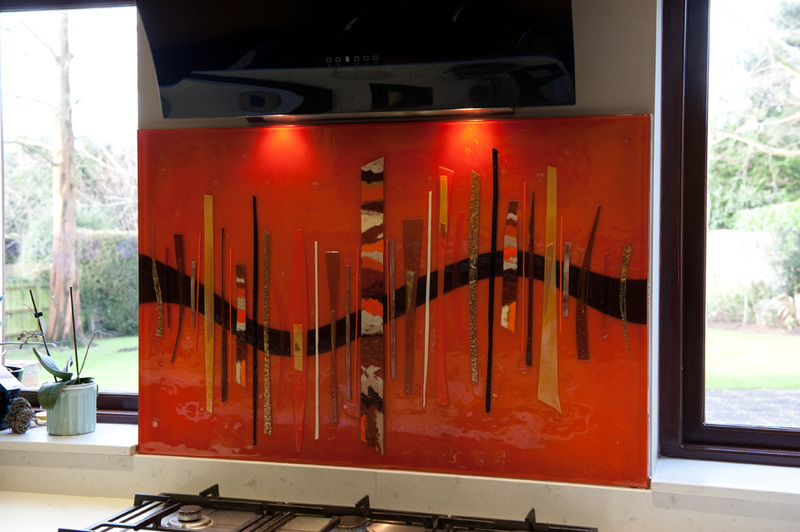 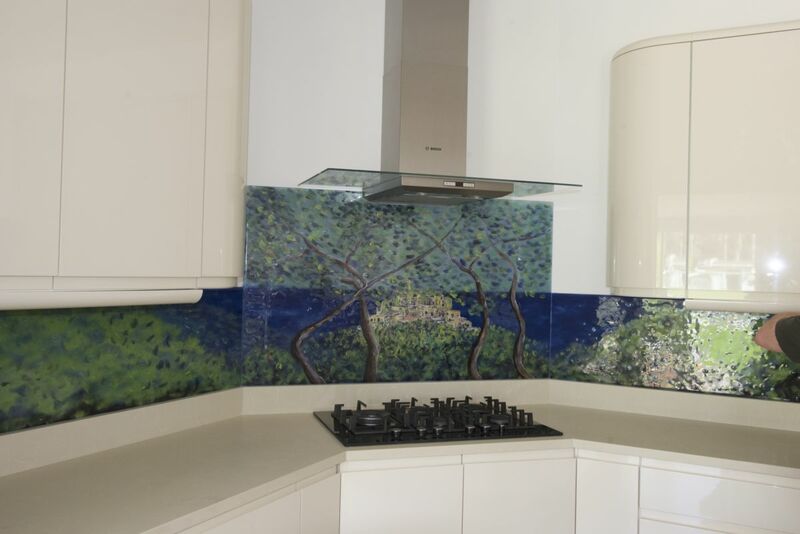 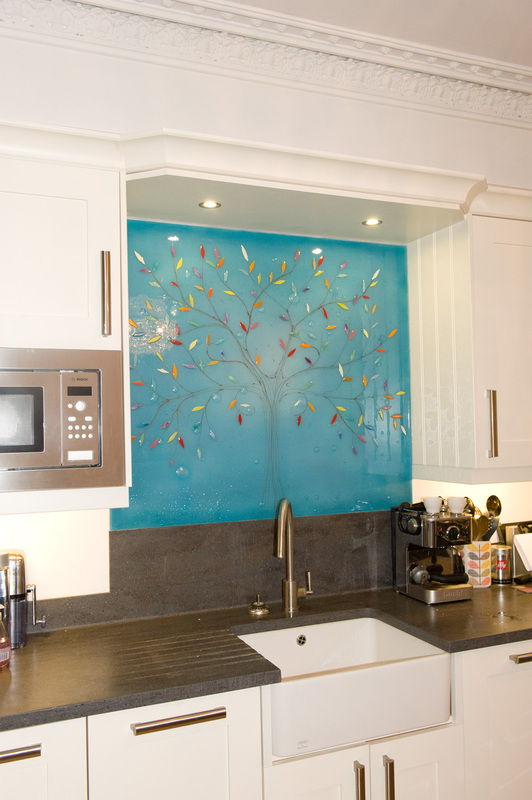 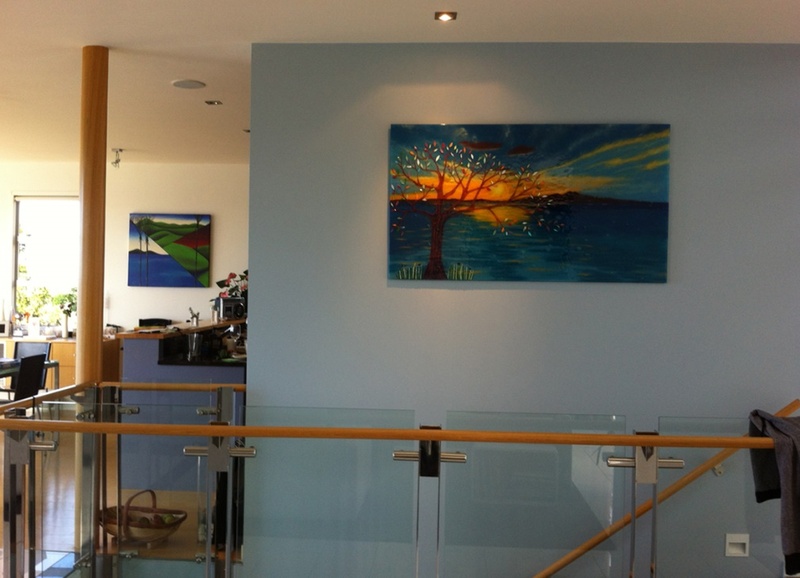 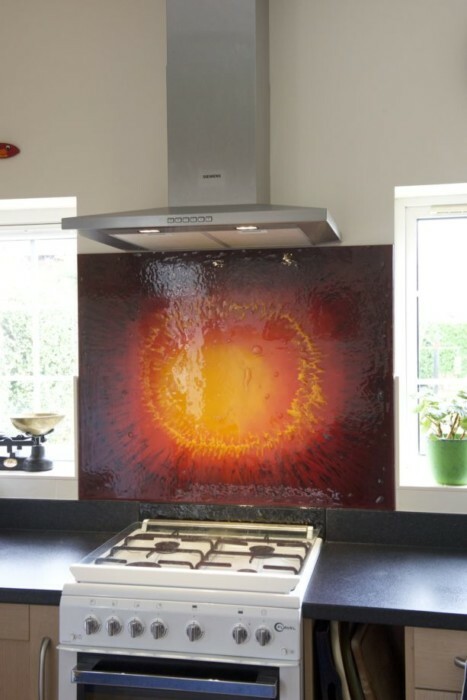 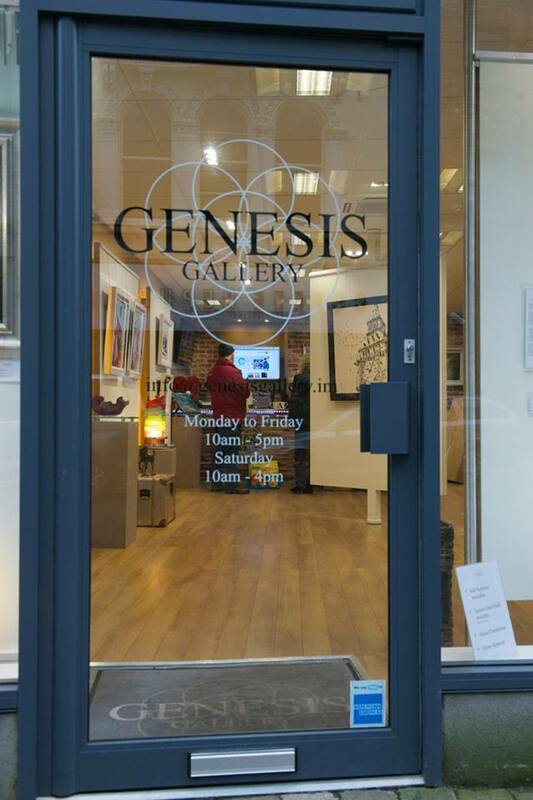 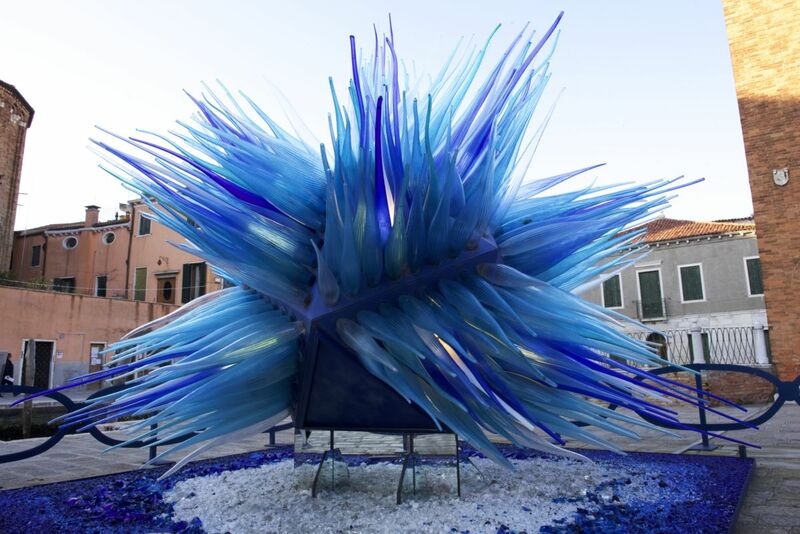 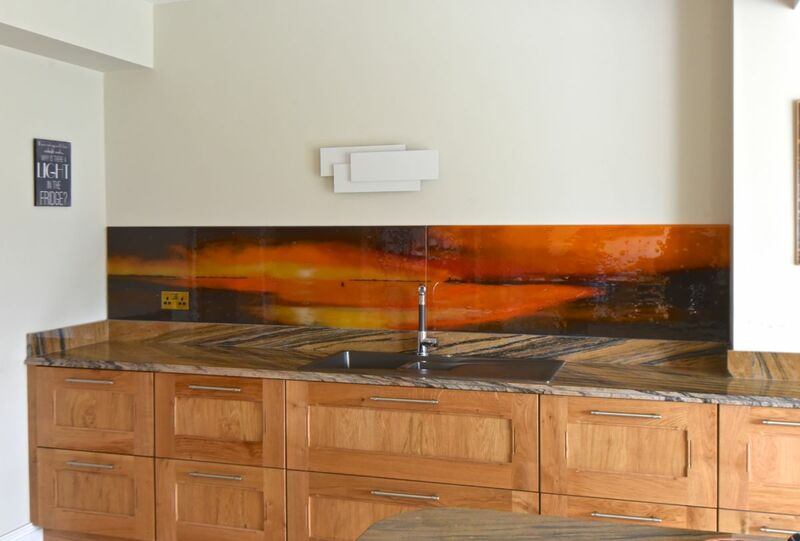 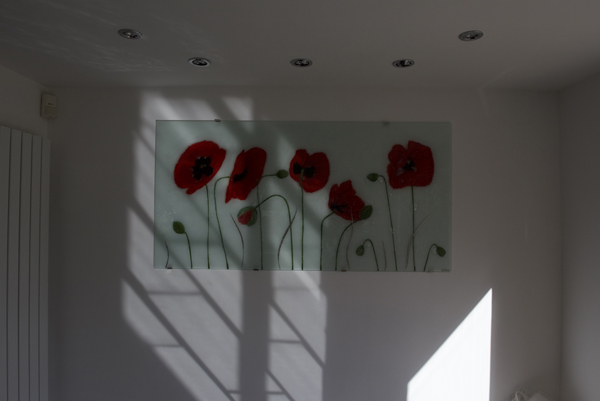 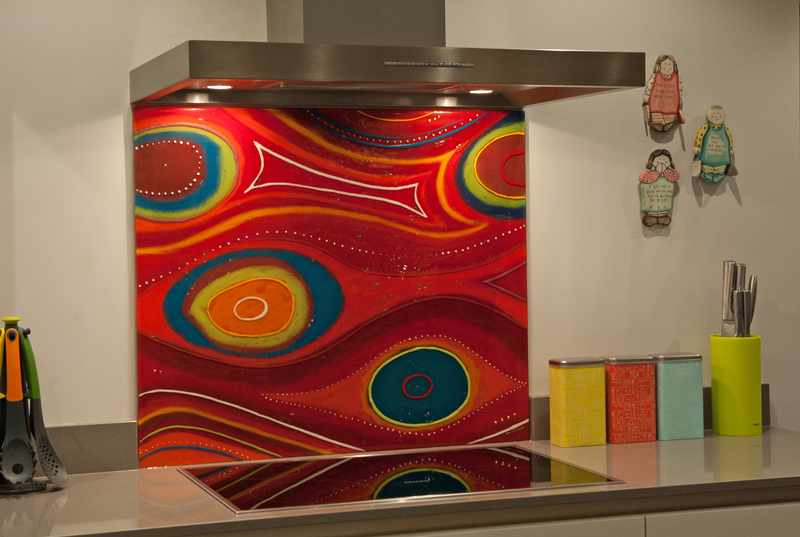 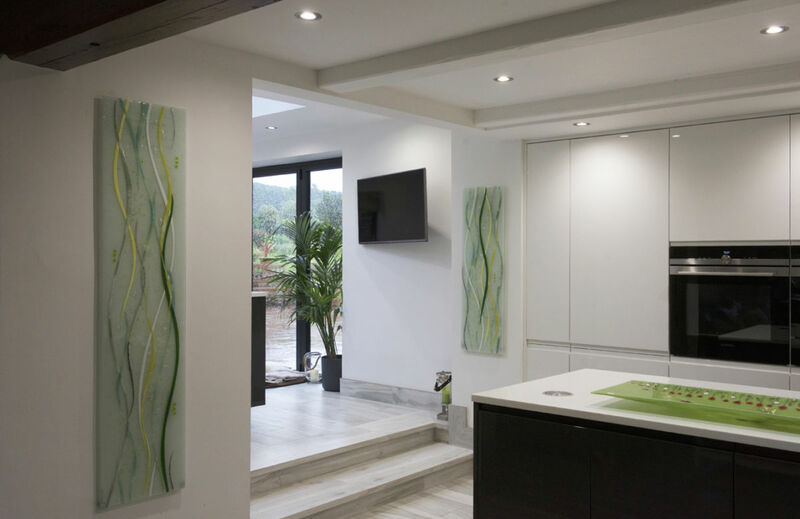 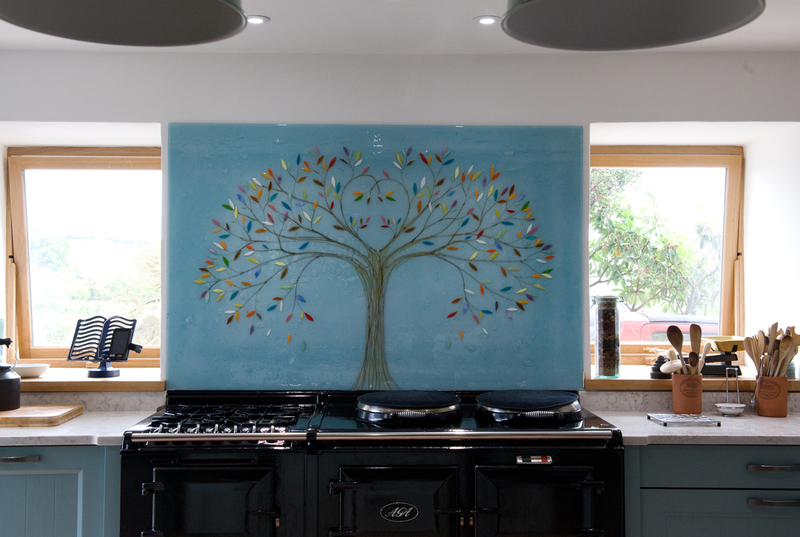 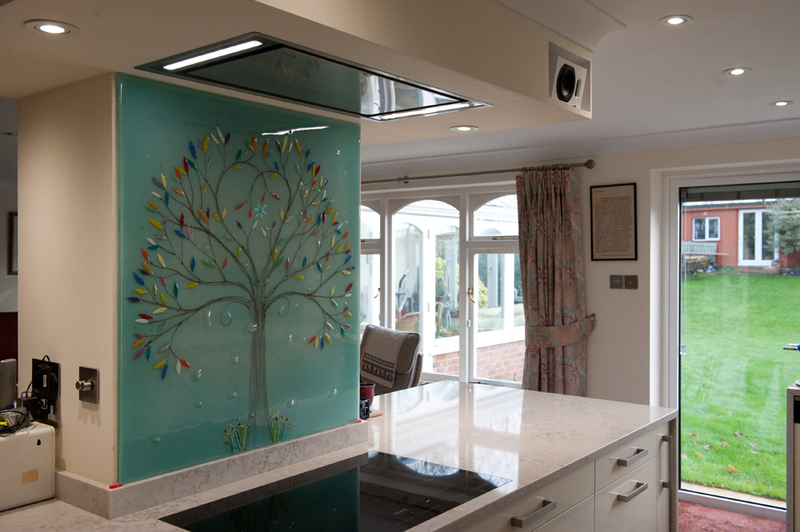 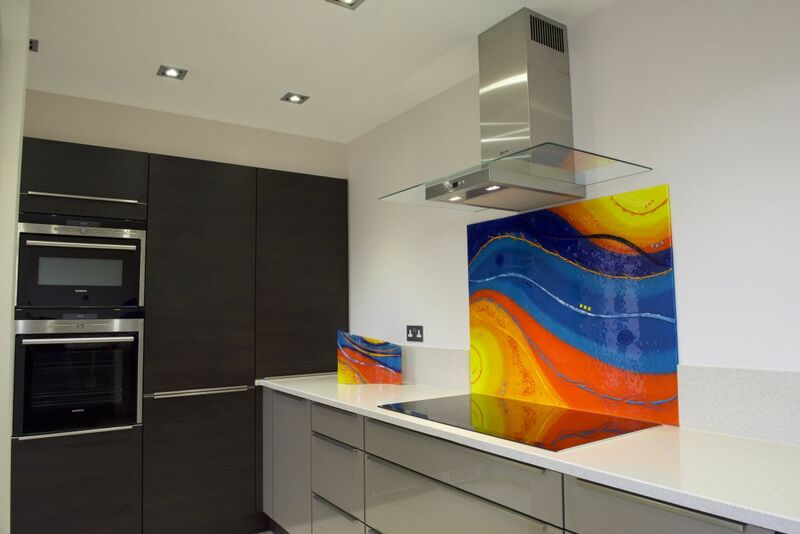 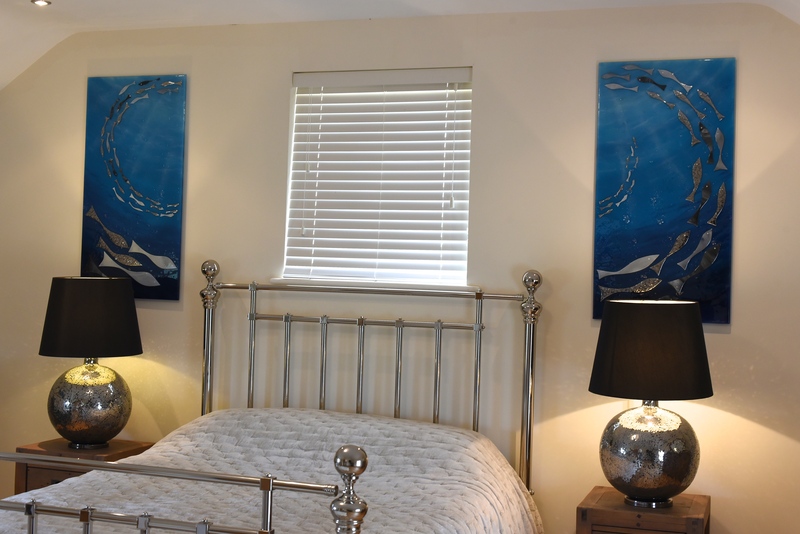 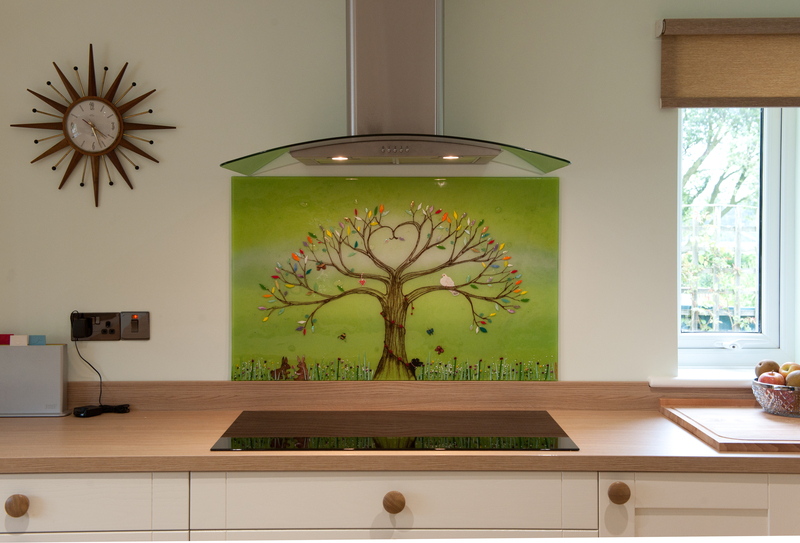 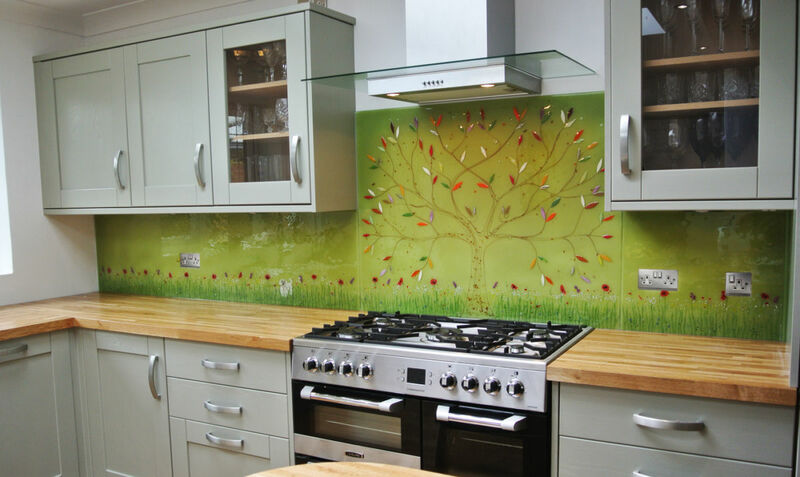 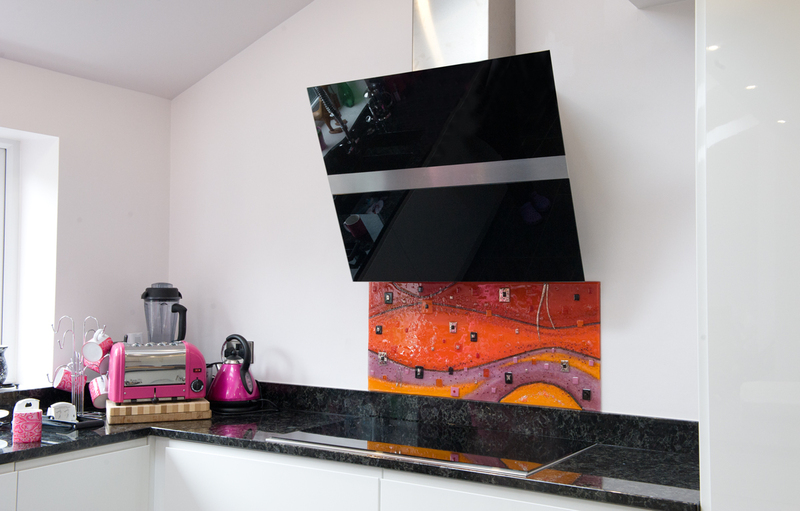 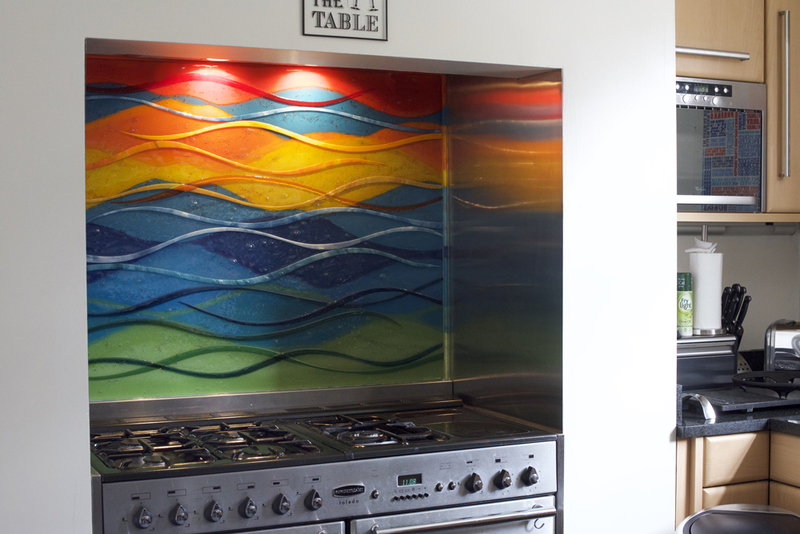 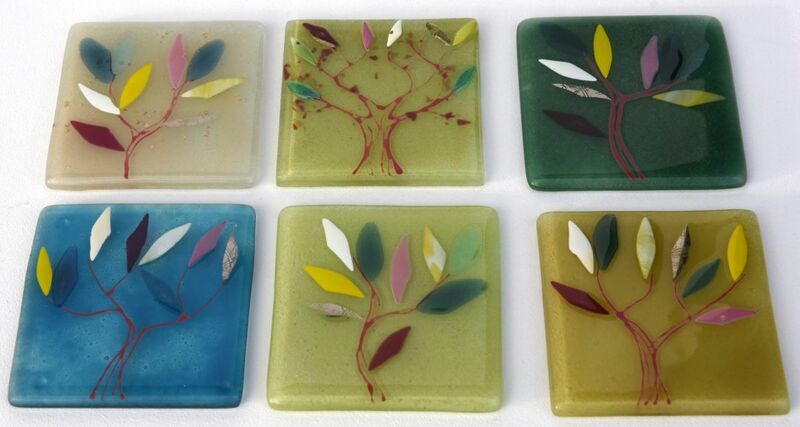 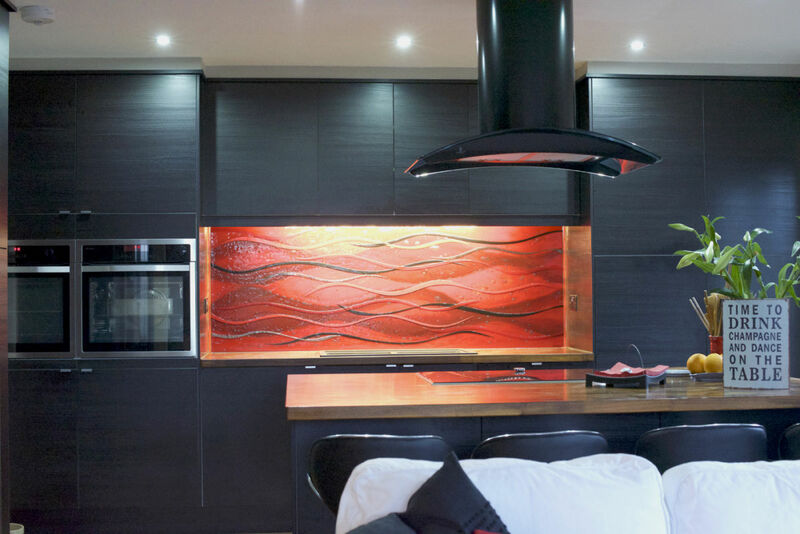 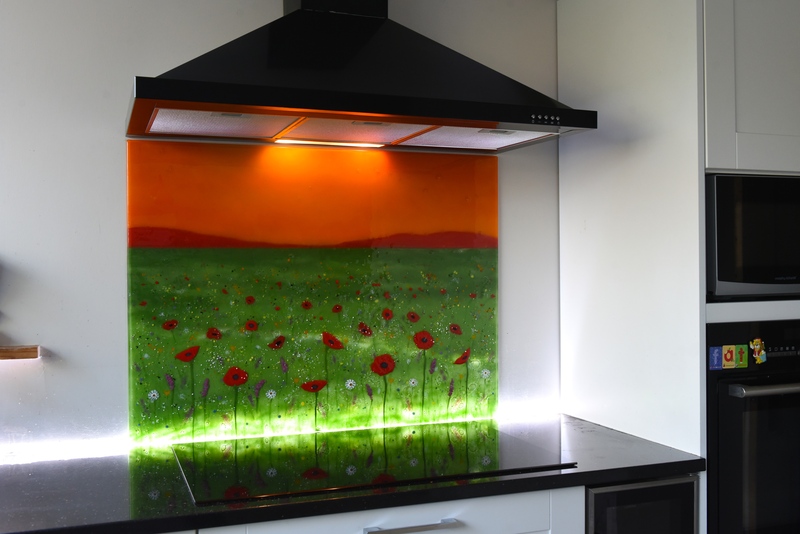 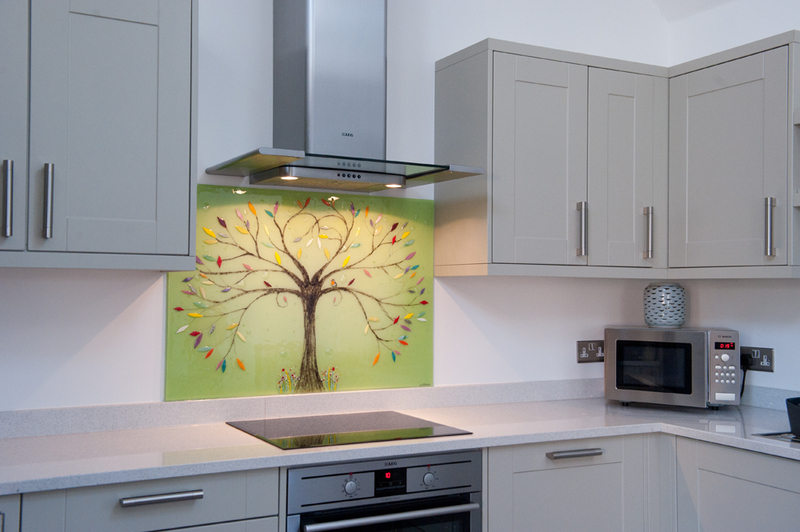 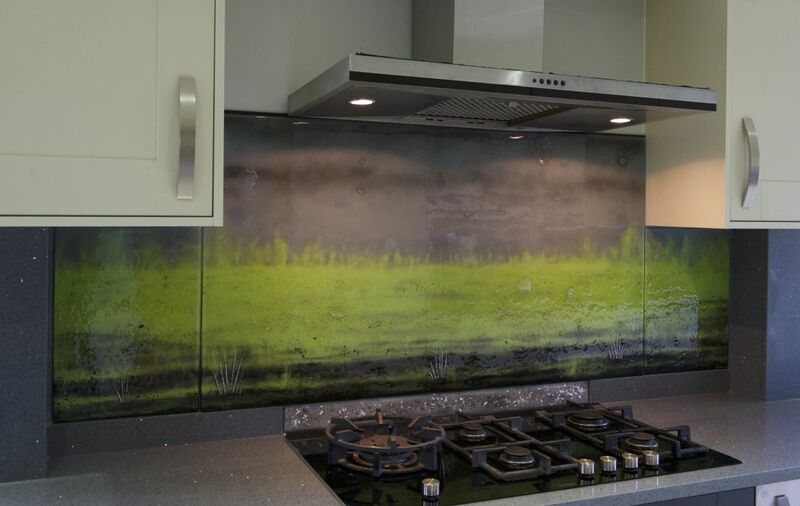 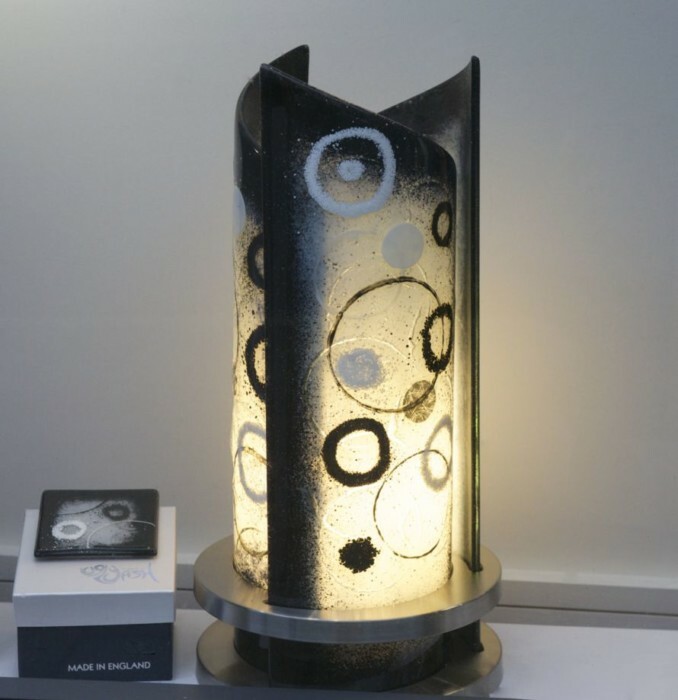 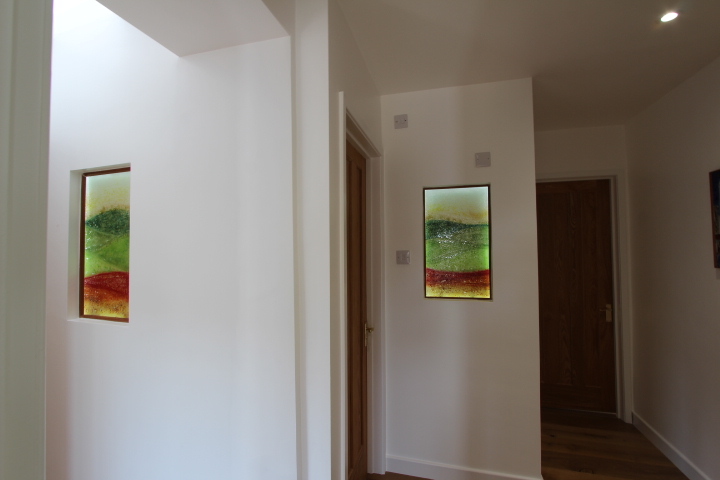 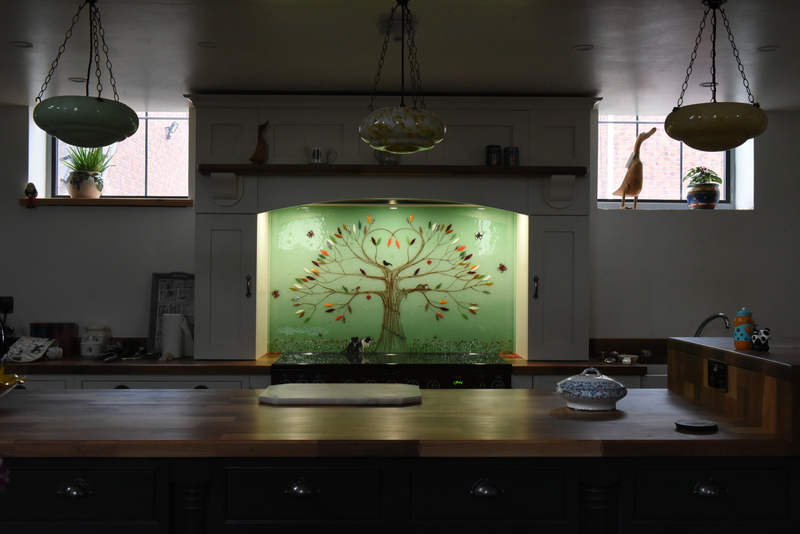 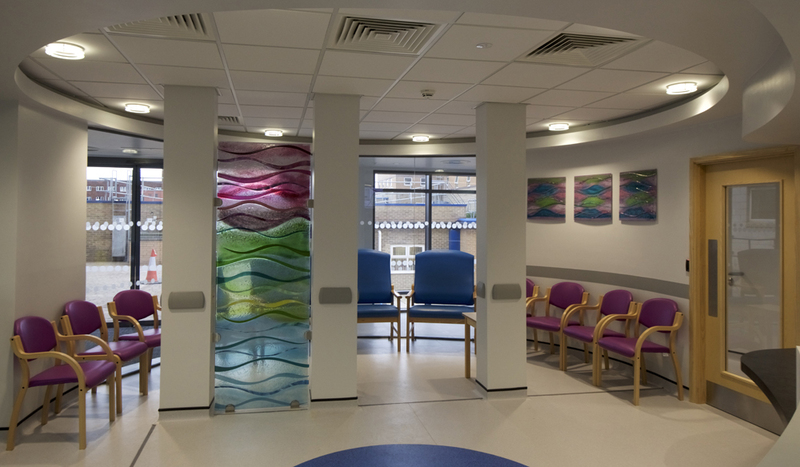 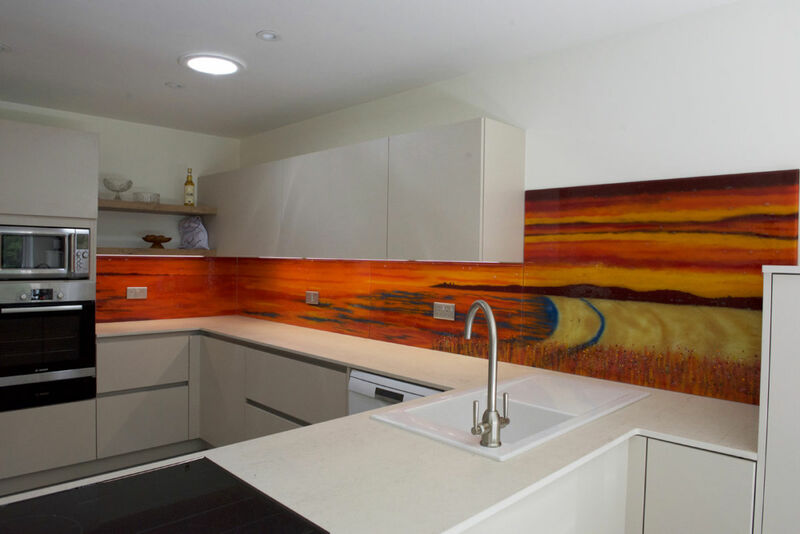 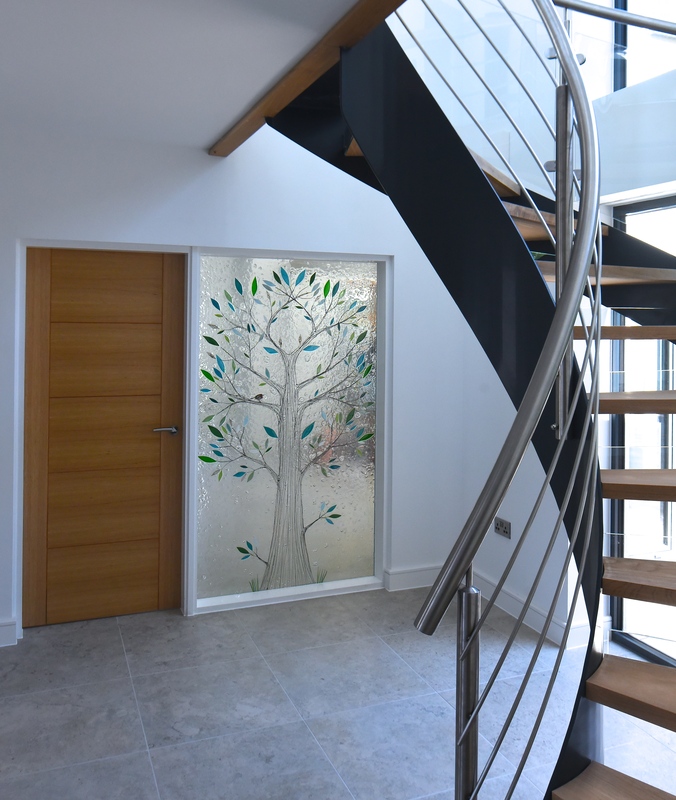 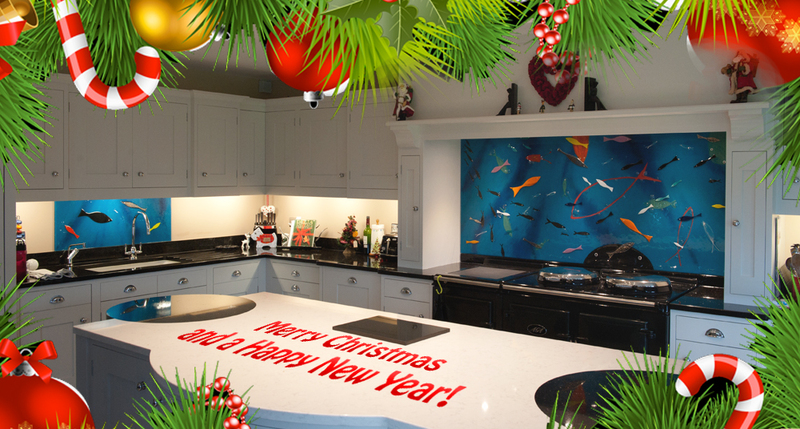 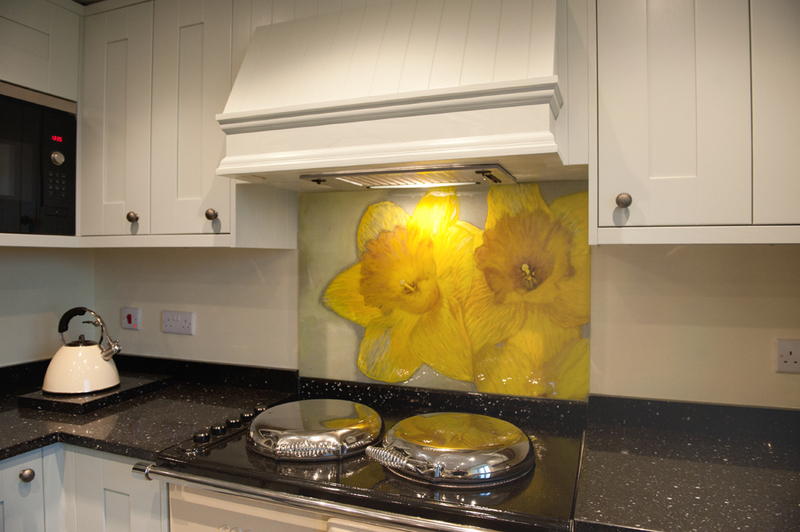 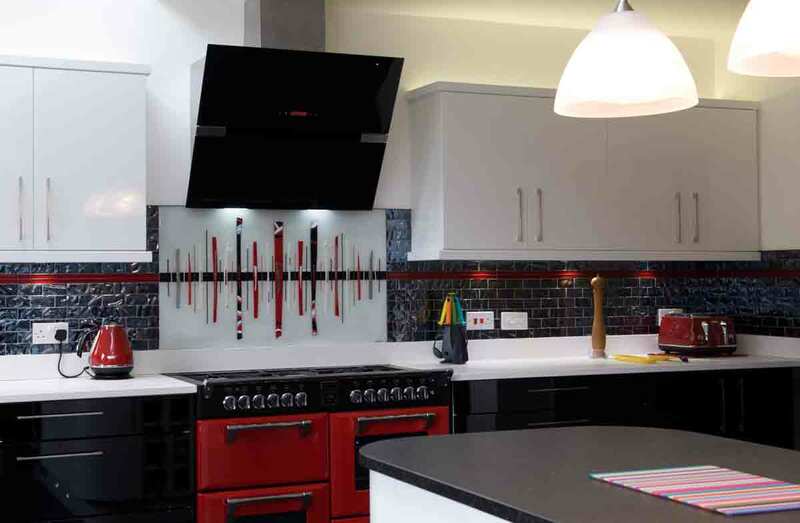 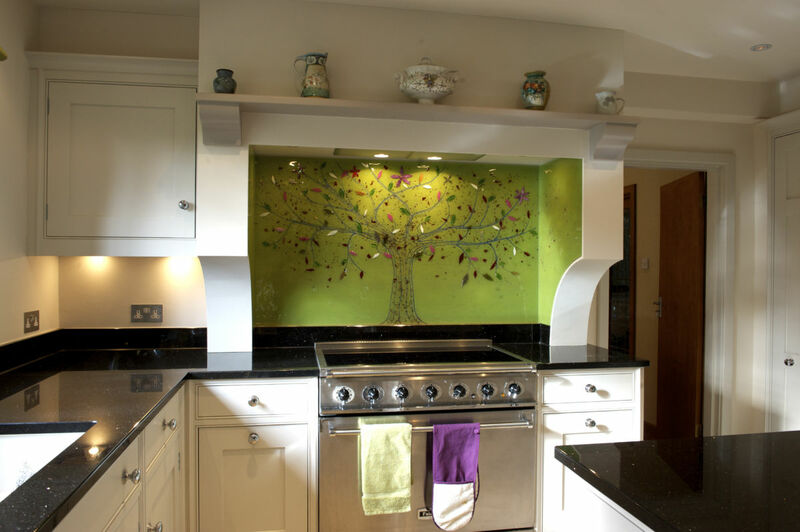 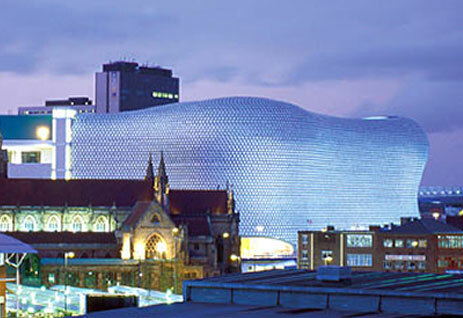 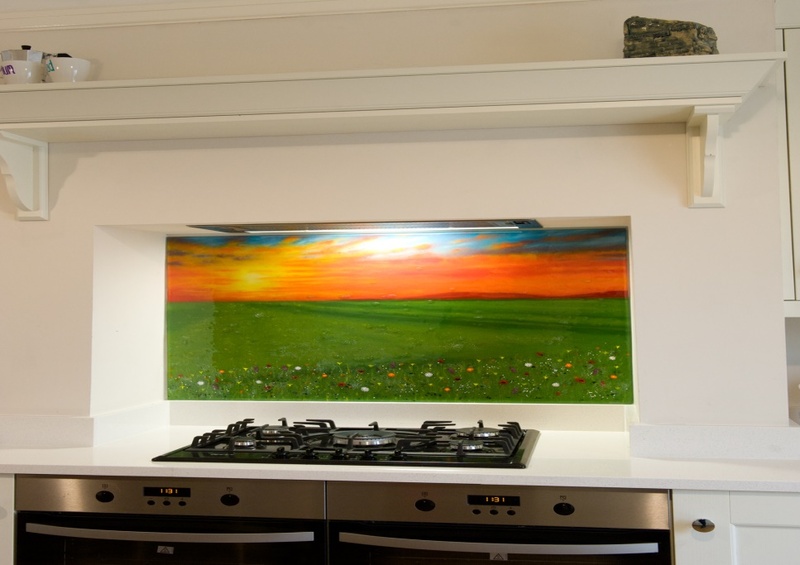 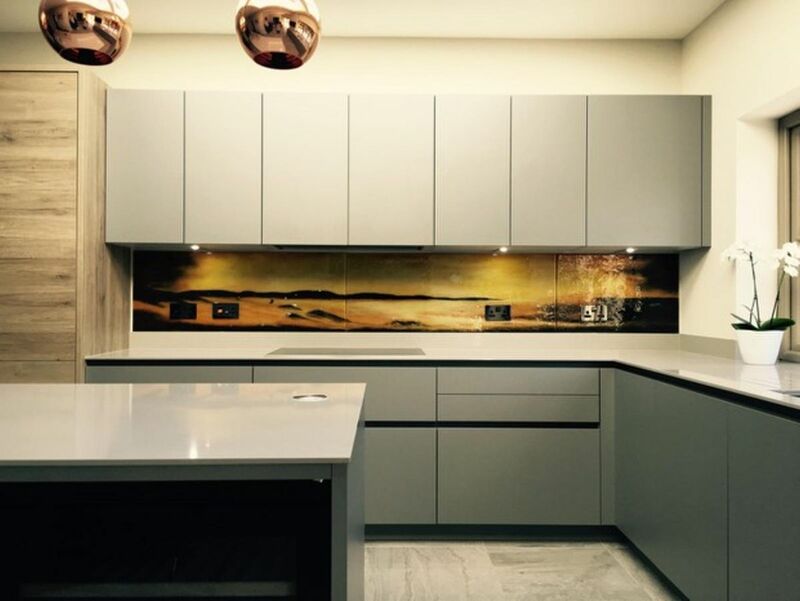 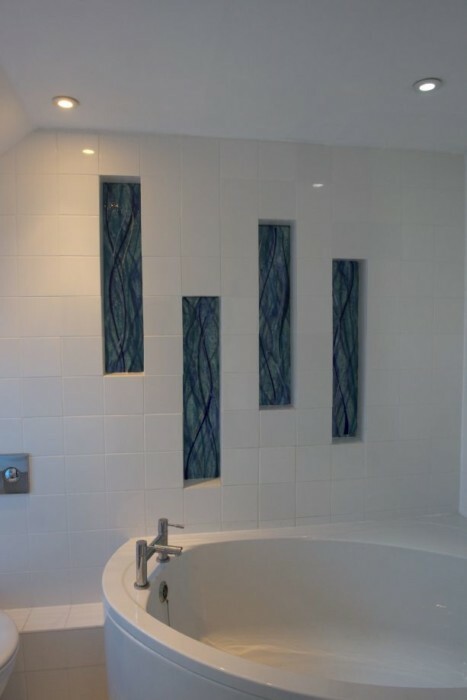 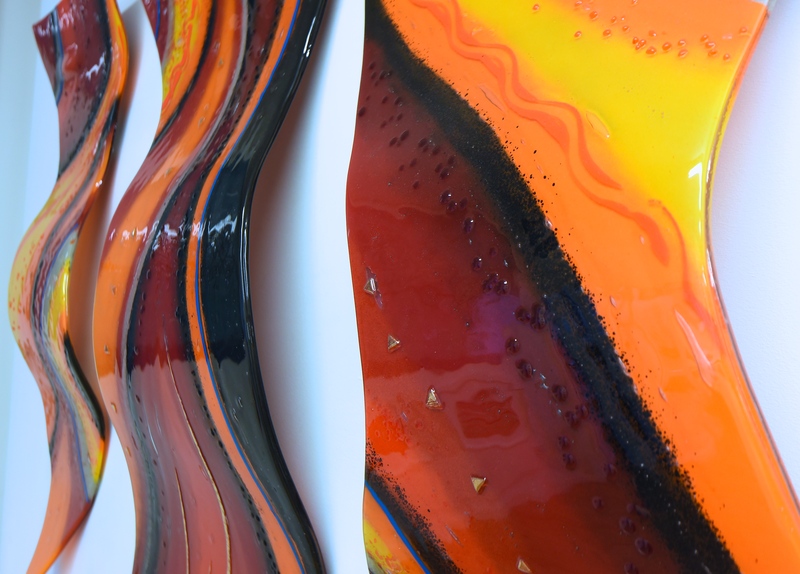 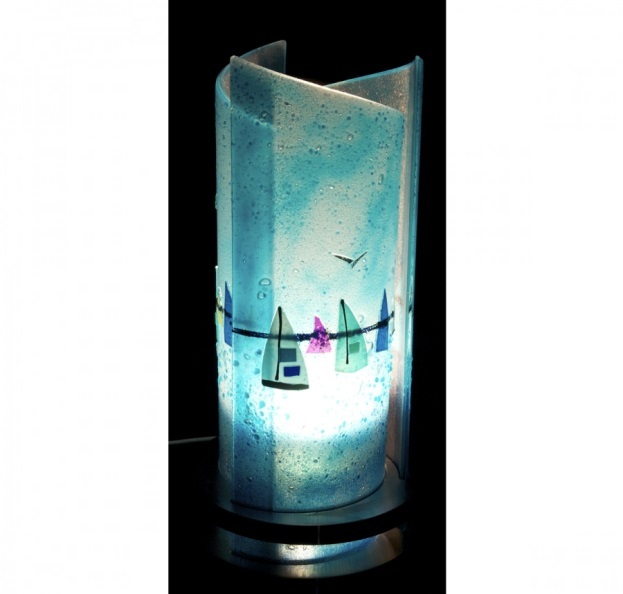 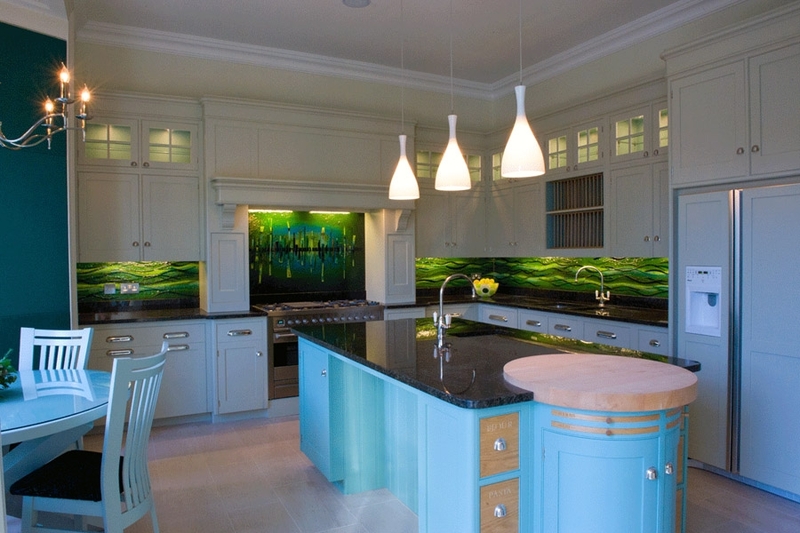 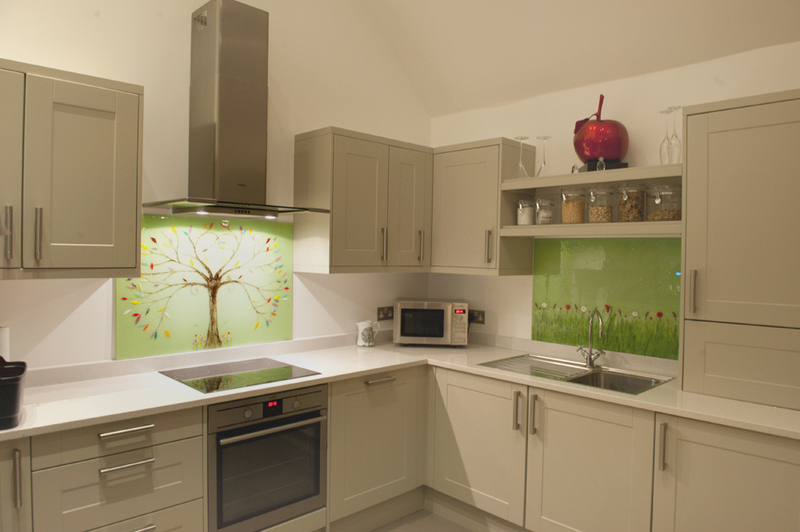 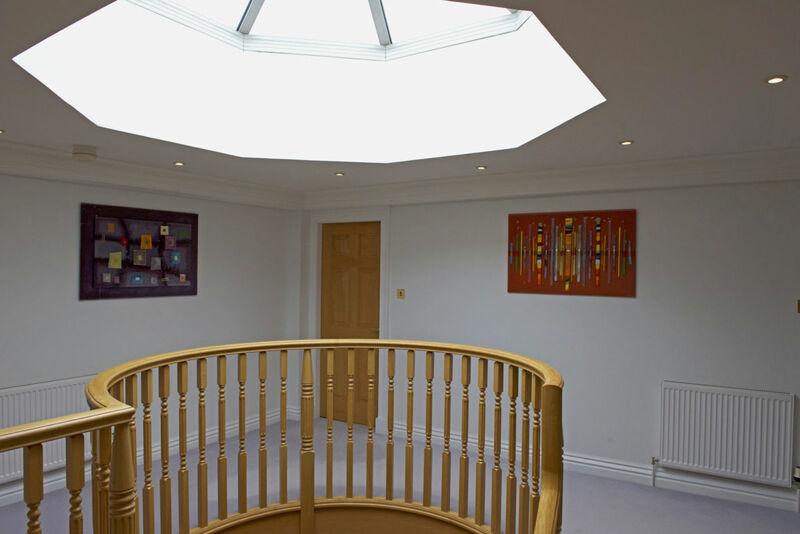 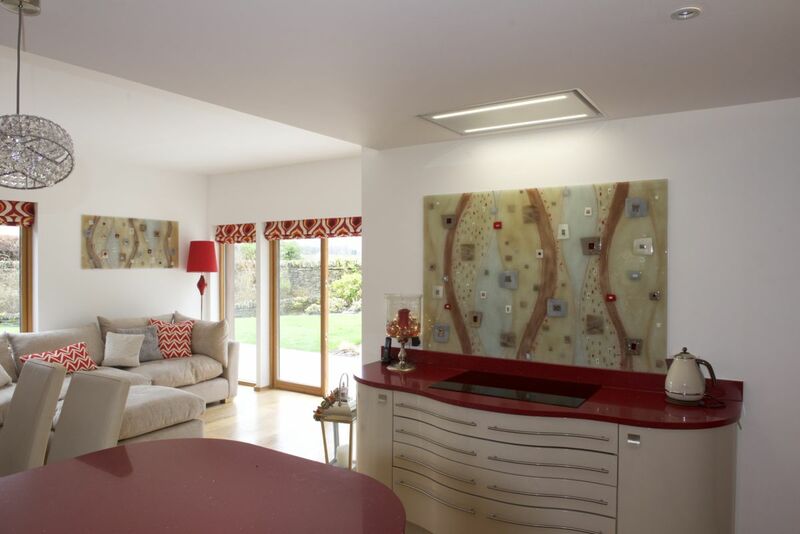 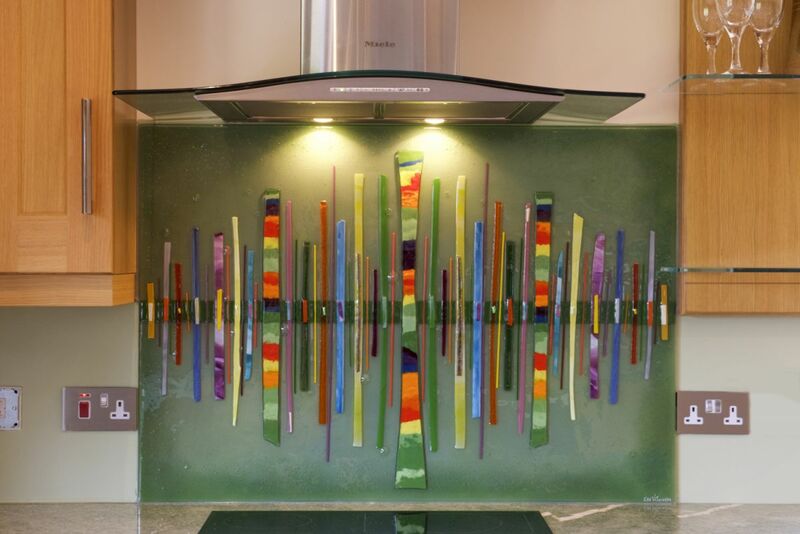 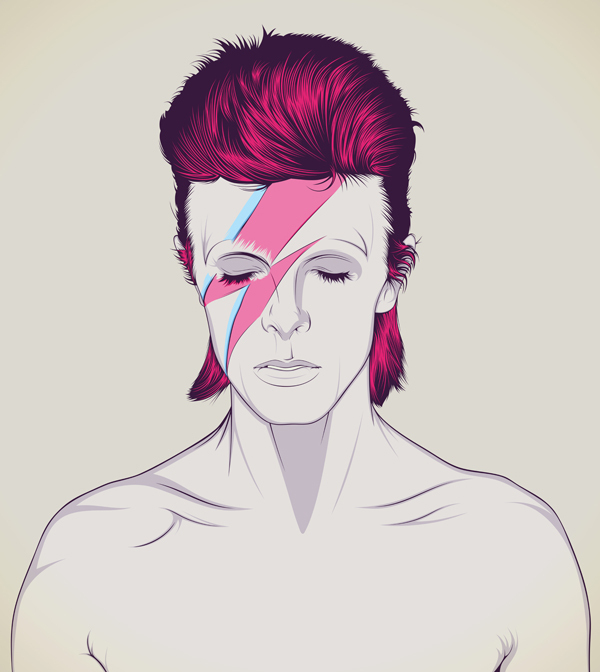 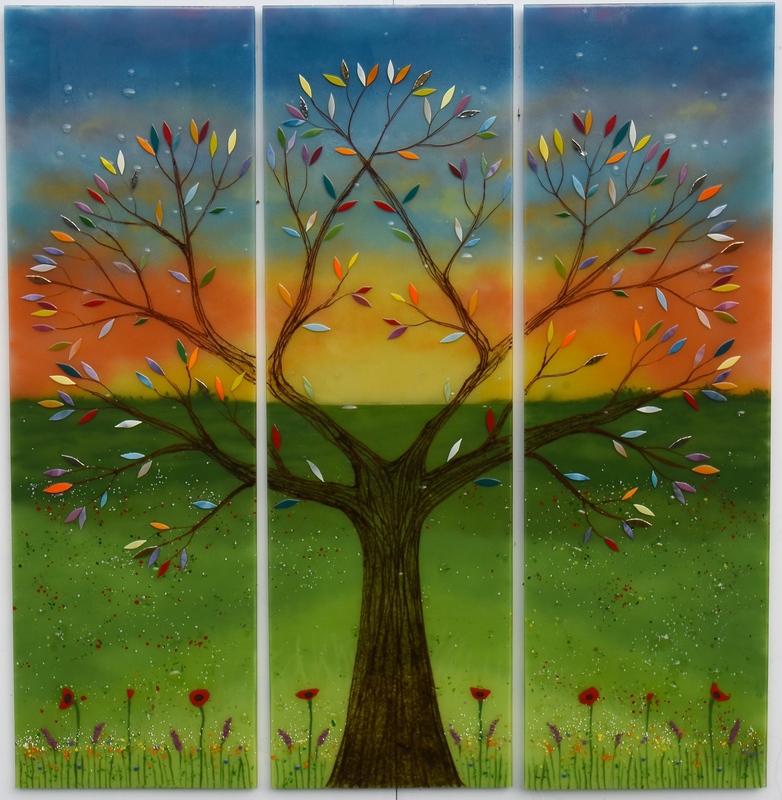 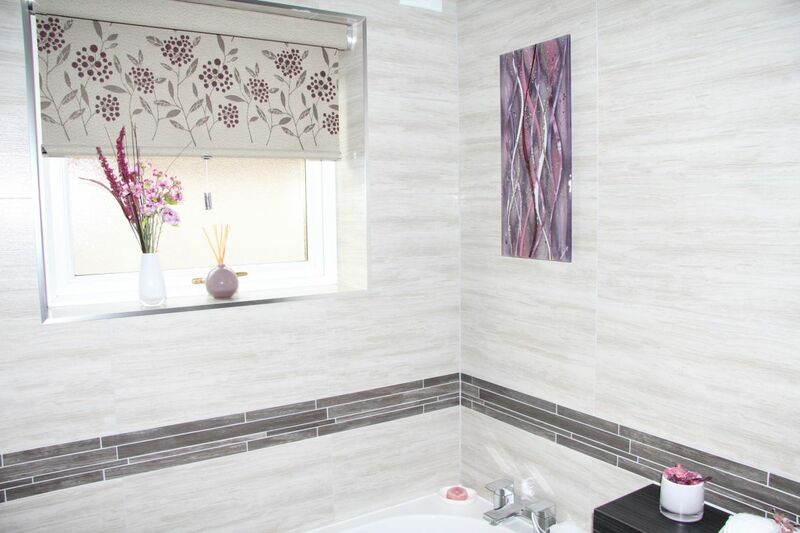 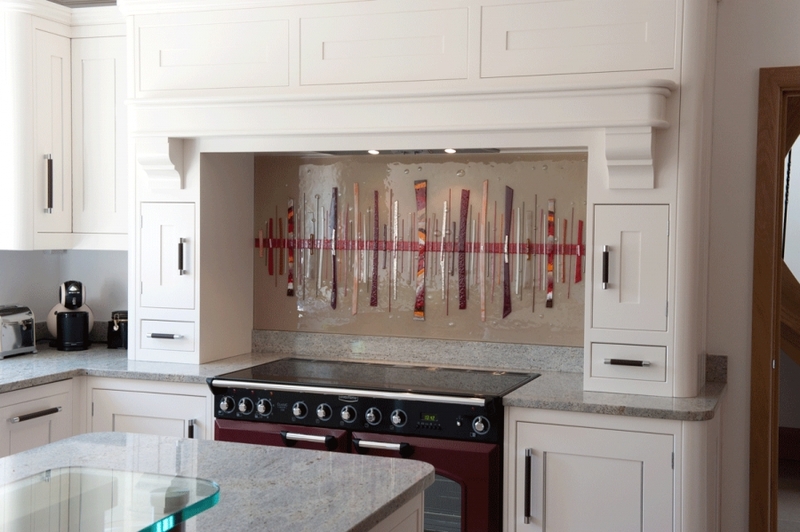 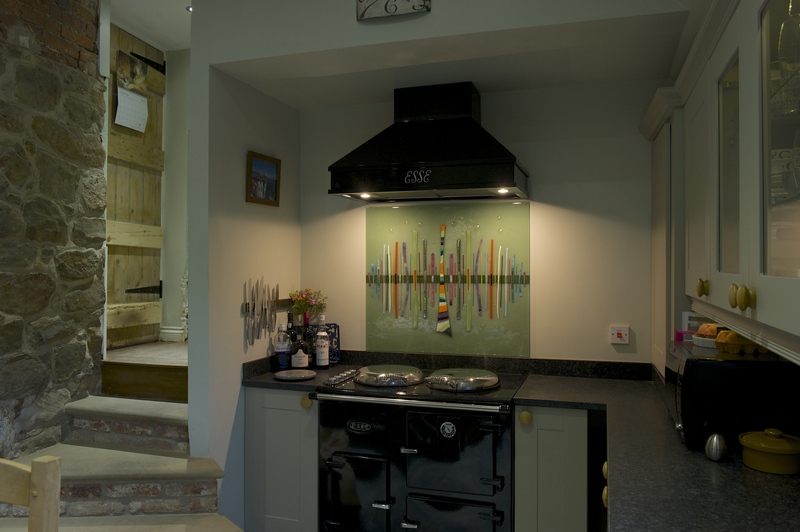 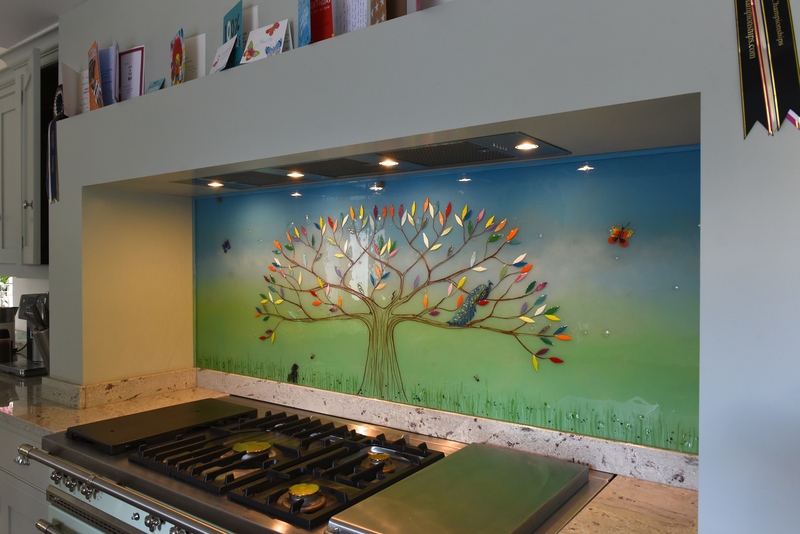 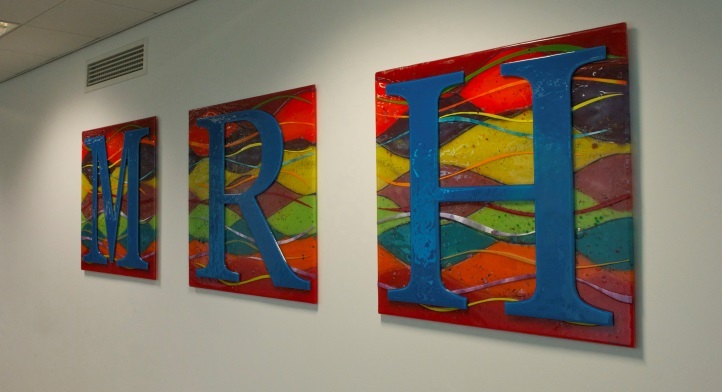 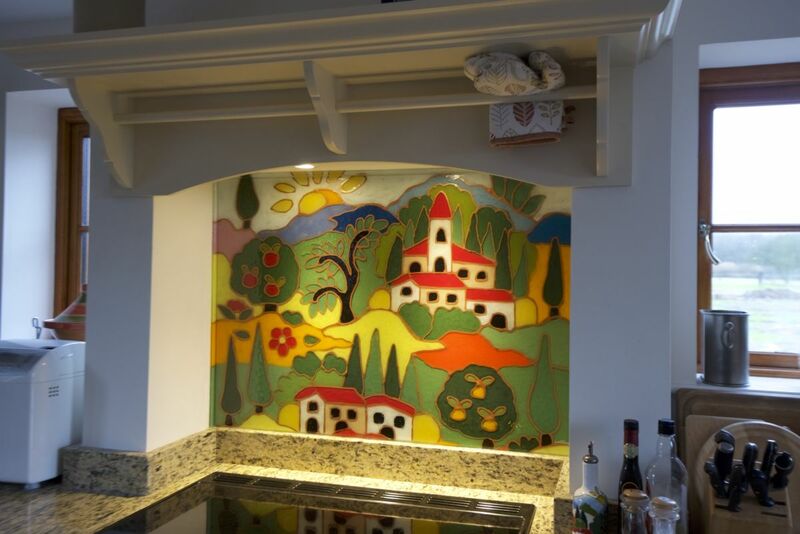 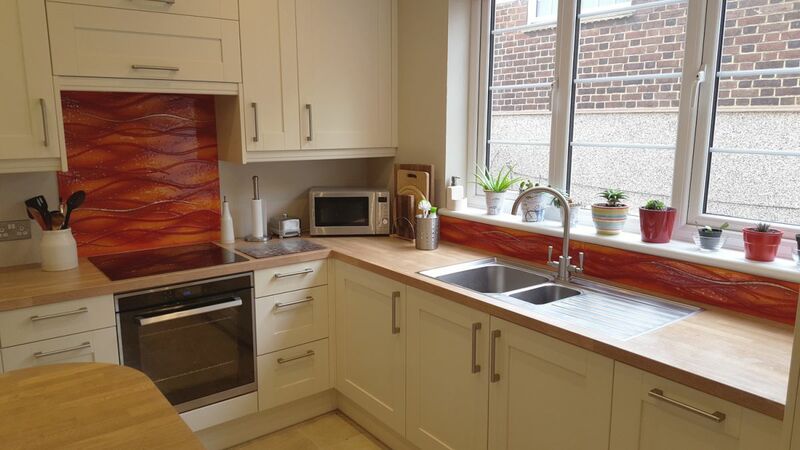 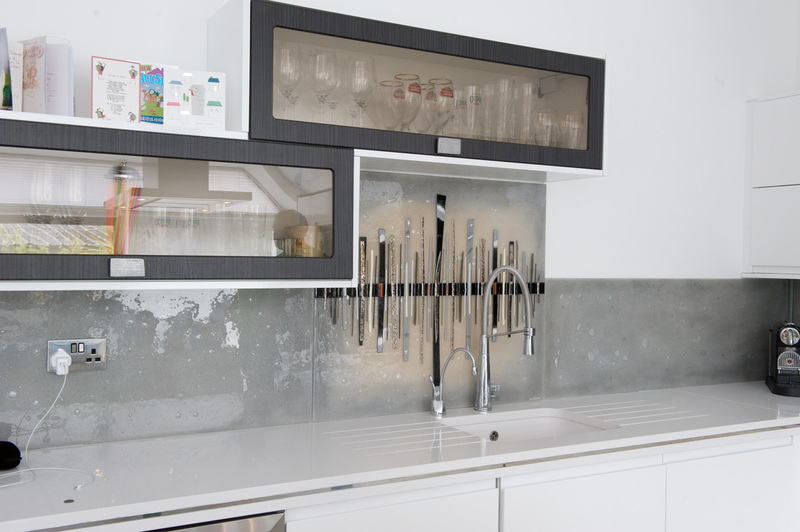 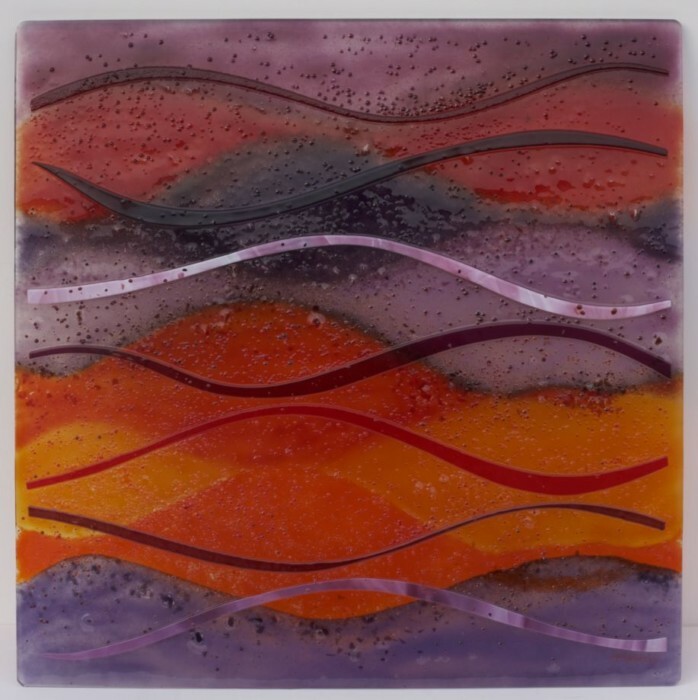 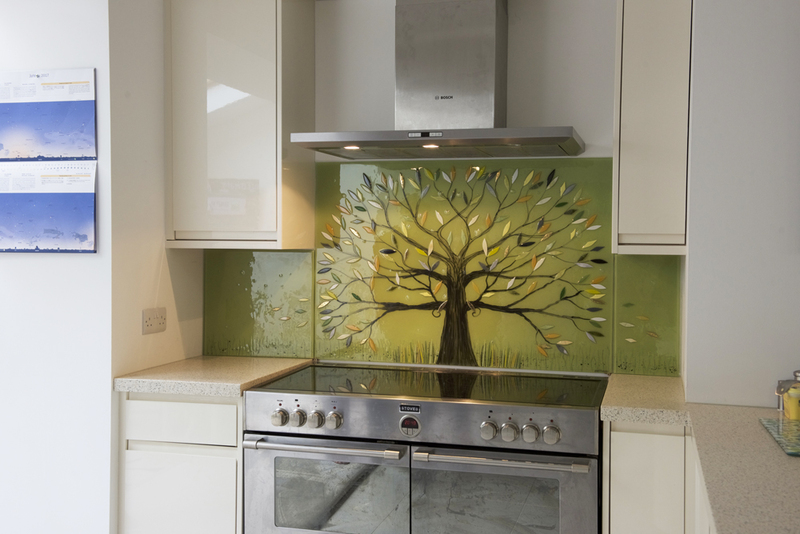 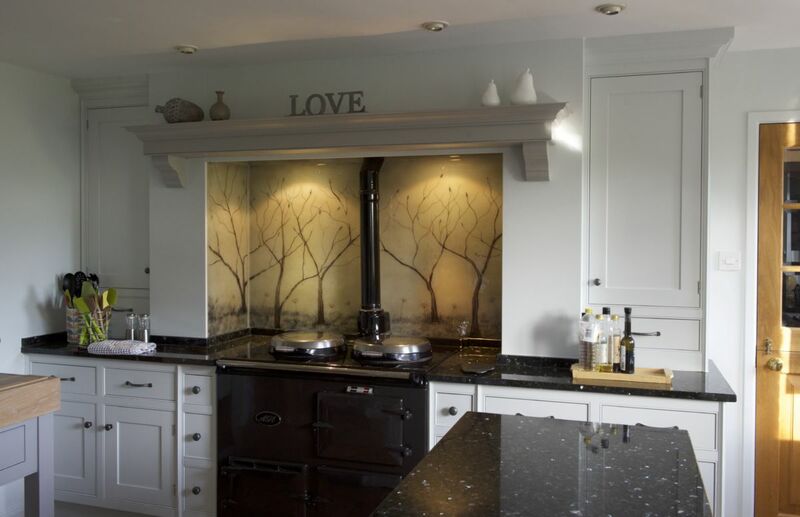 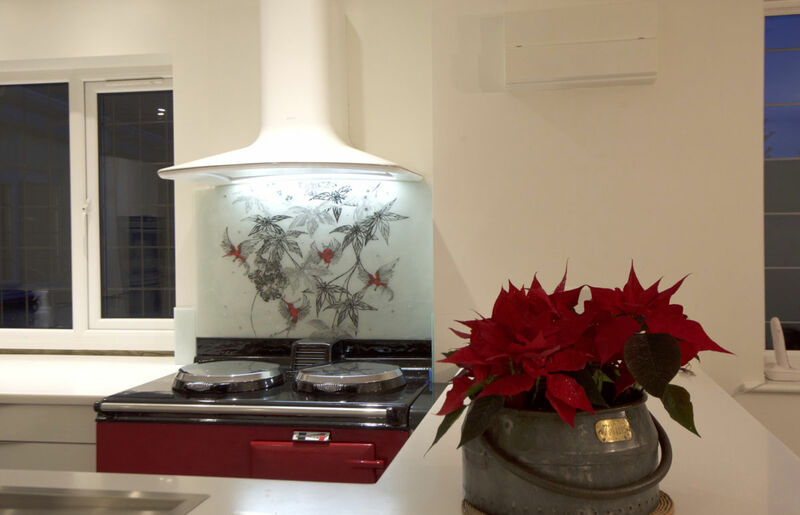 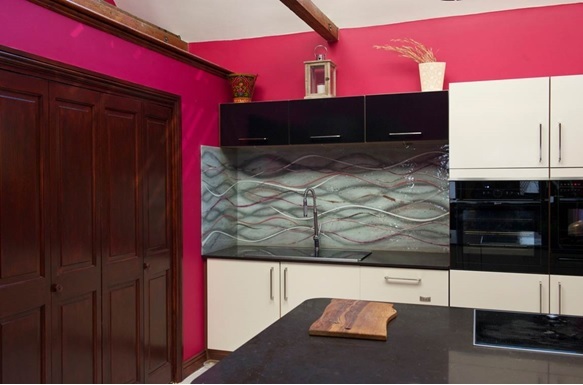 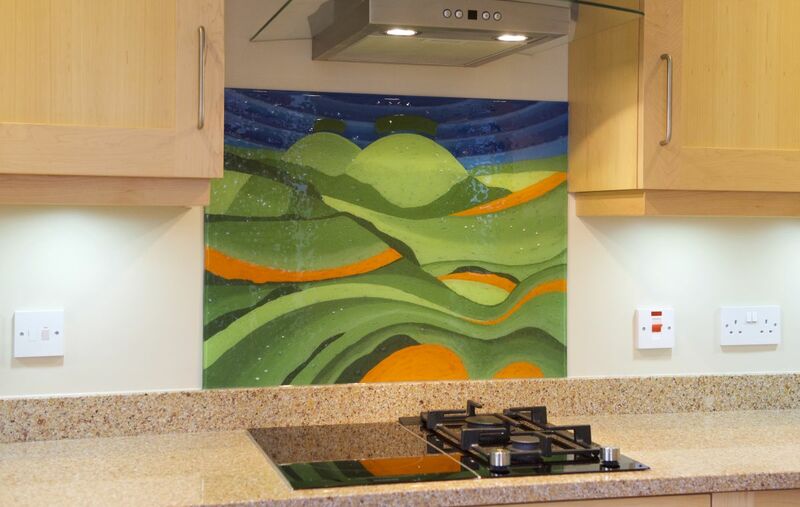 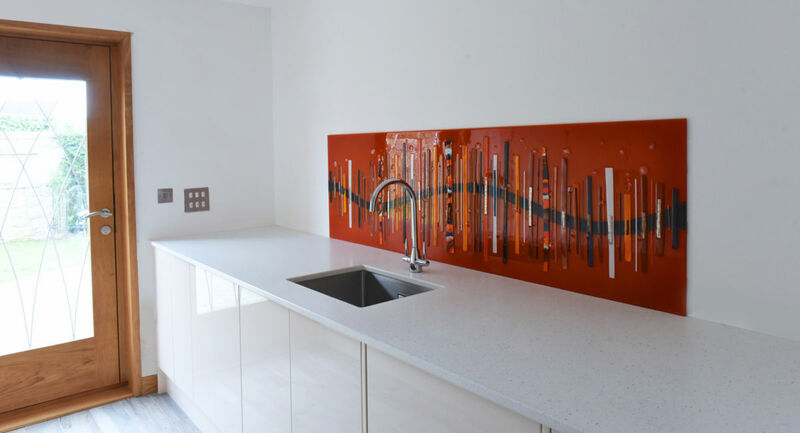 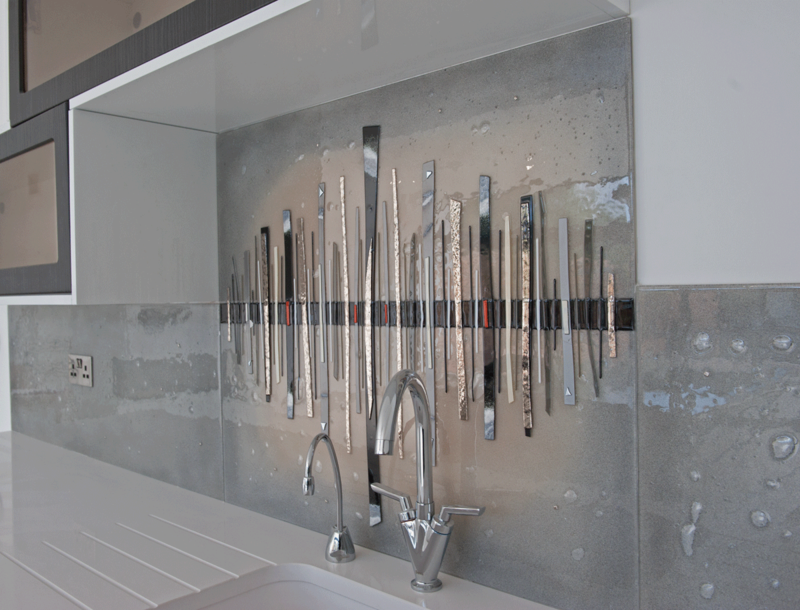 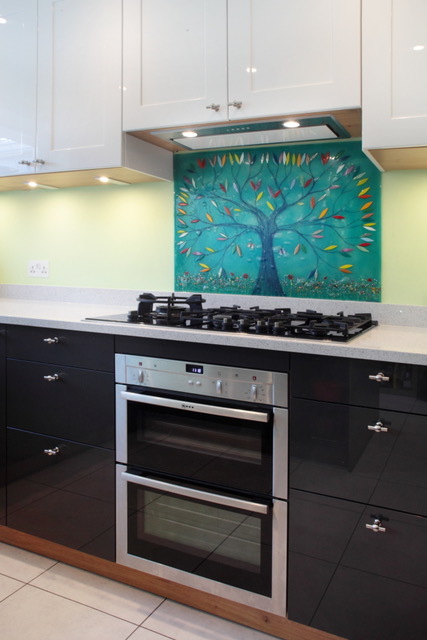 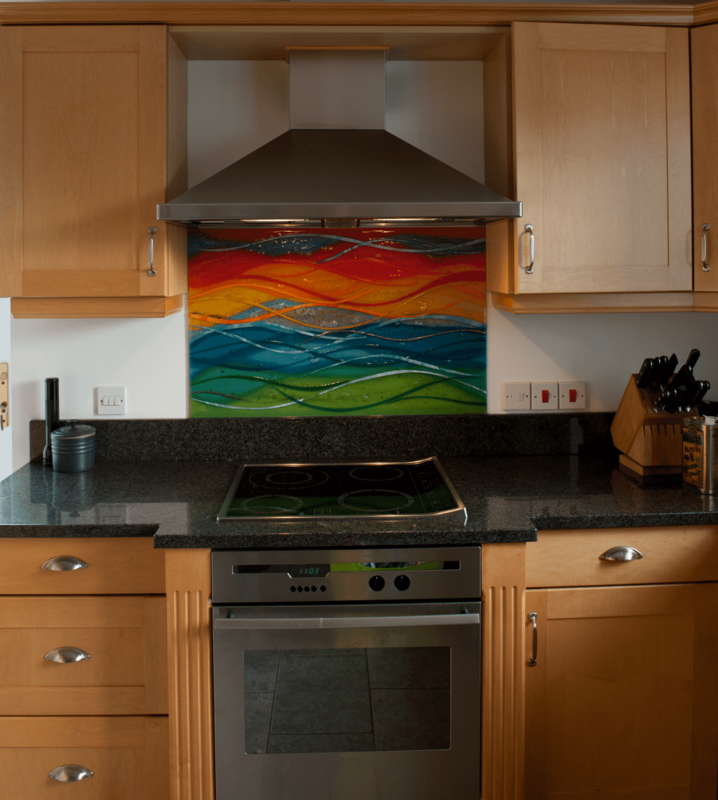 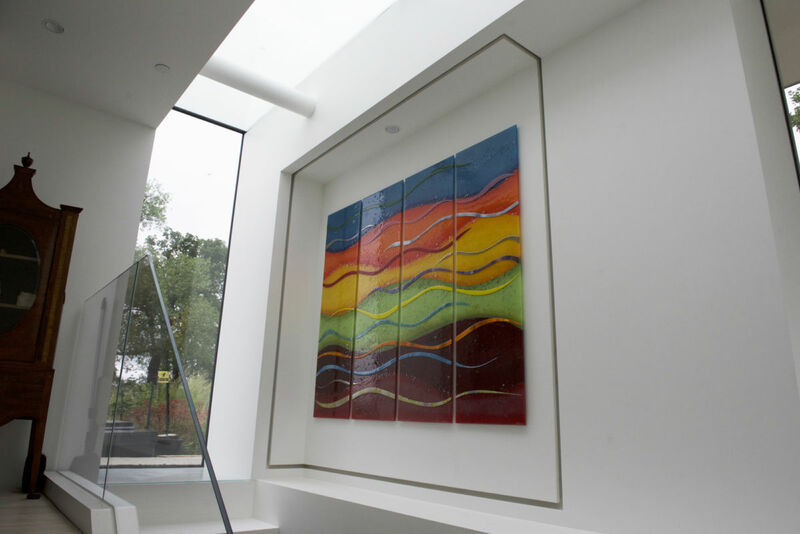 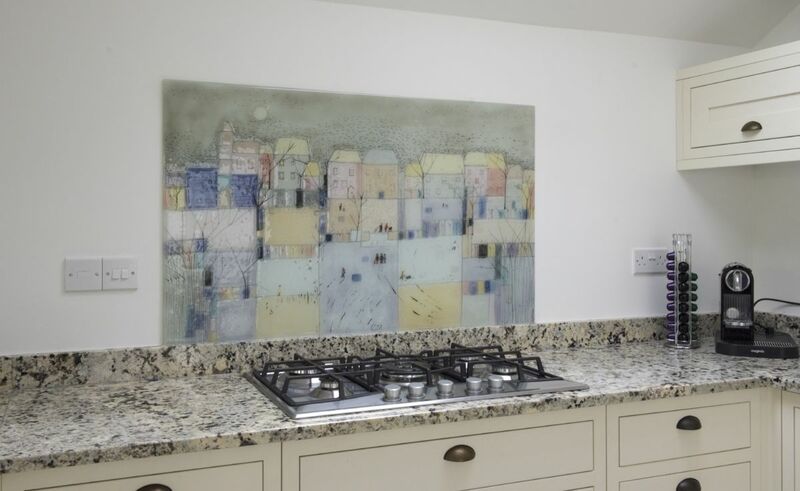 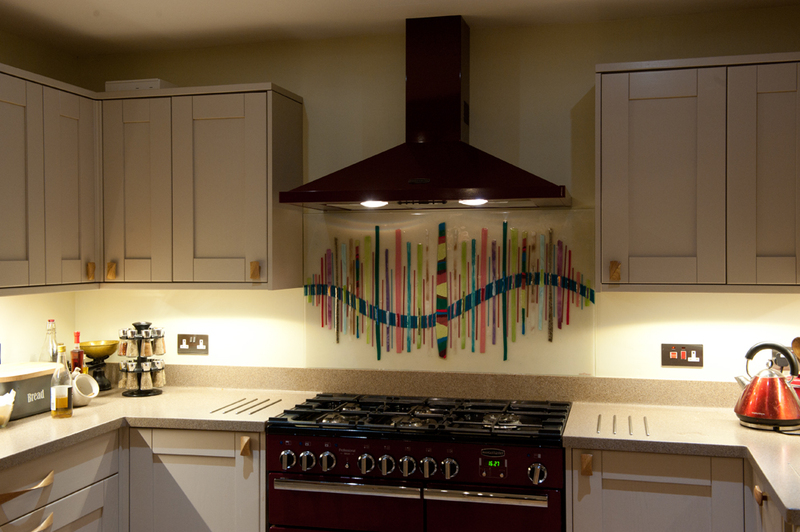 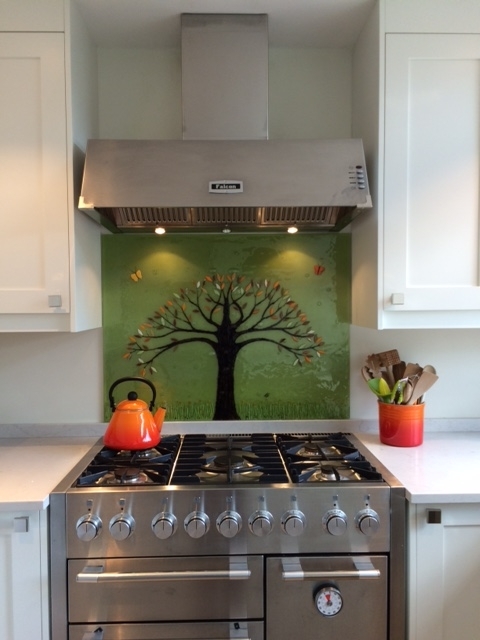 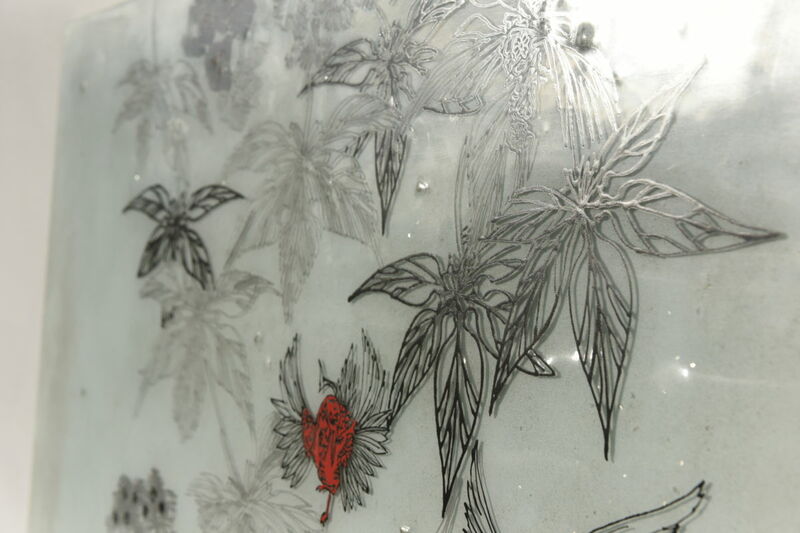 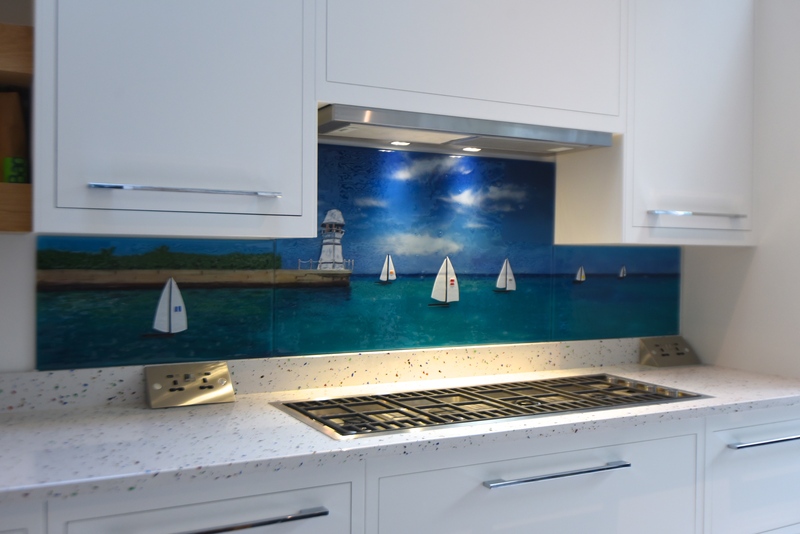 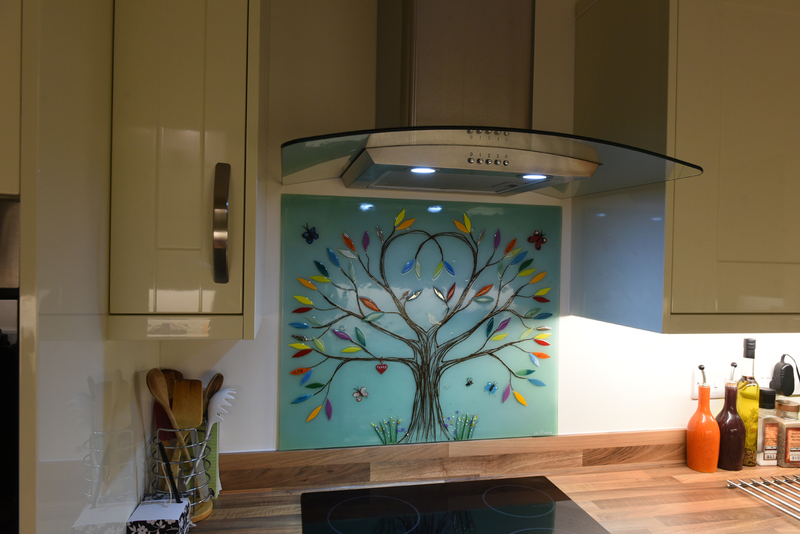 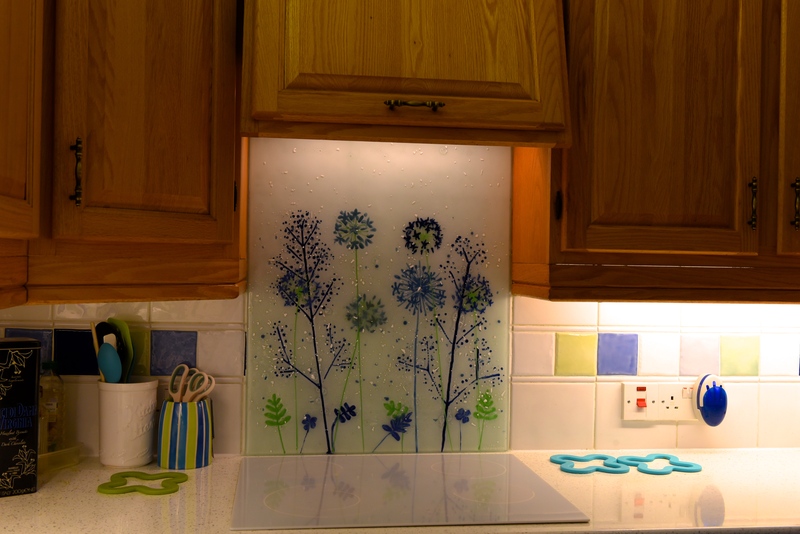 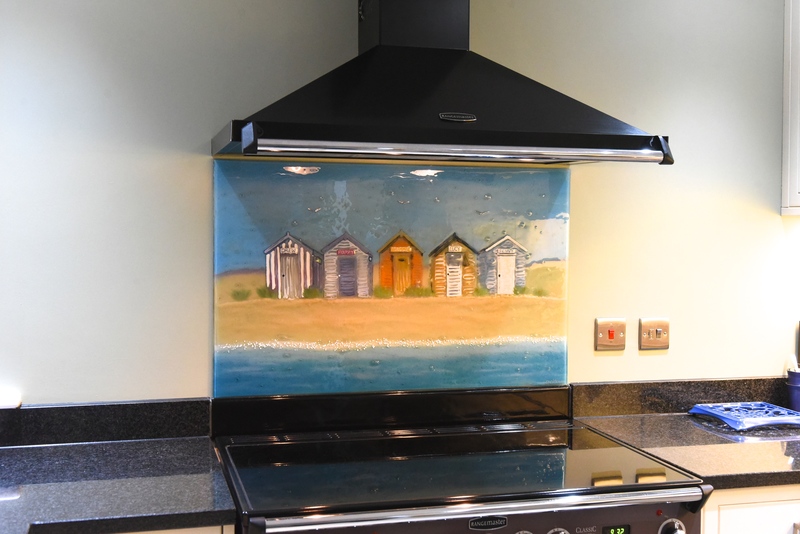 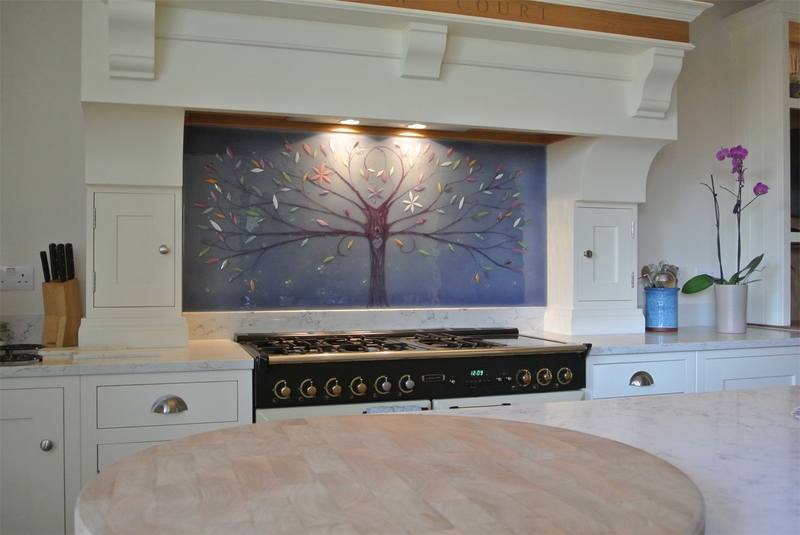 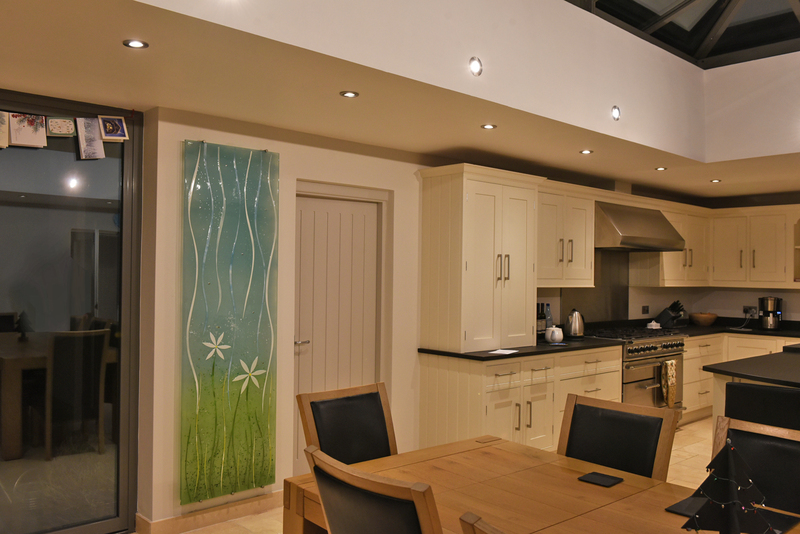 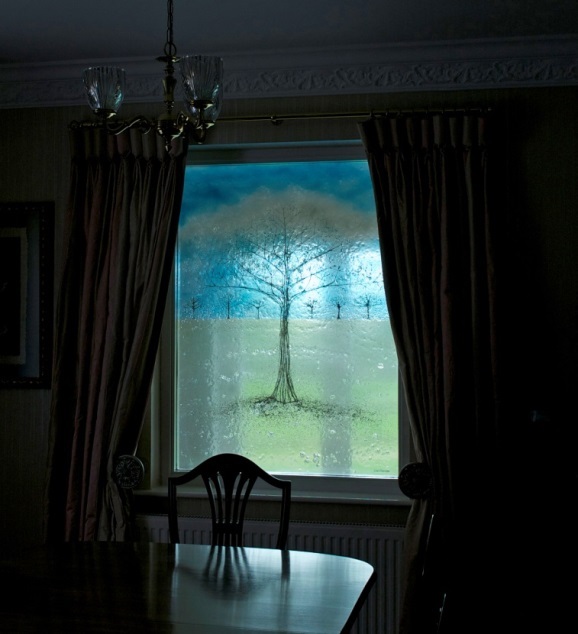 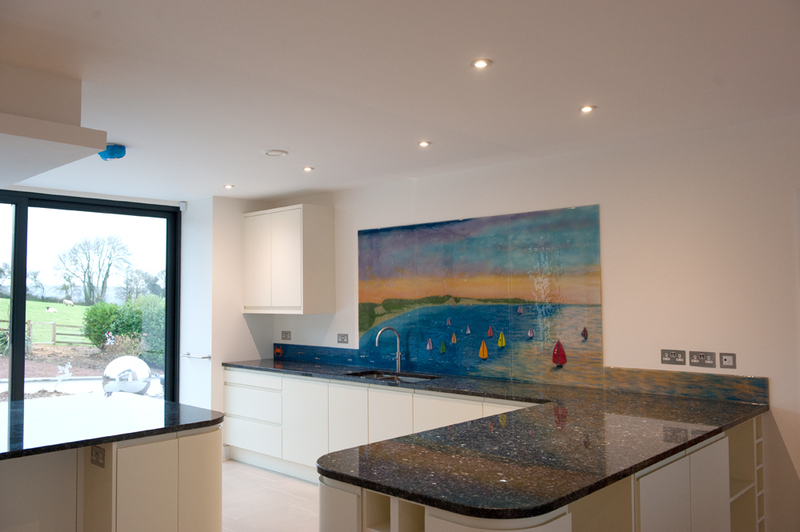 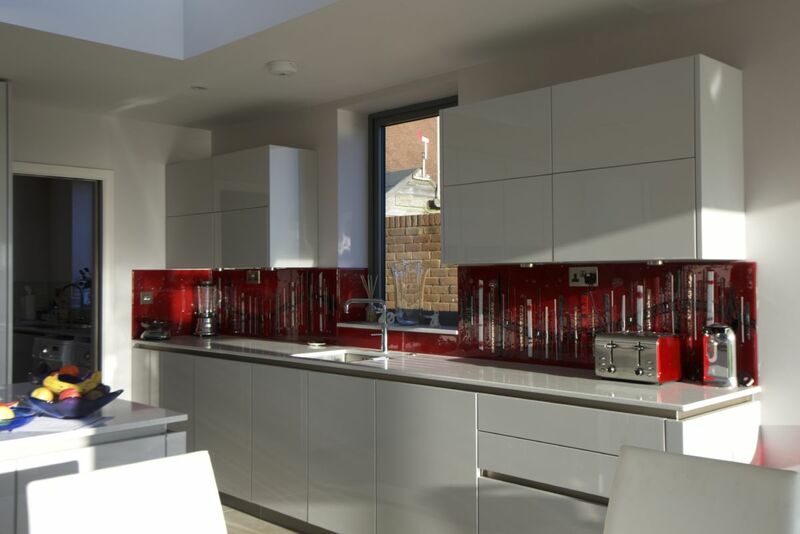 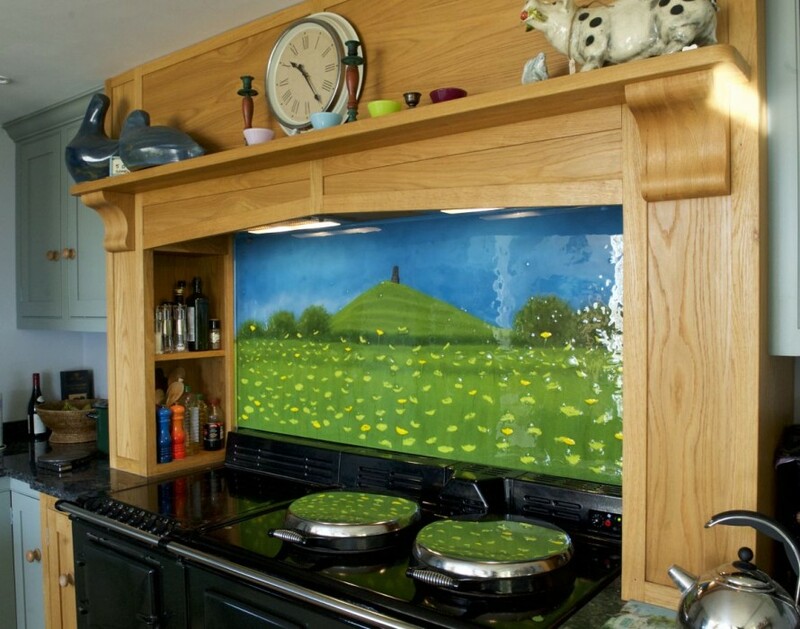 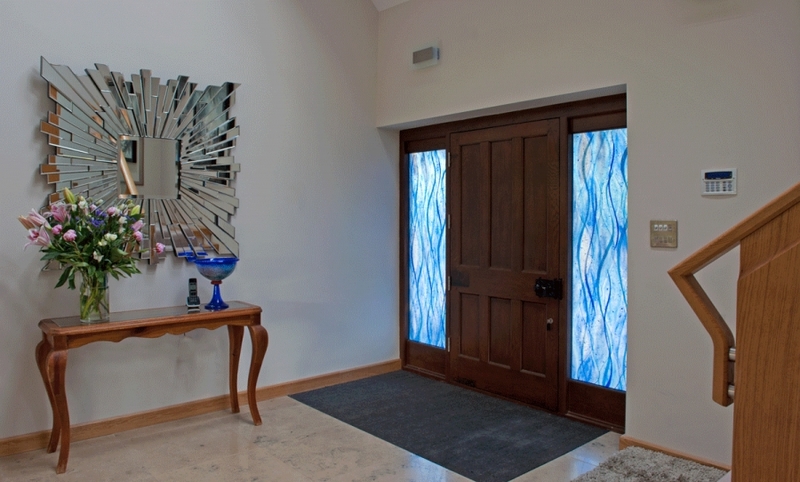 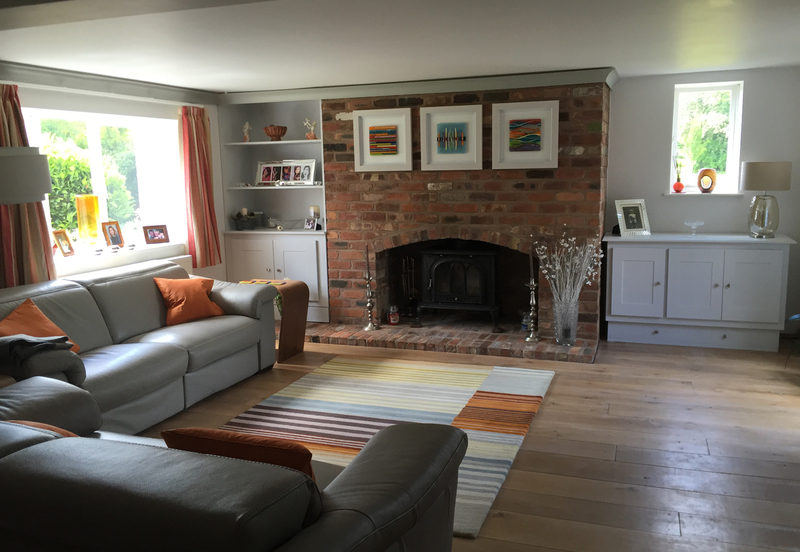 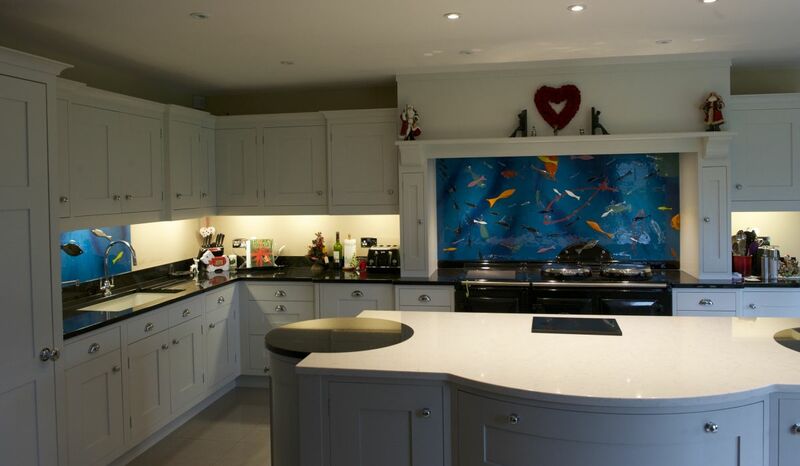 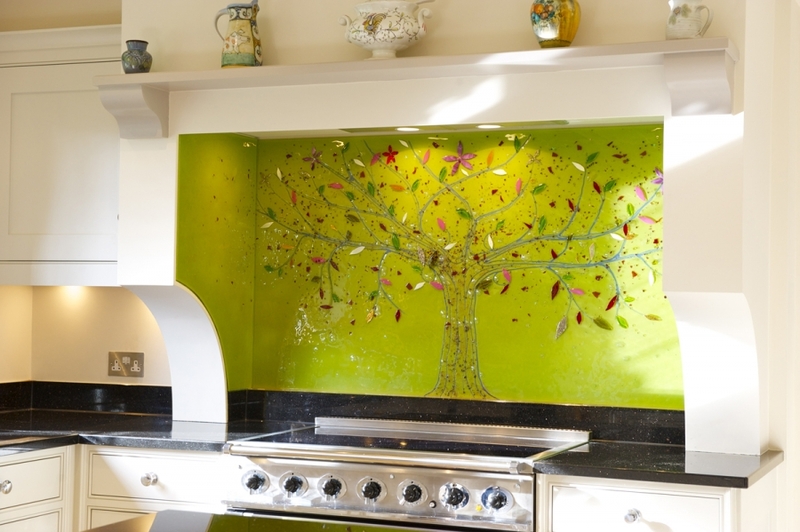 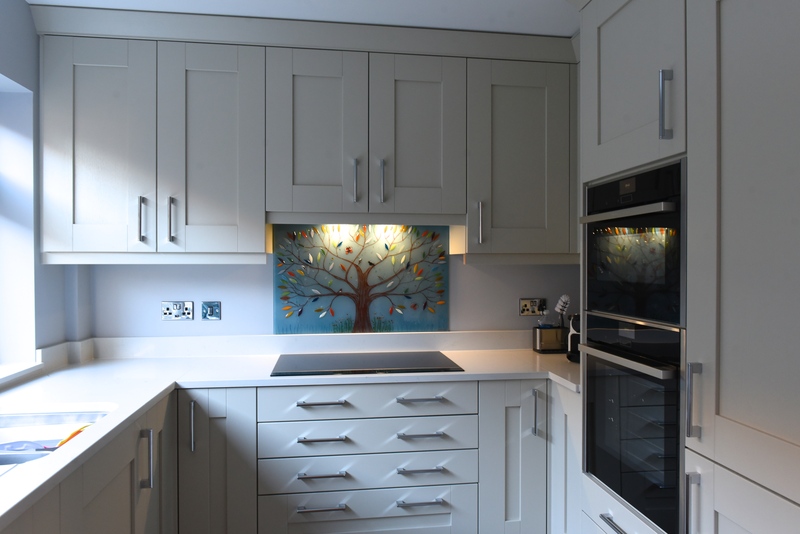 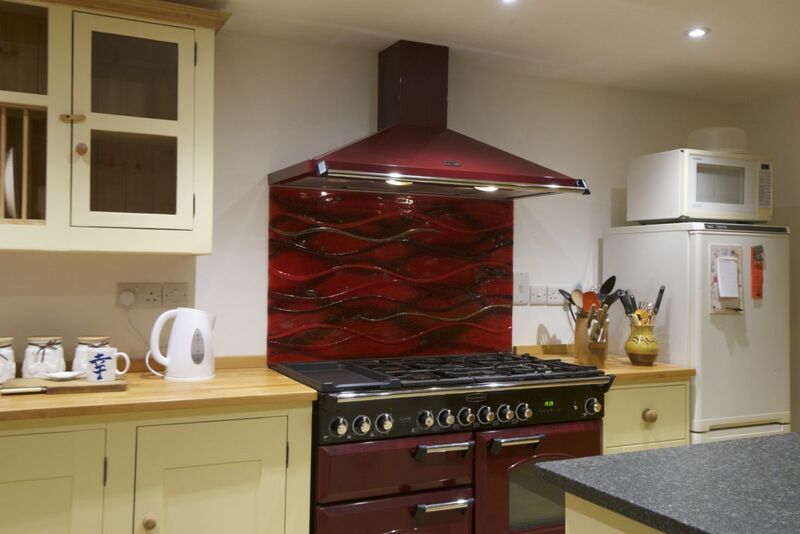 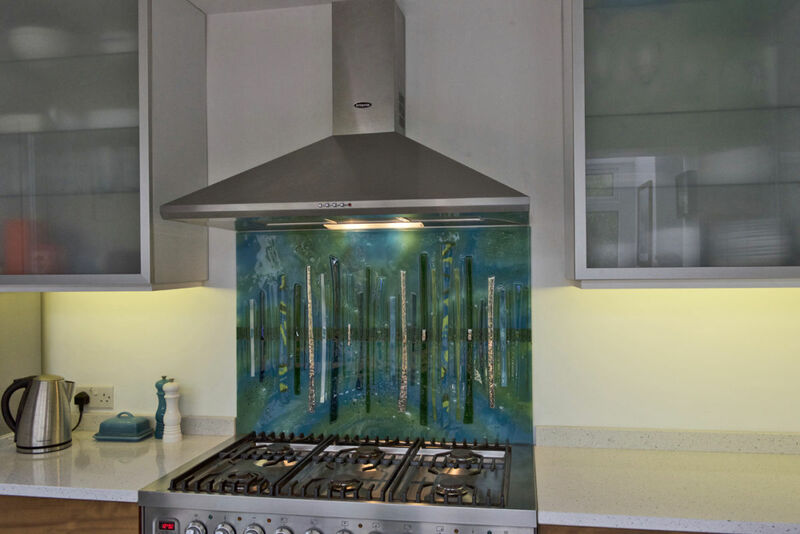 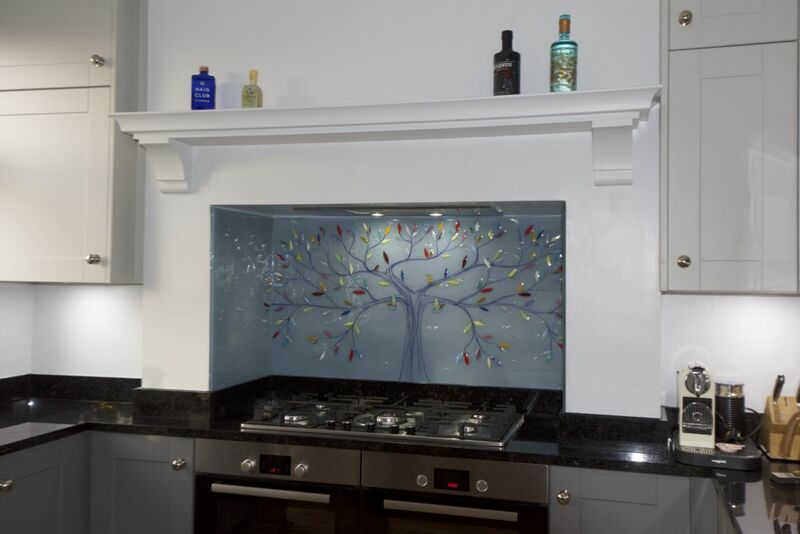 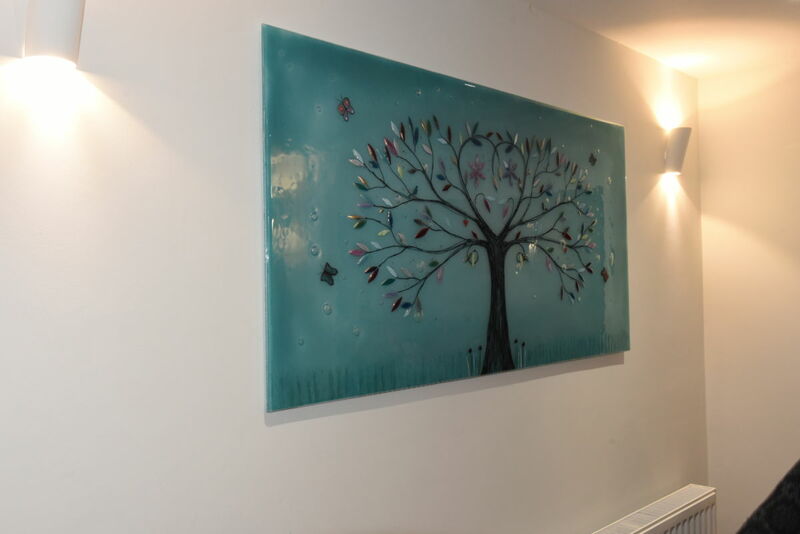 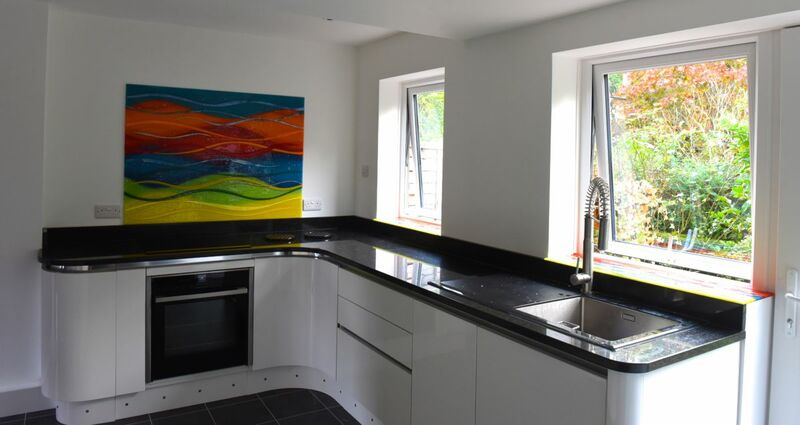 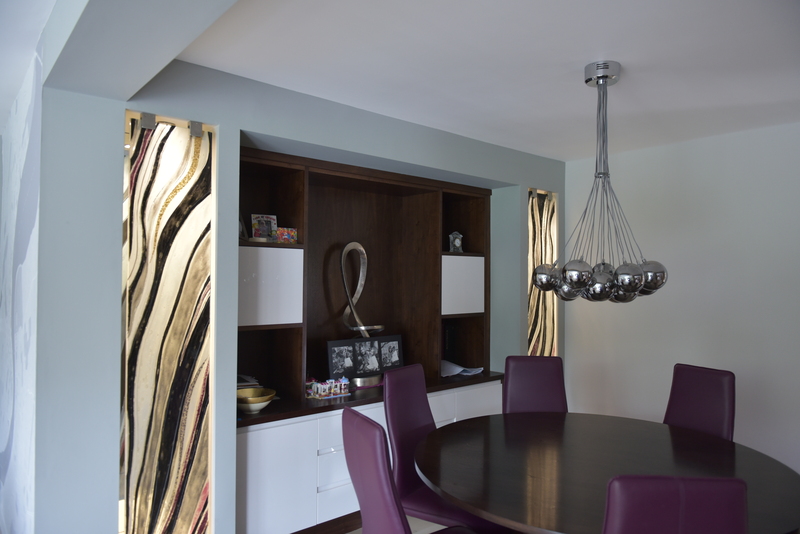 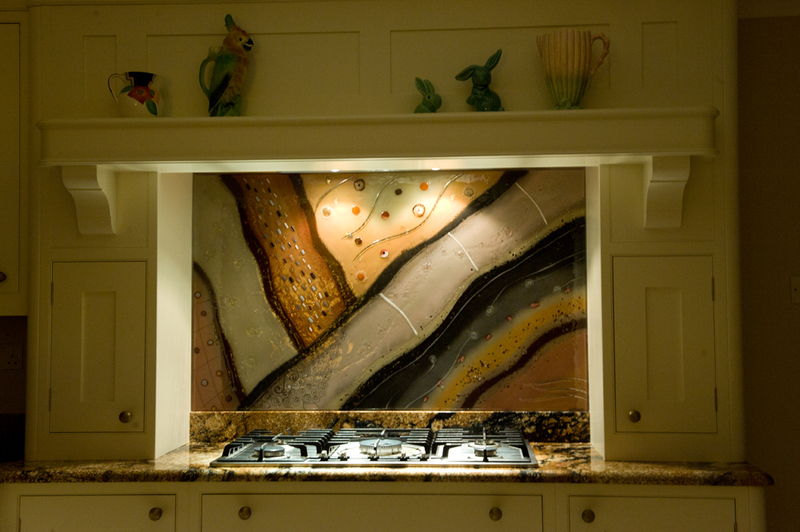 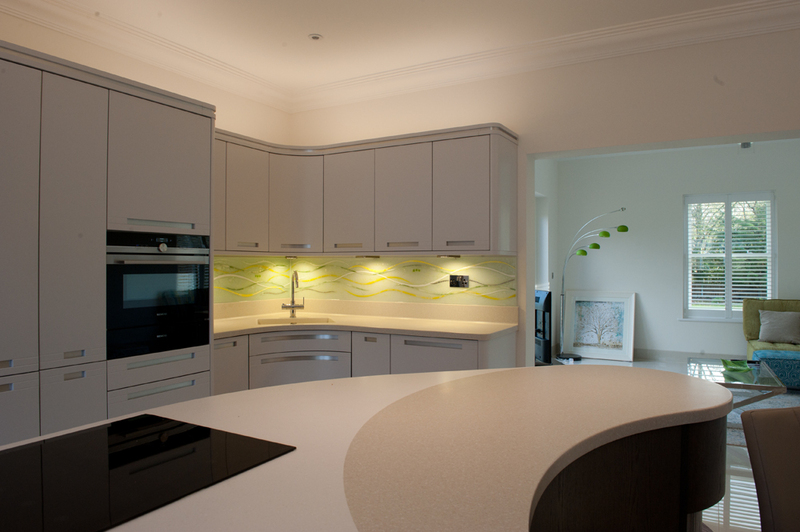 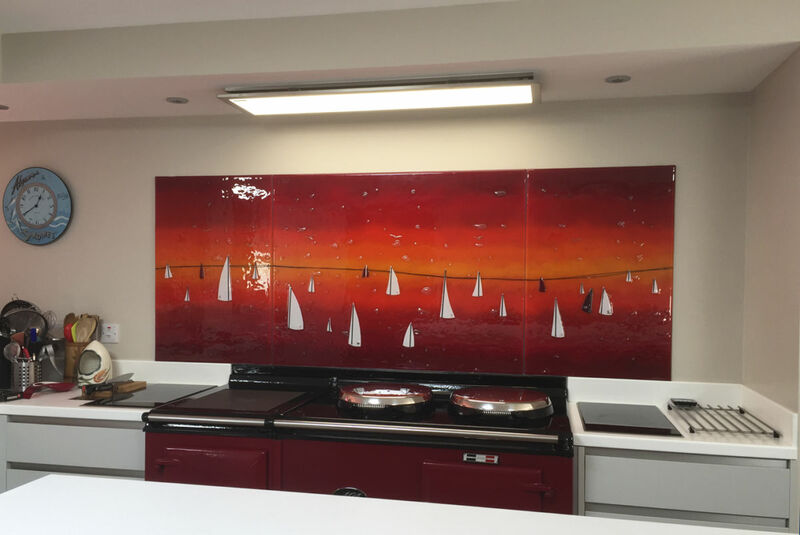 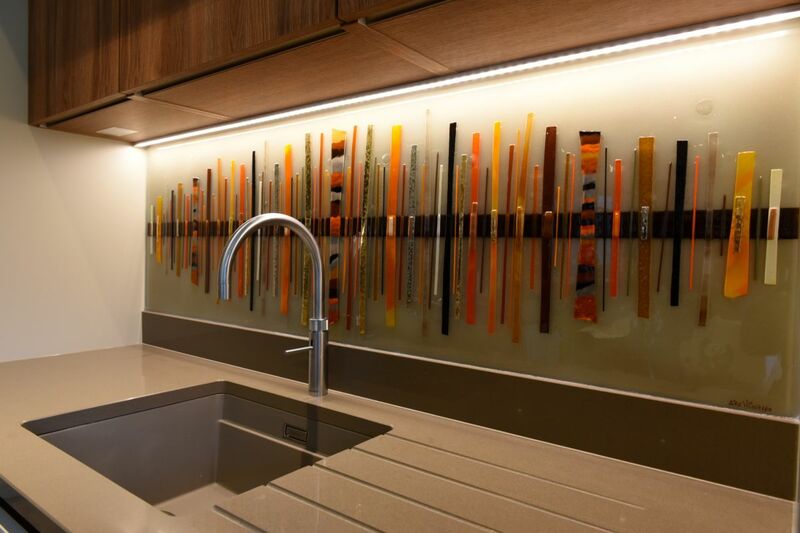 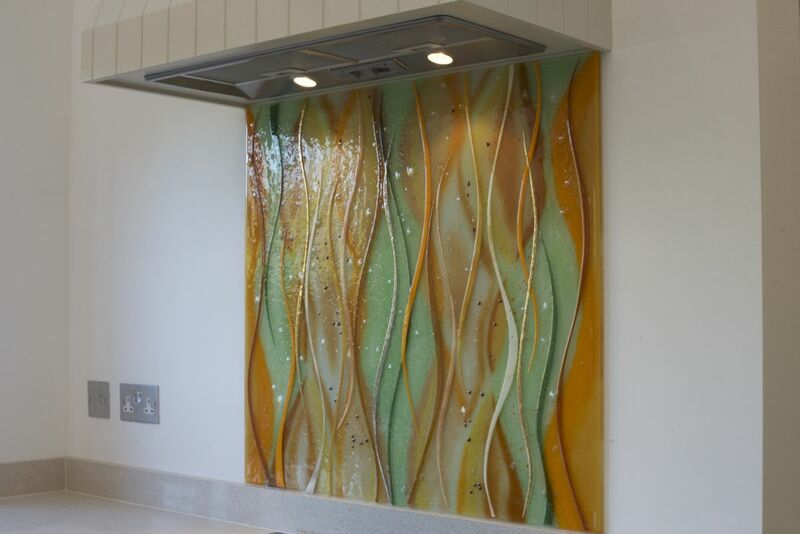 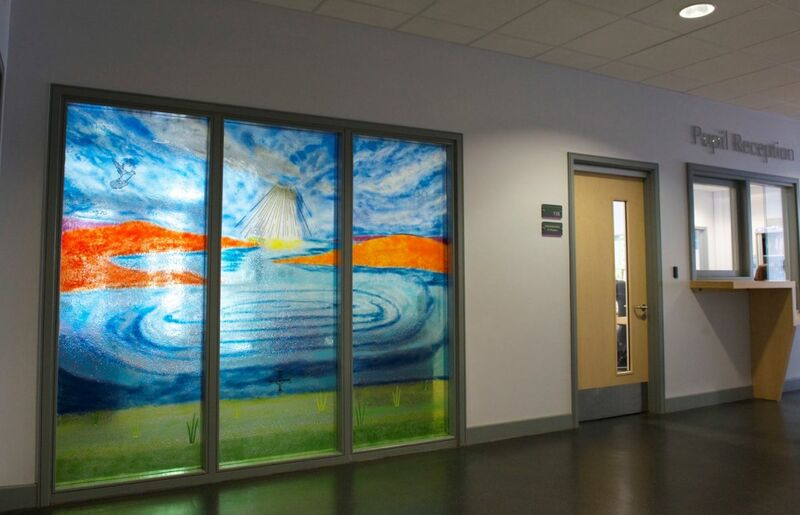 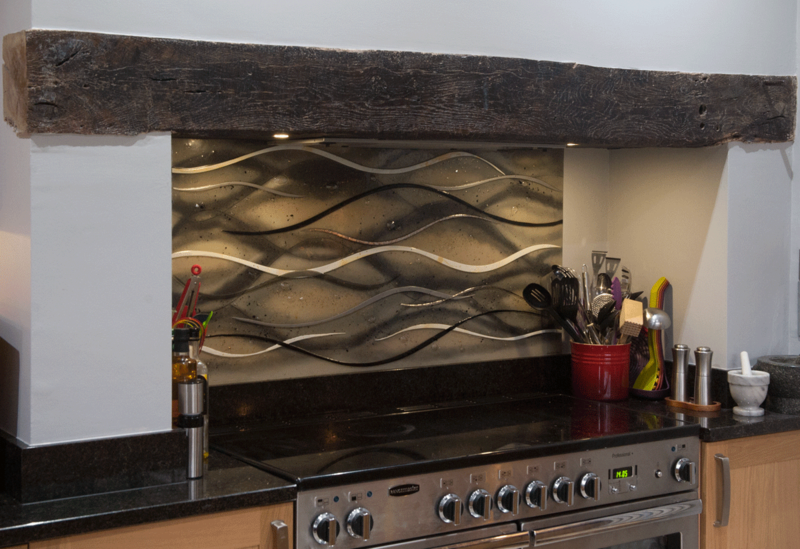 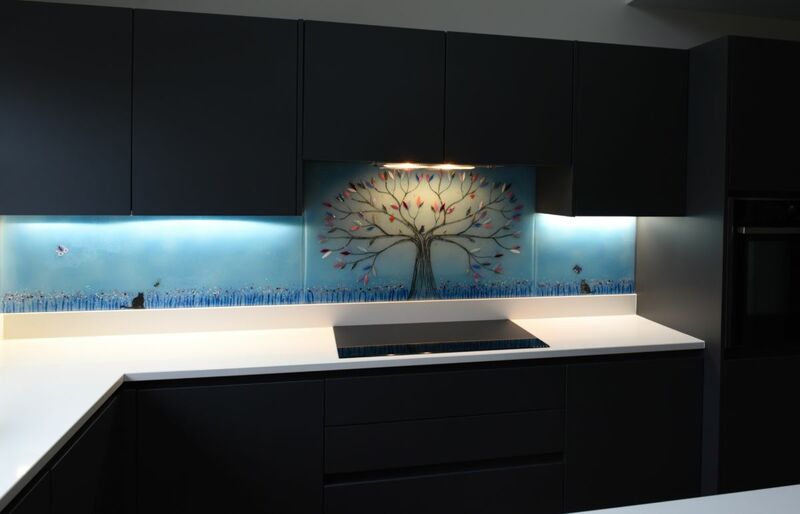 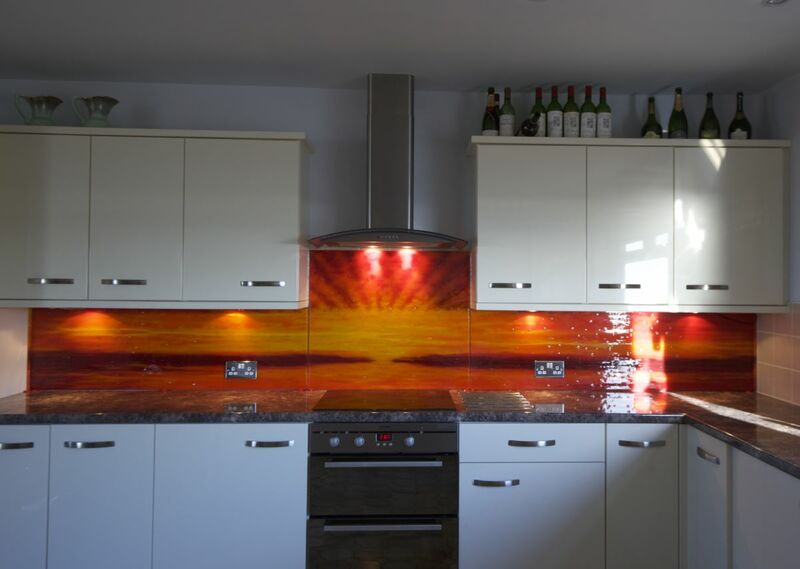 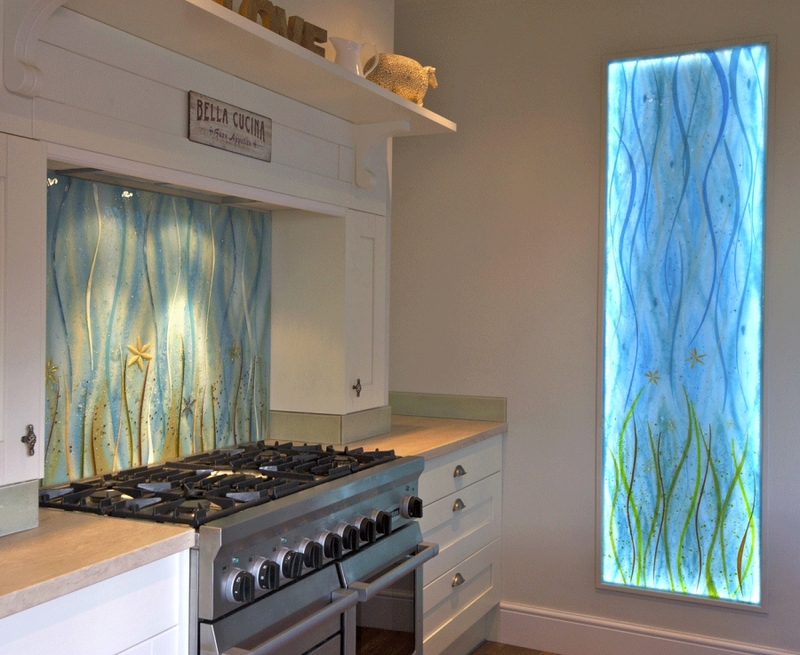 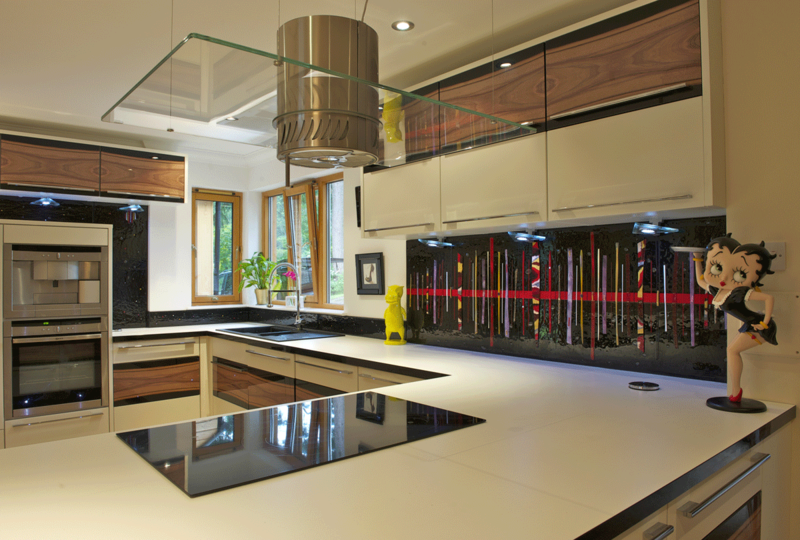 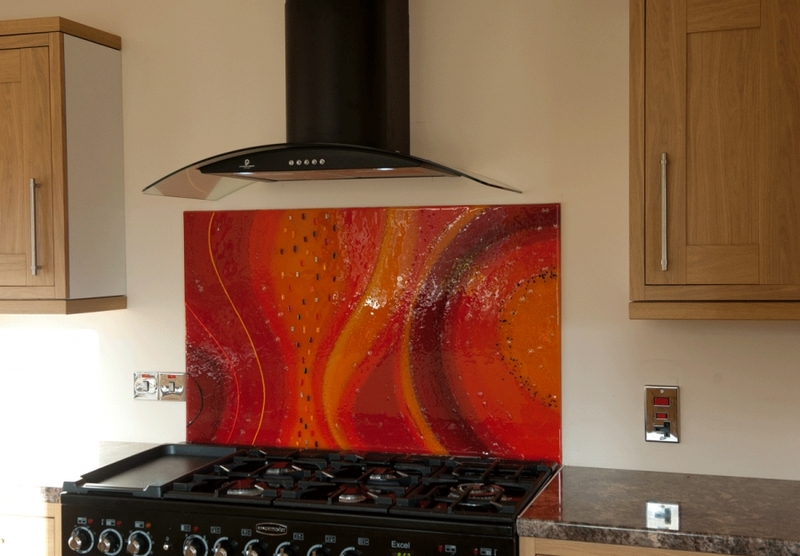 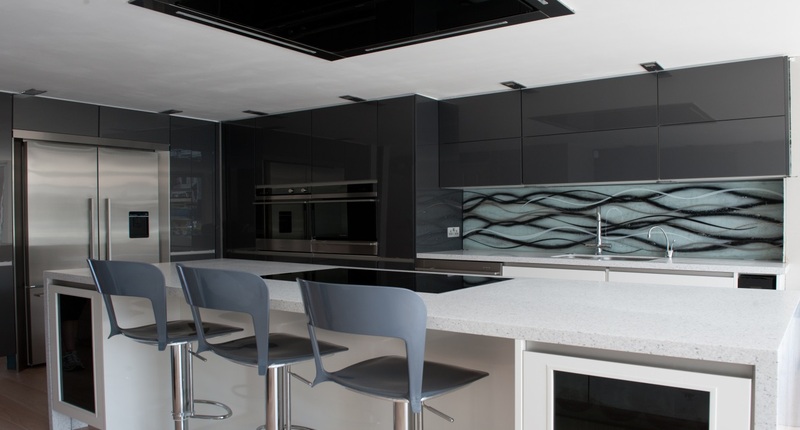 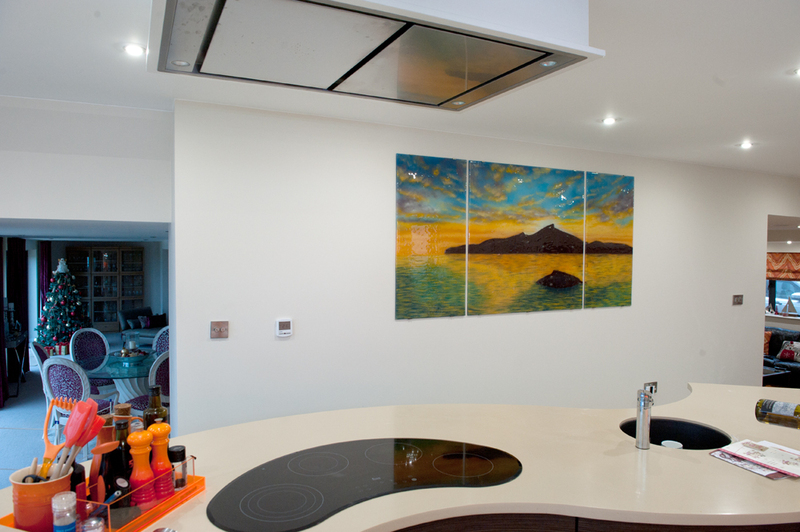 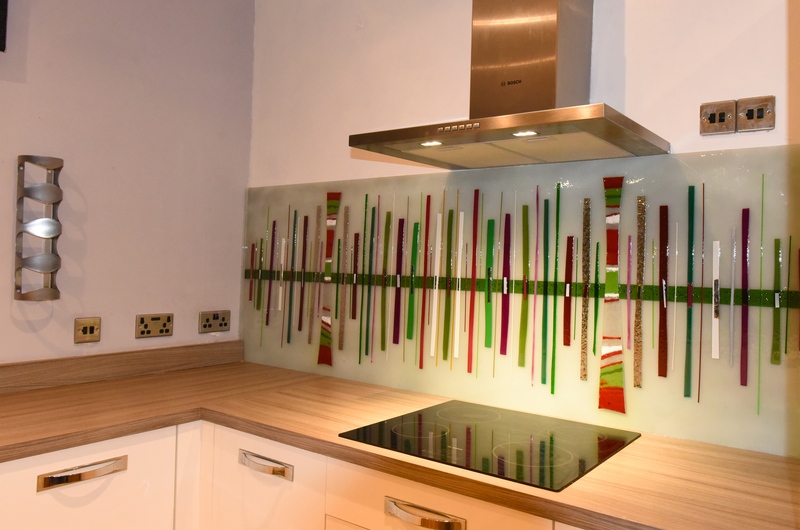 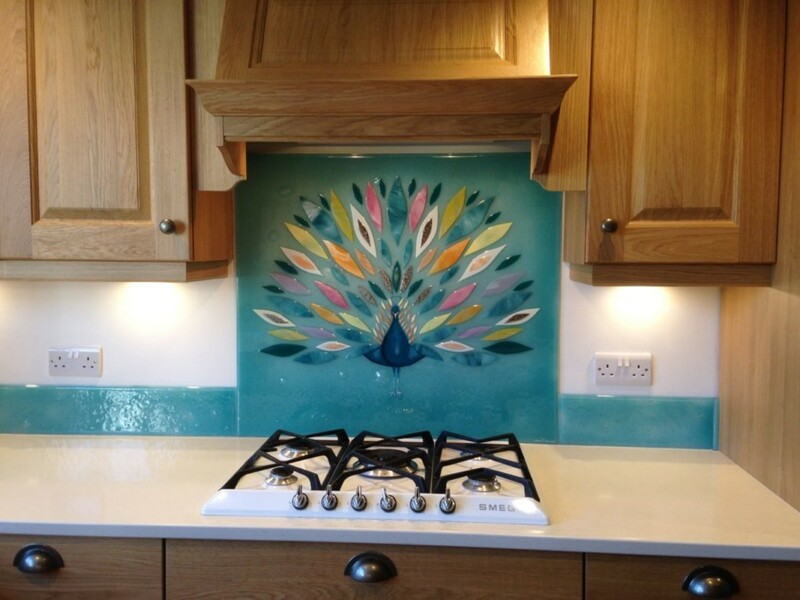 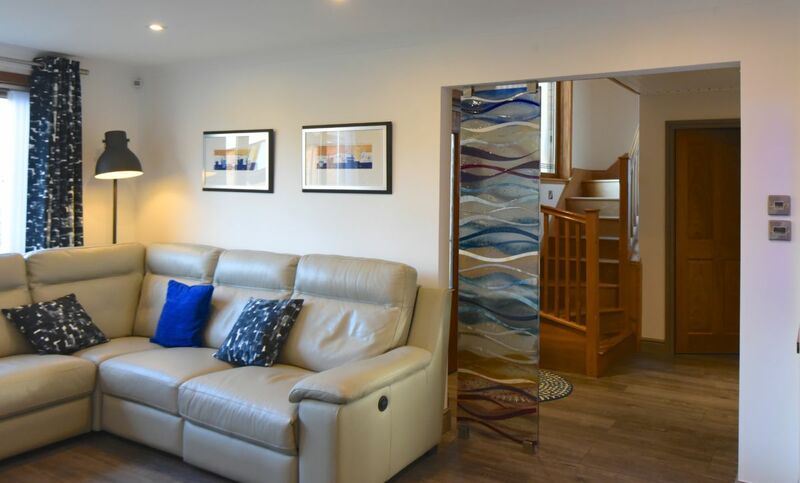 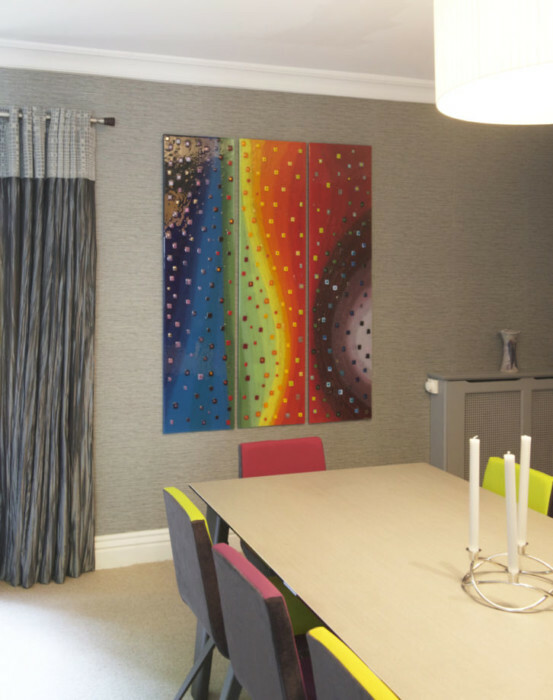 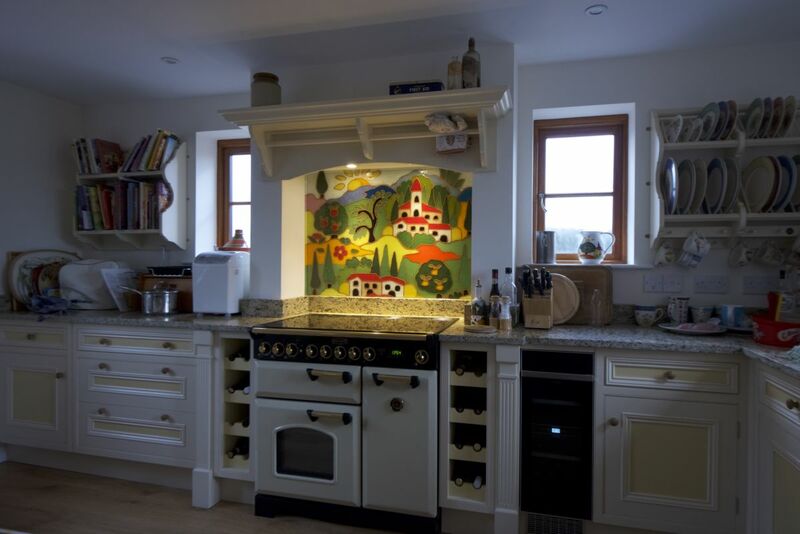 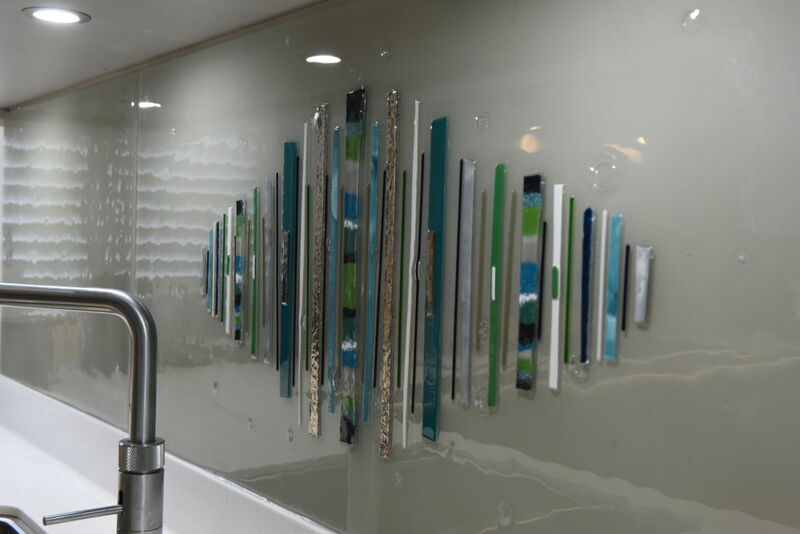 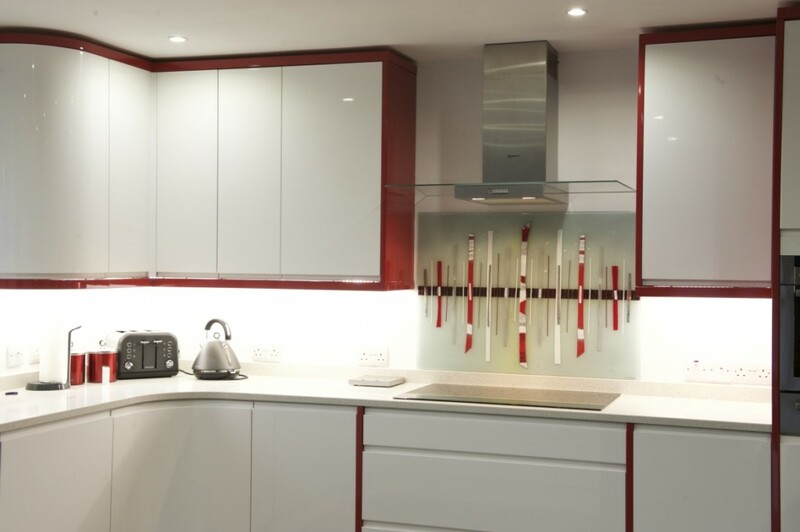 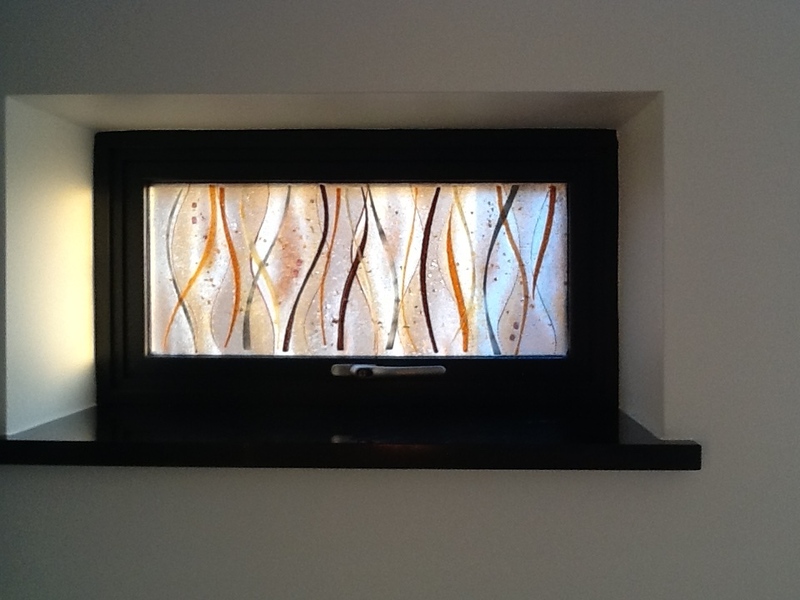 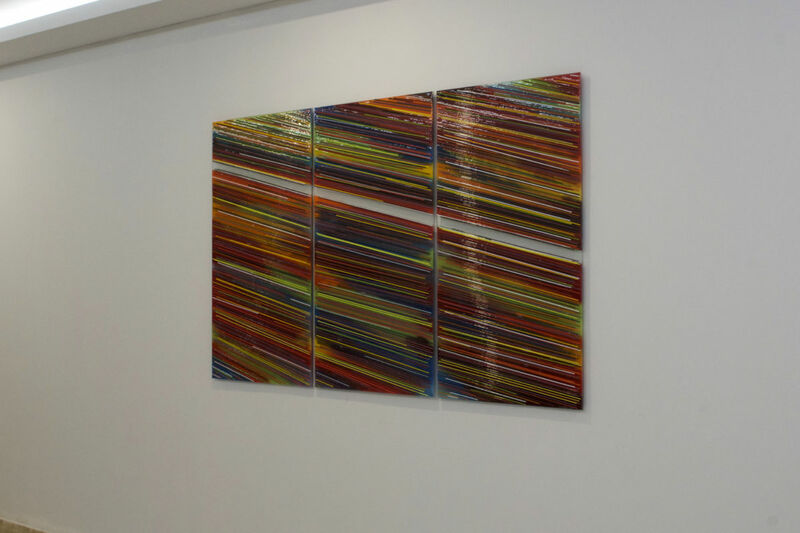 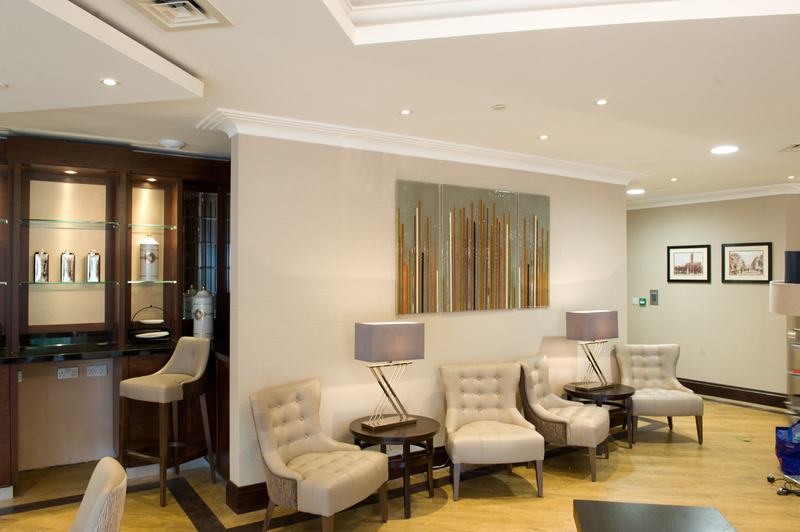 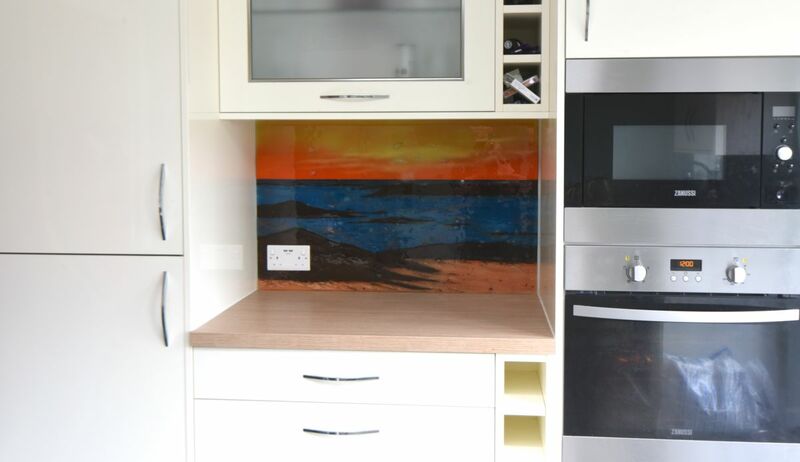 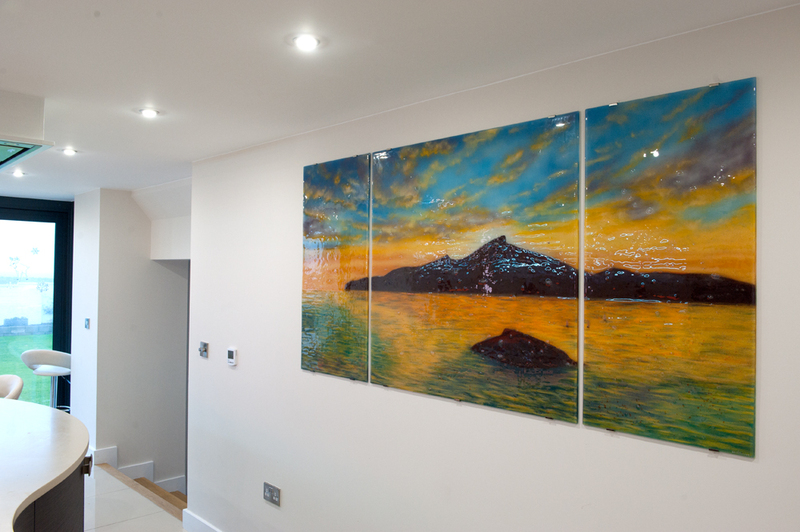 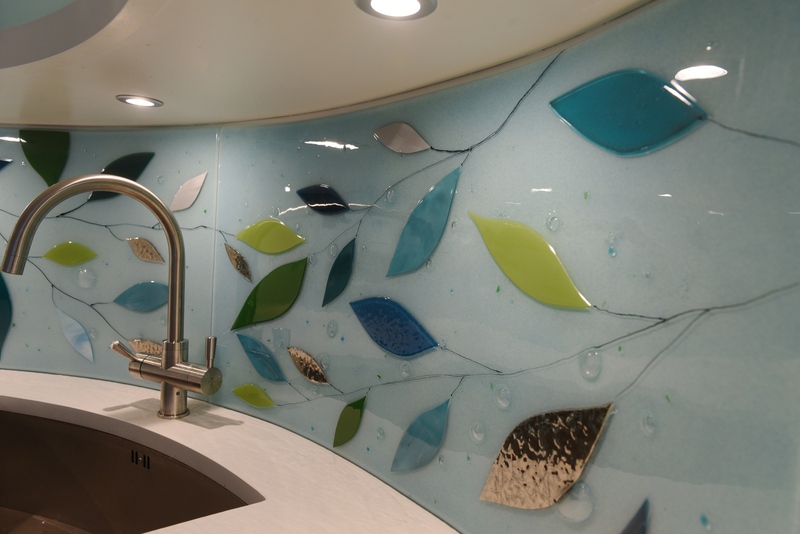 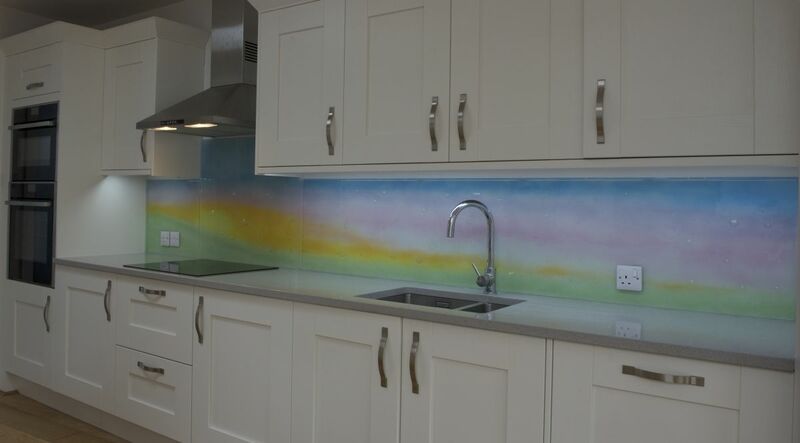 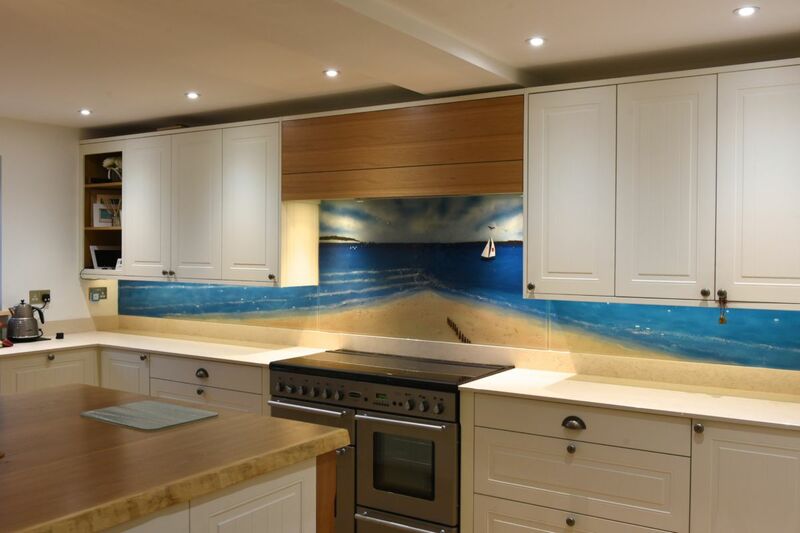 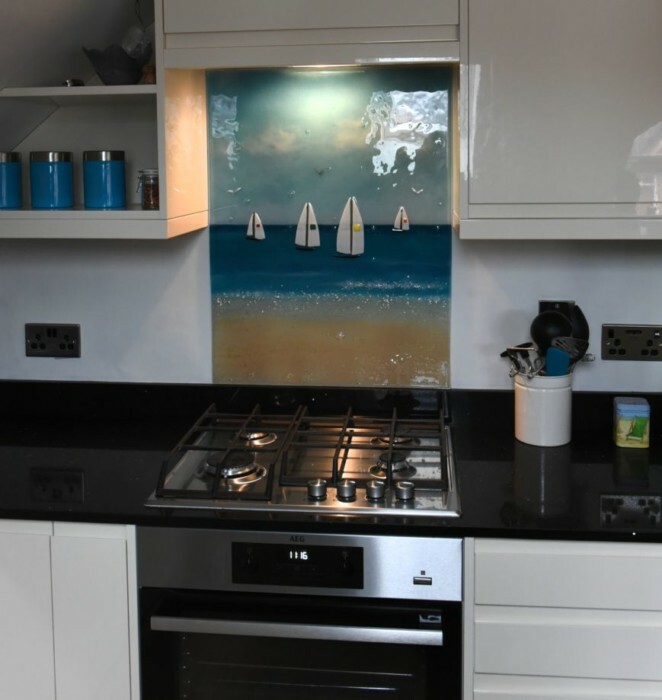 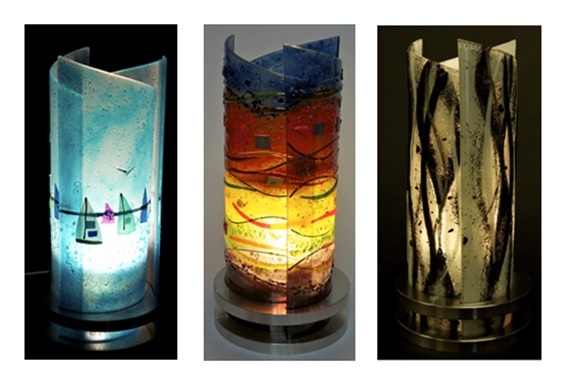 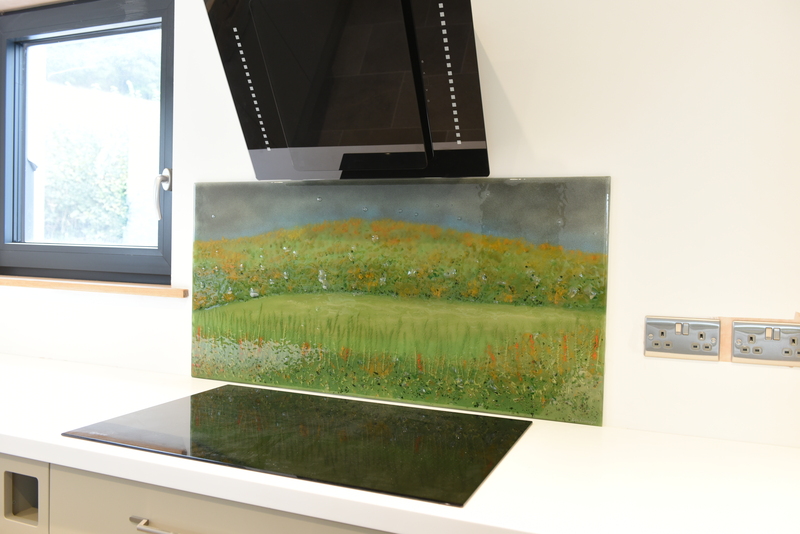 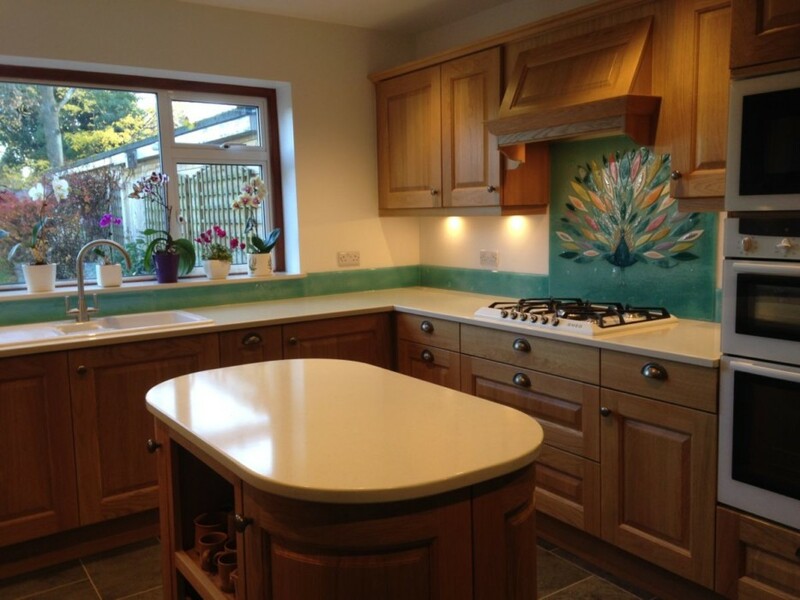 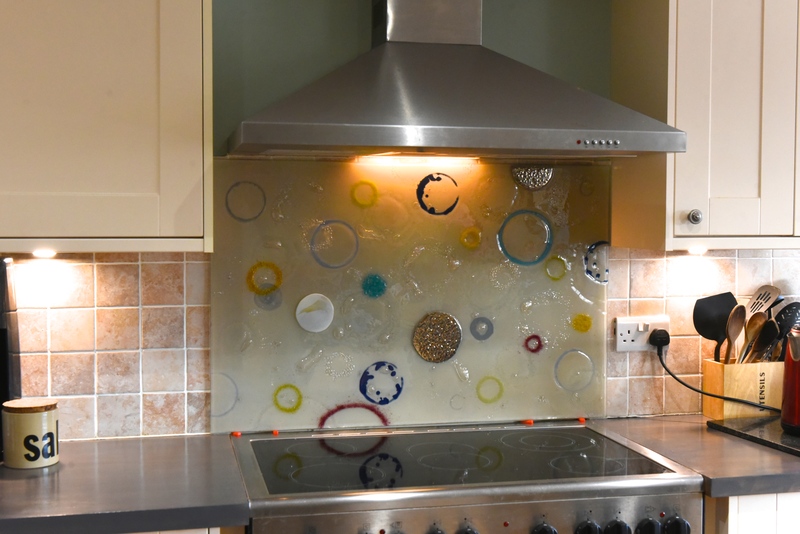 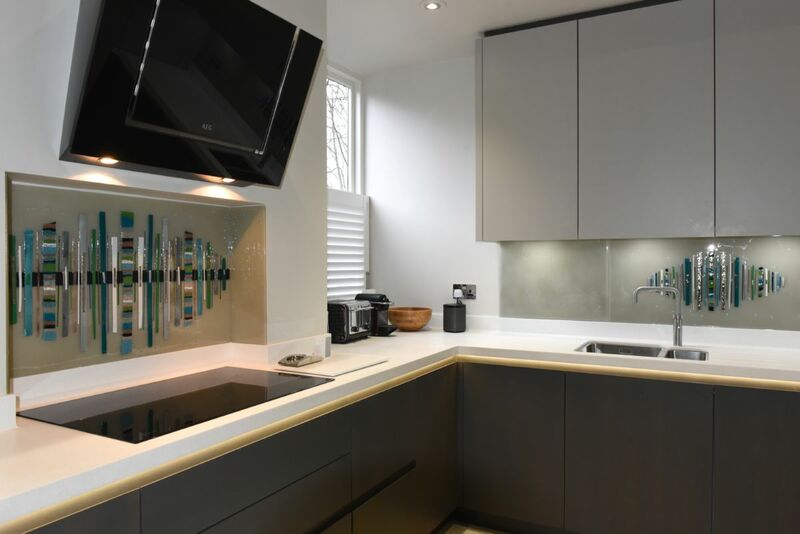 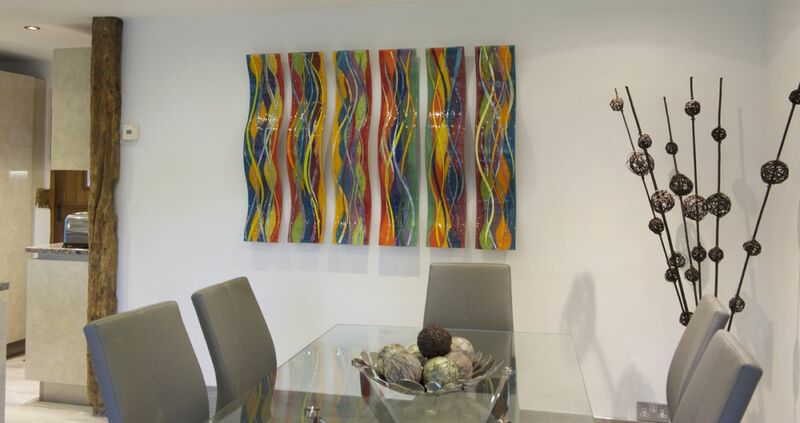 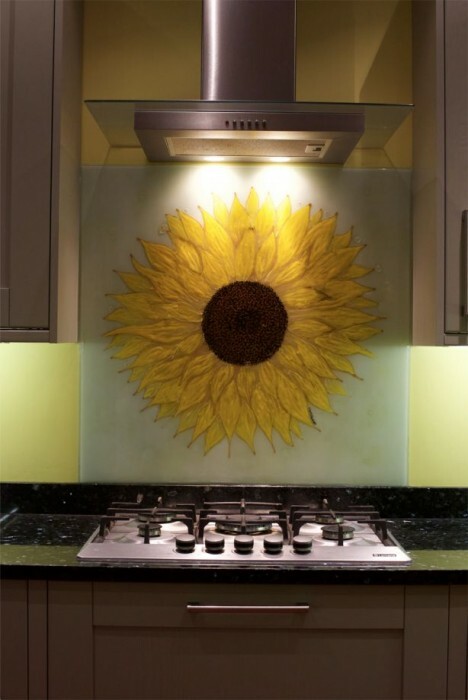 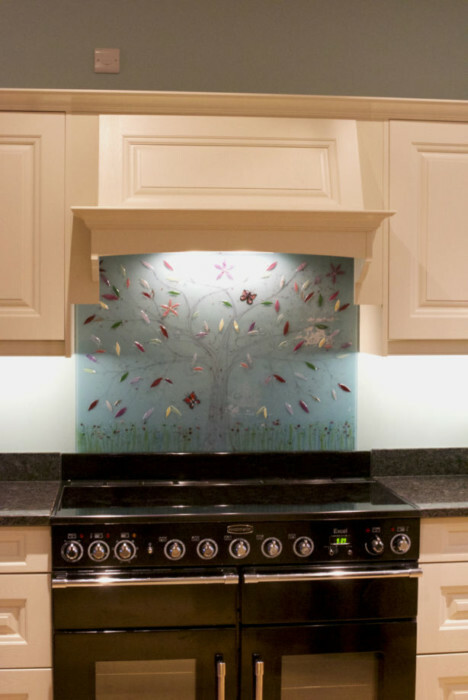 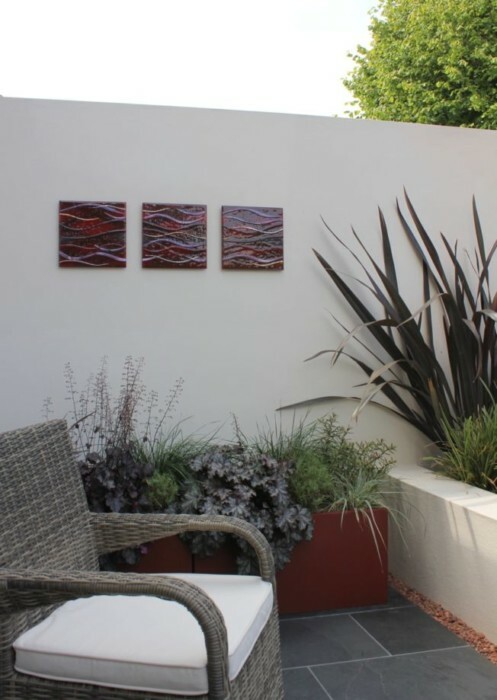 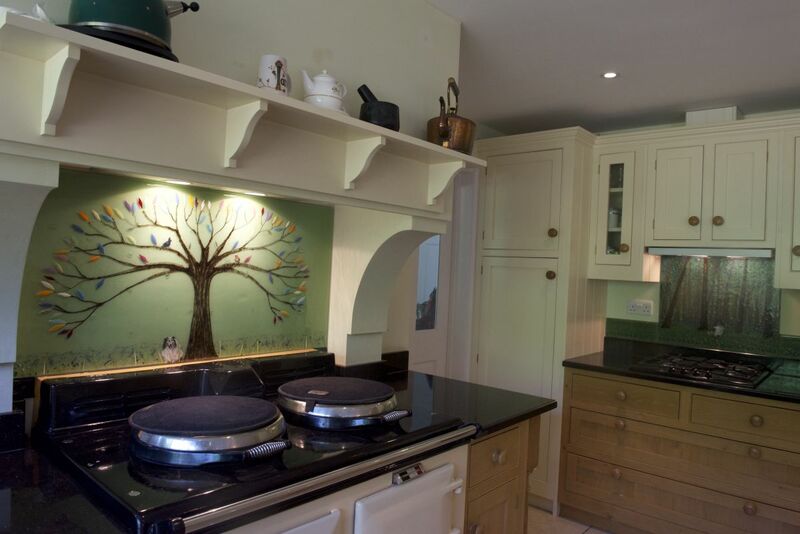 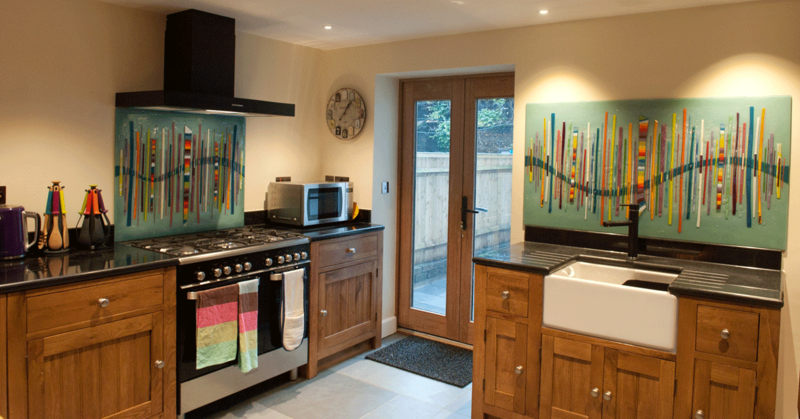 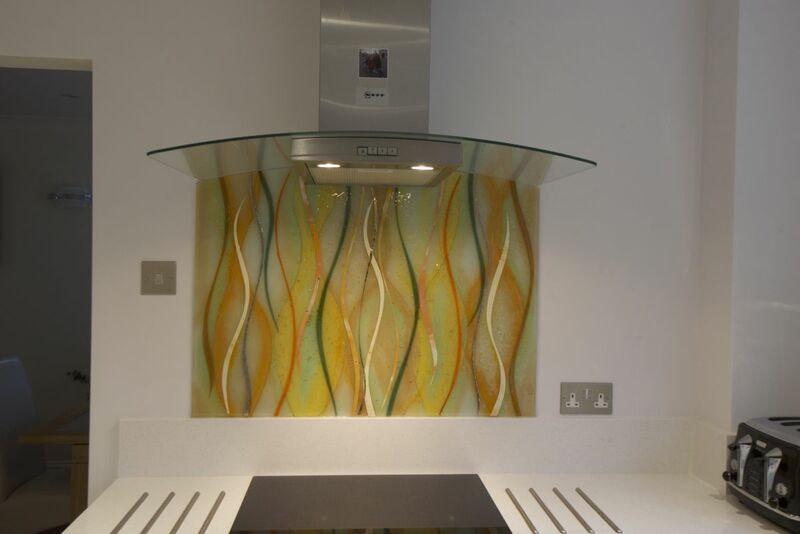 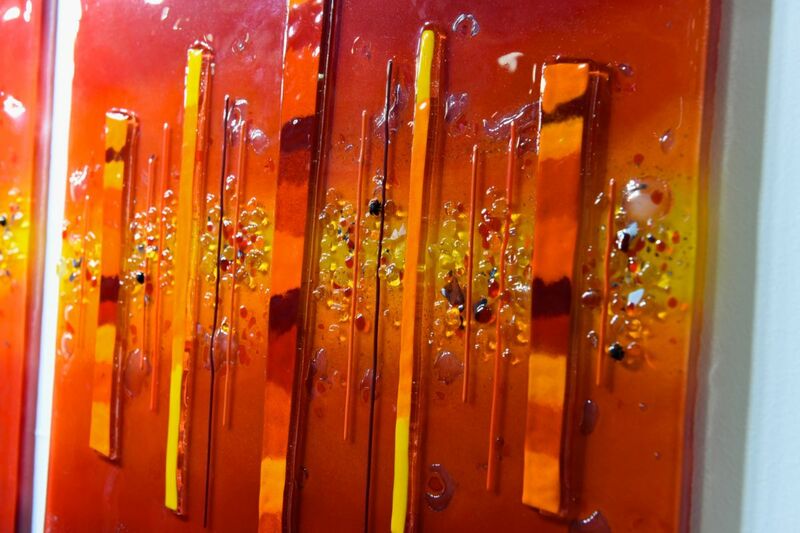 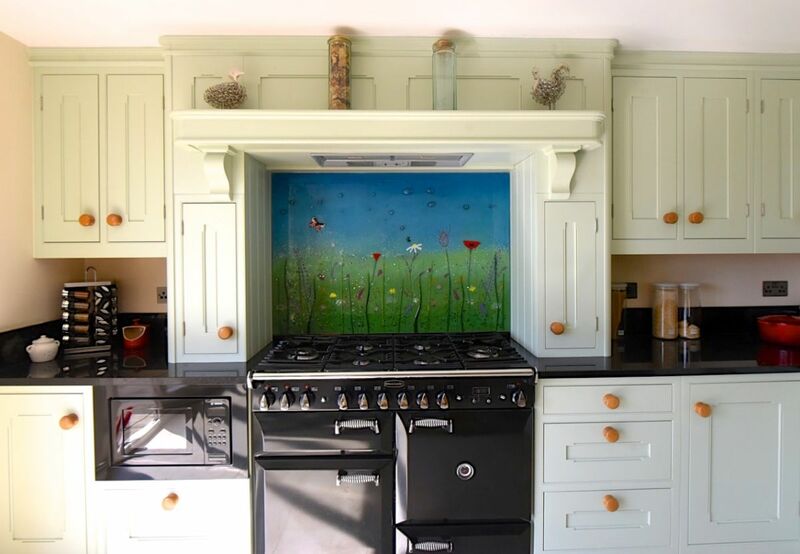 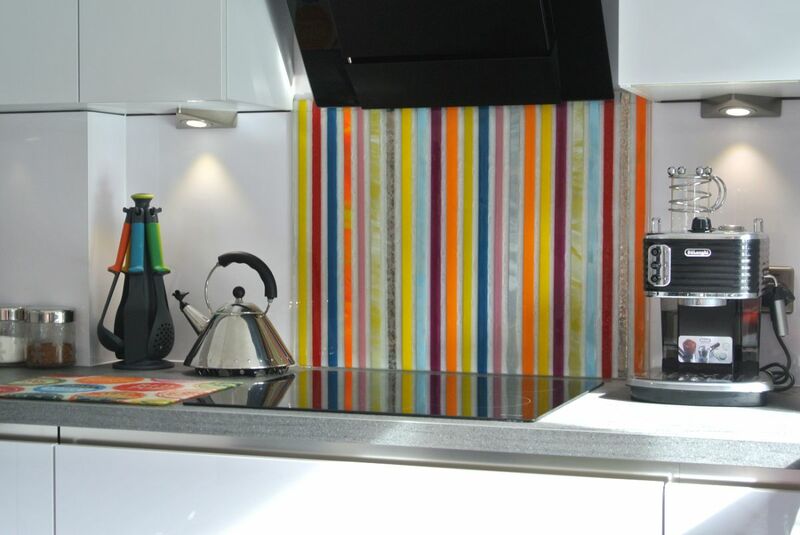 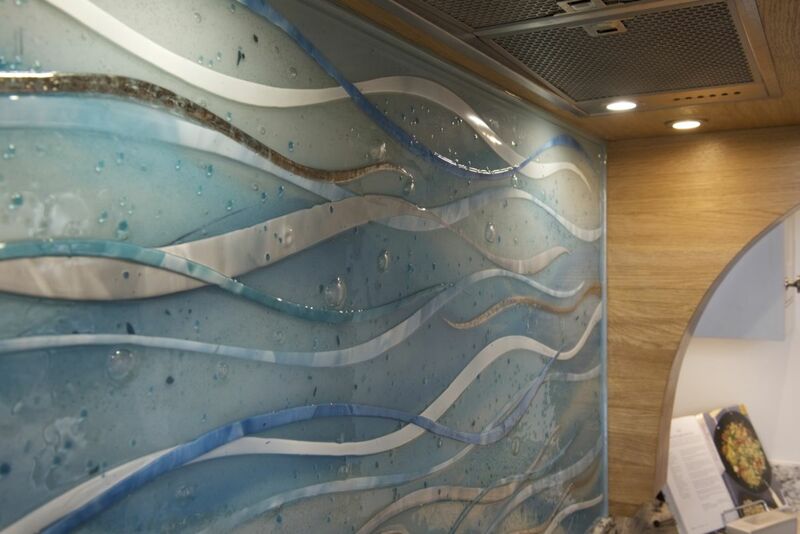 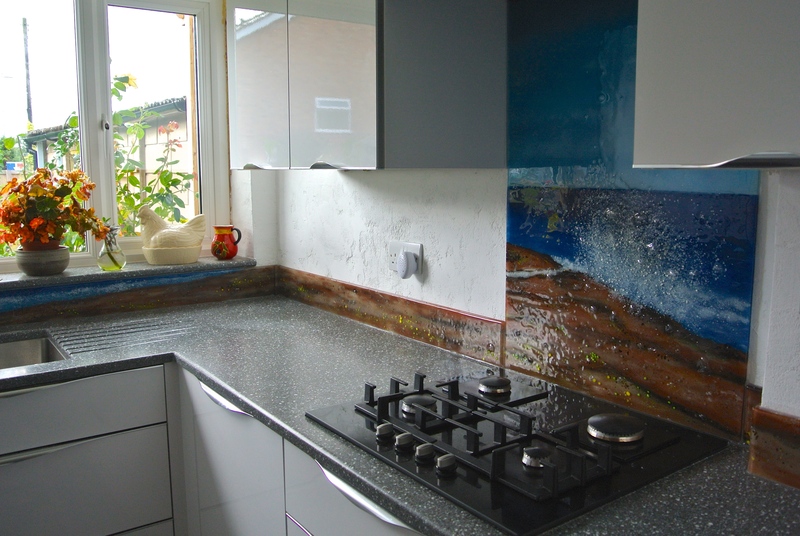 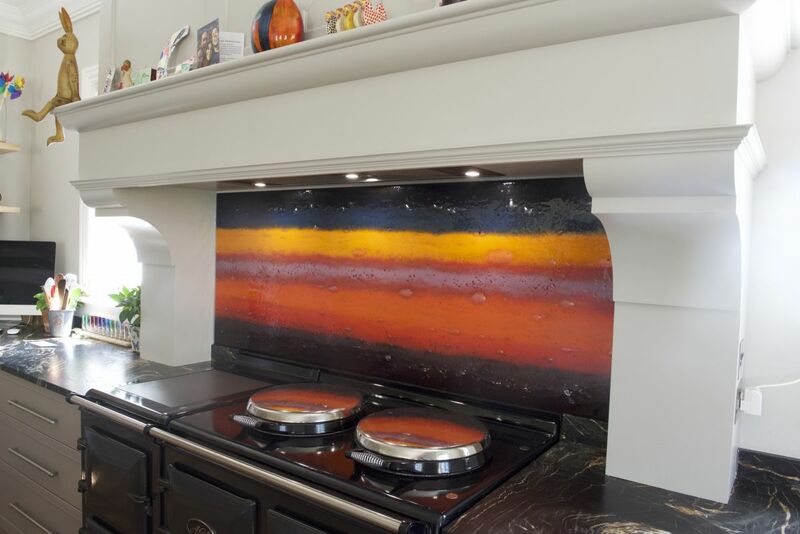 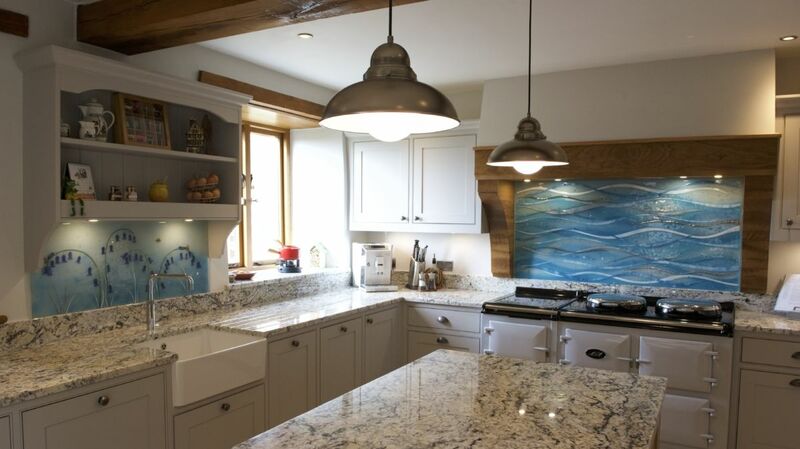 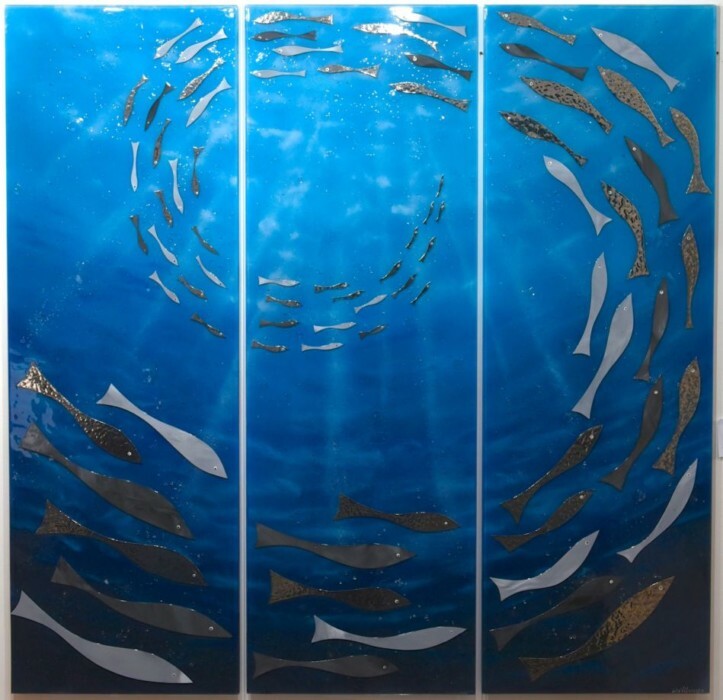 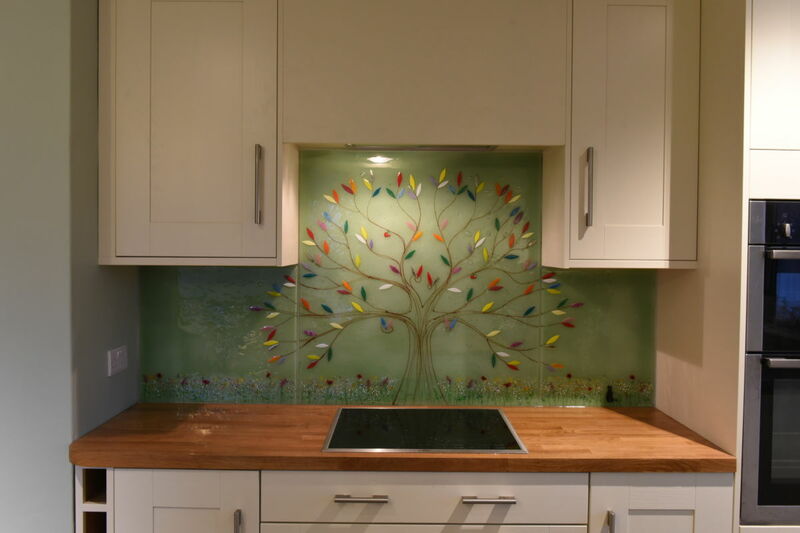 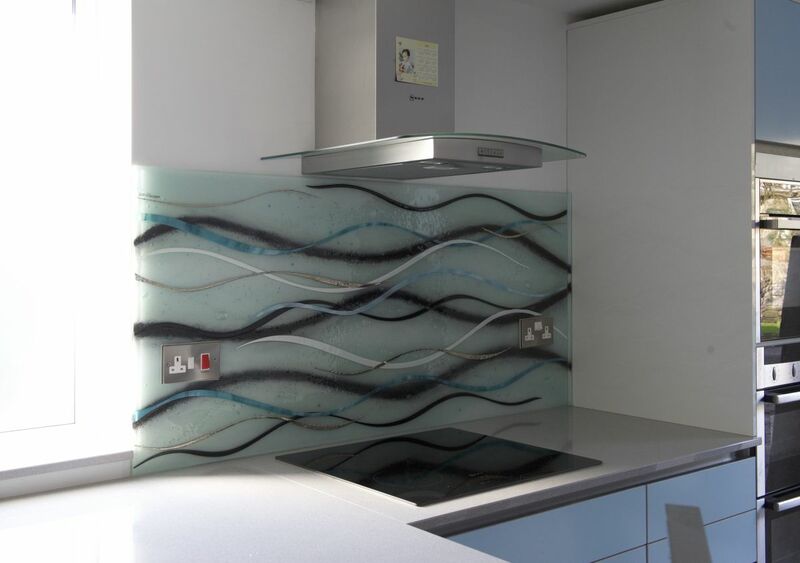 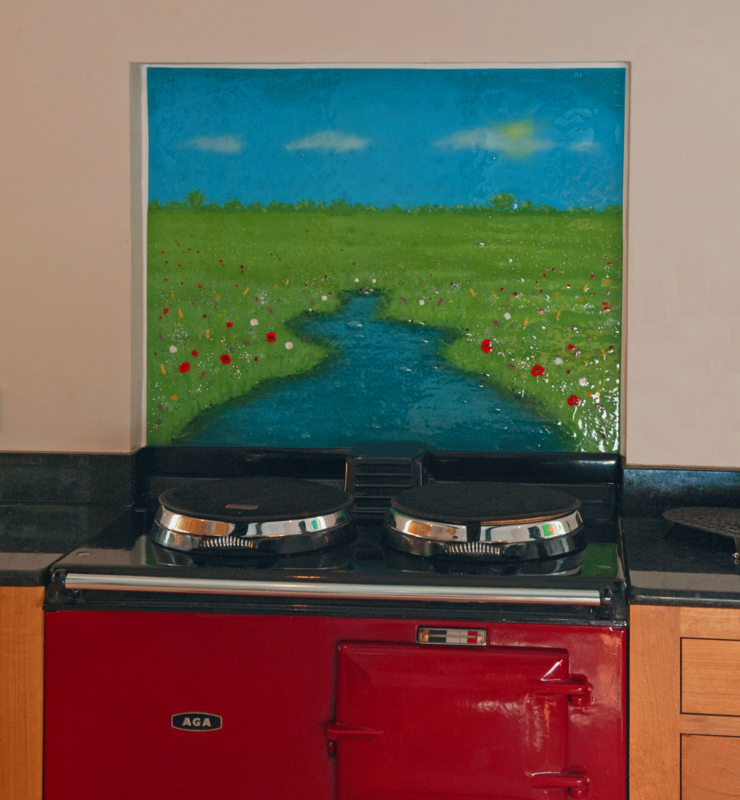 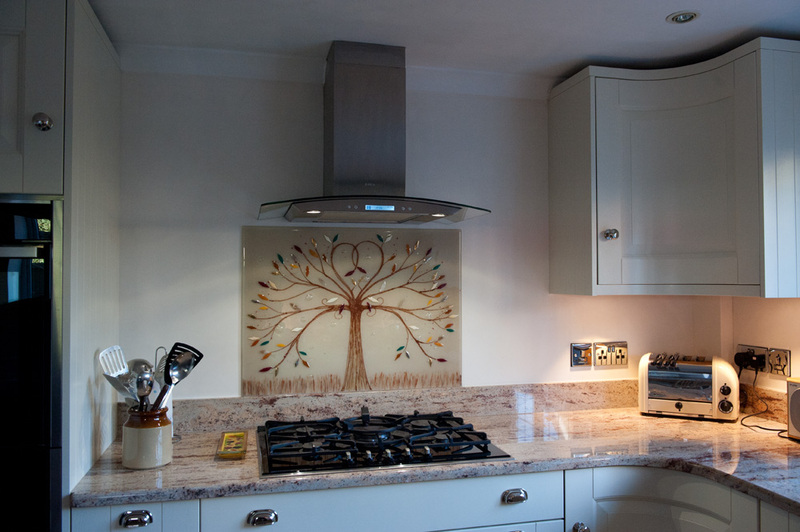 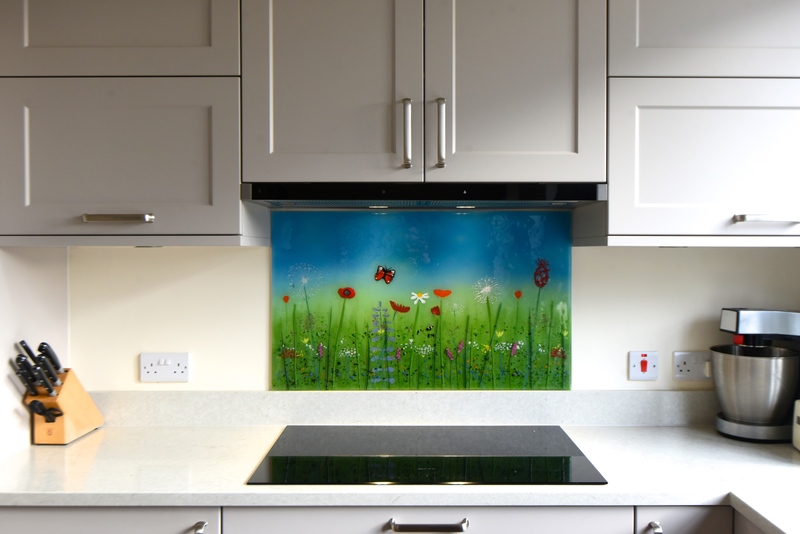 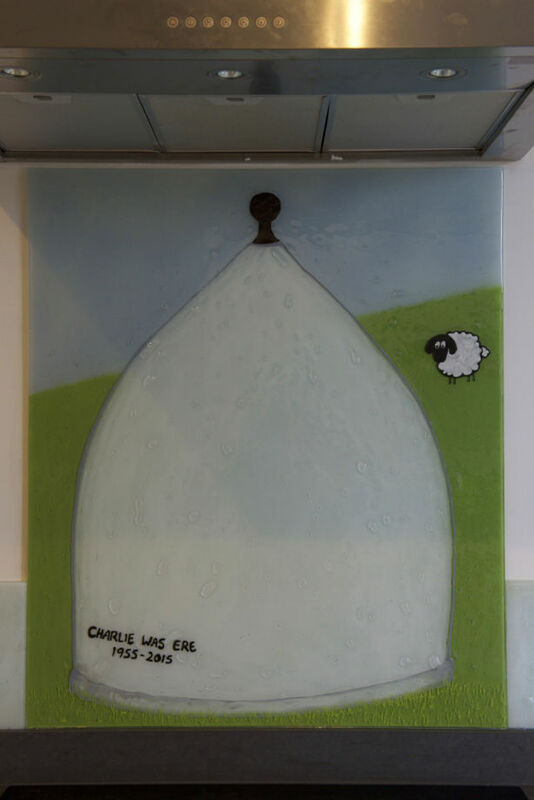 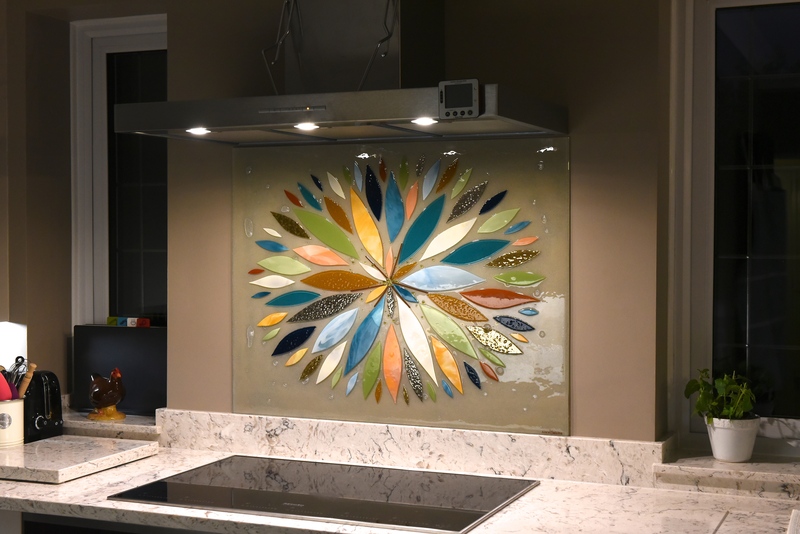 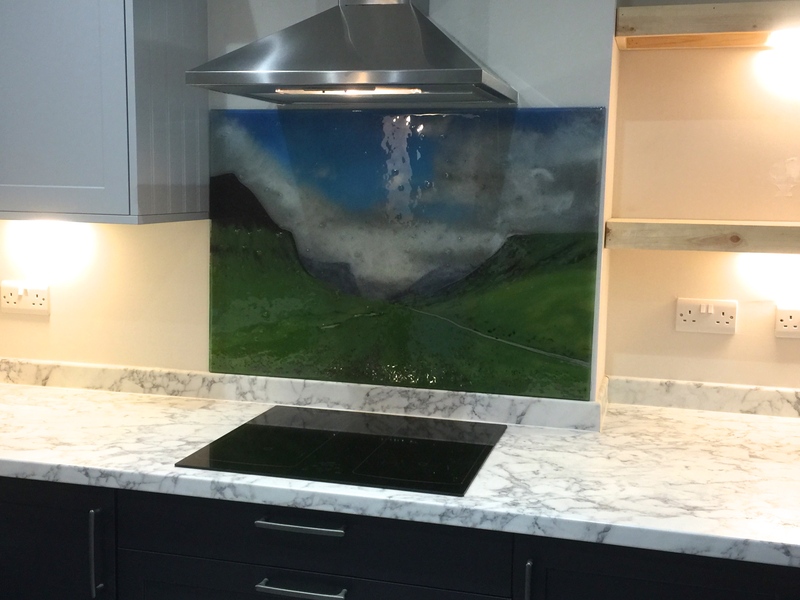 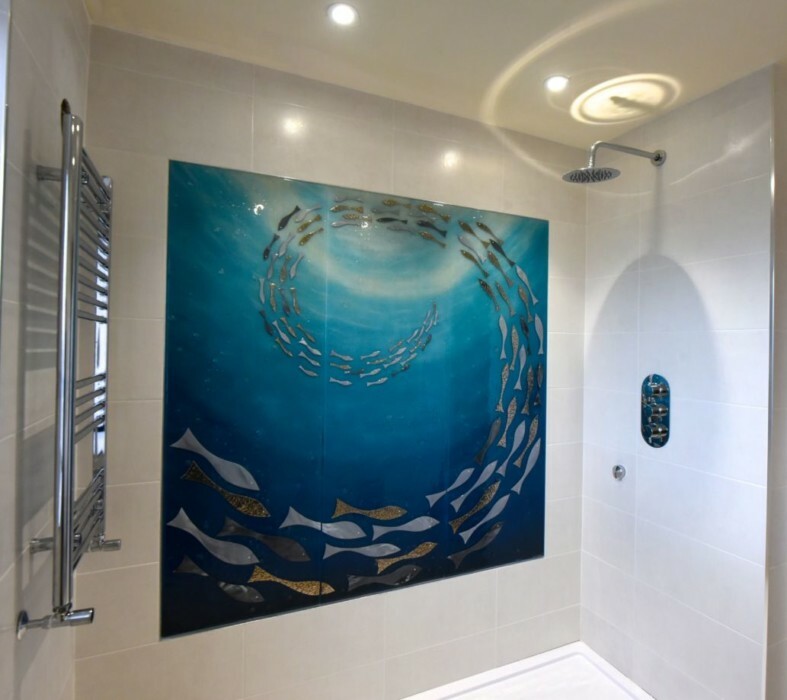 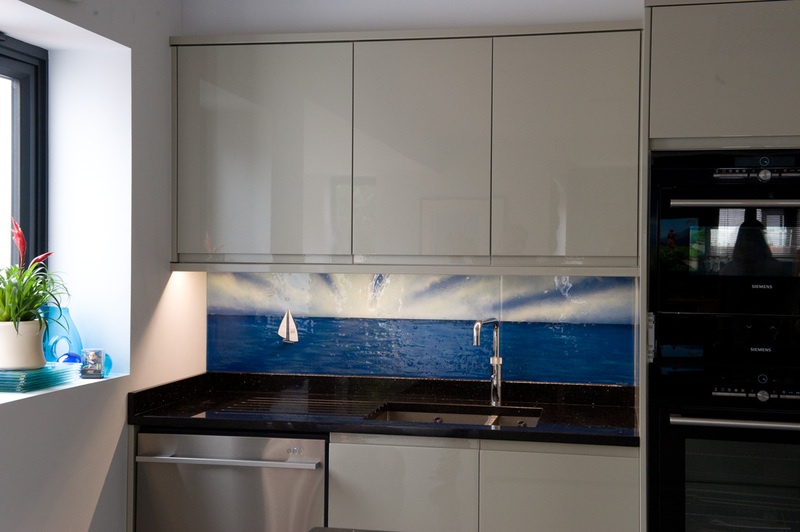 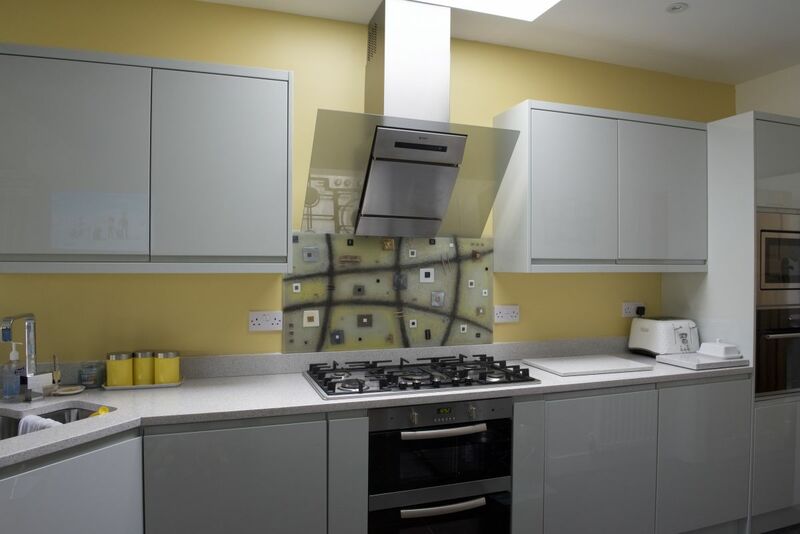 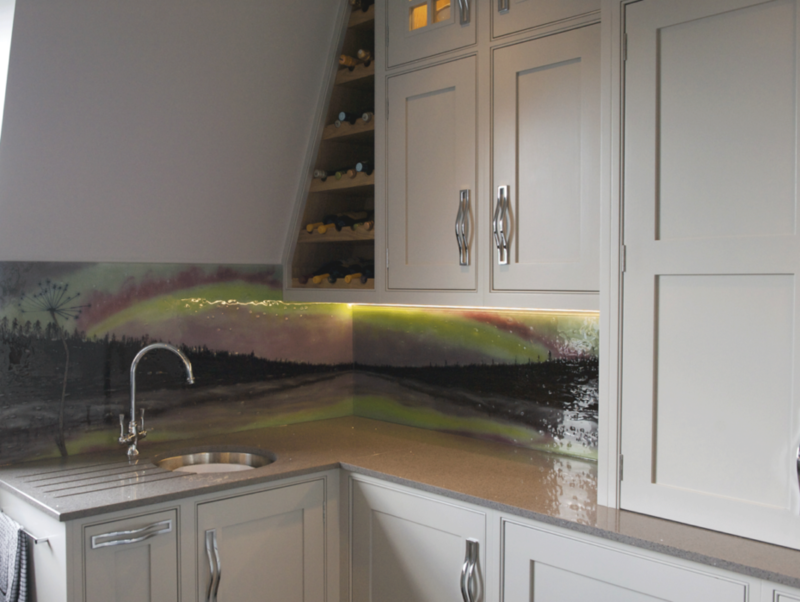 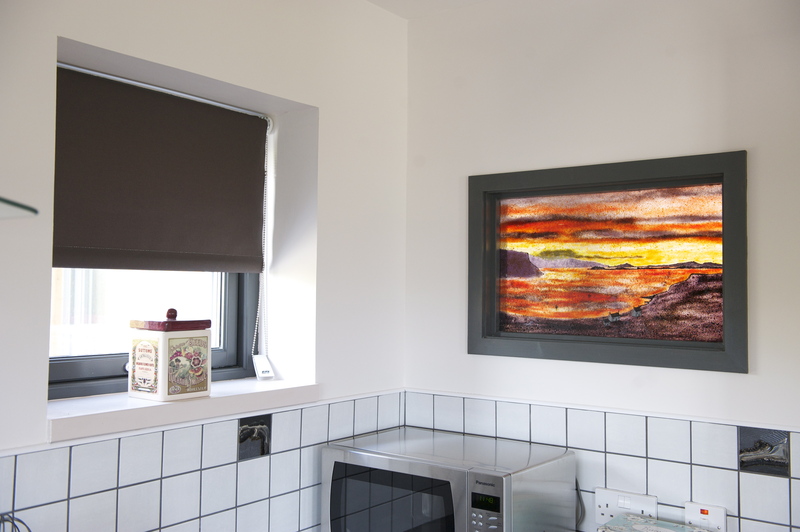 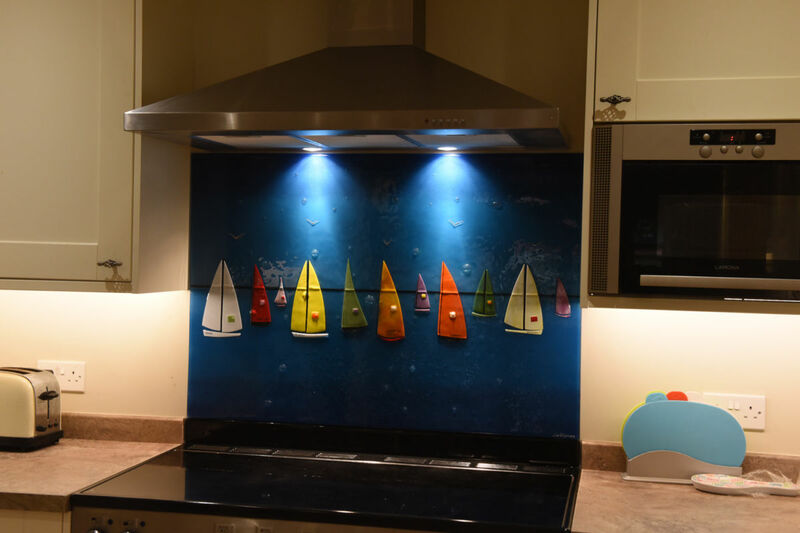 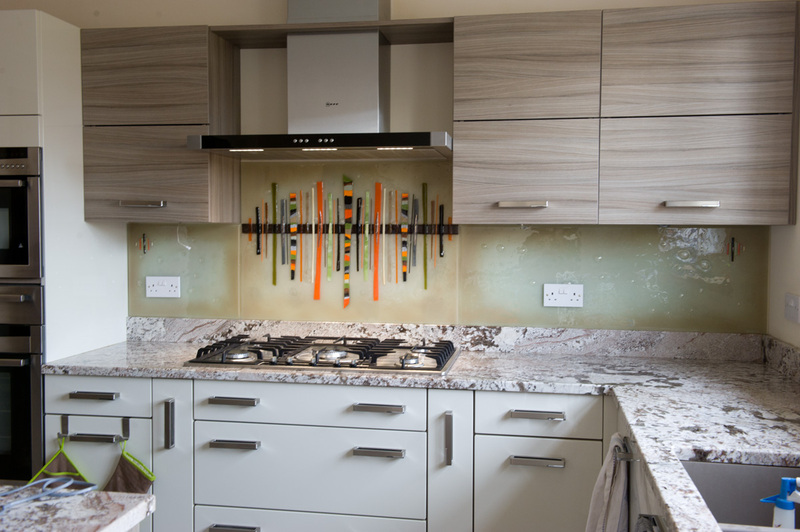 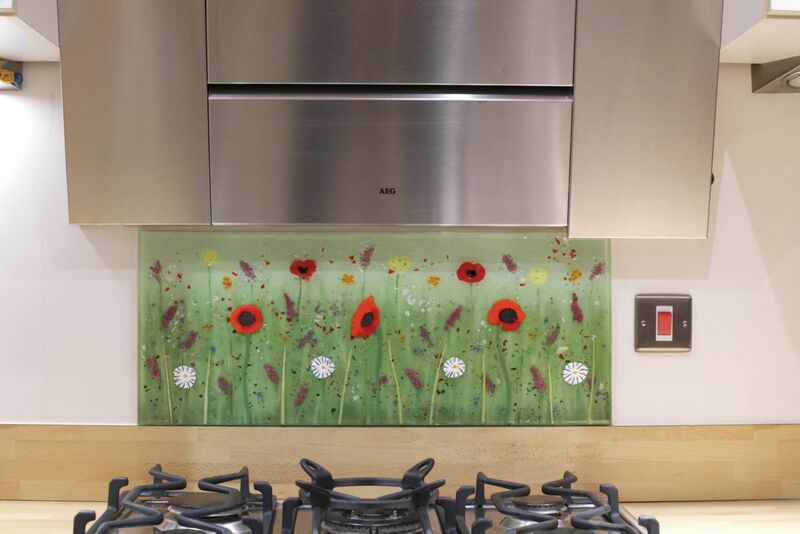 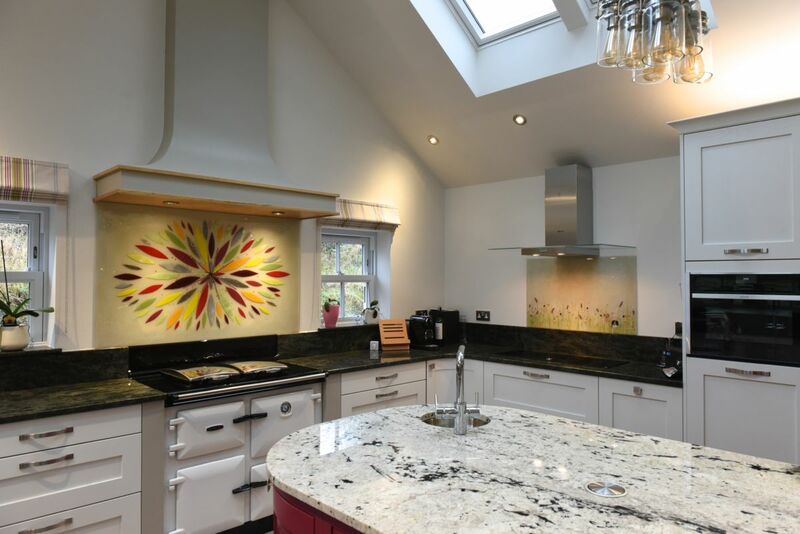 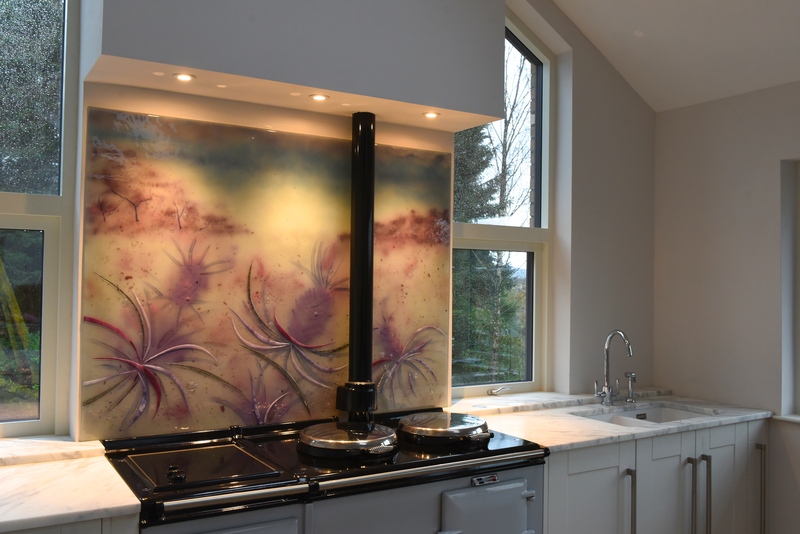 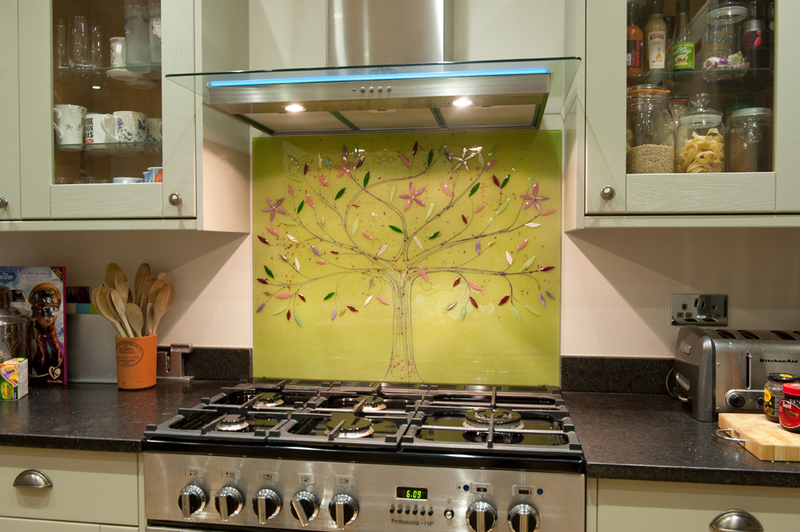 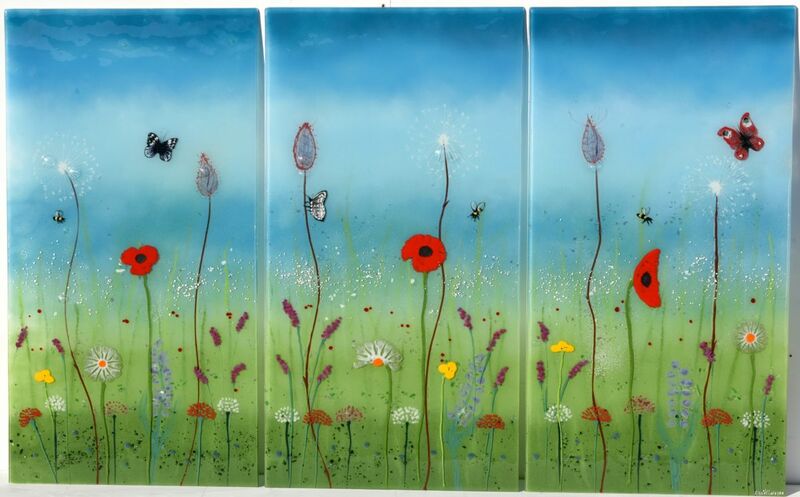 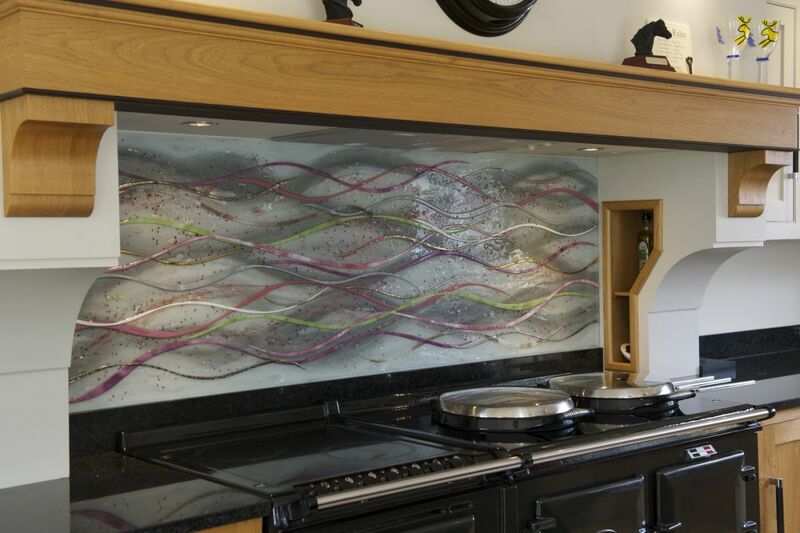 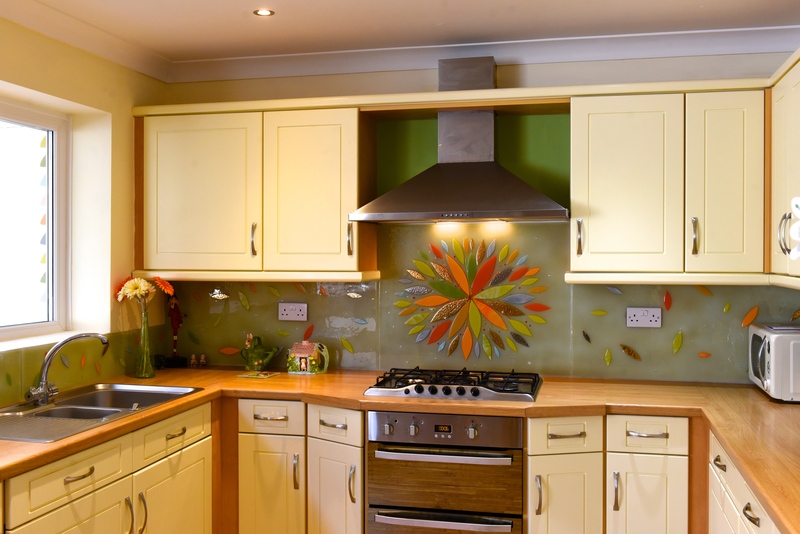 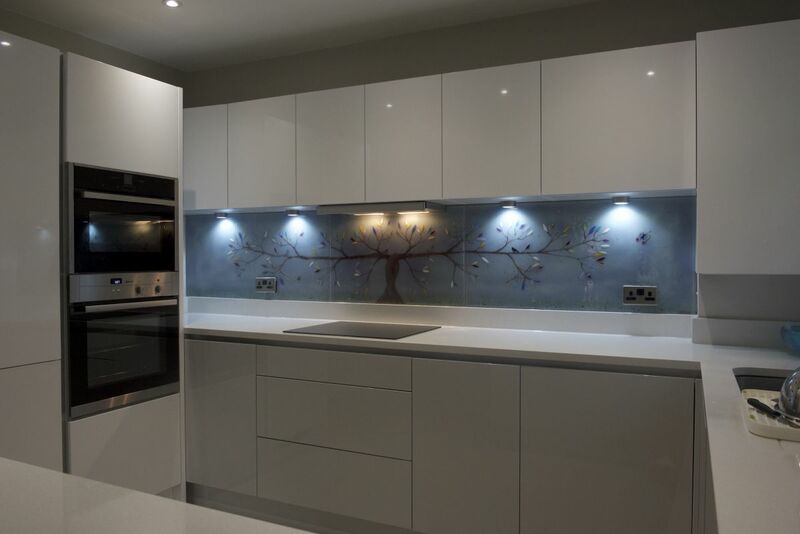 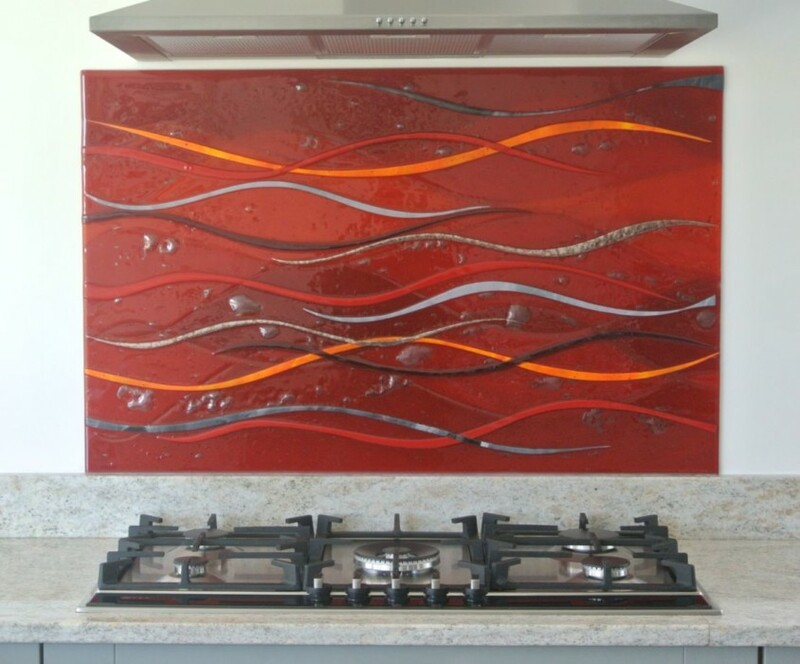 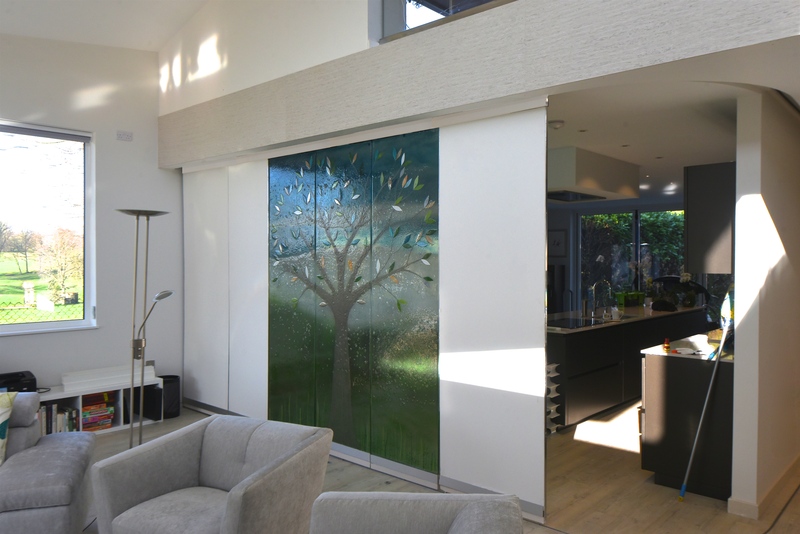 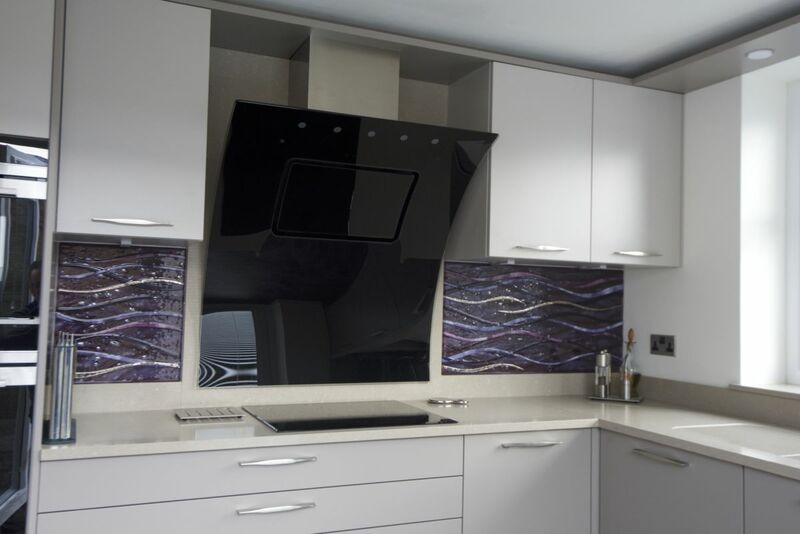 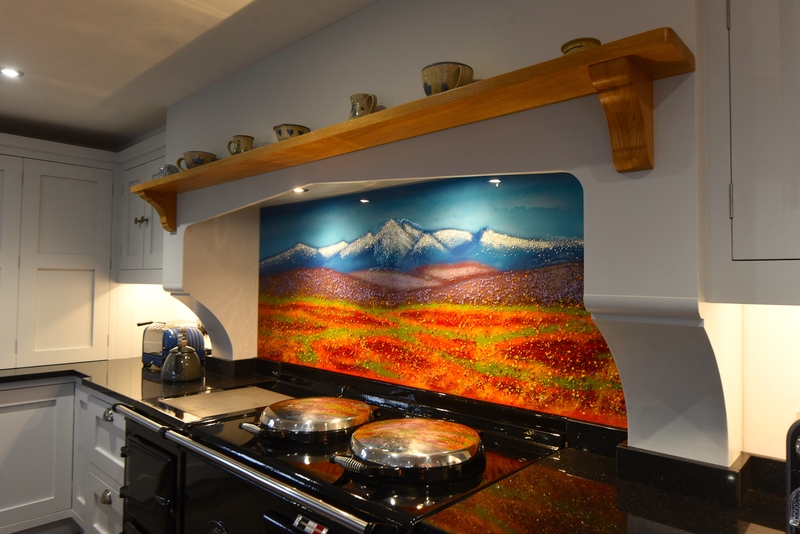 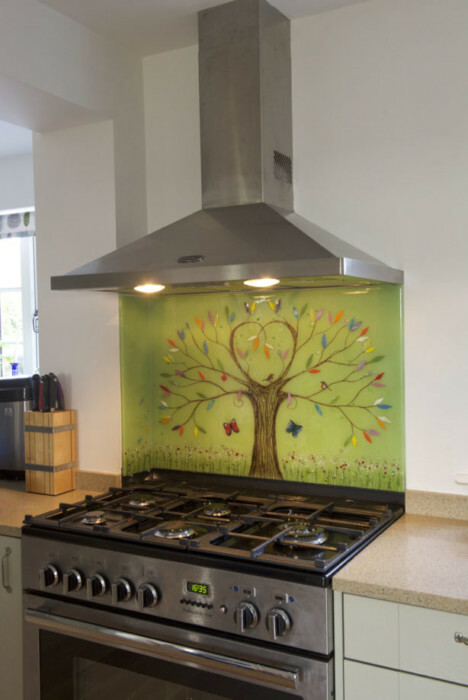 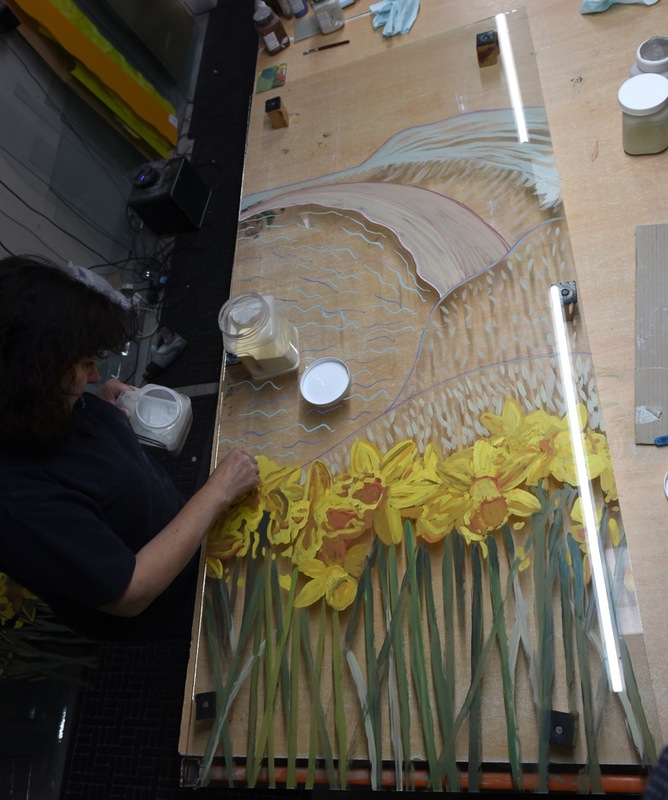 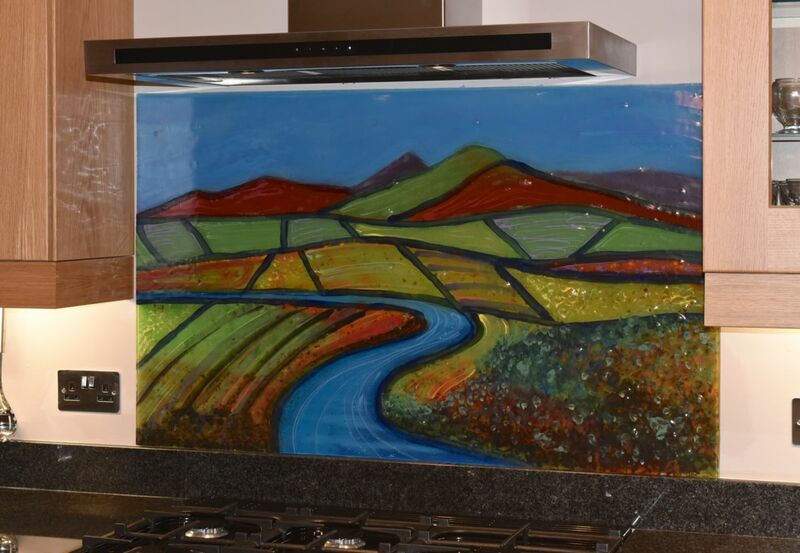 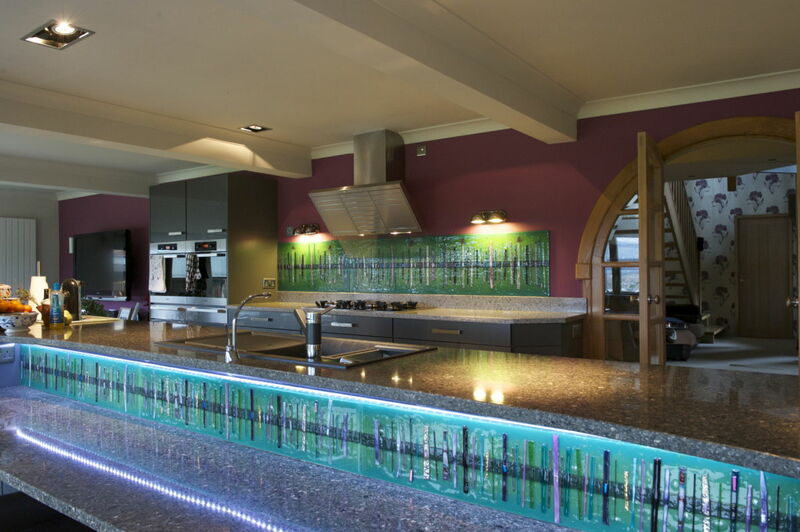 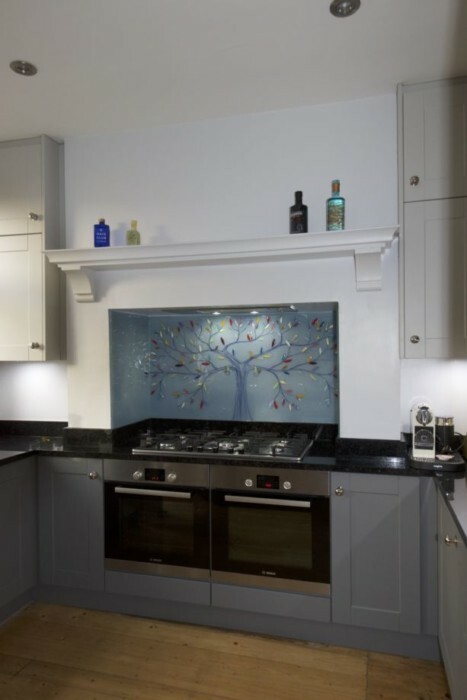 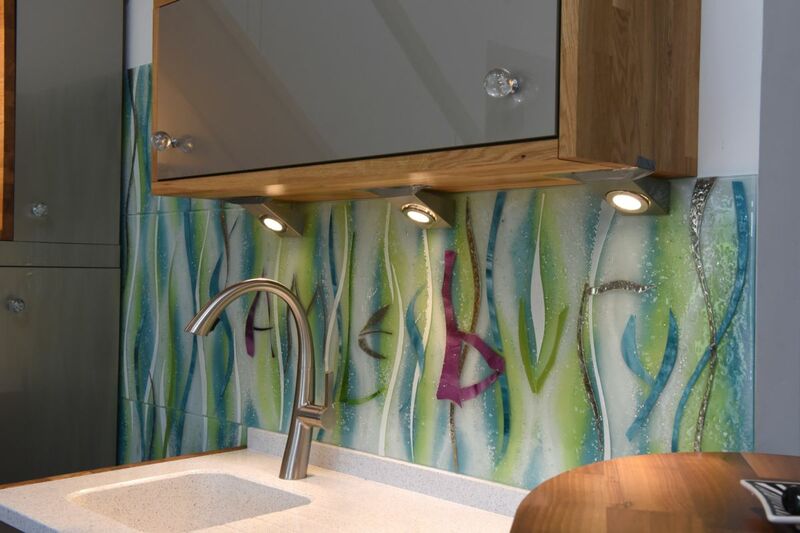 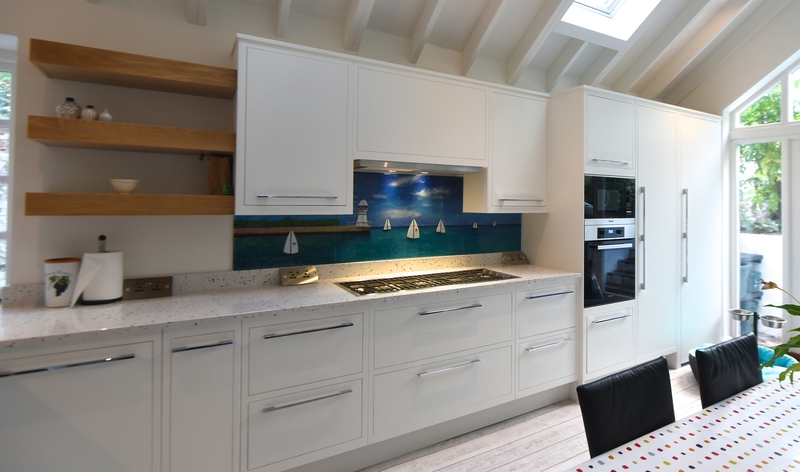 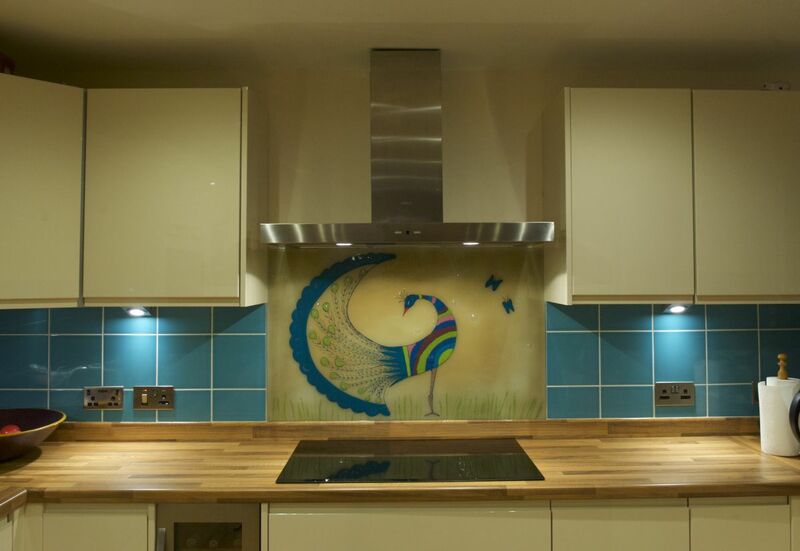 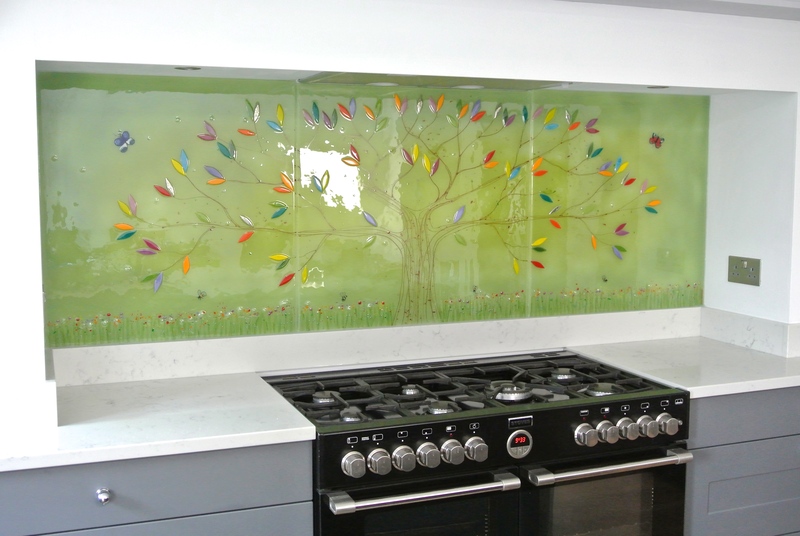 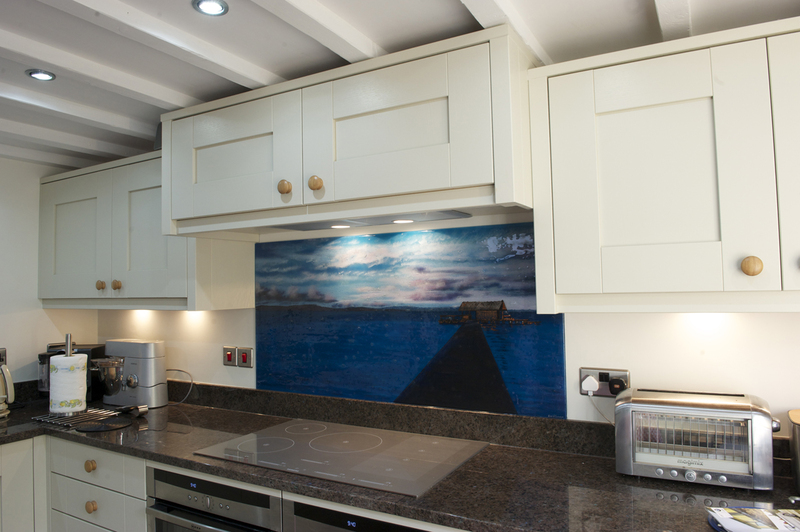 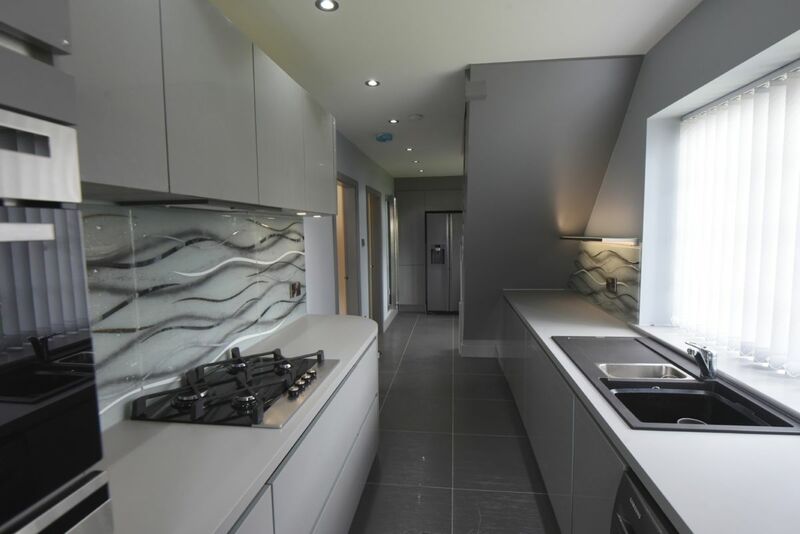 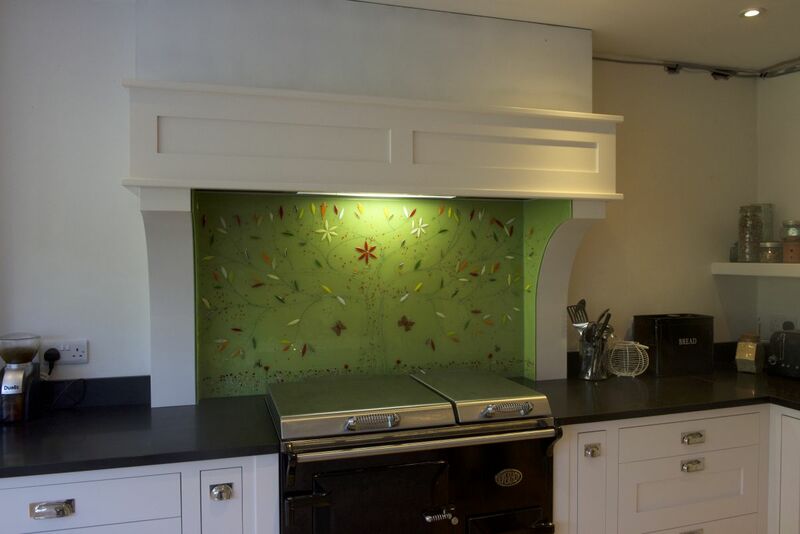 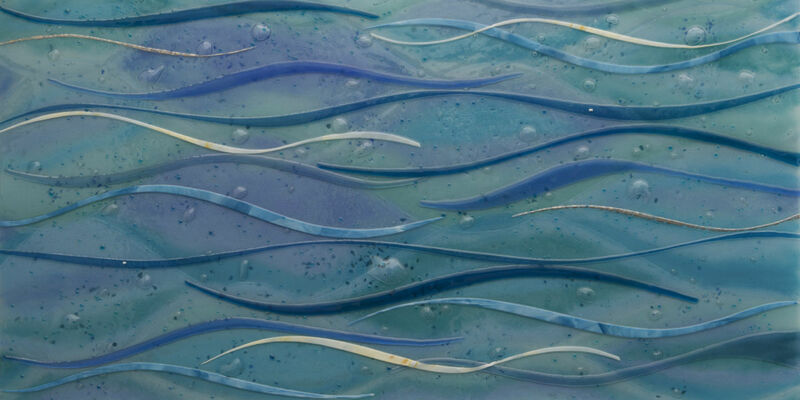 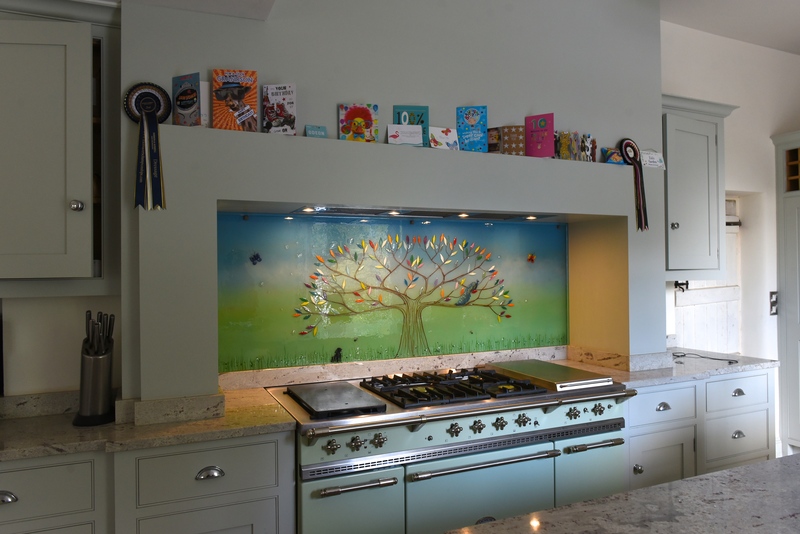 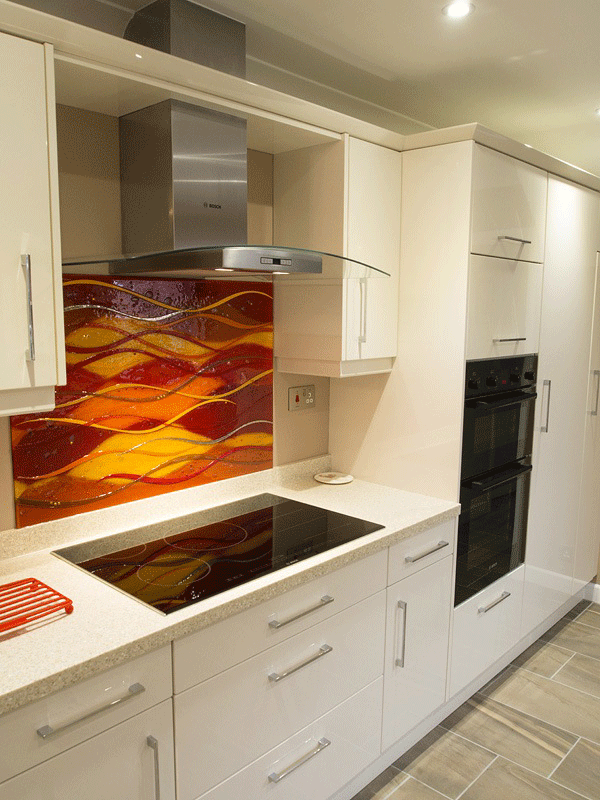 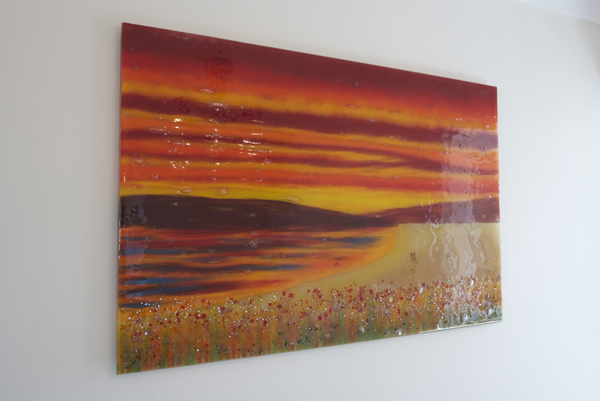 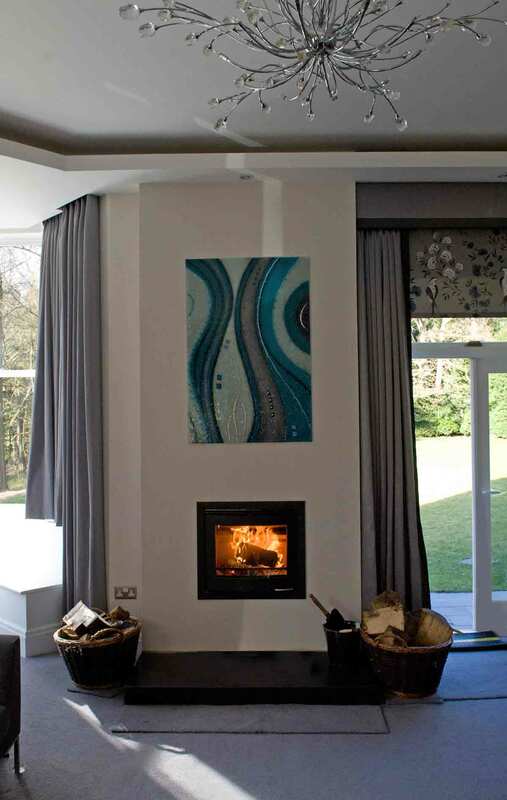 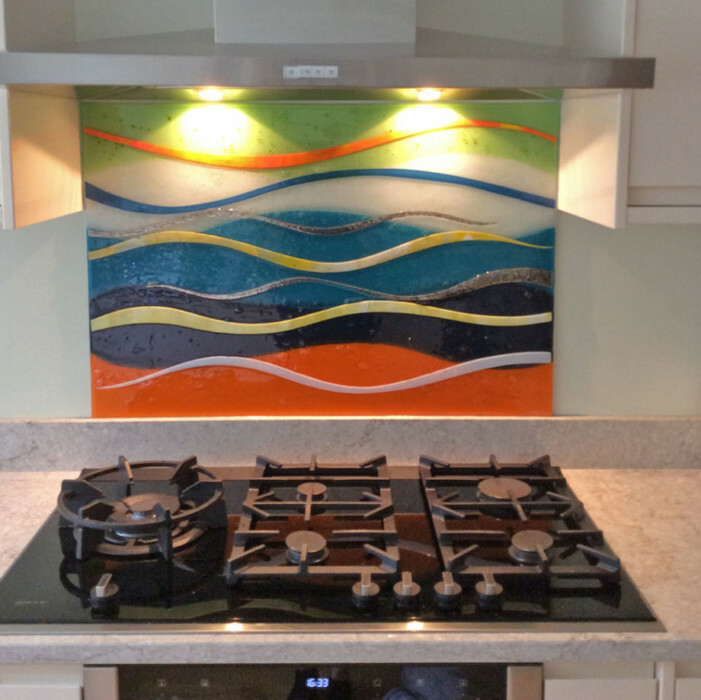 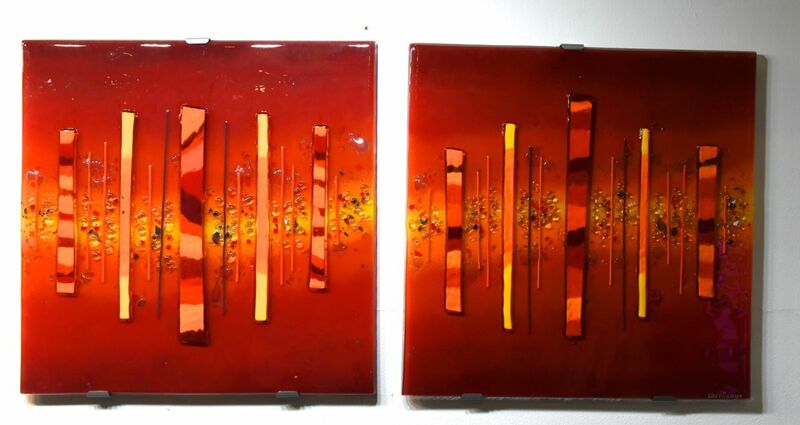 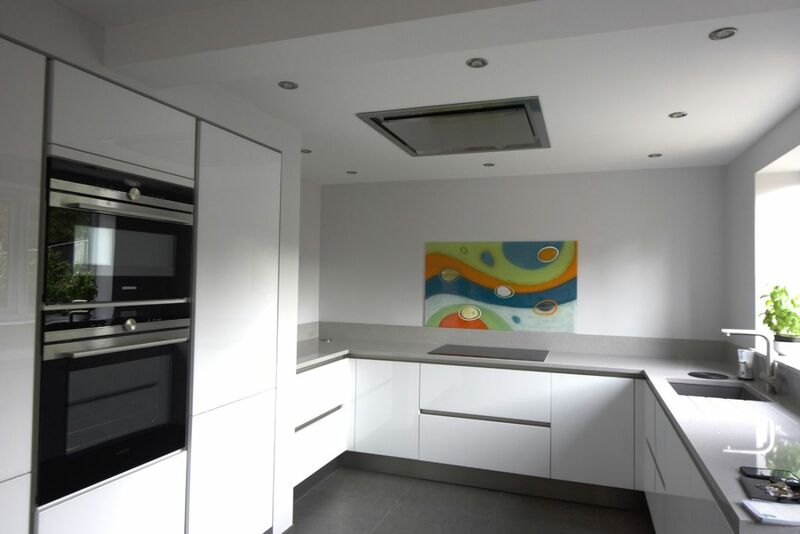 If you’re looking for a stunning work of bespoke glass art, then you’ve definitely come to the right place. 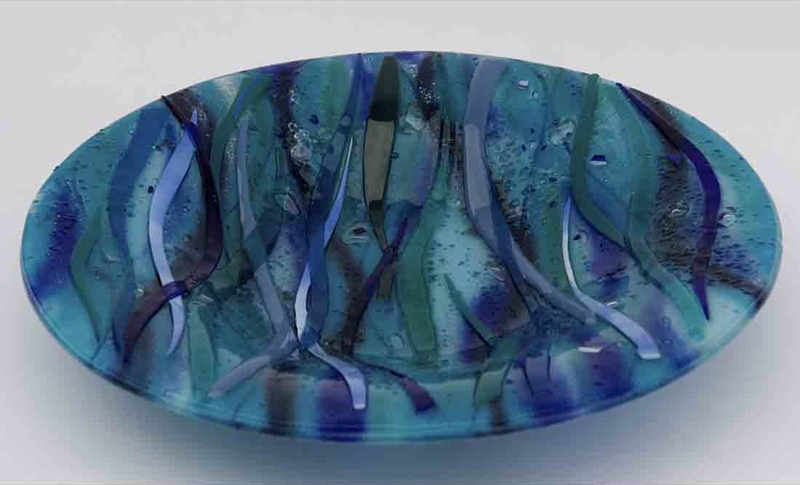 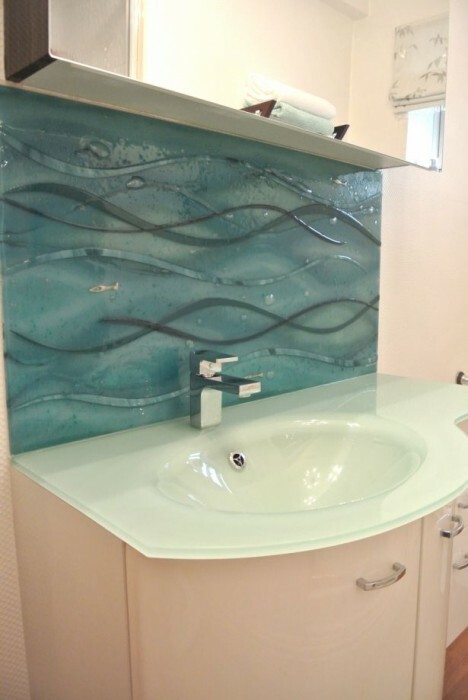 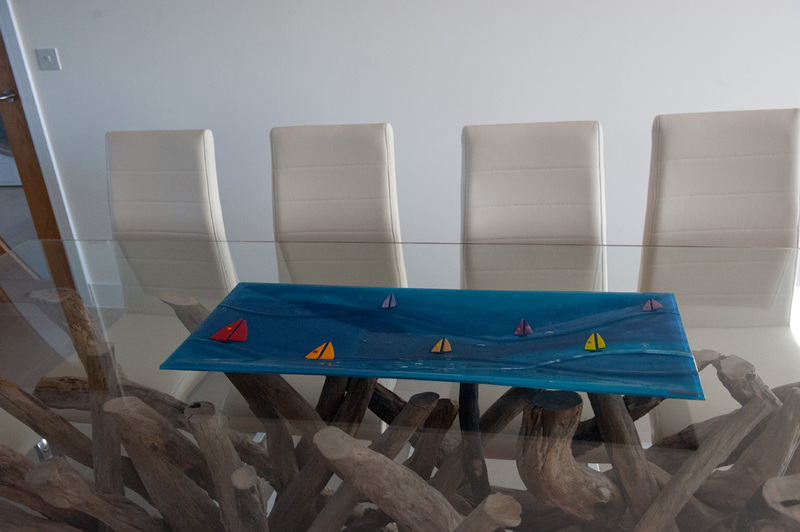 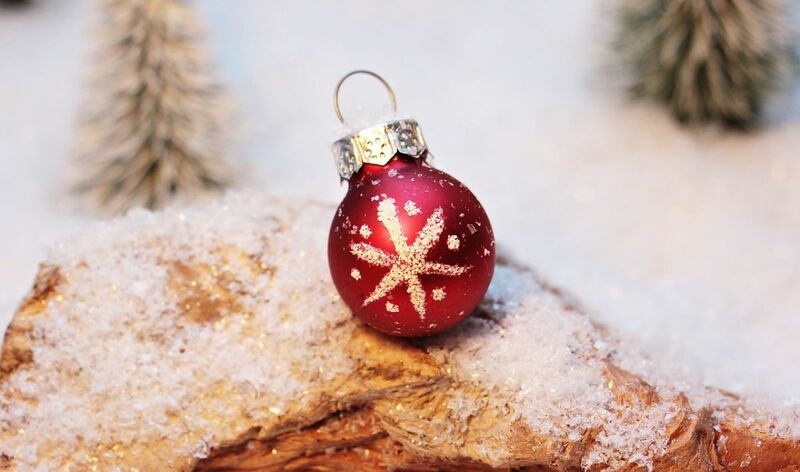 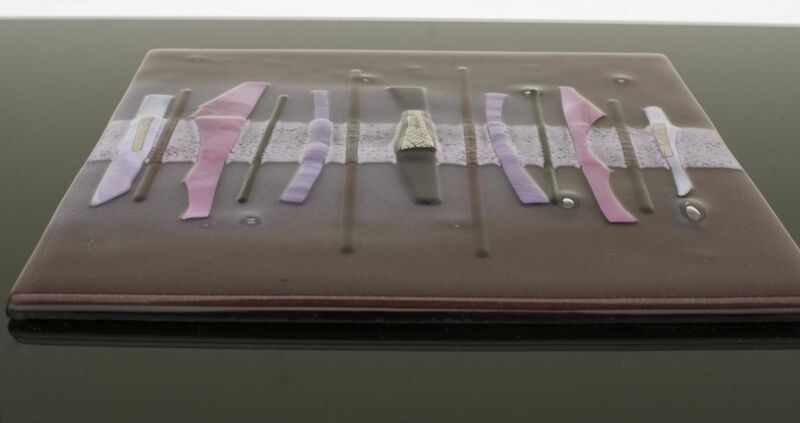 We here at The House of Ugly Fish are market leaders at the forefront of fused glass design, and no small amount of that success is because of our very own Lisa Villarospo. 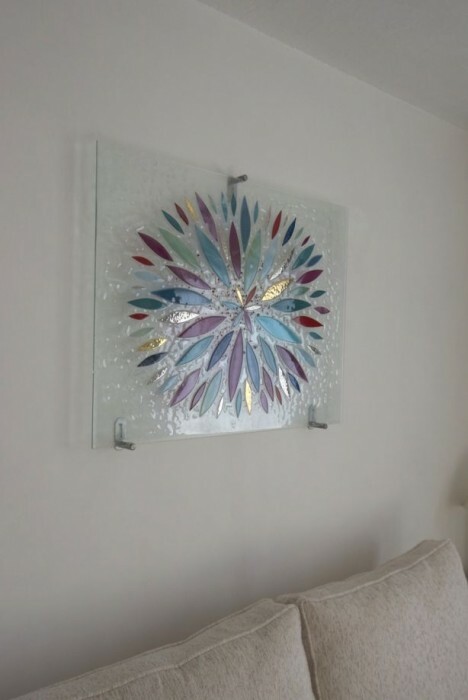 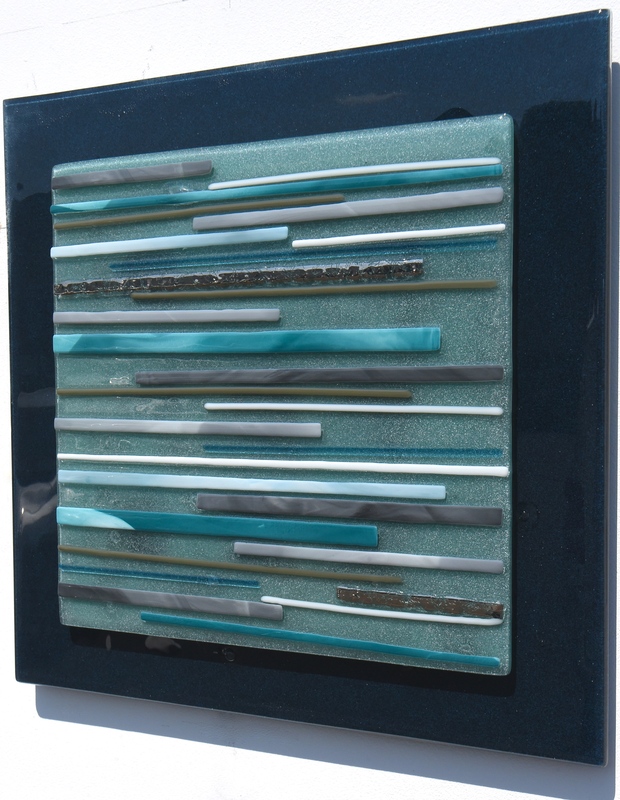 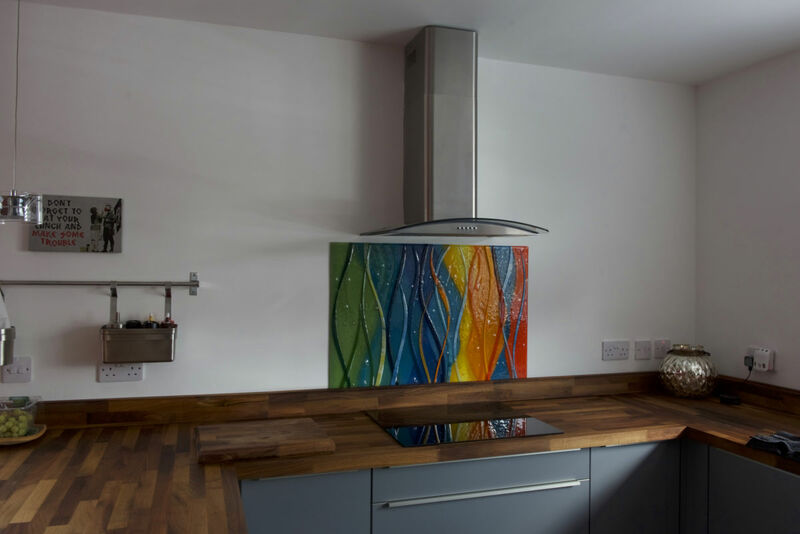 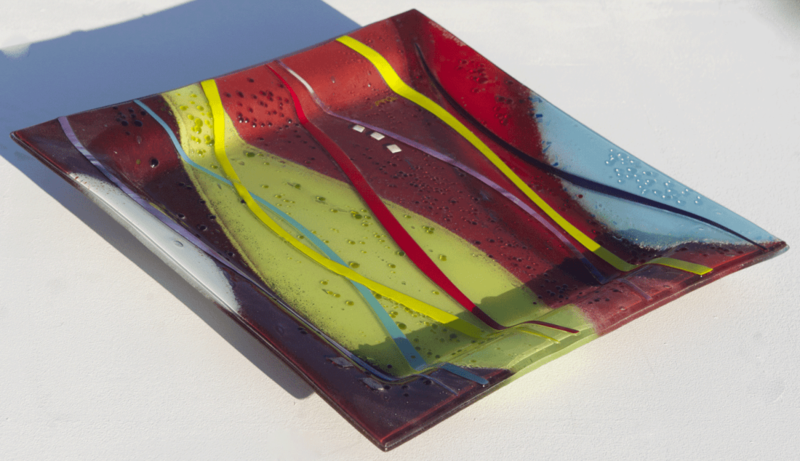 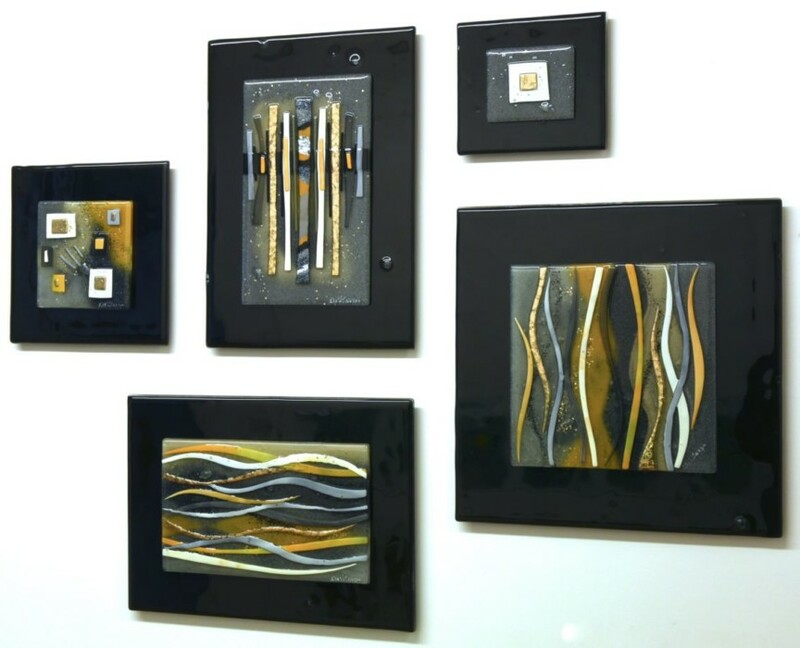 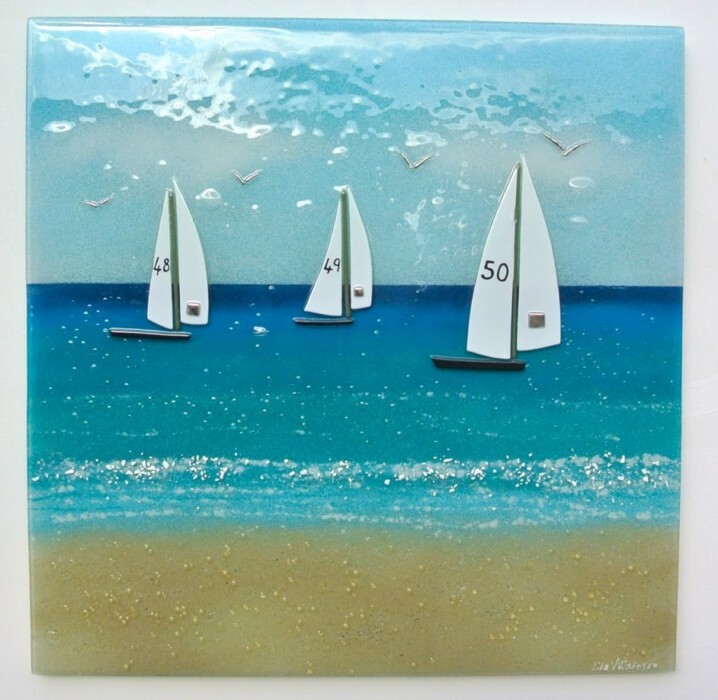 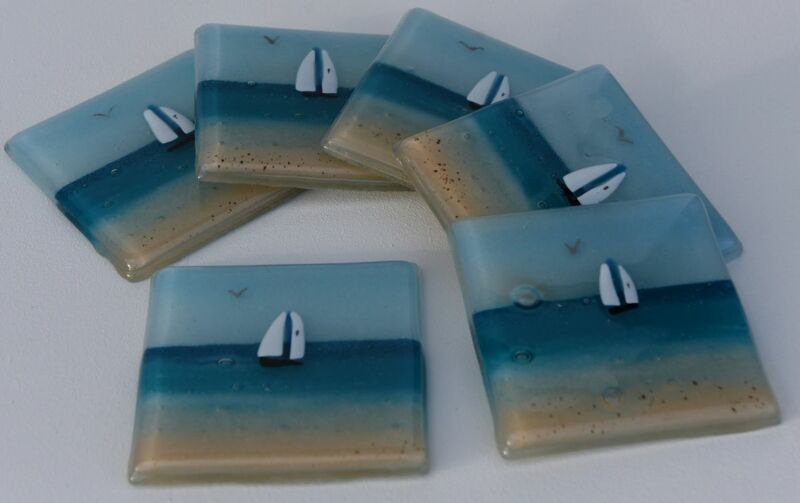 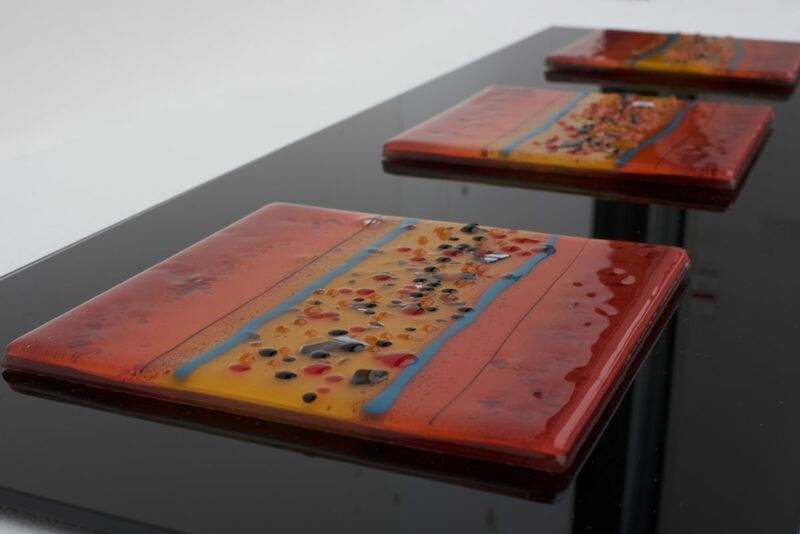 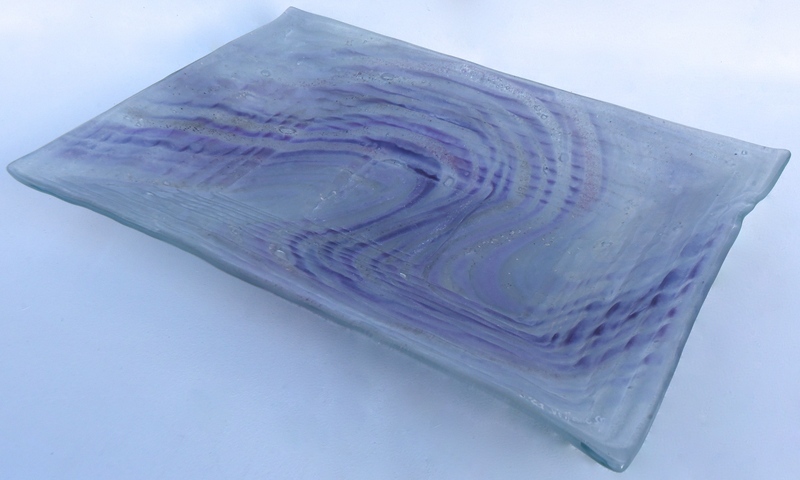 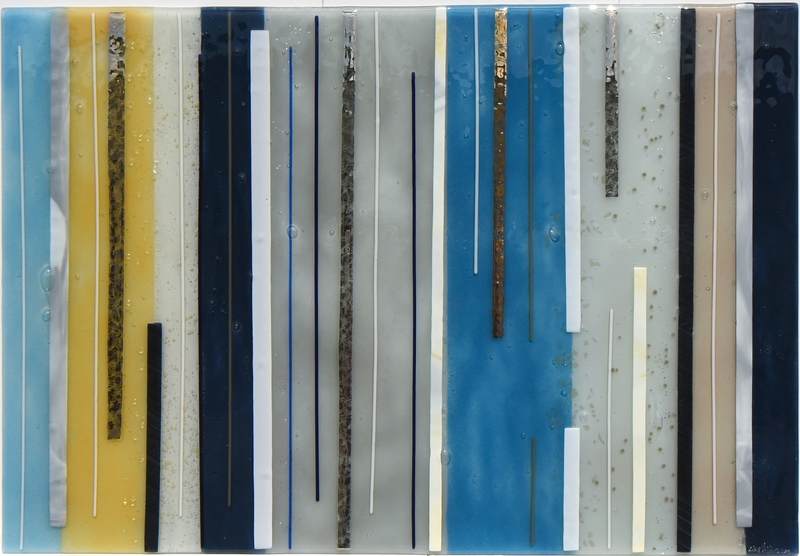 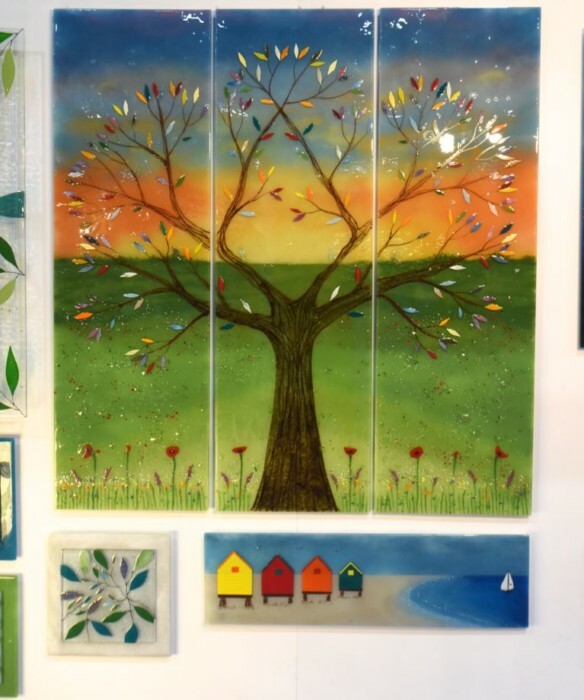 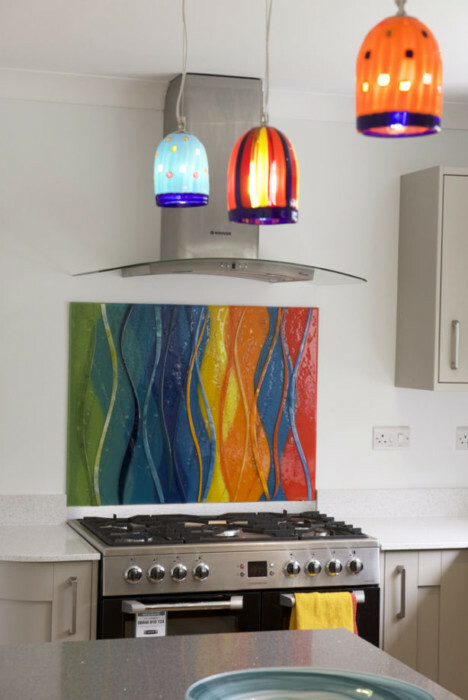 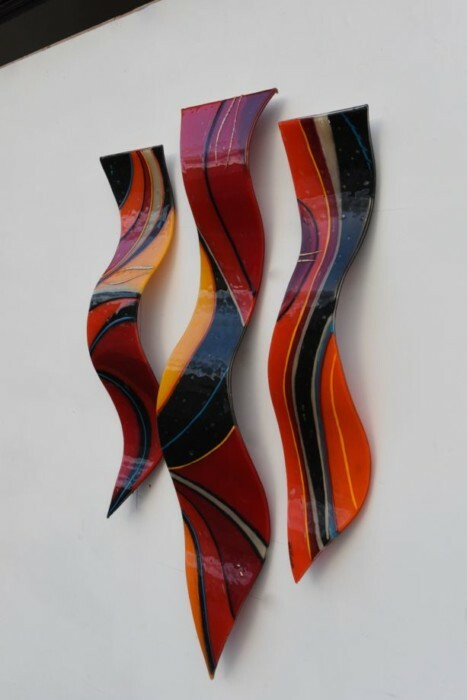 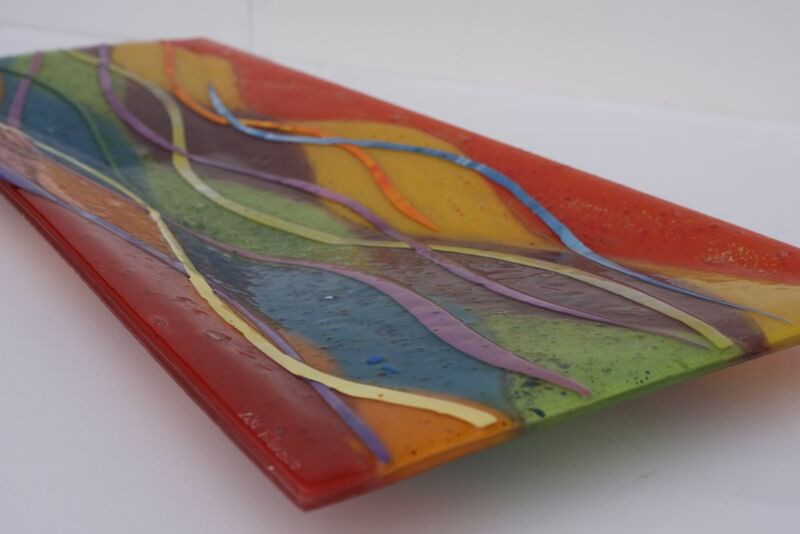 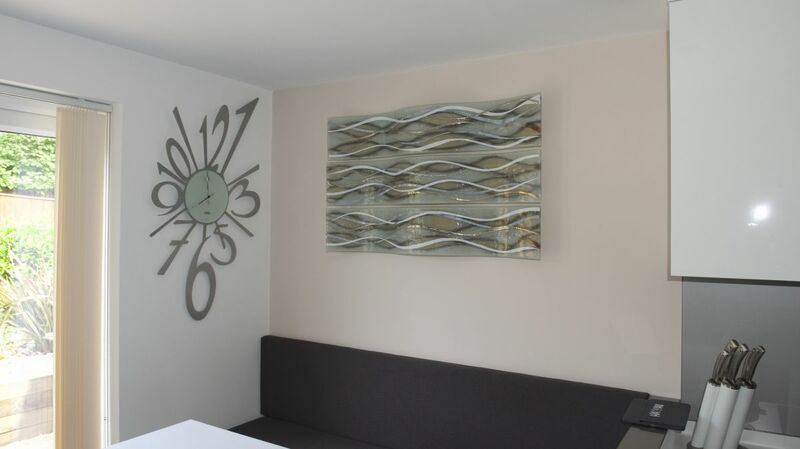 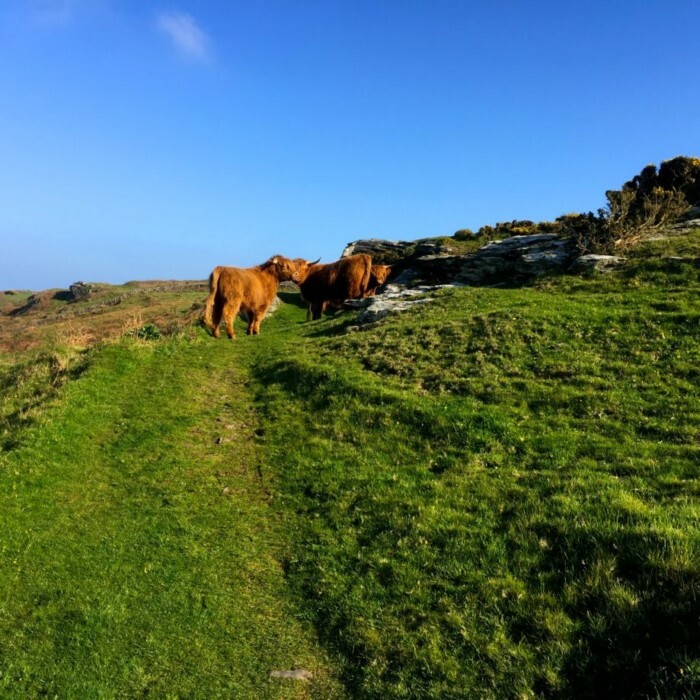 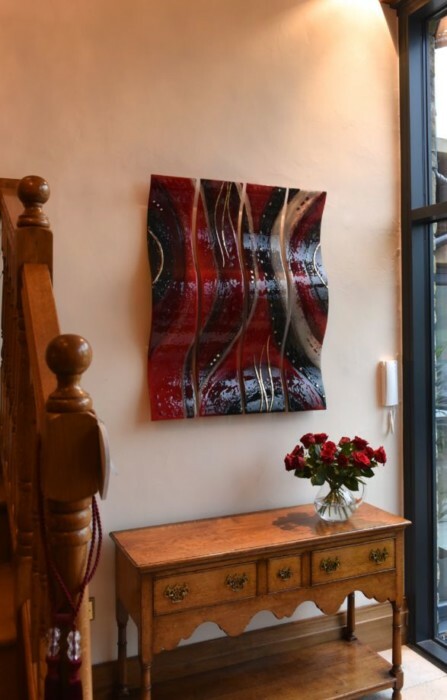 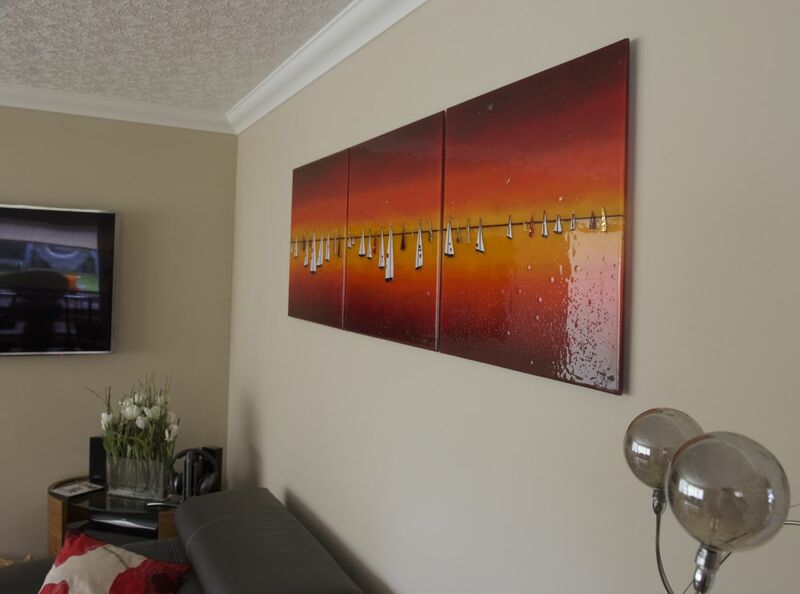 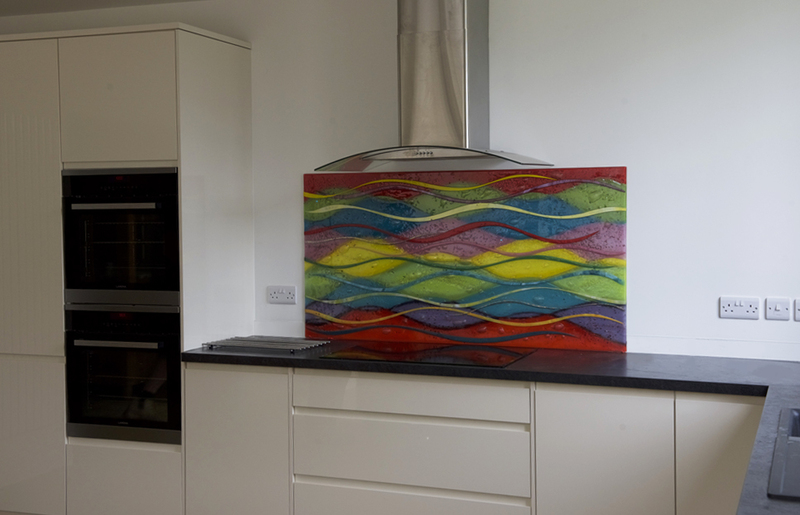 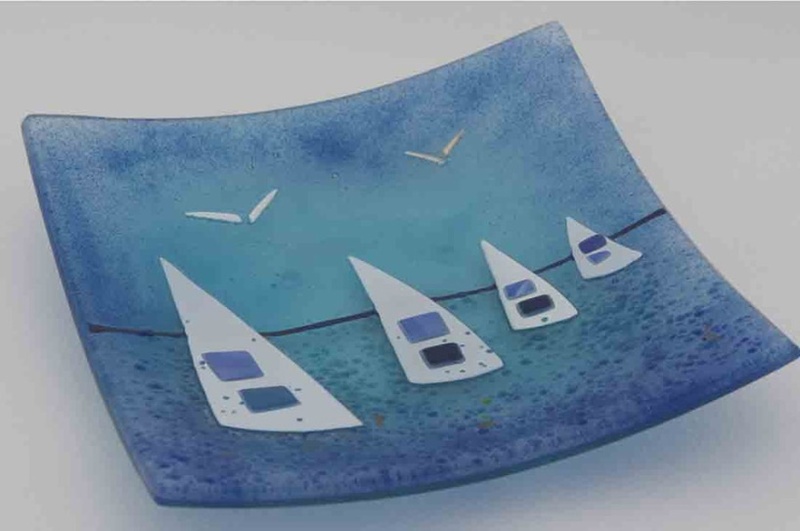 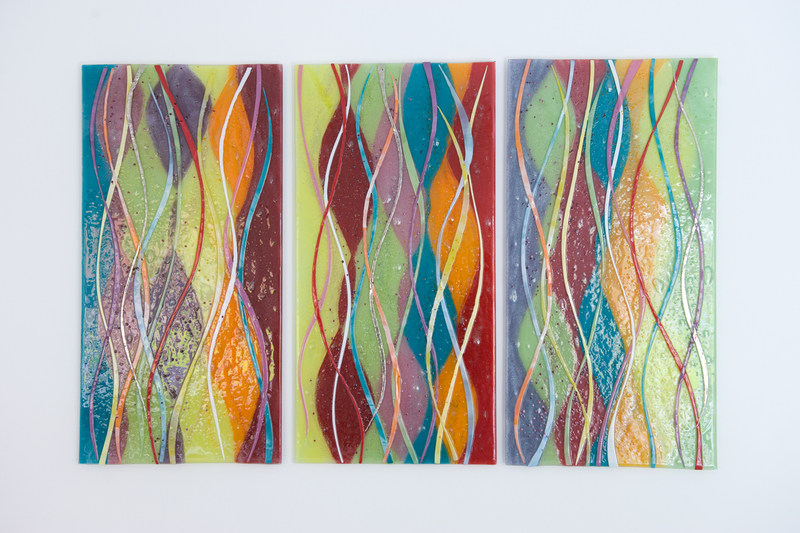 Make sure you don’t wait to pick up the phone or drop us an email if you’re interesting in getting your hands on your very own piece of fused glass art or custom glass wall art. 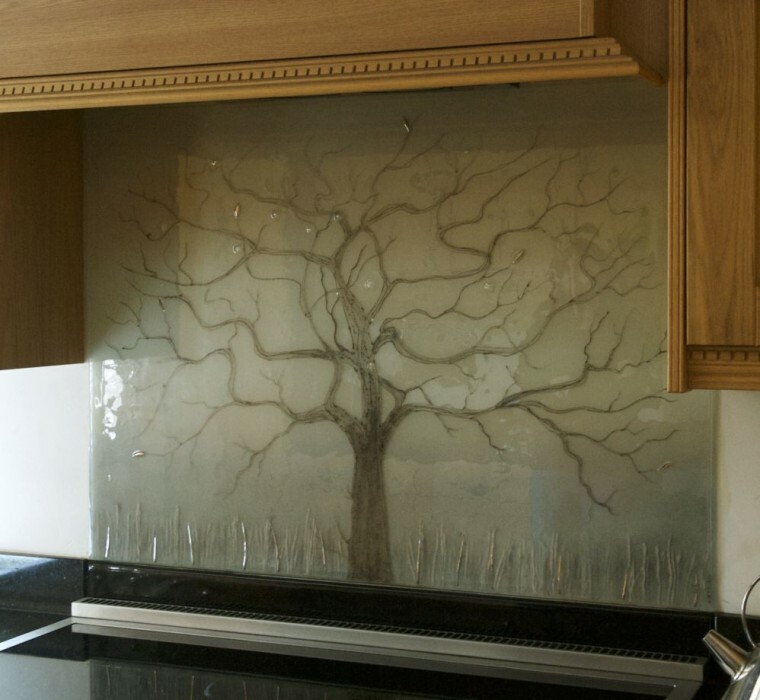 We’d be more than happy to bring your perfect piece of glass to life!